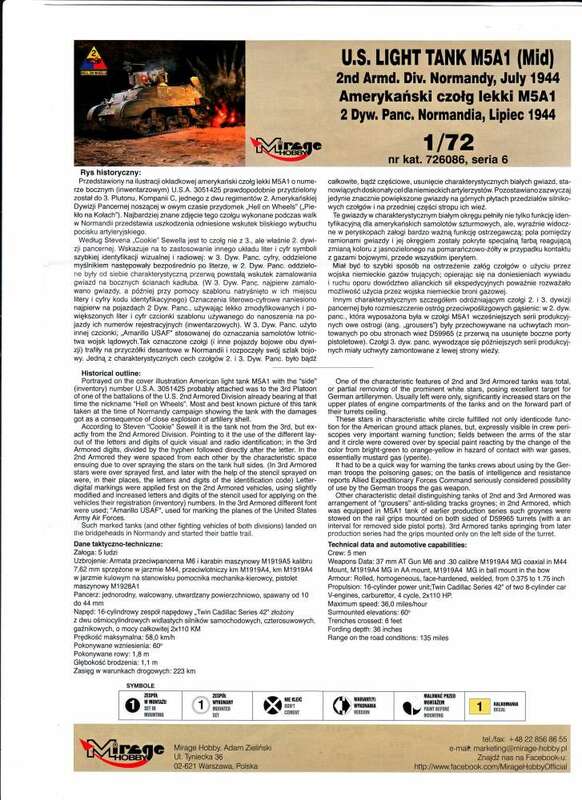 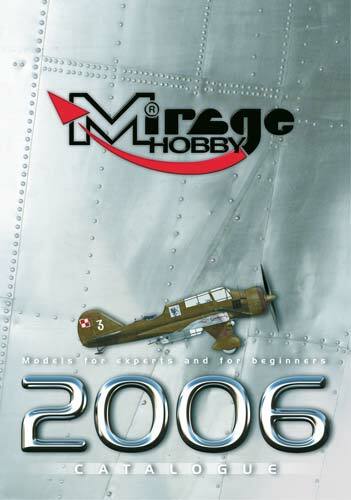 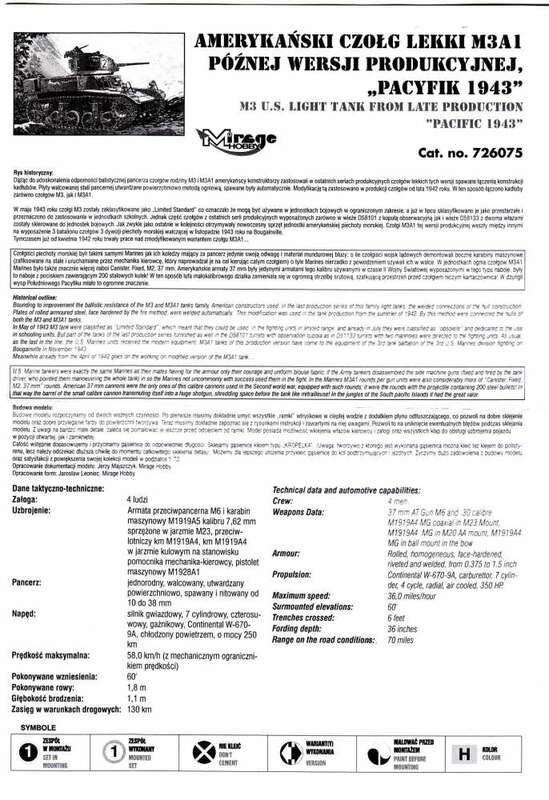 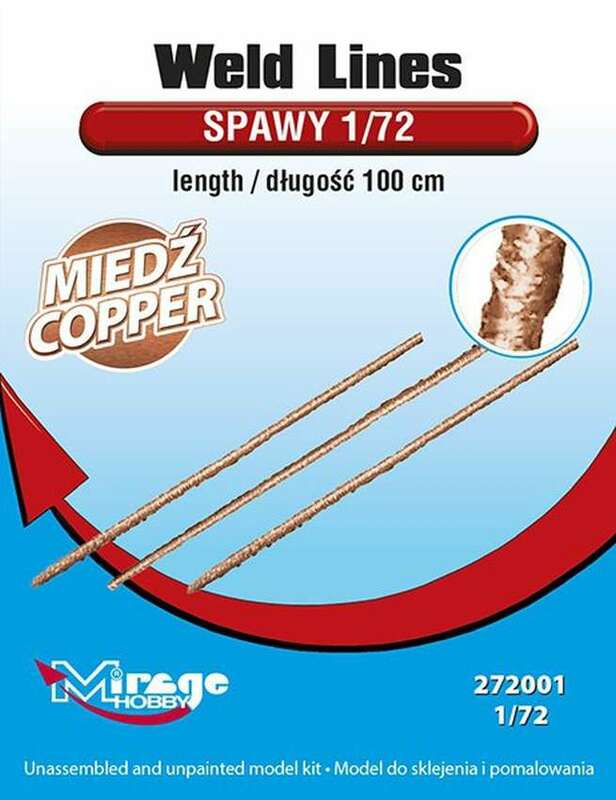 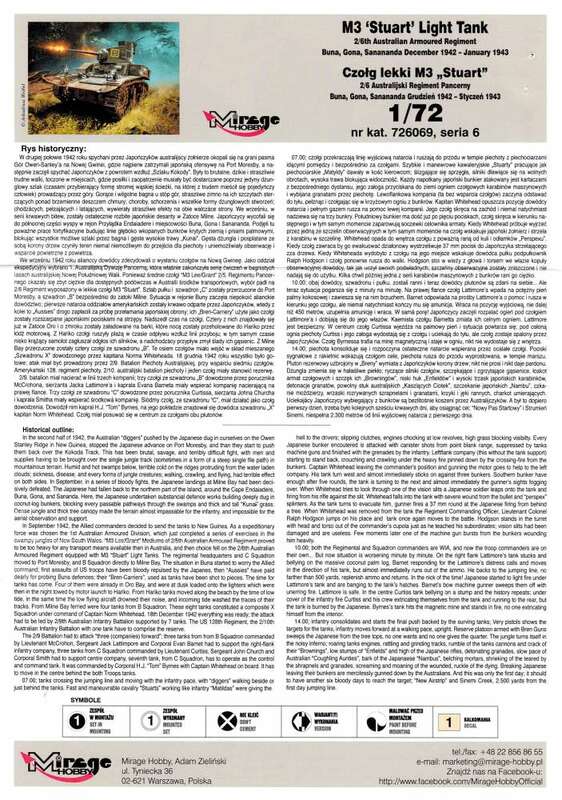 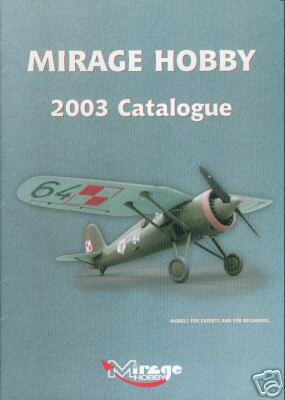 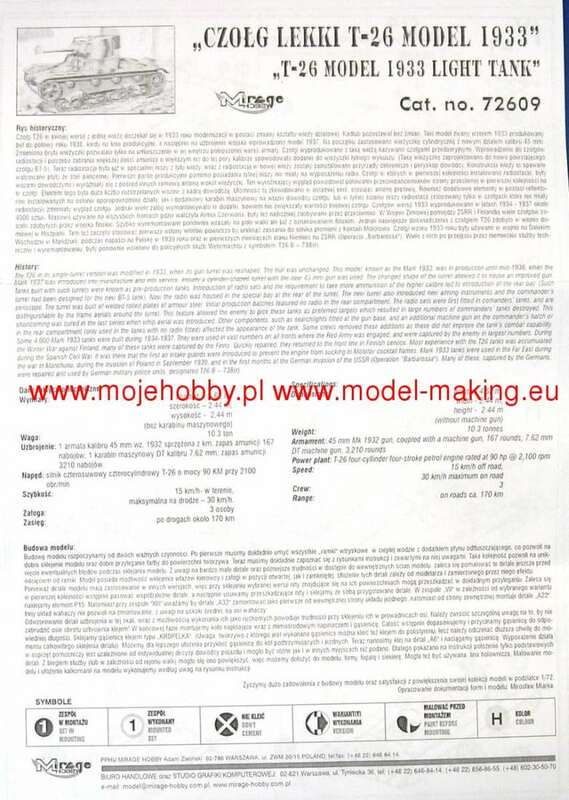 PPHU Mirage Hobby, Adam Zielinski , 02-621 Warszawa, ul, Tyniecka 36, tel.+48 (22) 646-84-14 or 856-86-55, mobile 48 602 30 50 70. 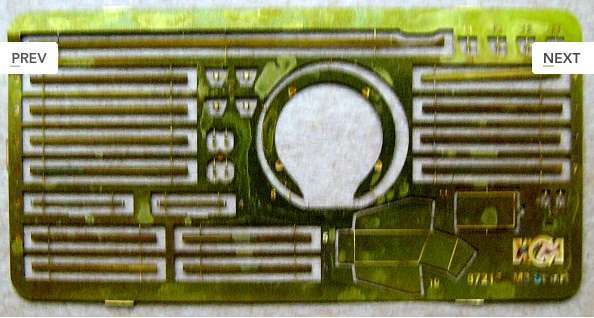 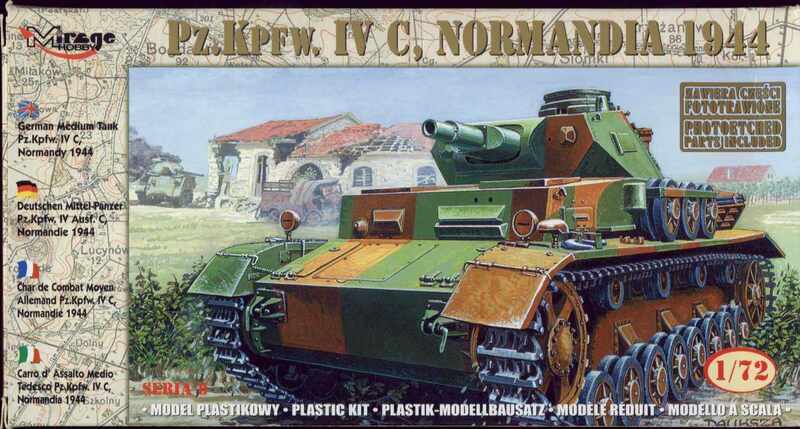 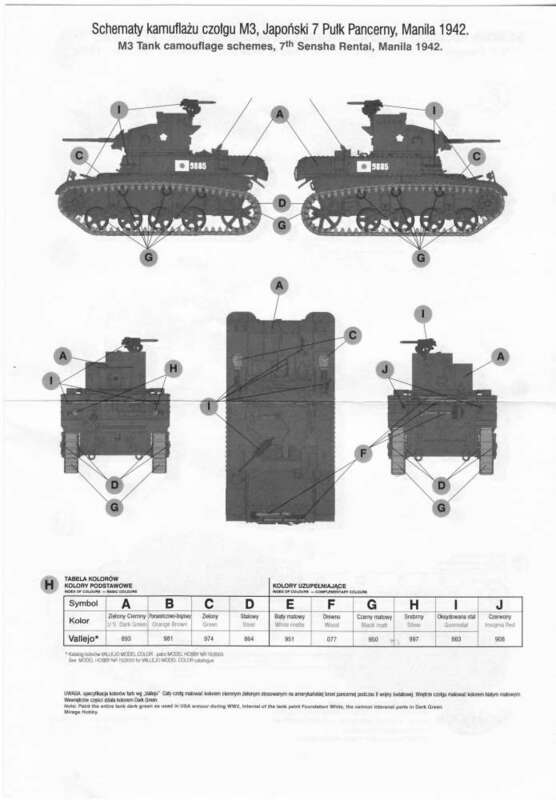 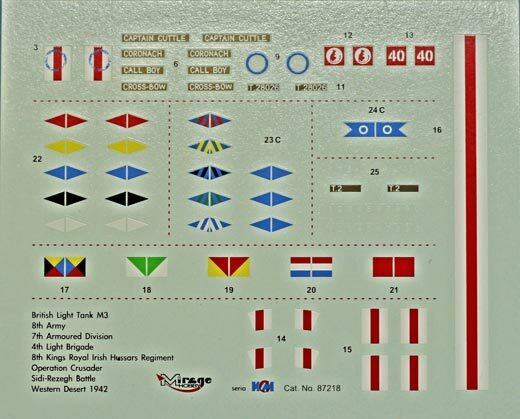 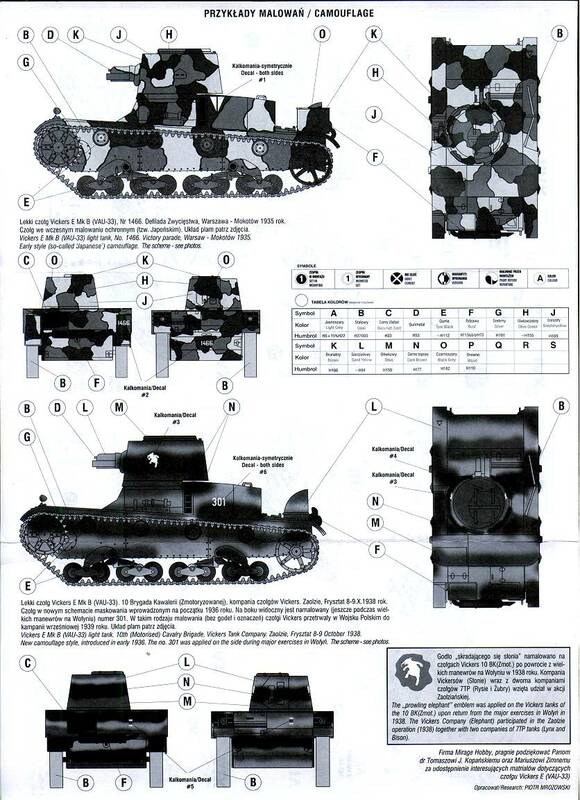 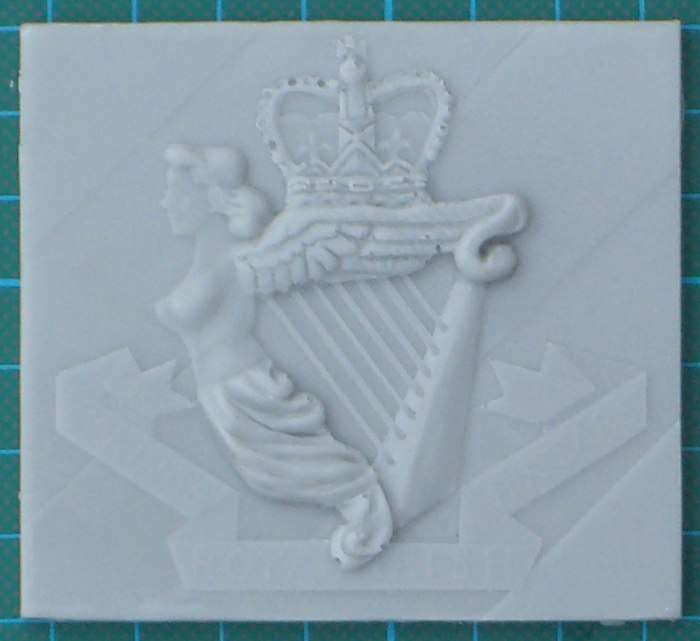 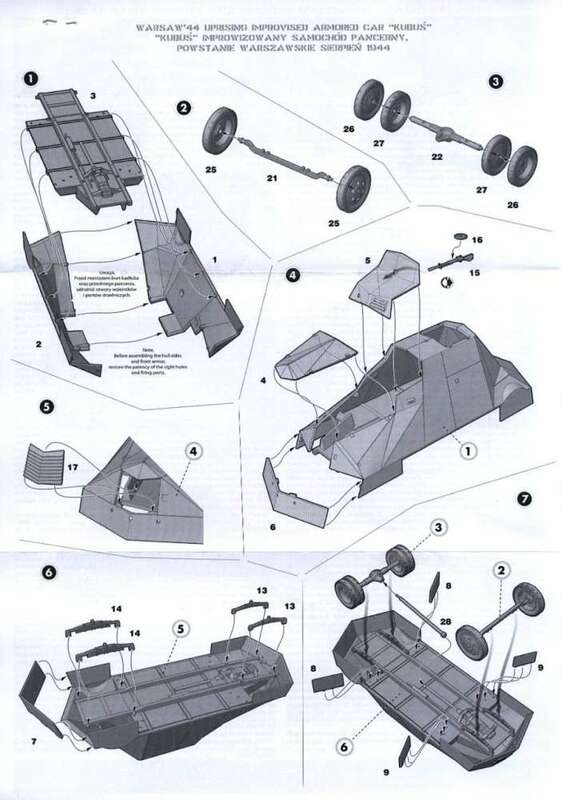 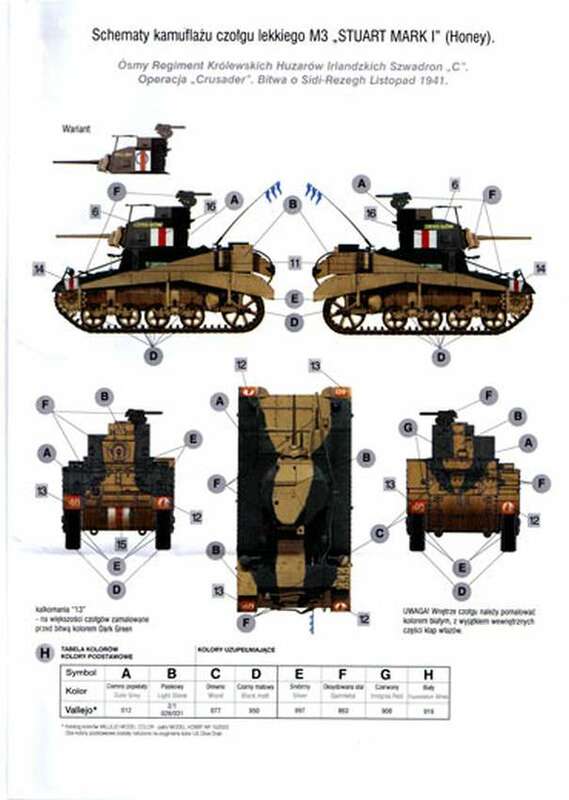 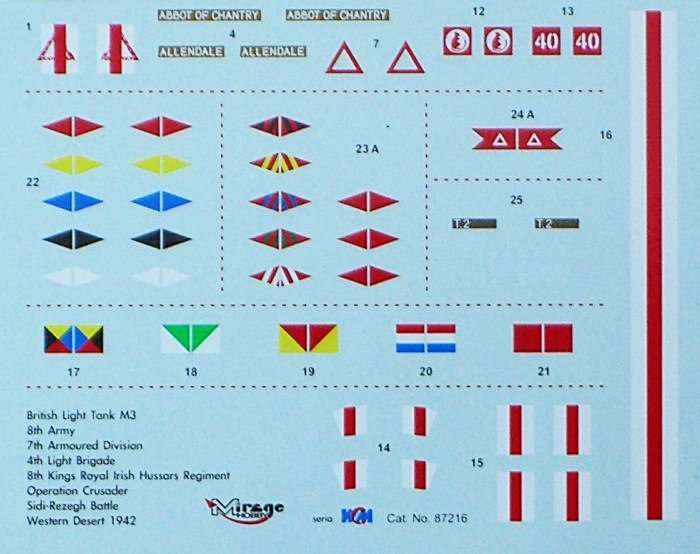 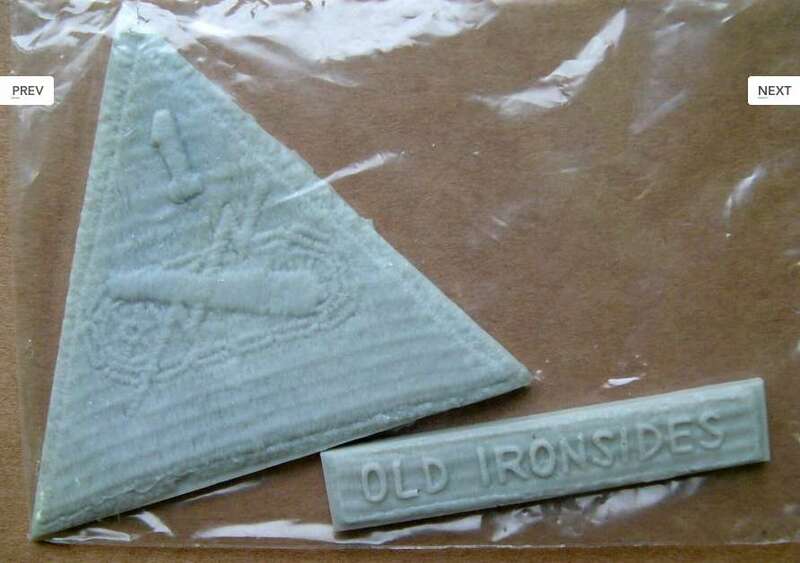 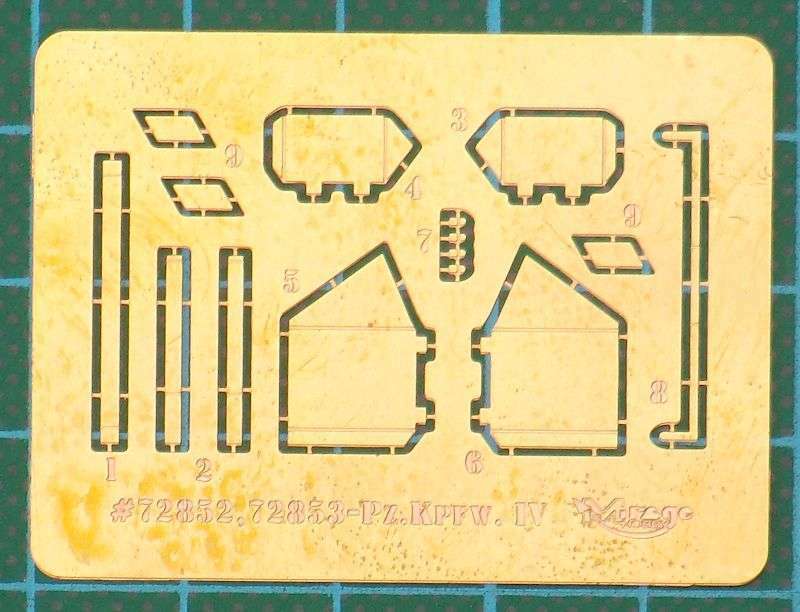 All kits are inter-related, sharing a number of common parts...each has about 150 finely moulded parts (some extremely small) along with vinyl tracks, very compehensive instructions (but no parts layout) and sometimes a small decal sheet. 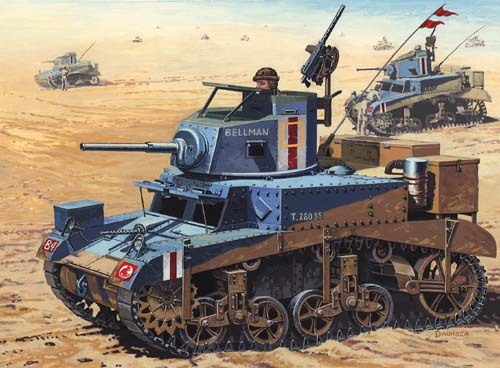 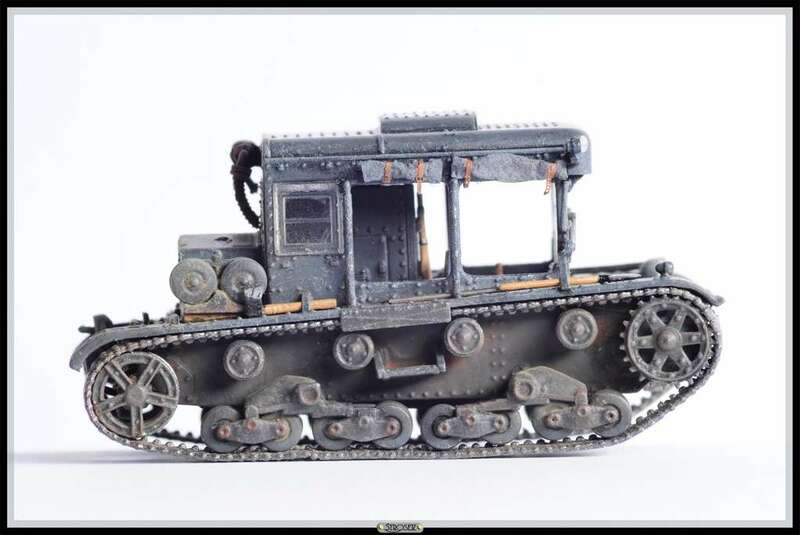 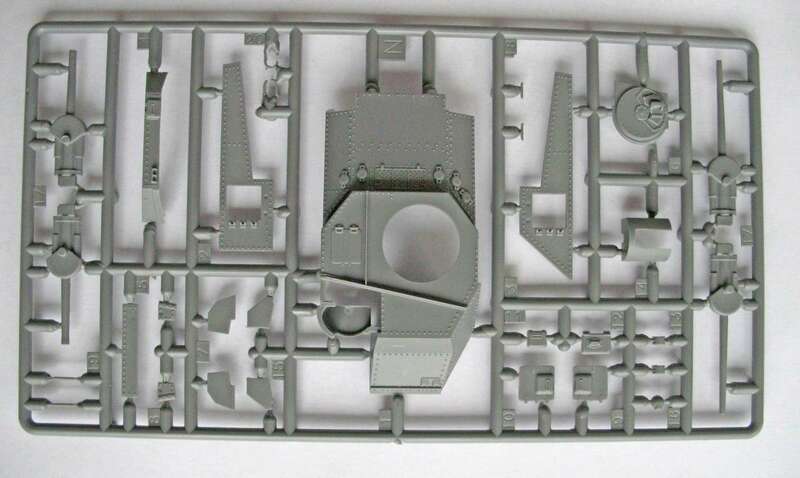 All road wheels are separate mouldings, gun(s) and turret(s) are moveable and upper hull detail is very good with accessories....including a shovel and an axe. 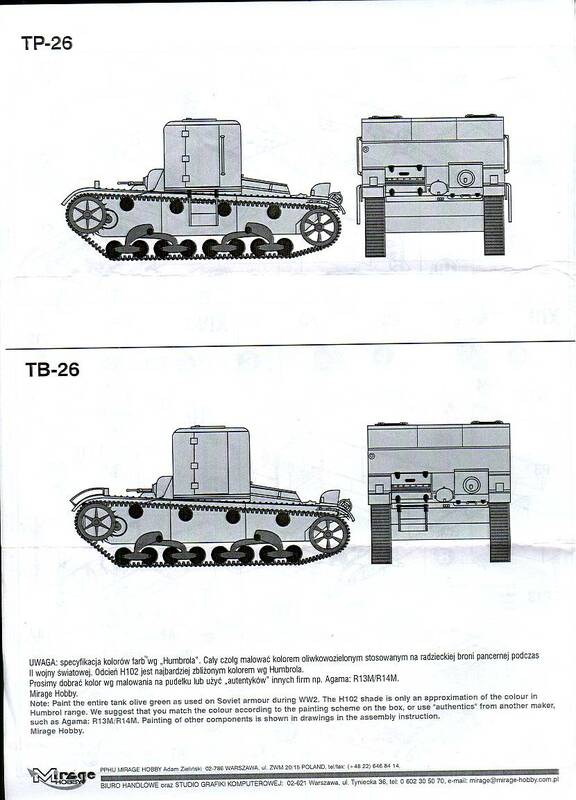 Sort of an SPG version of the T-26...the turret has been removed and a 76mm PS-3 has been fitted (along with two 7.62mm machine guns). 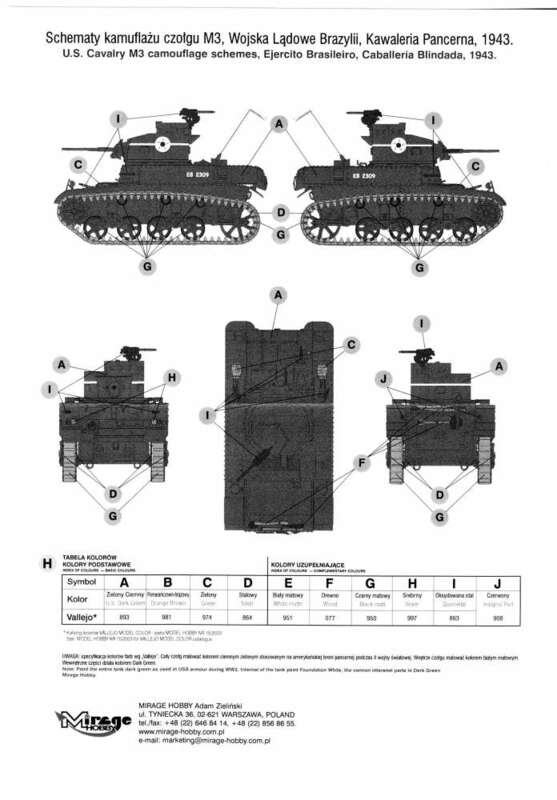 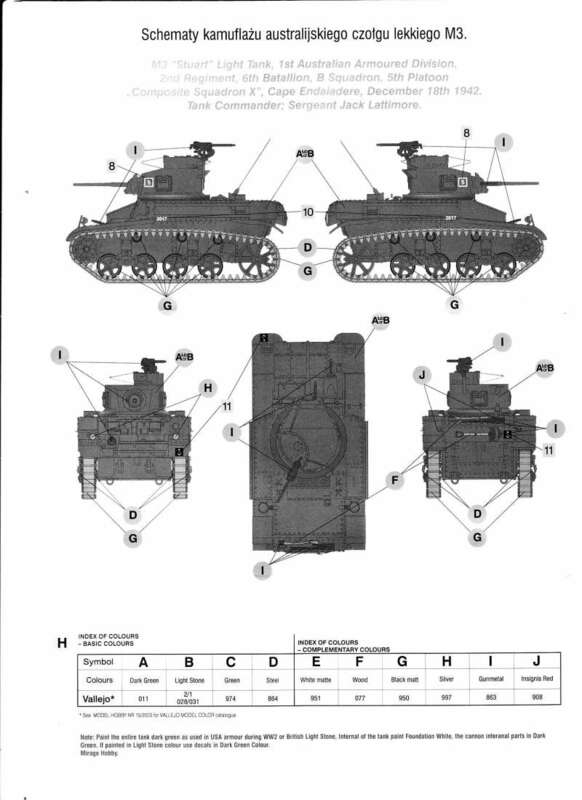 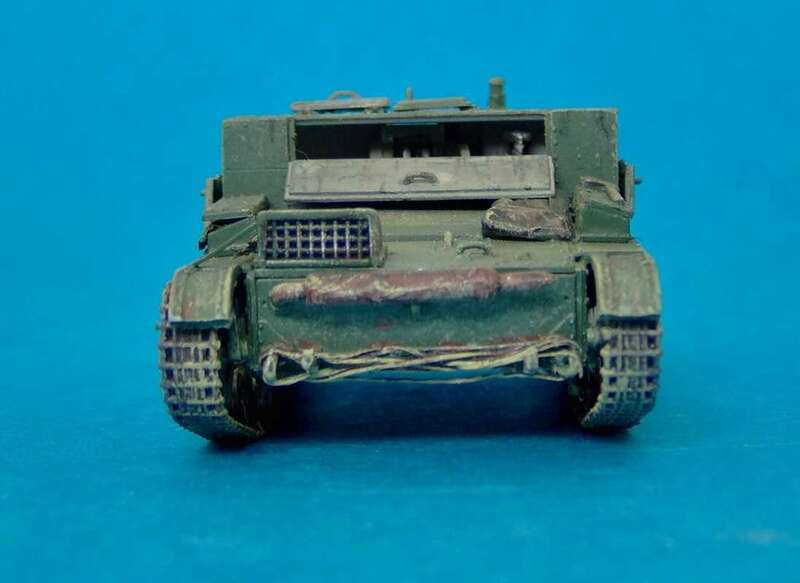 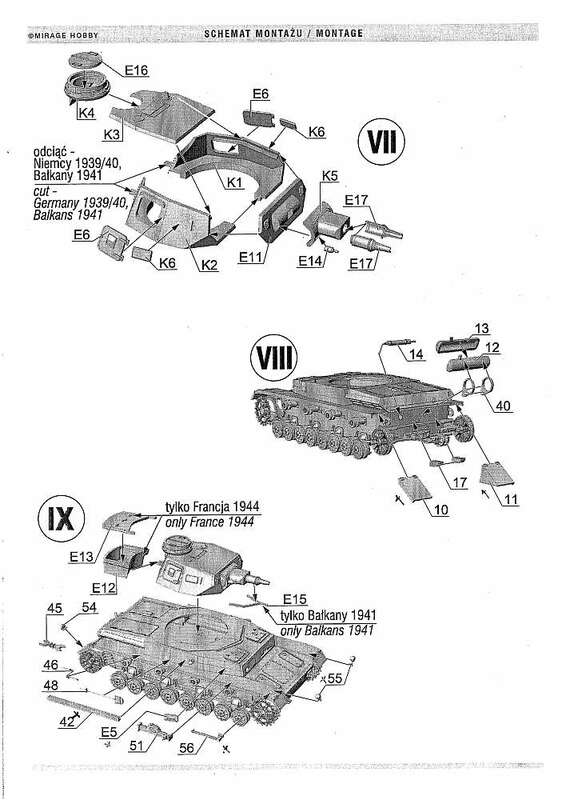 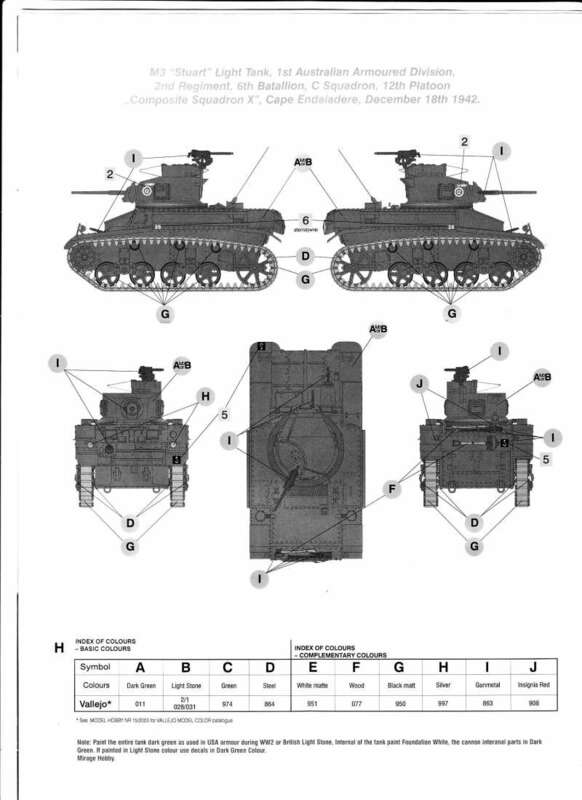 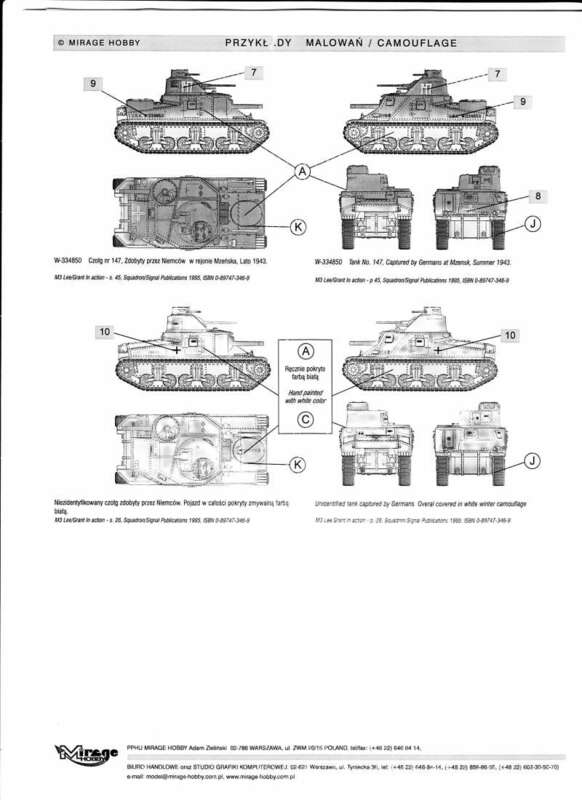 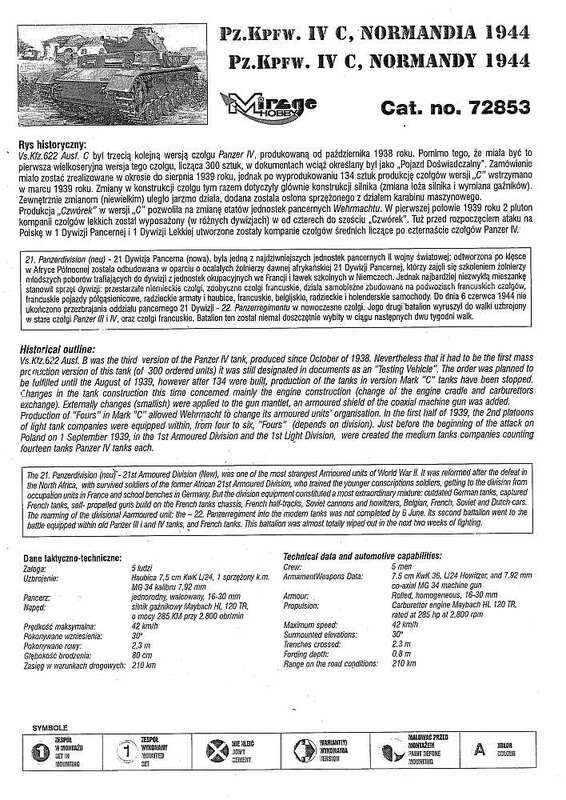 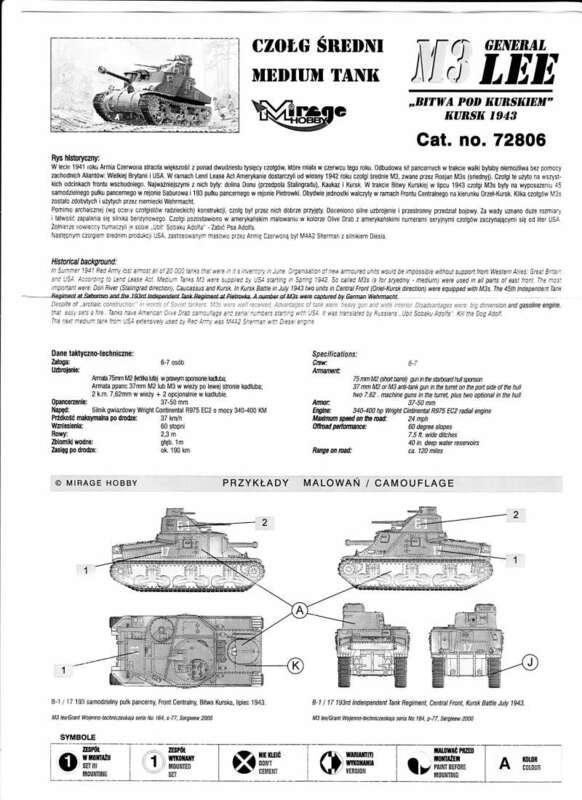 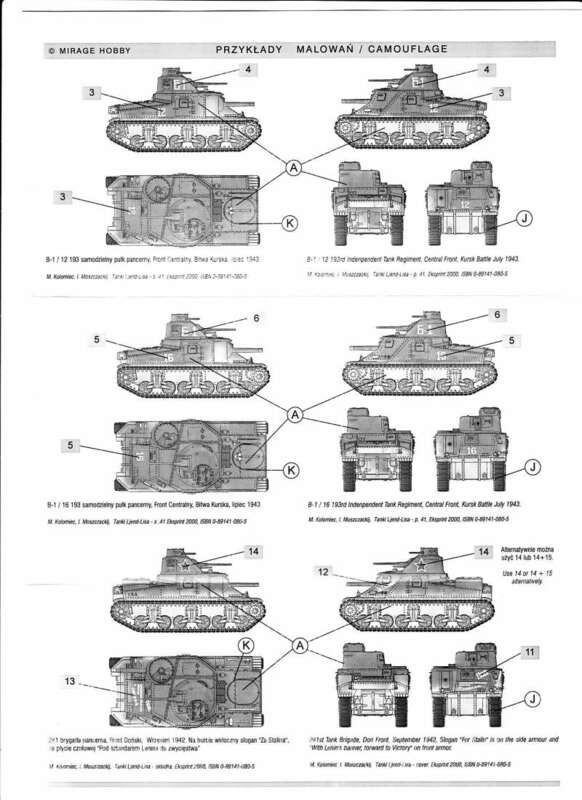 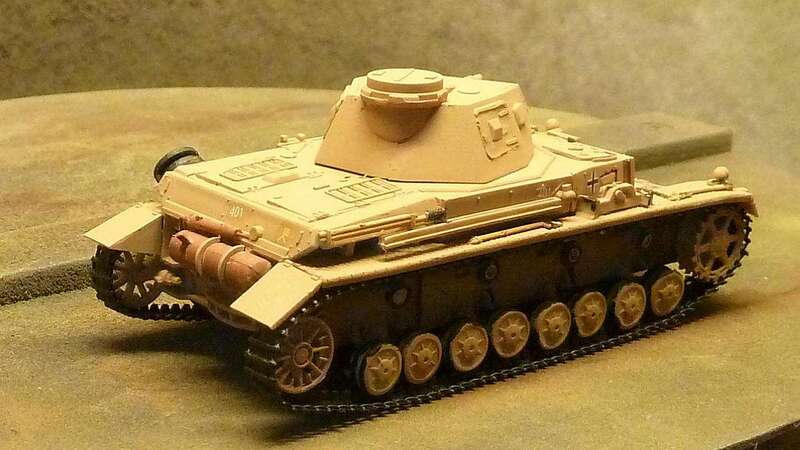 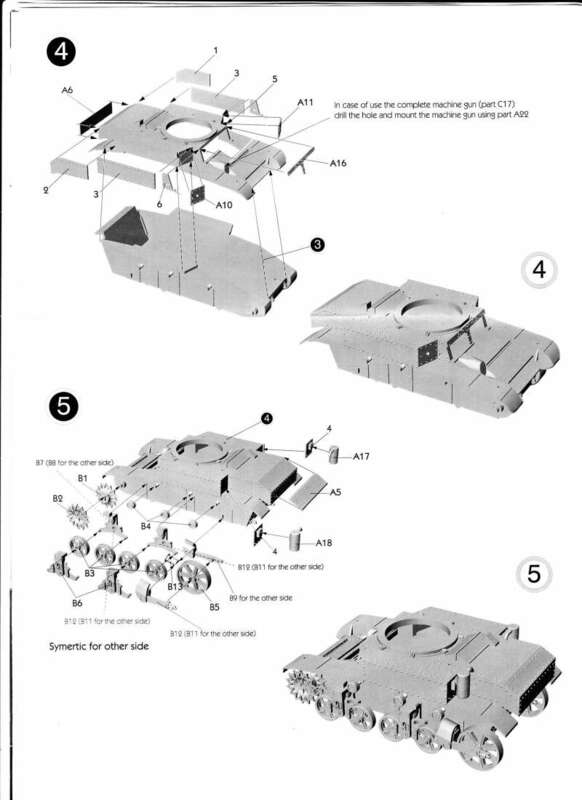 The kit has the same lower hull and running gear as the 7TP/Vickers kits but there's a new upper hull with fully detailed PS-3 gun (with ammunition), optional position hatched and detailed interior. 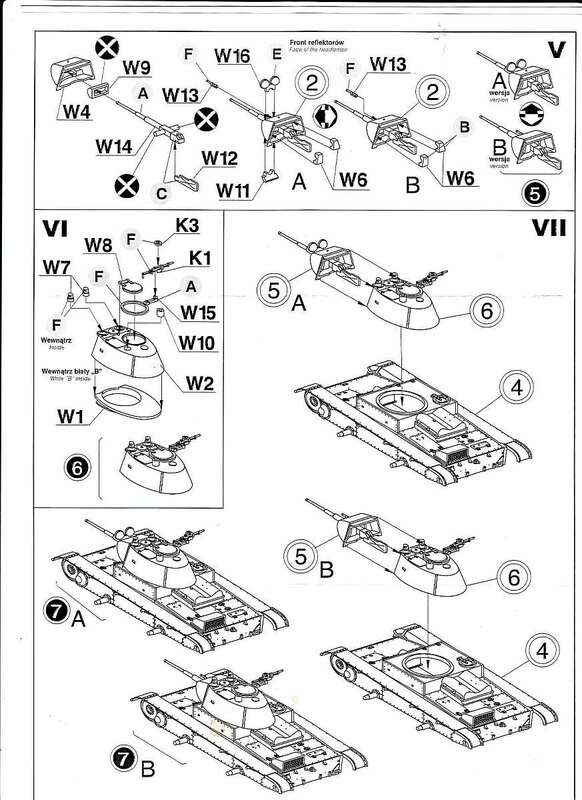 There are no decals. 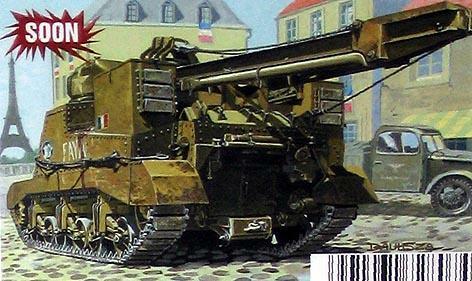 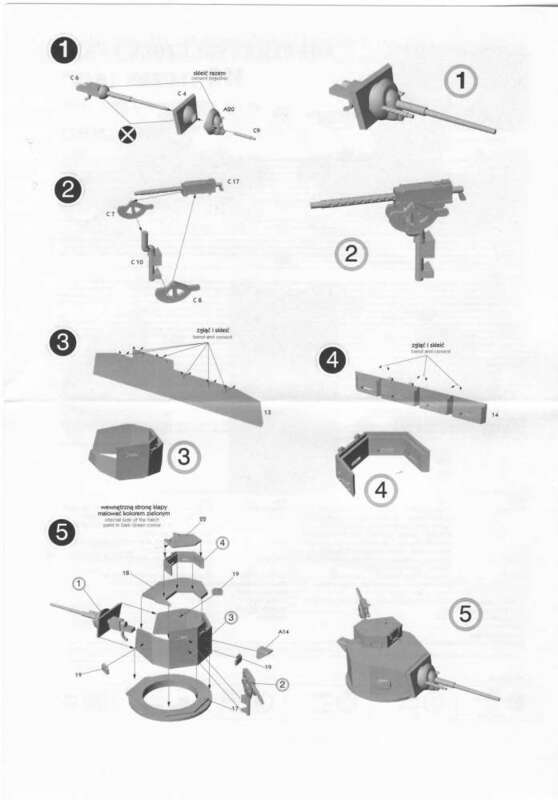 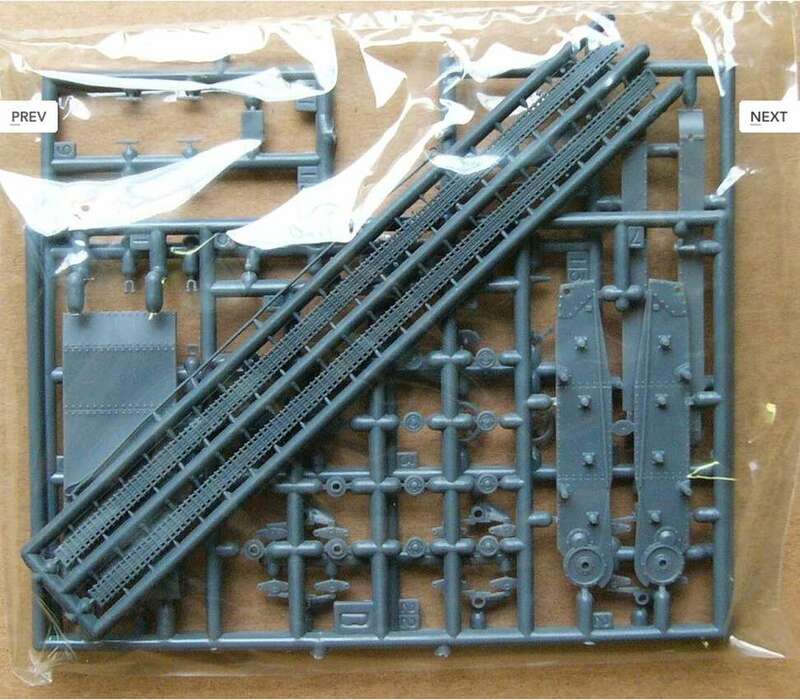 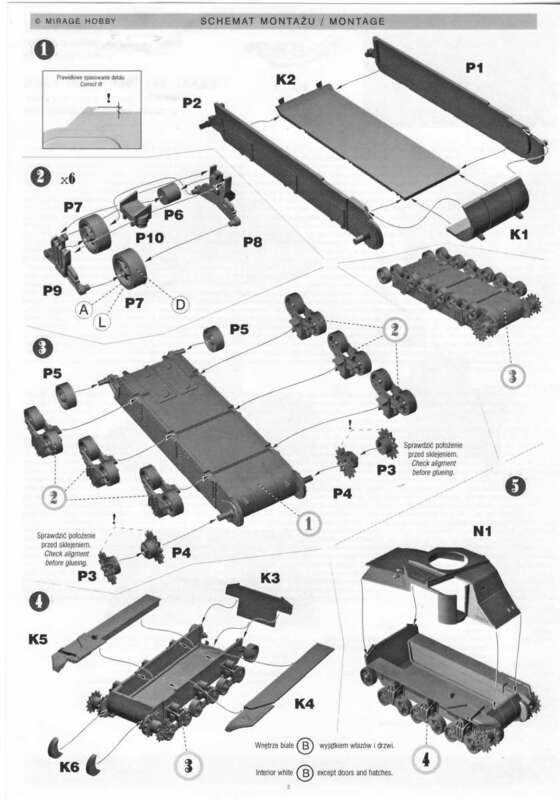 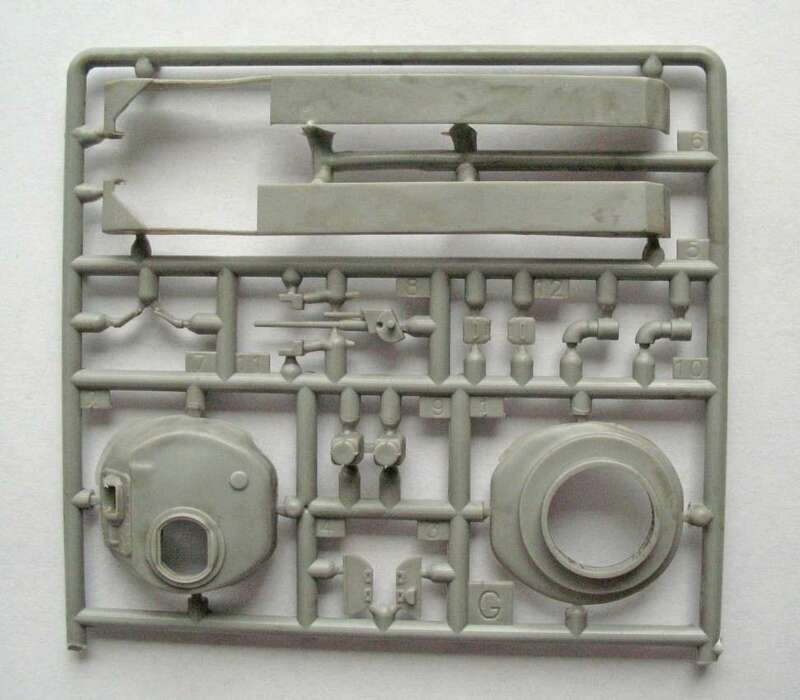 Again, this kit has the 7TP/Vickers lower hull with an upper hull similar to the AT-1 (instead of the PS-3 gun there's just a single 7.62mm machine gun). 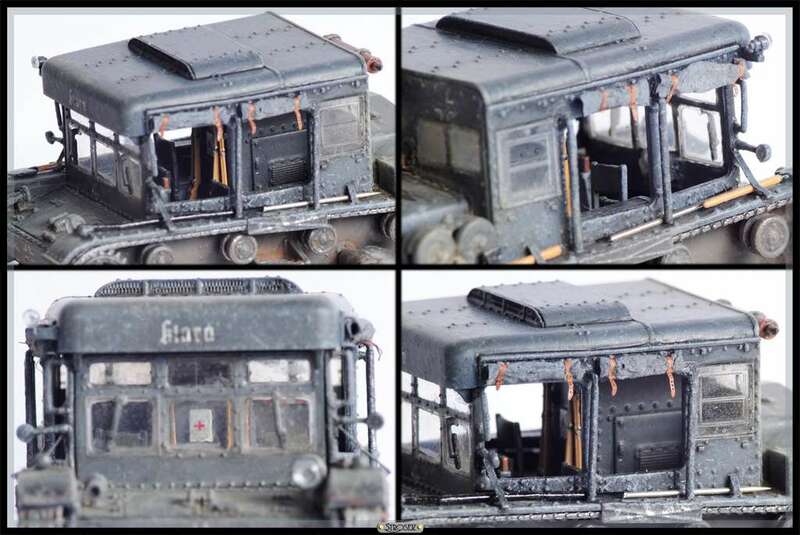 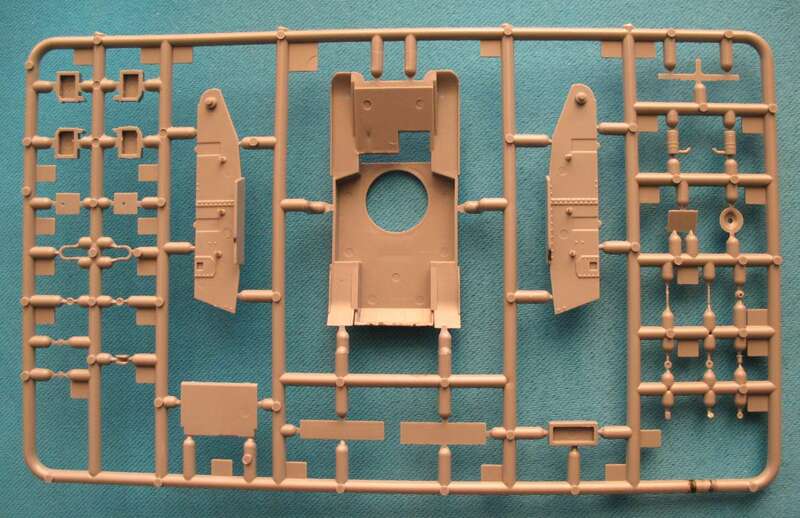 There are optional position hatched and a detailed interior...no decals. 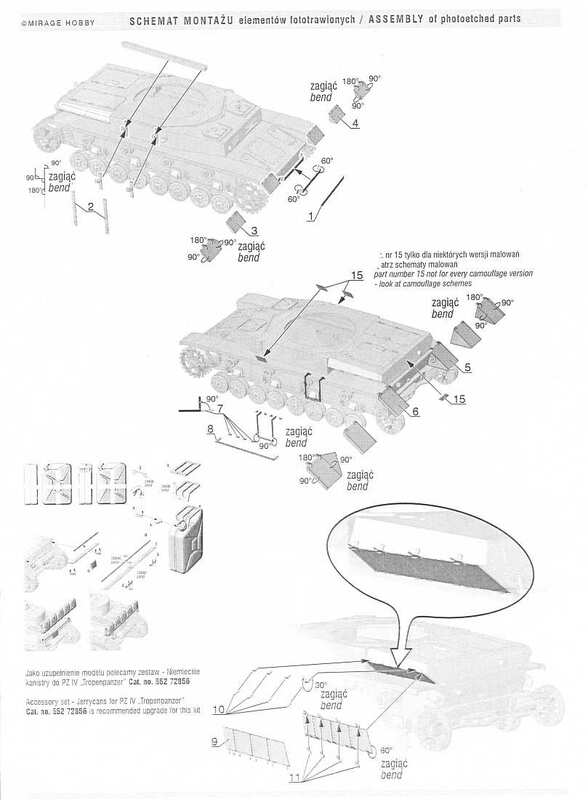 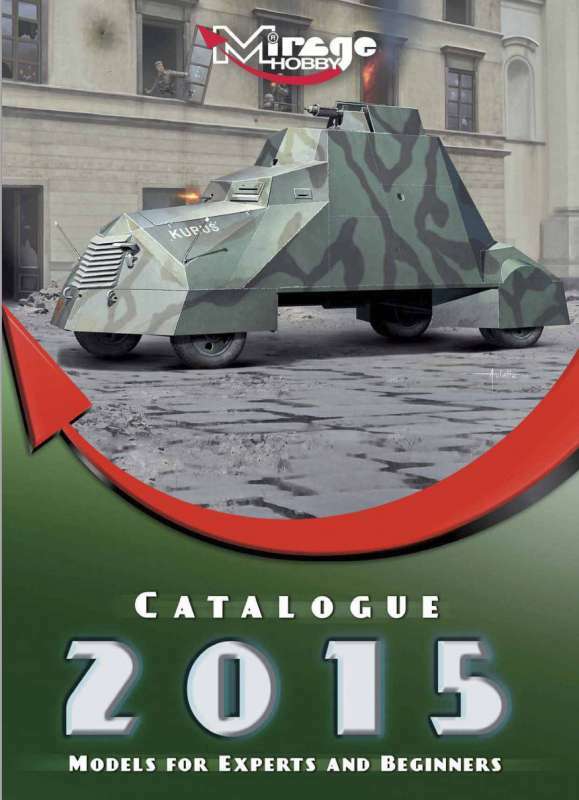 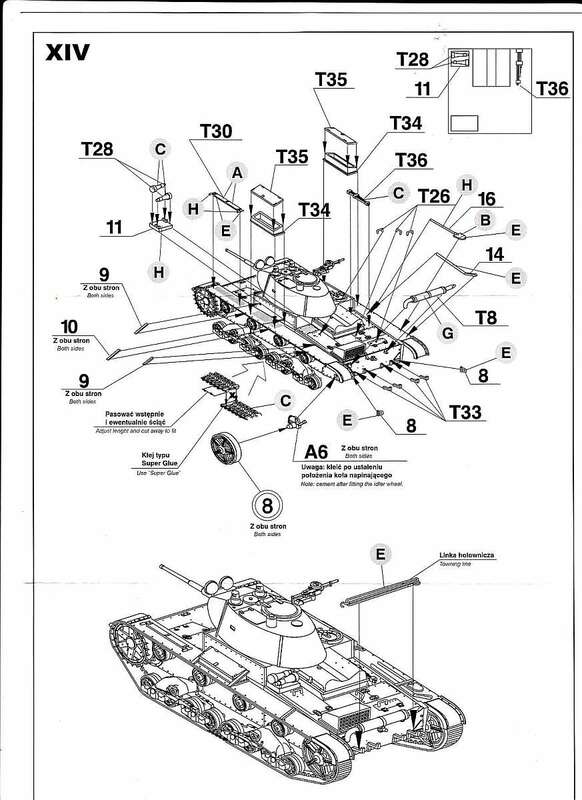 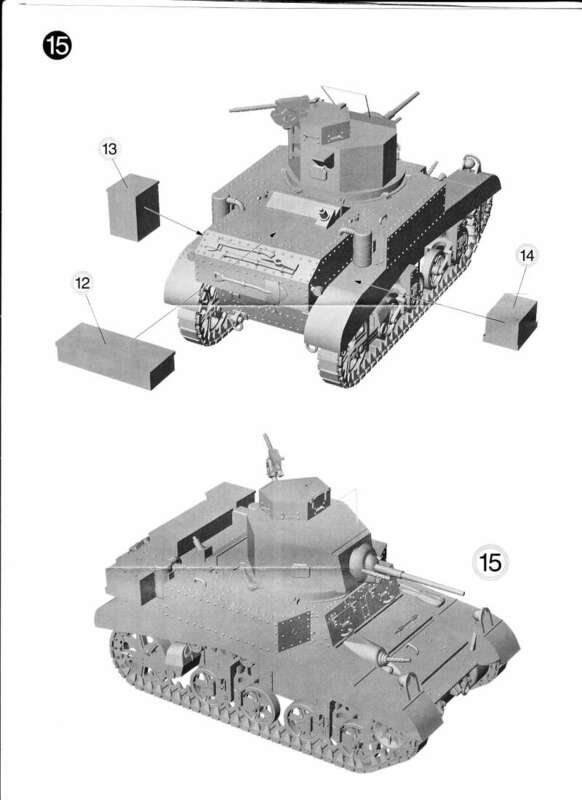 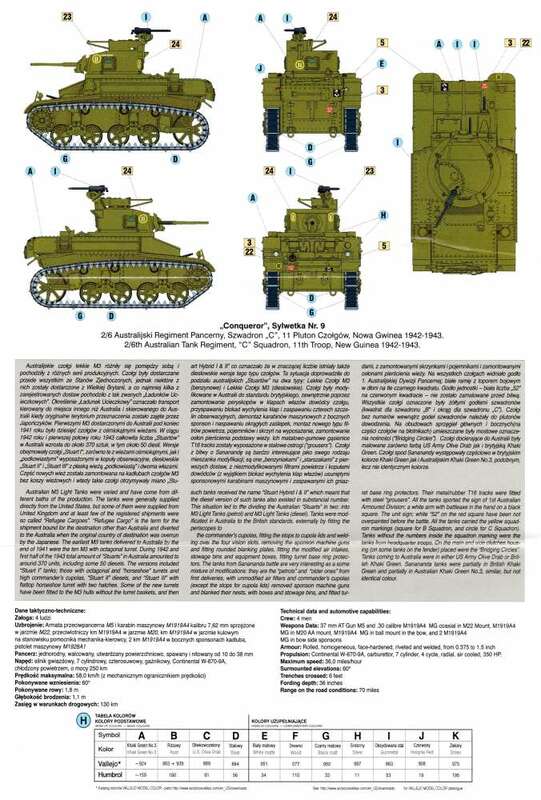 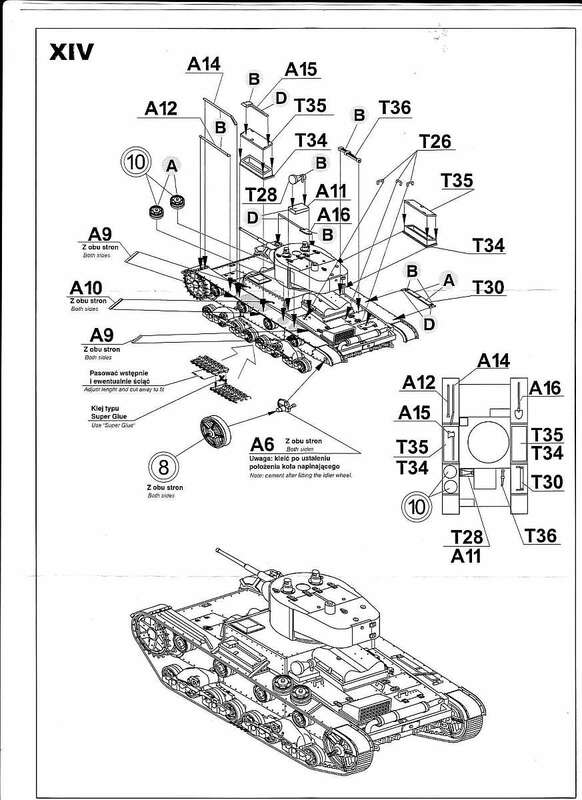 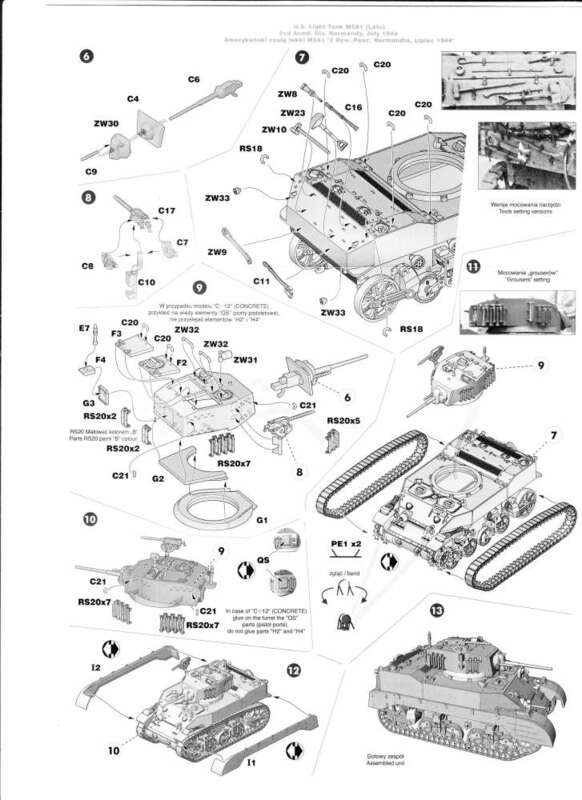 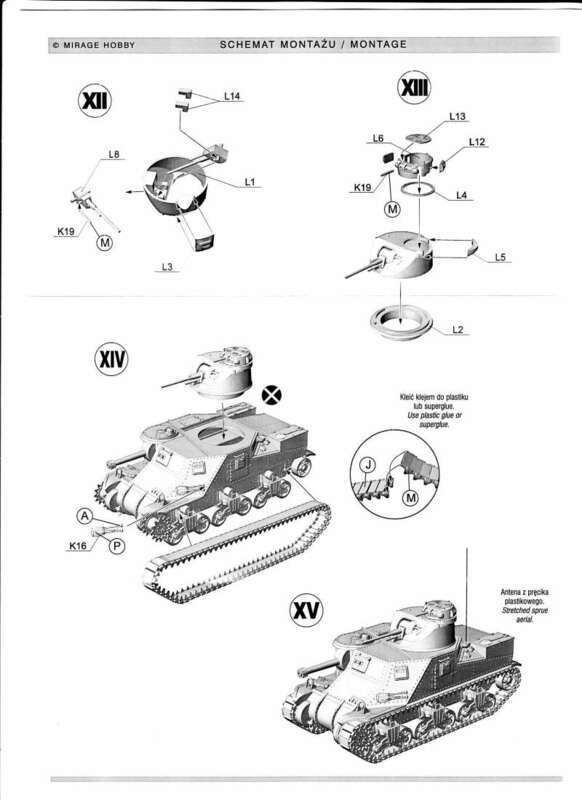 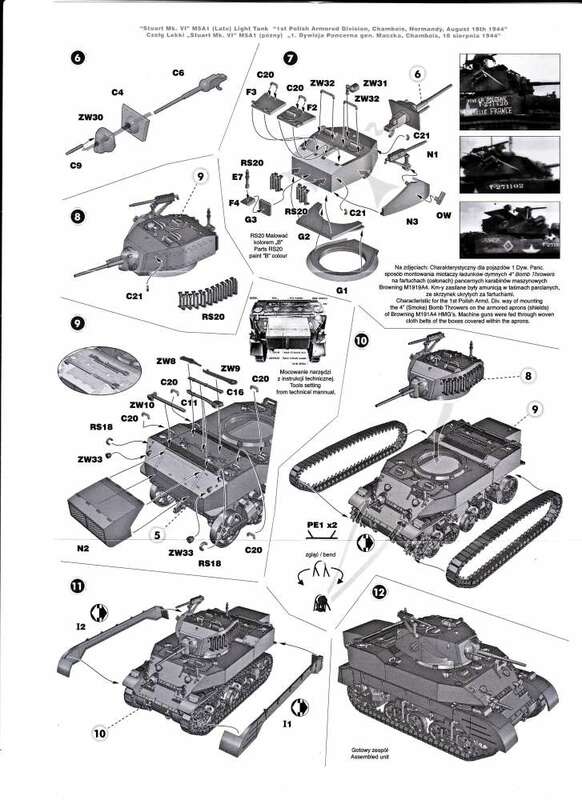 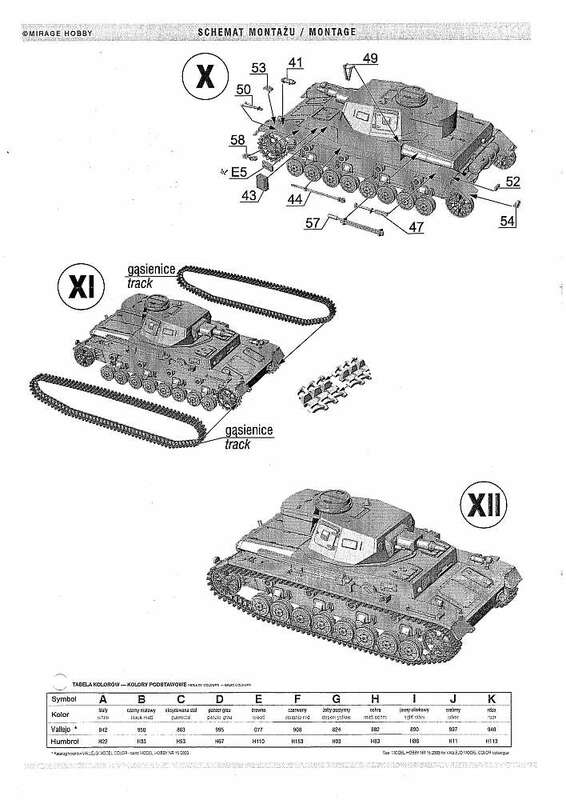 A brief description would be 'a storage box and small machine gun, mounted on a T-26 chassis'. 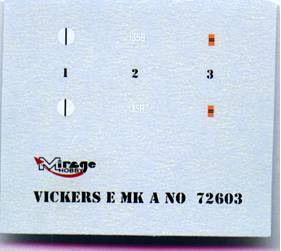 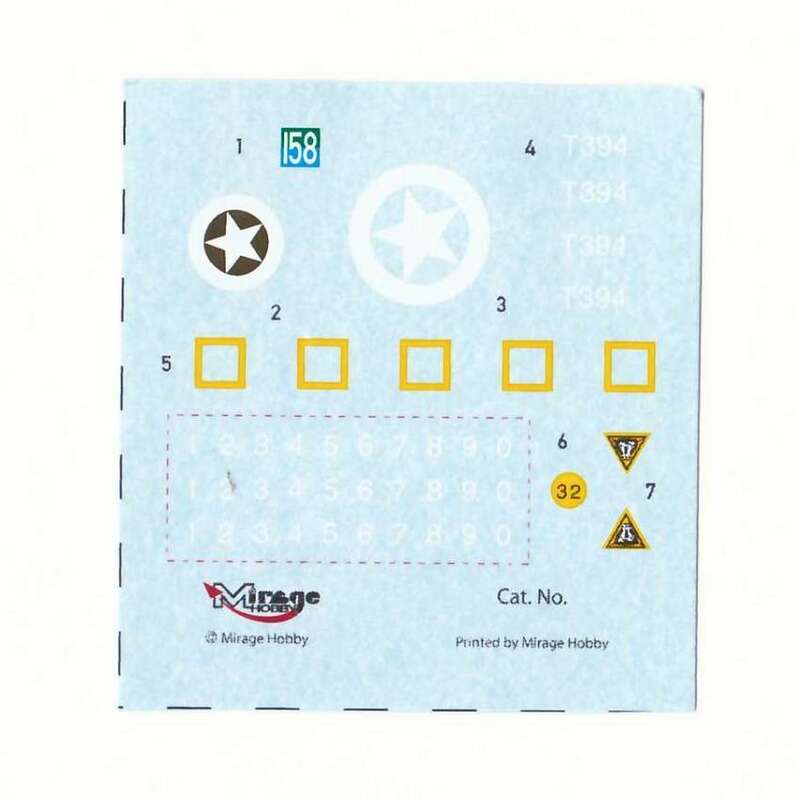 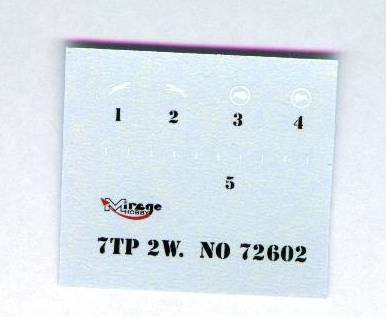 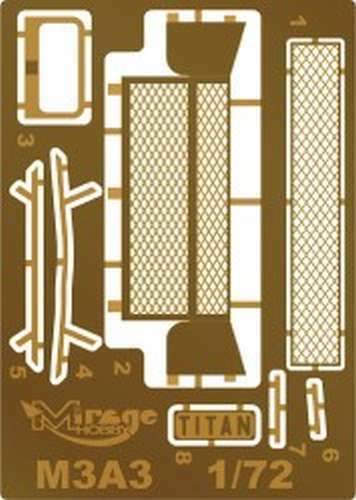 The kit is as per the rest of the Mirage 7TP/T-26/Vickers kits...crisp and cleanly moulded with vinyl tracks, separate road wheels and good detail. 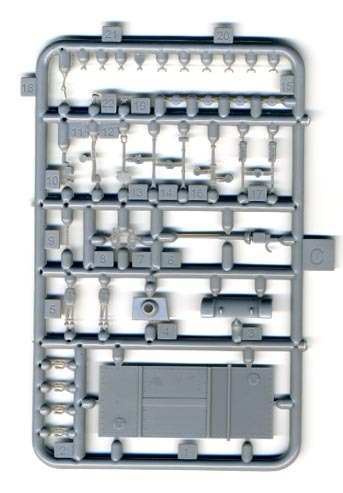 The T-26TB has 200 injection moulded parts (some very, very small! 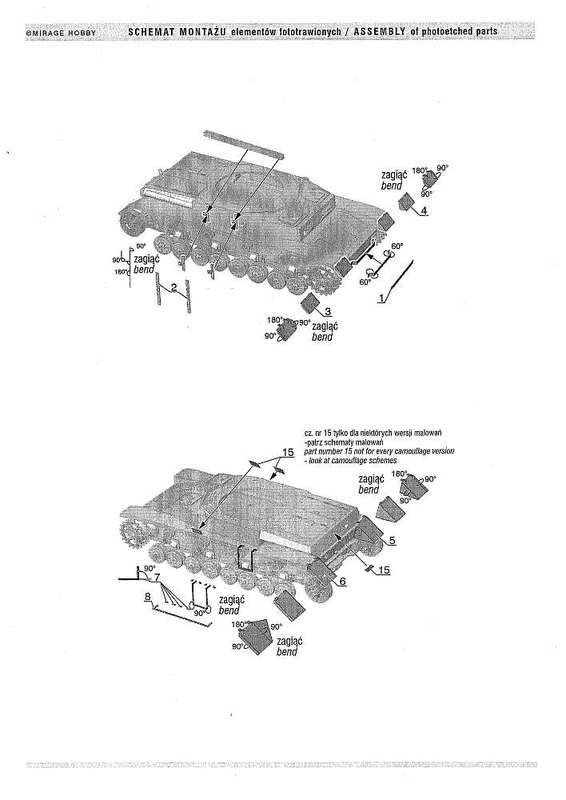 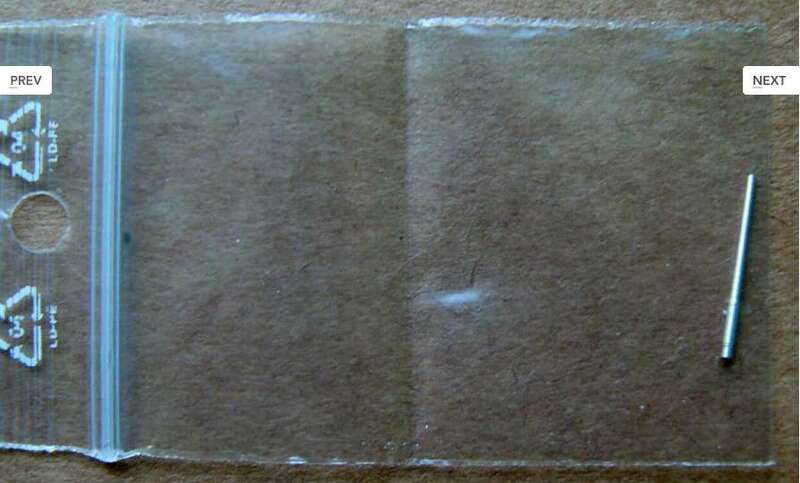 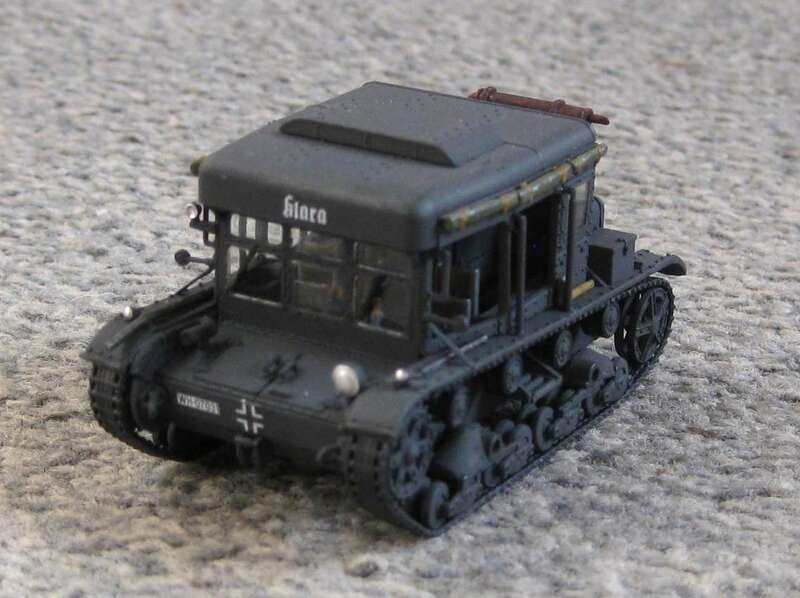 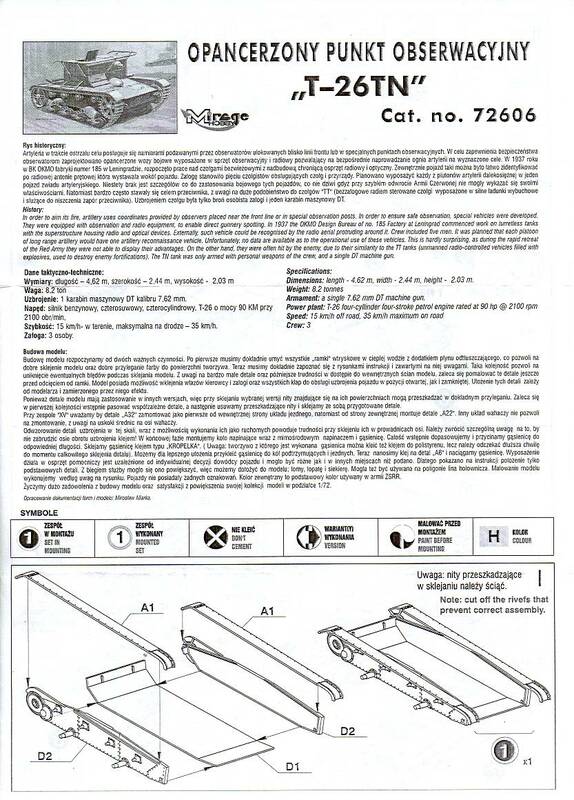 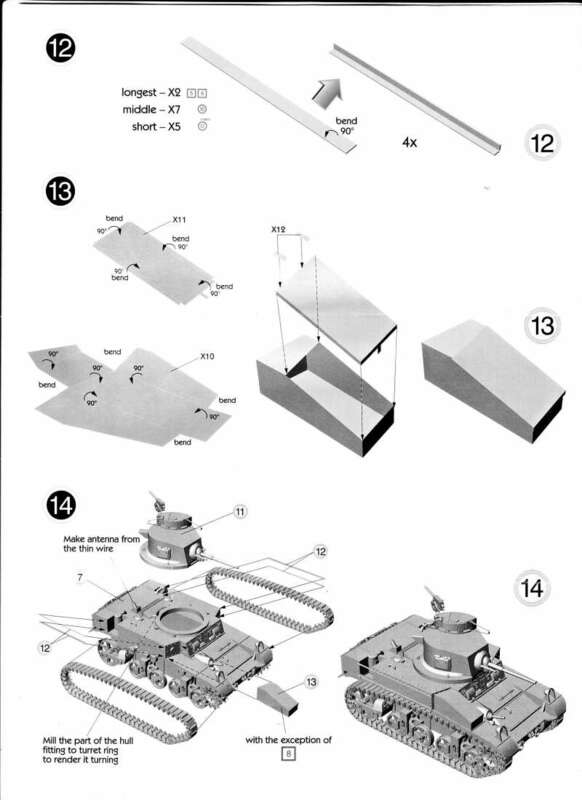 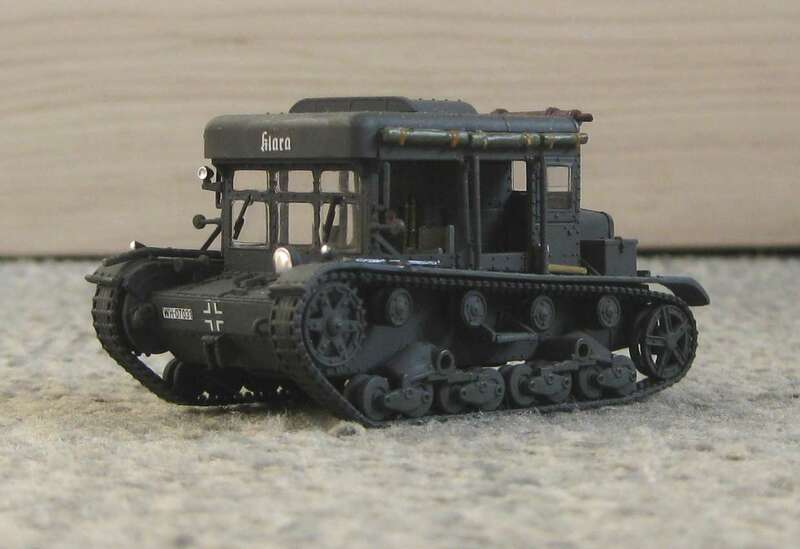 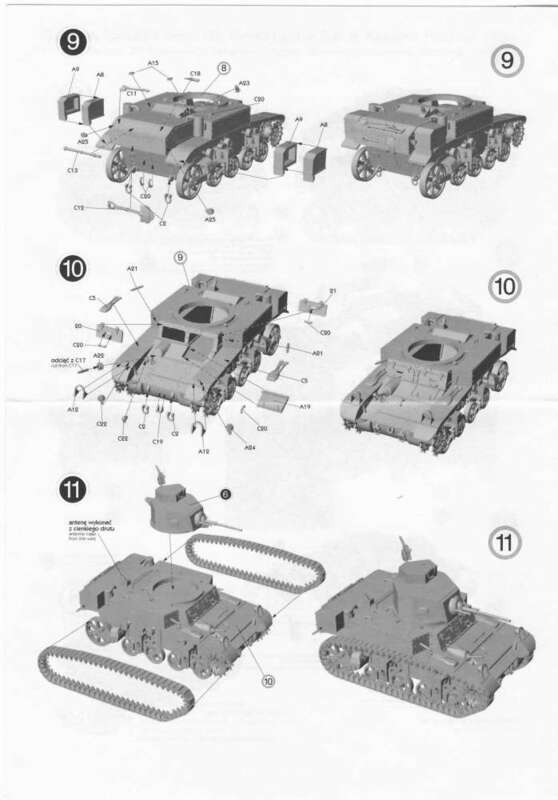 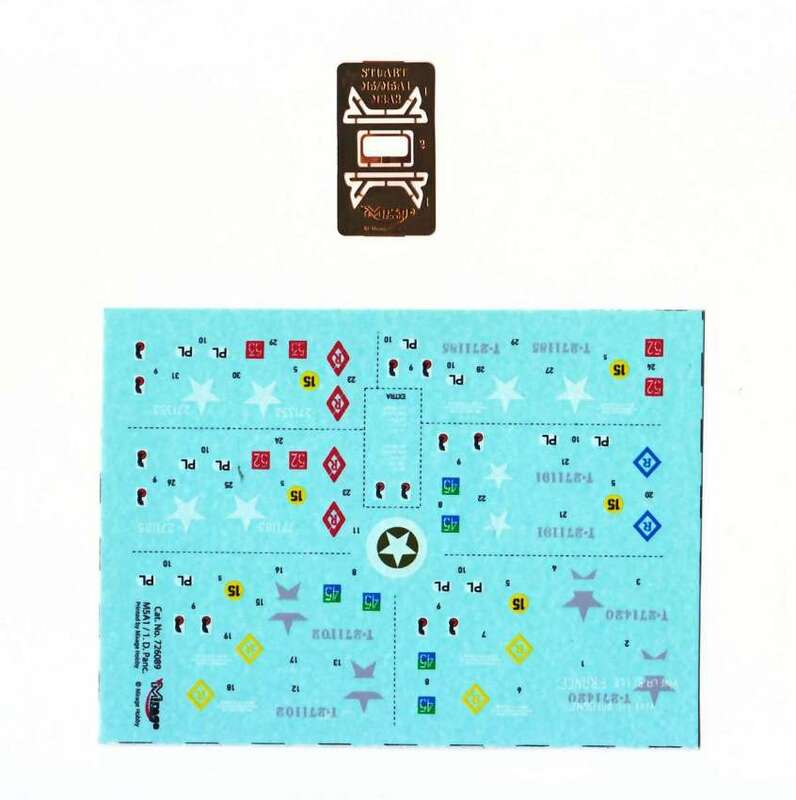 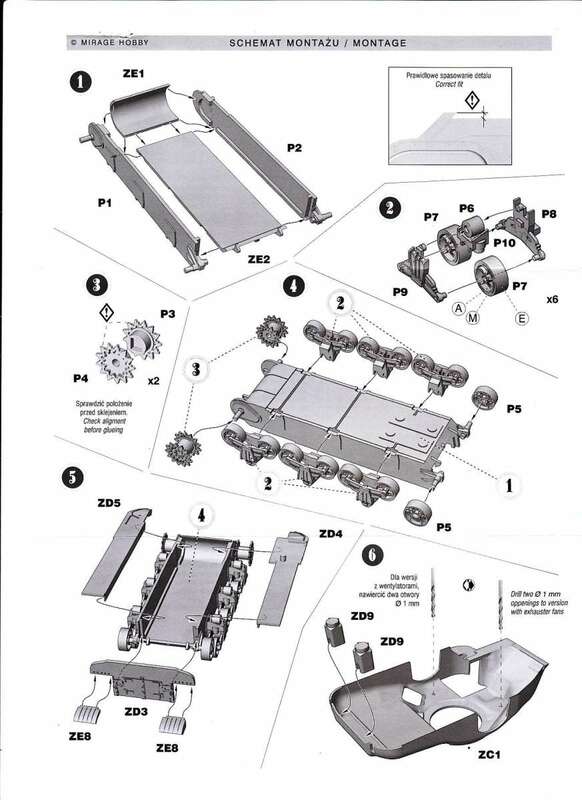 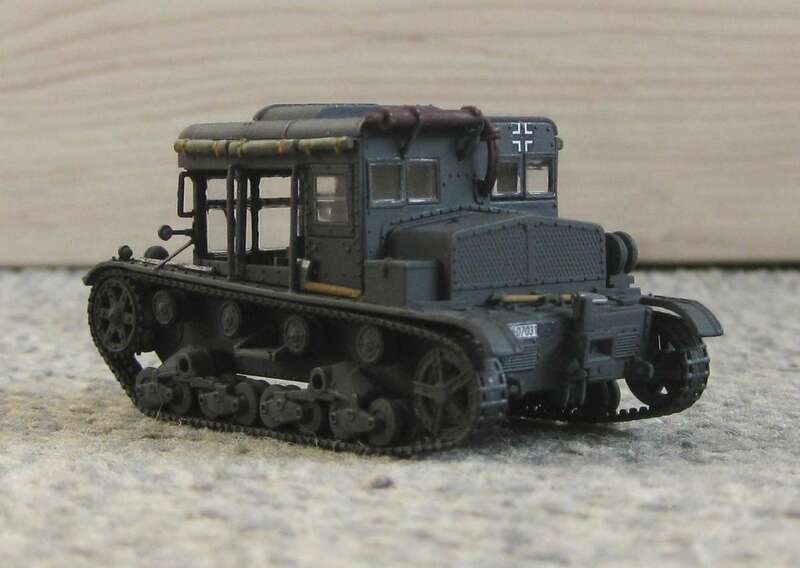 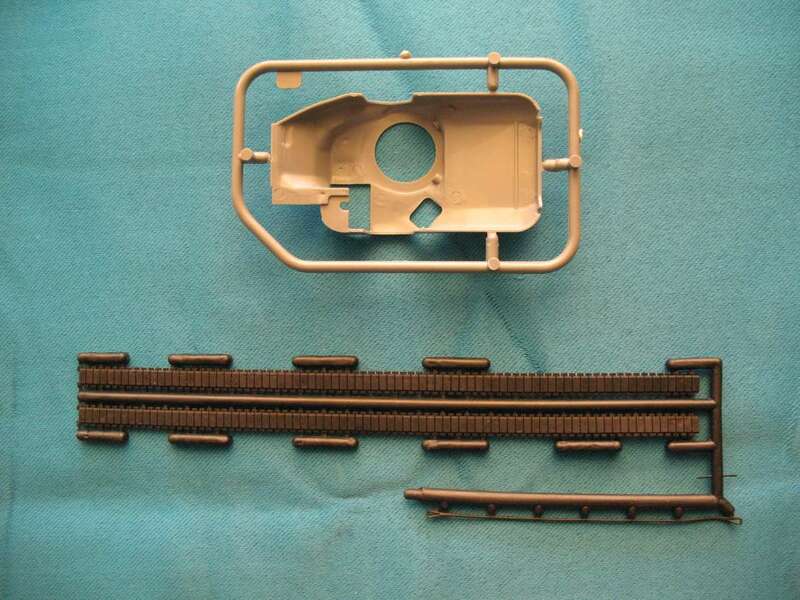 ), plus the vinyl tracks, large, well laid out, easy to follow instructions, but no decals (the vehicle does not have any markings). 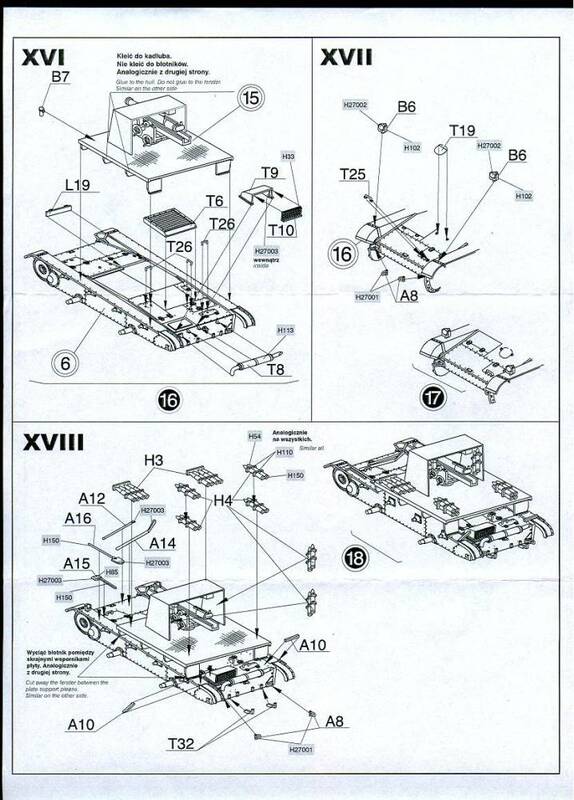 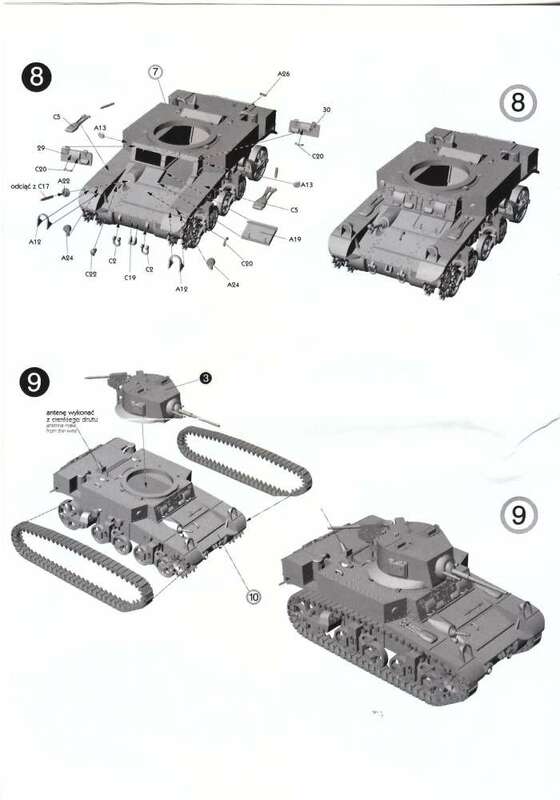 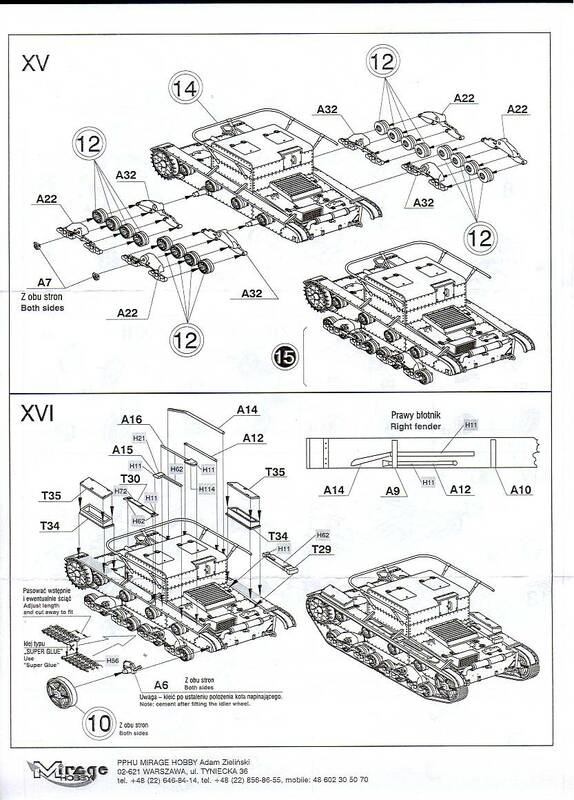 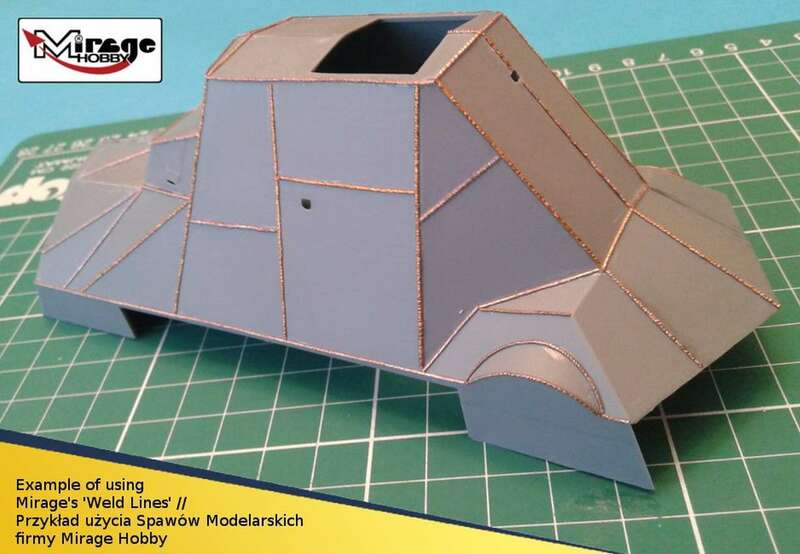 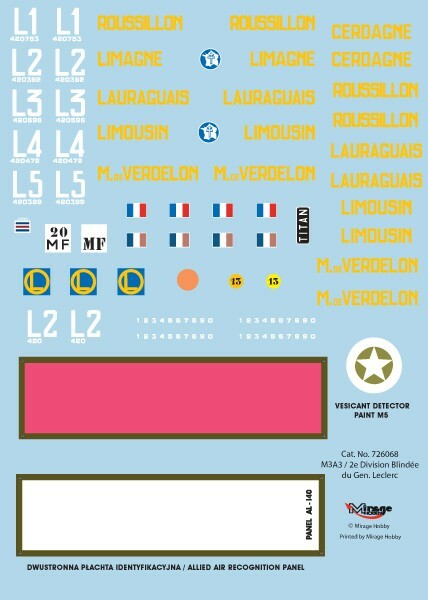 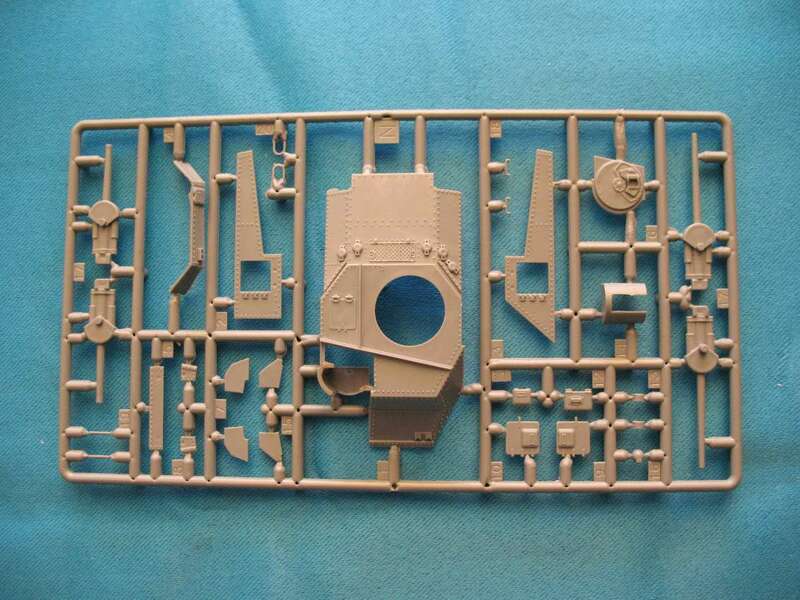 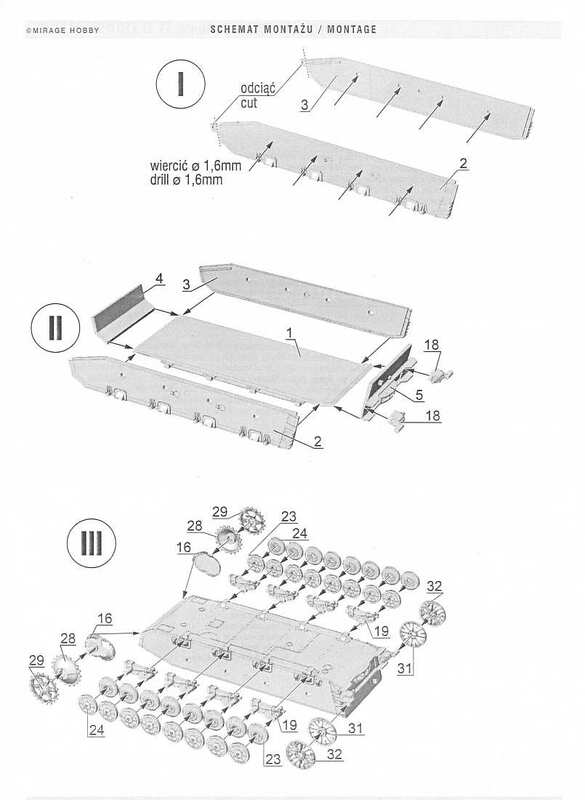 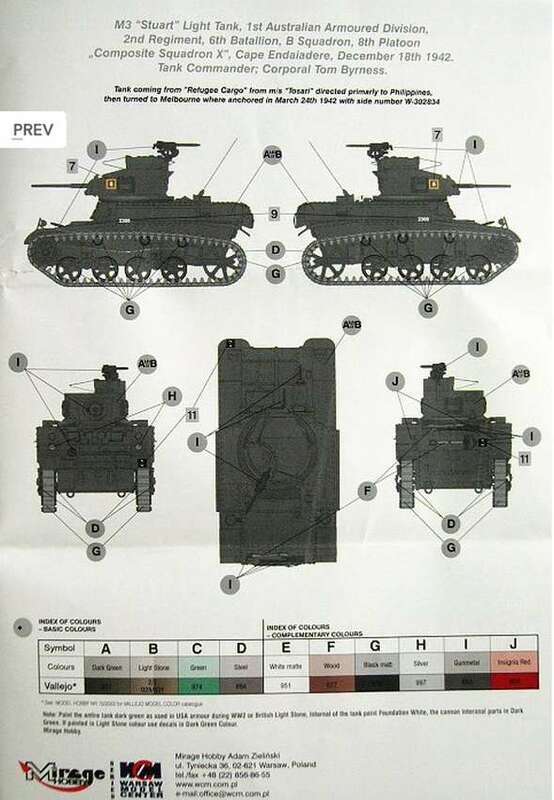 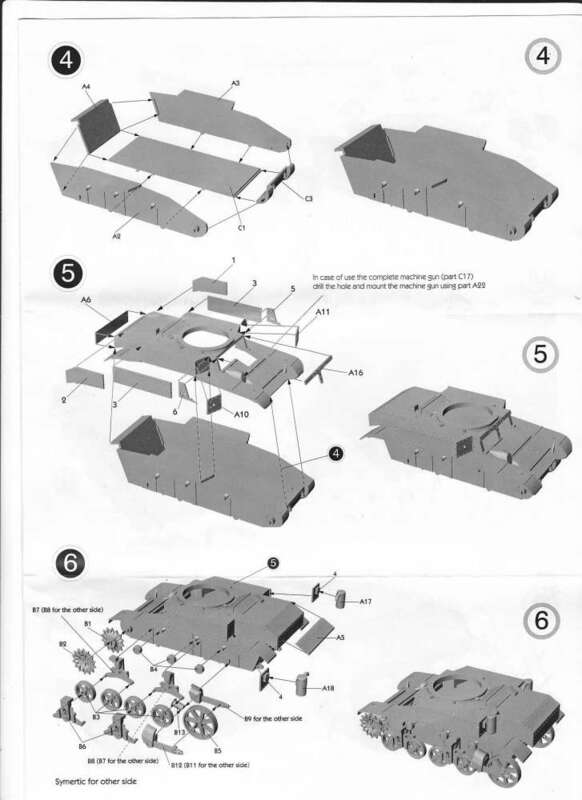 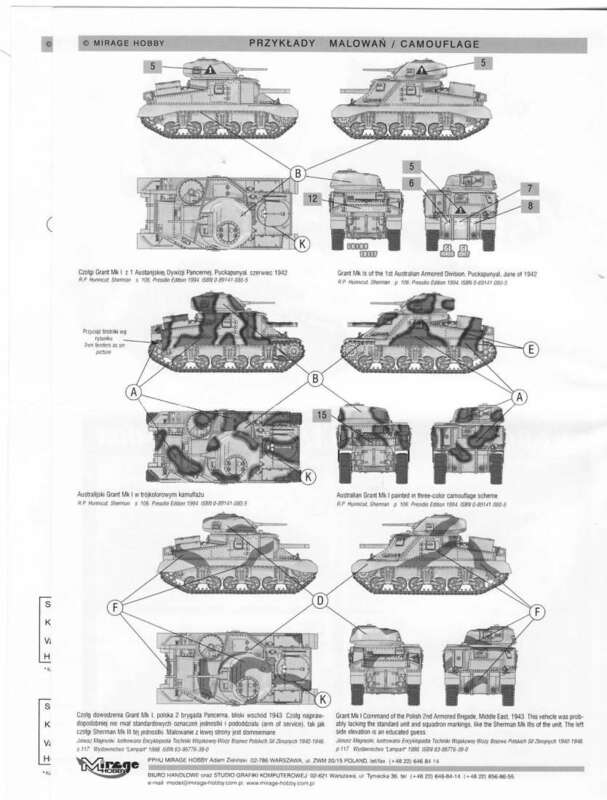 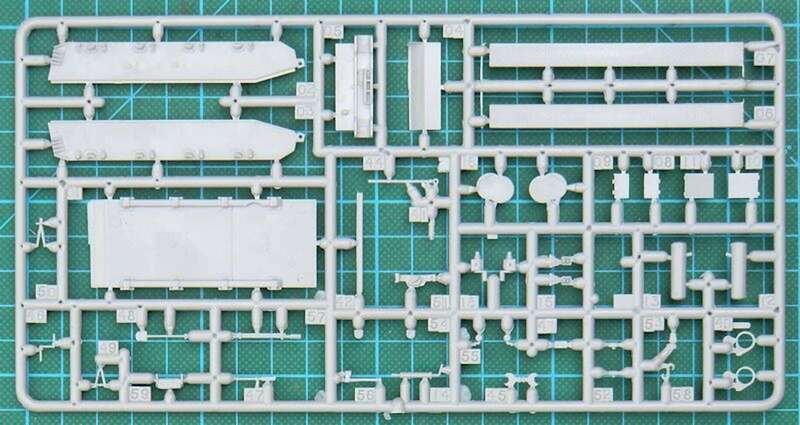 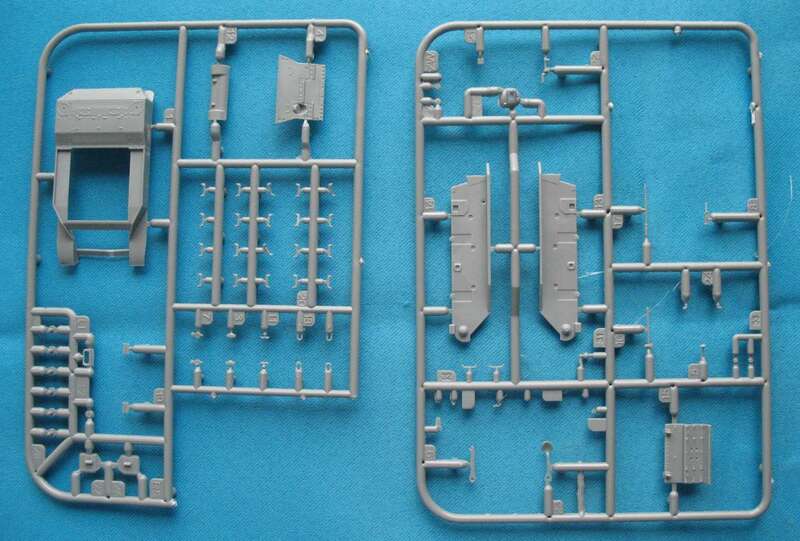 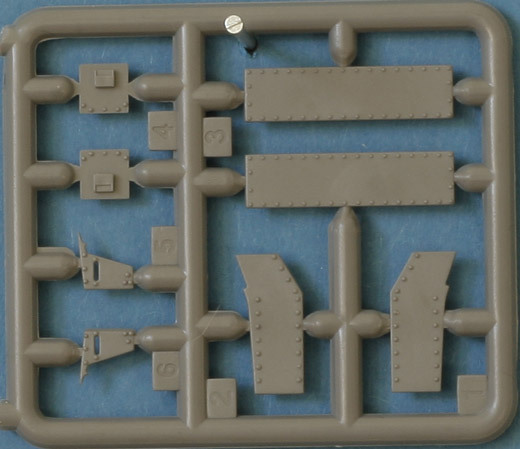 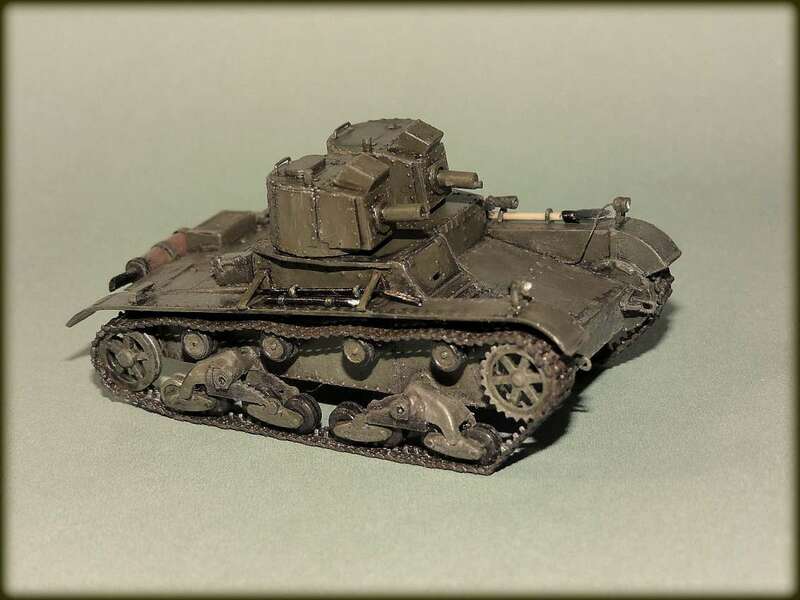 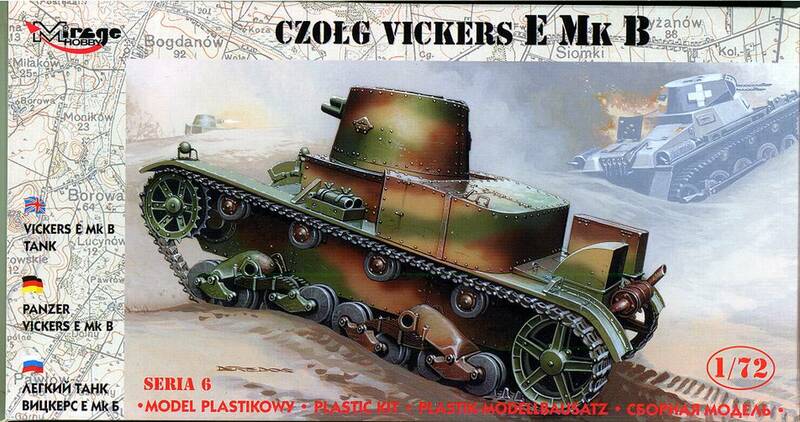 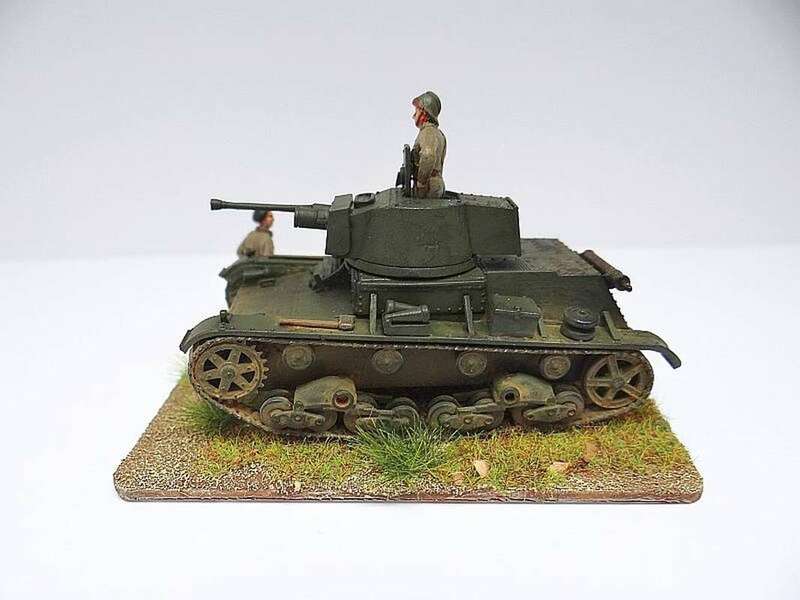 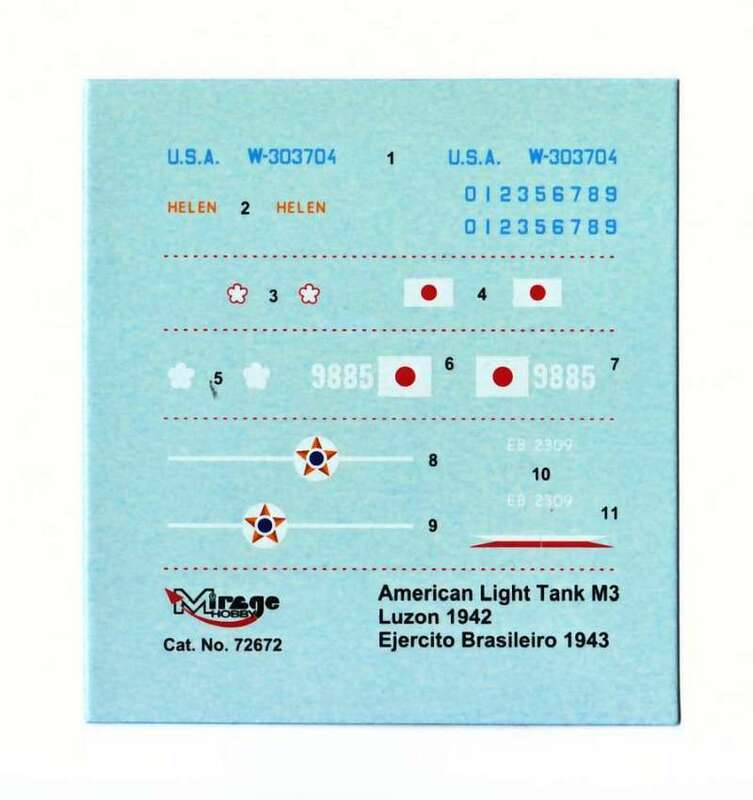 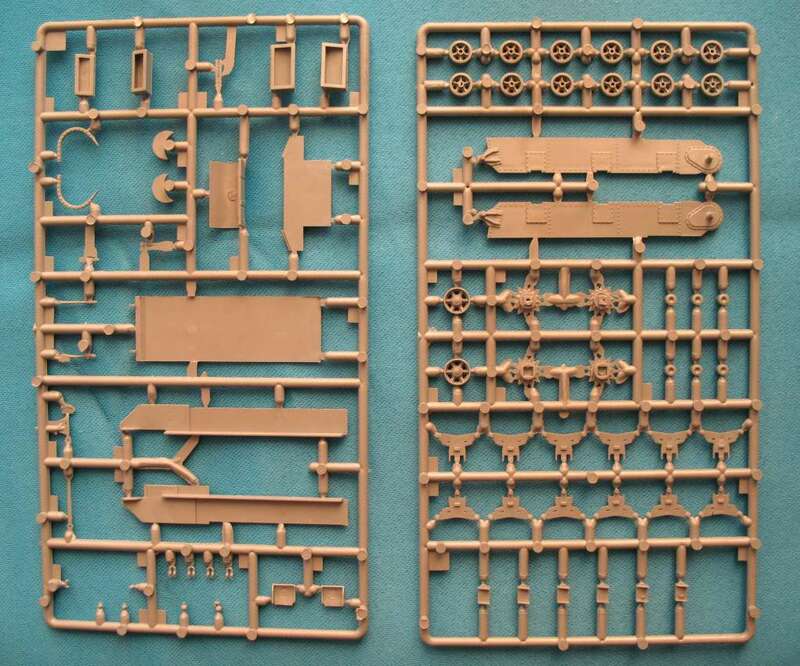 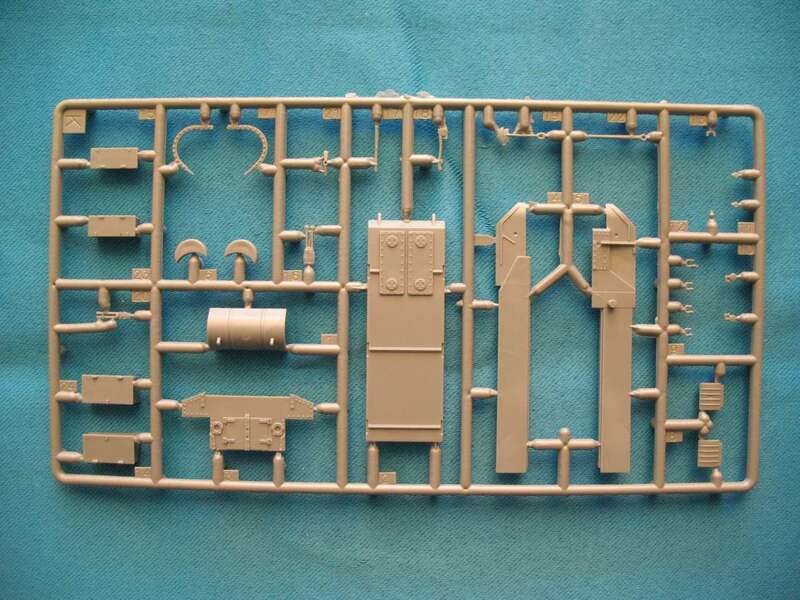 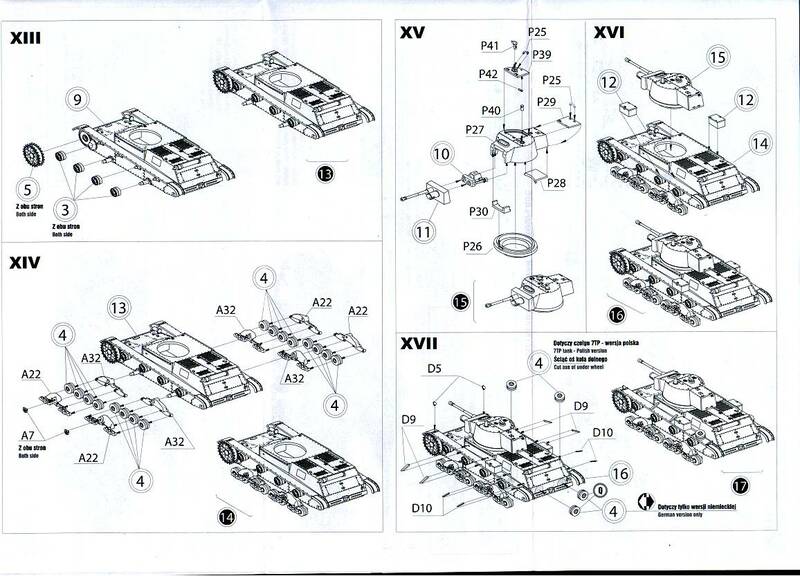 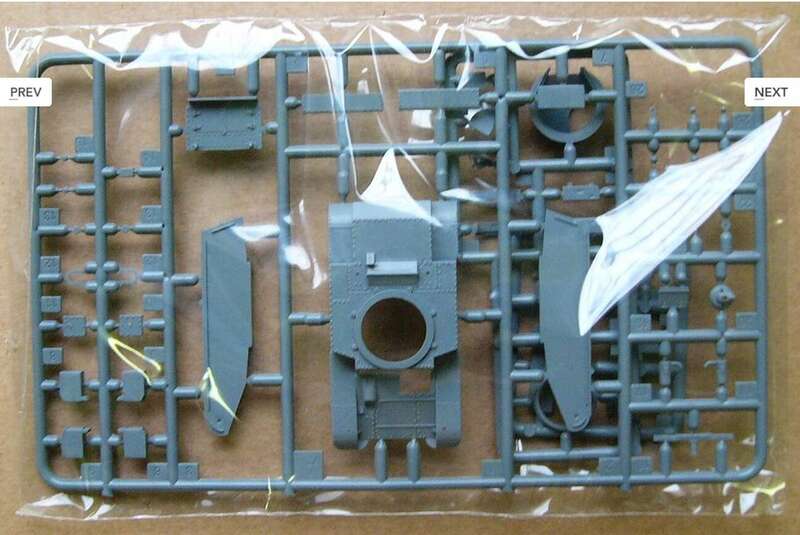 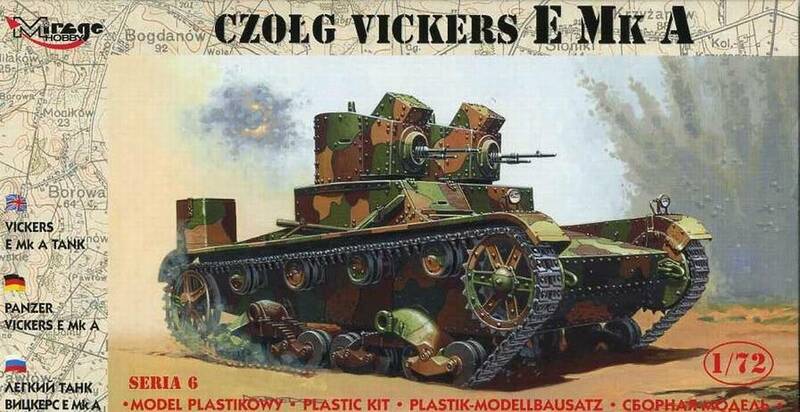 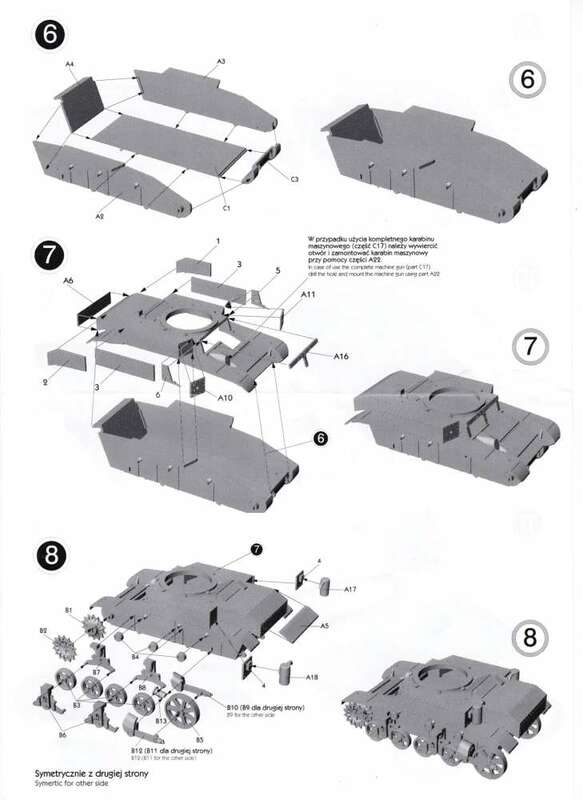 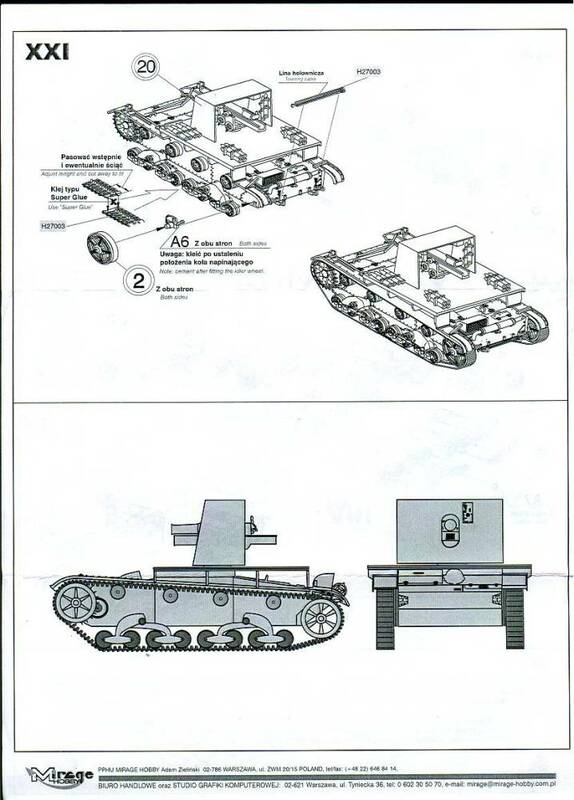 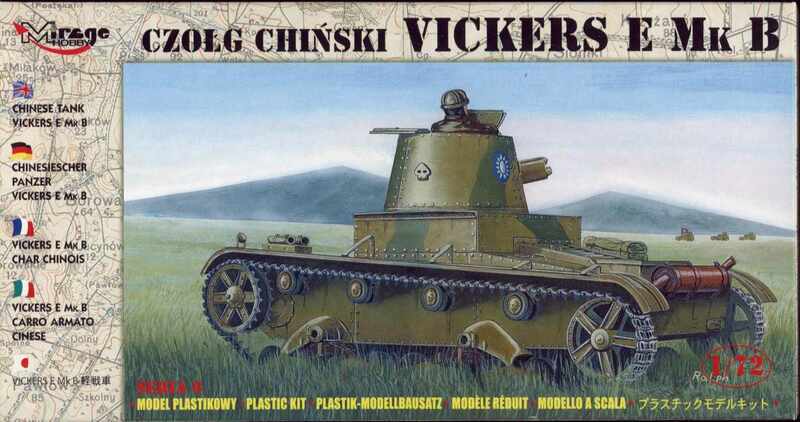 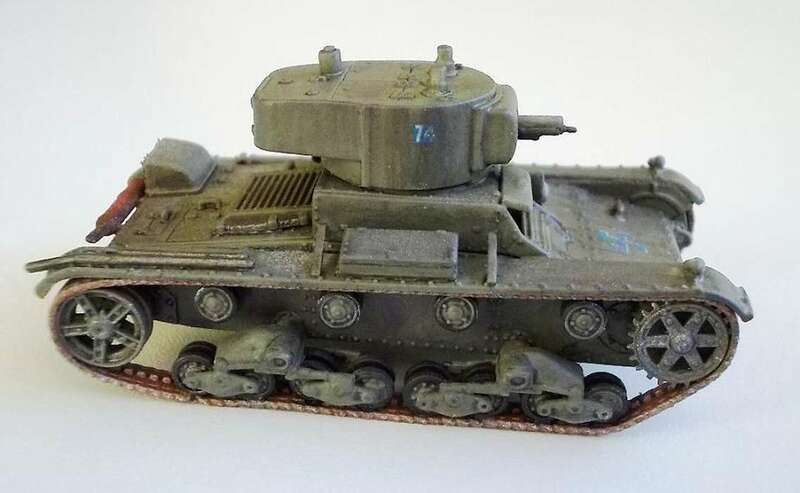 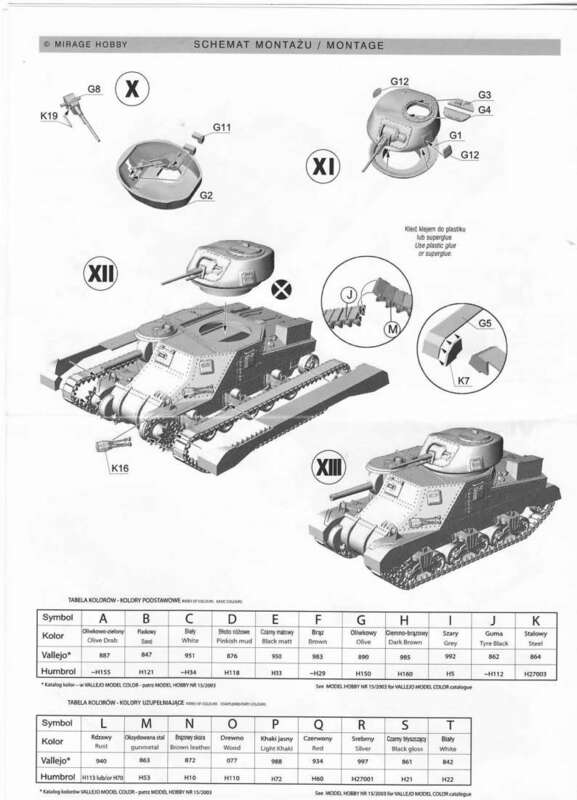 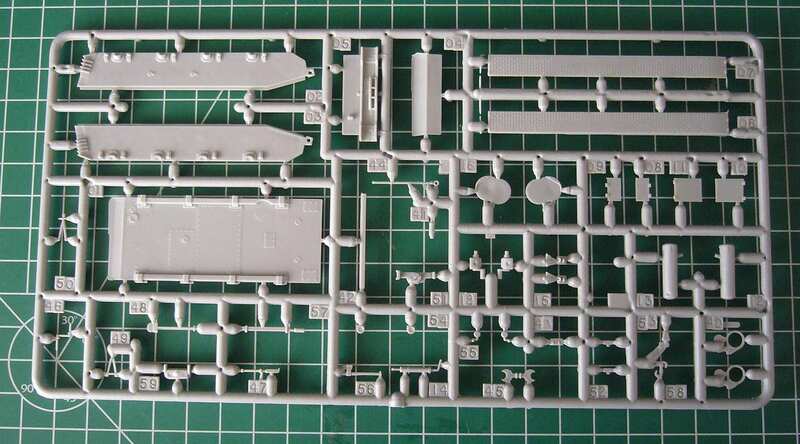 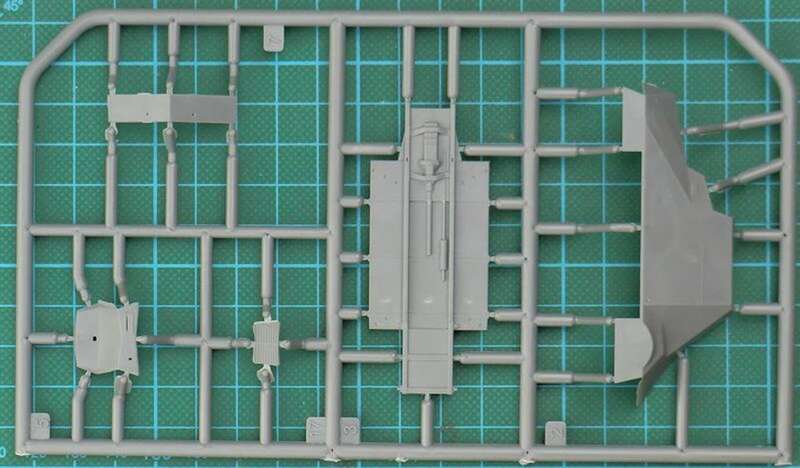 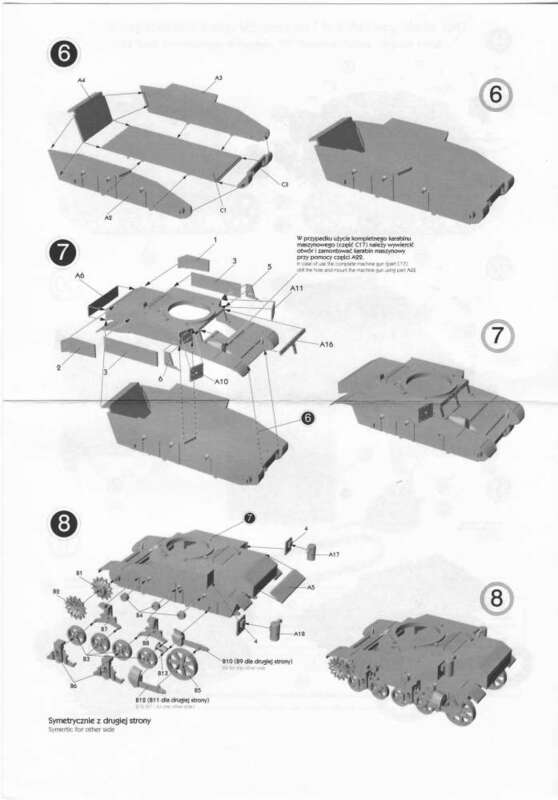 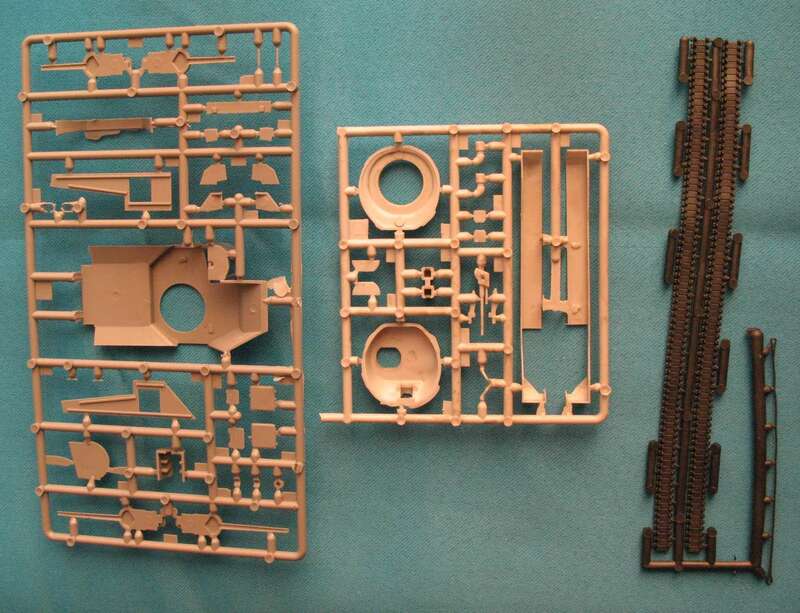 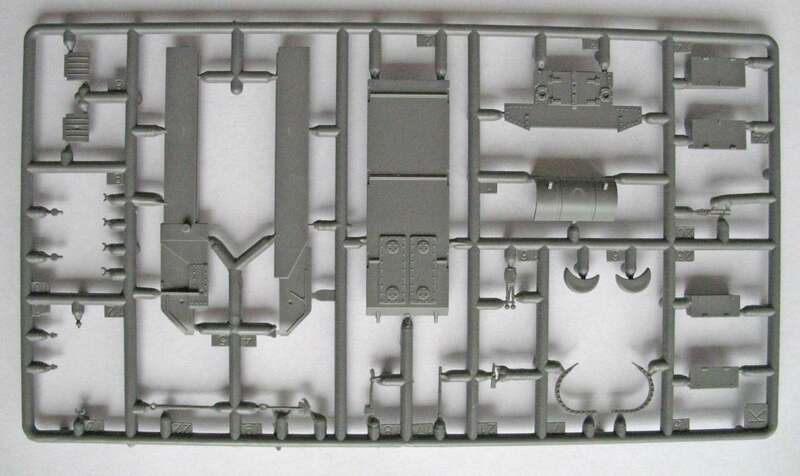 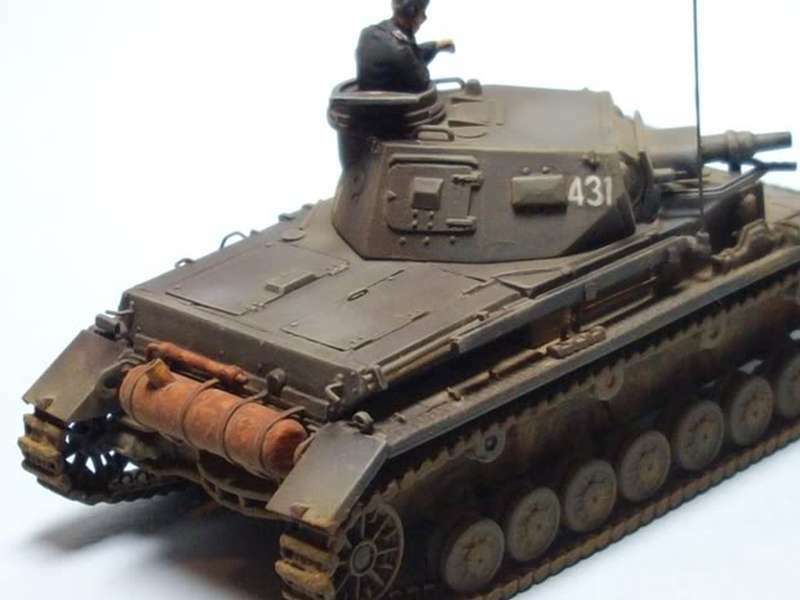 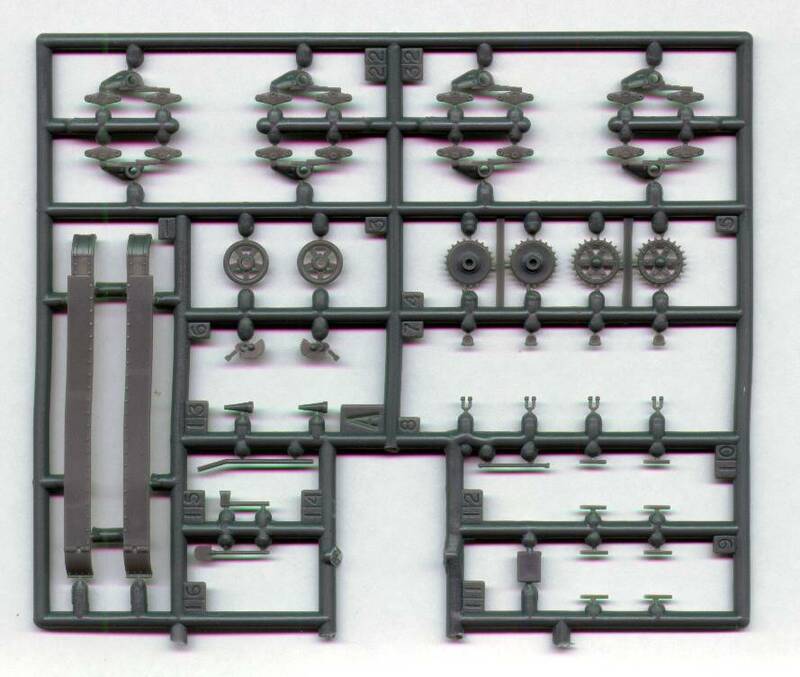 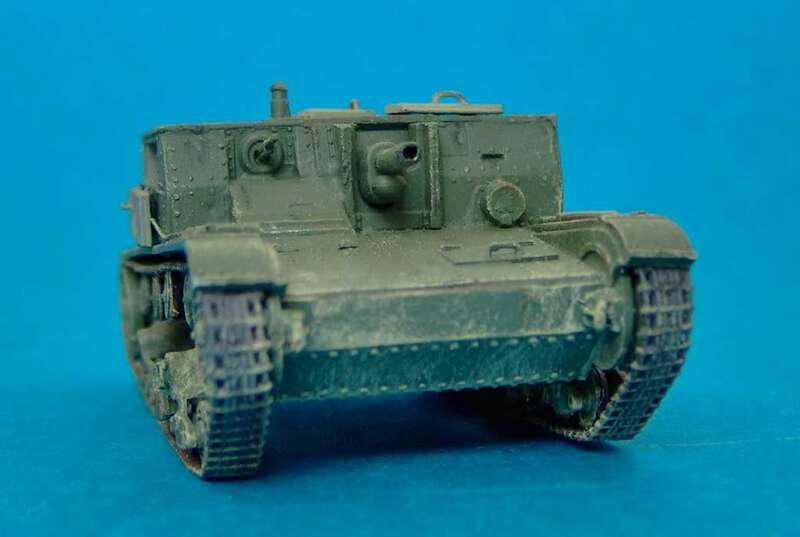 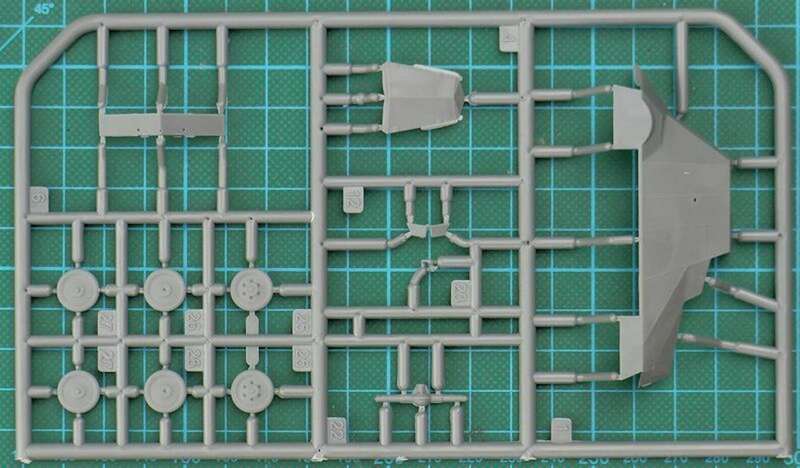 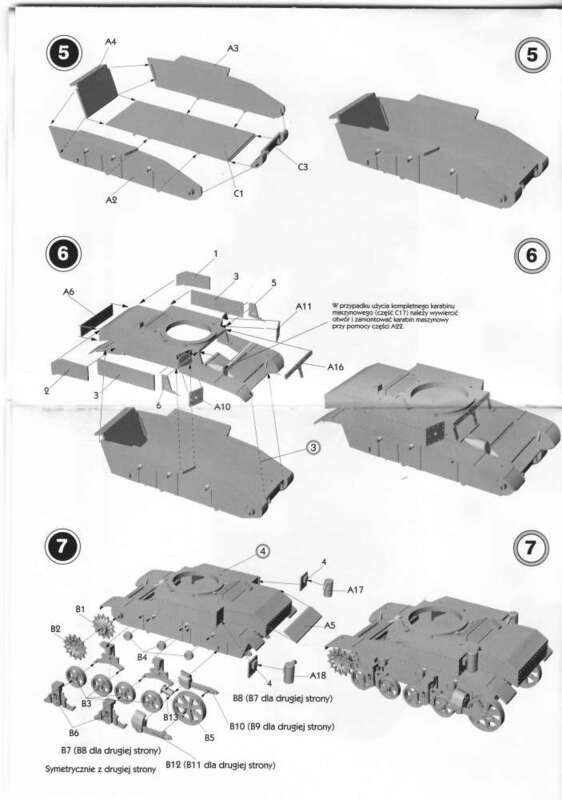 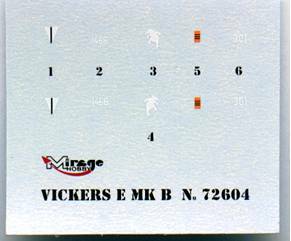 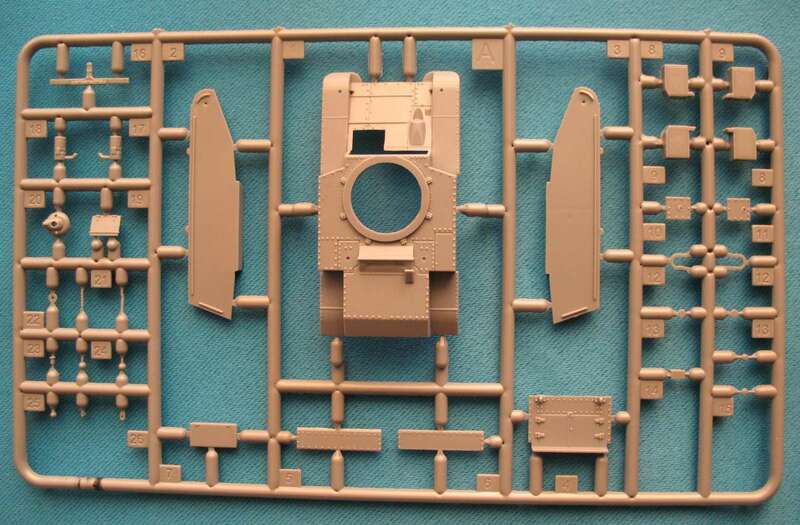 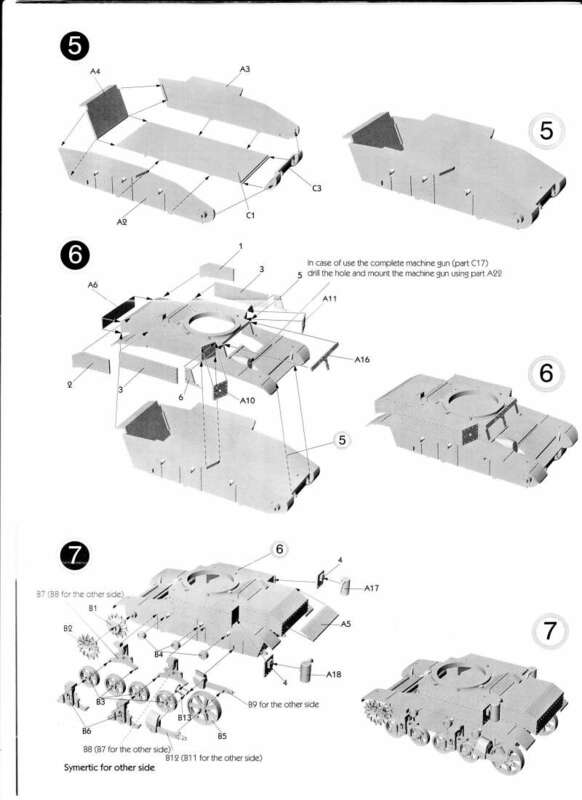 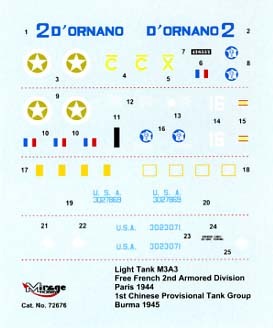 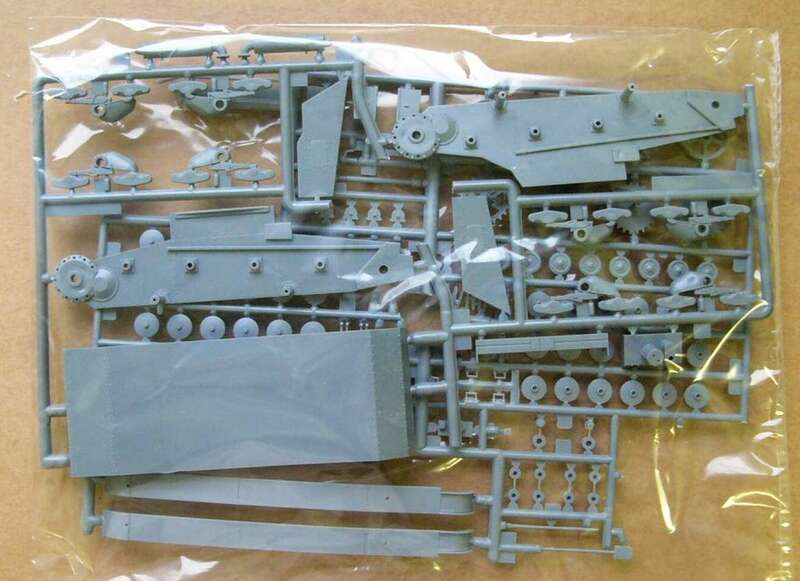 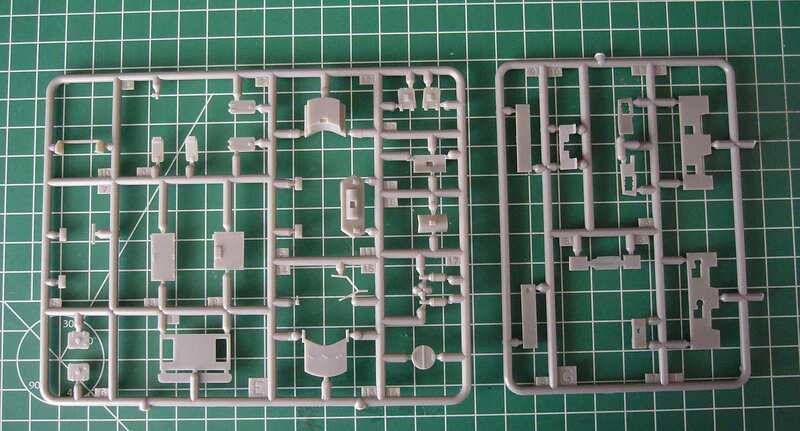 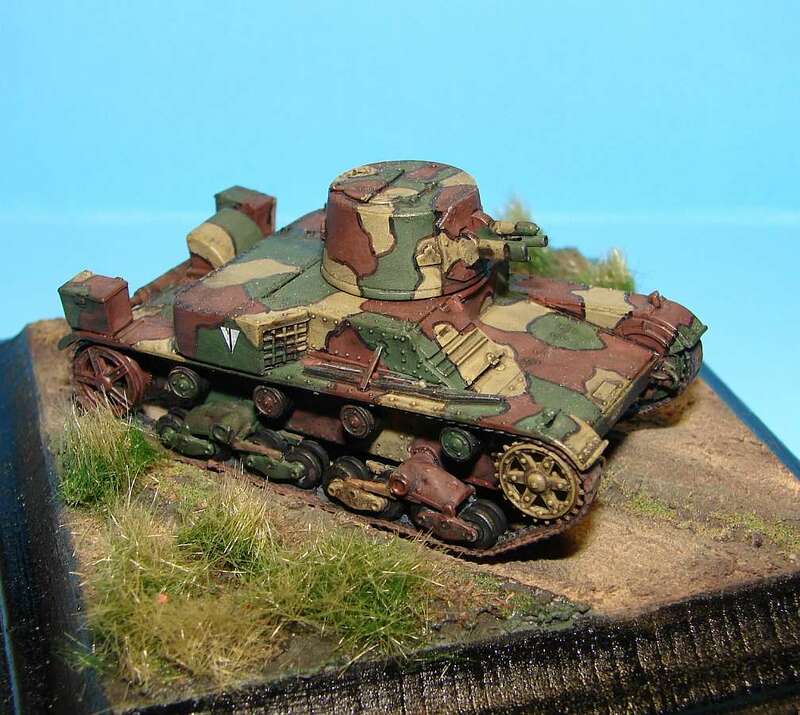 This is virtually the same kit at the 'standard' Mirage Vickers E Mk.B kit but it comes without the built up area at the back of the turret (3 parts have been removed from the sprue) and it has markings for 2 Chinese and one Finish tank. 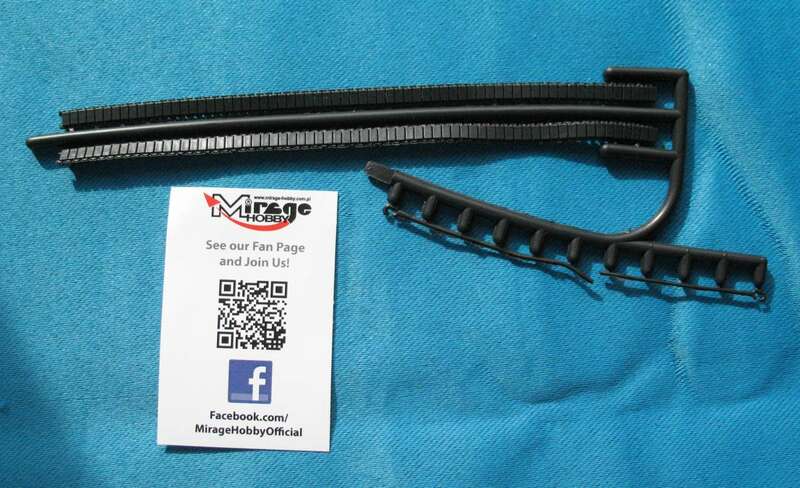 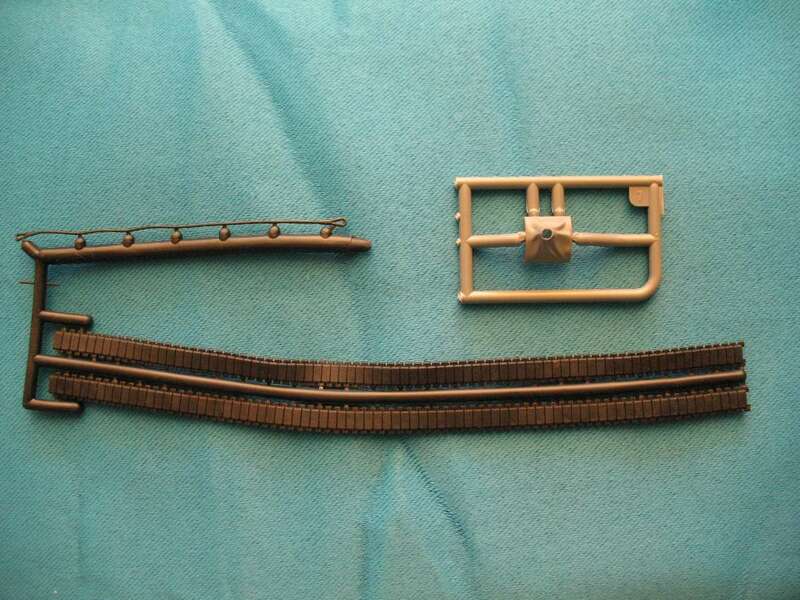 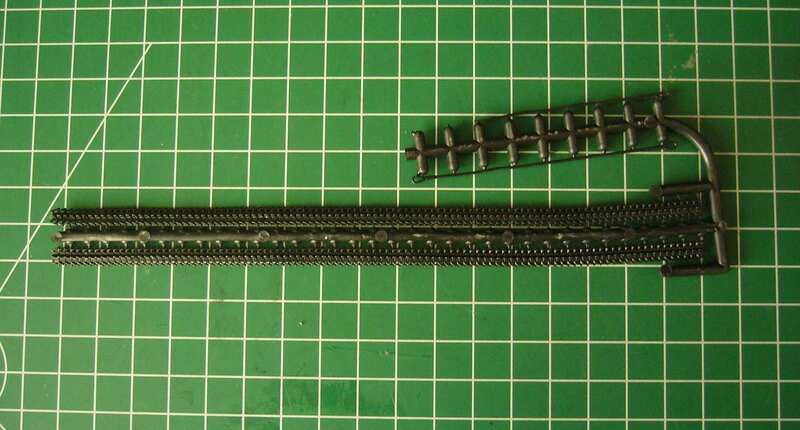 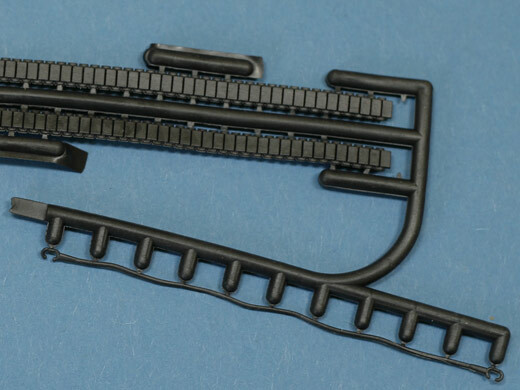 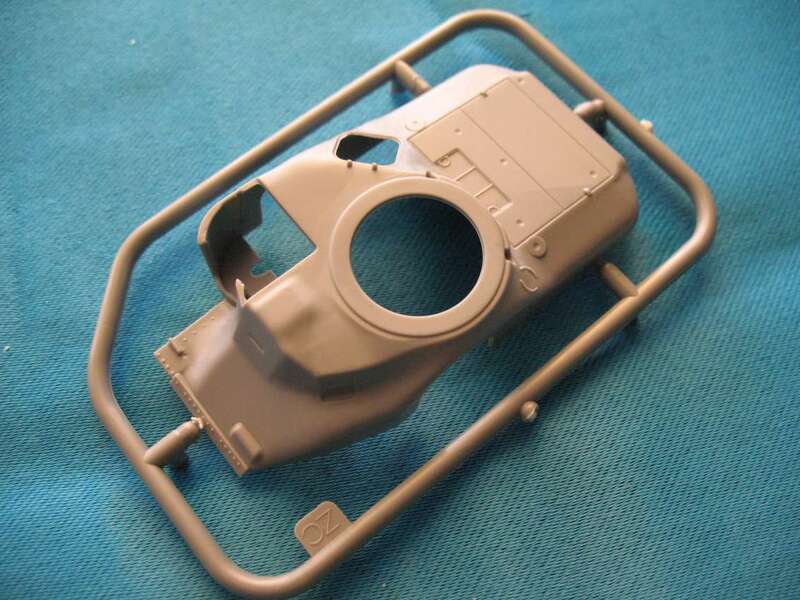 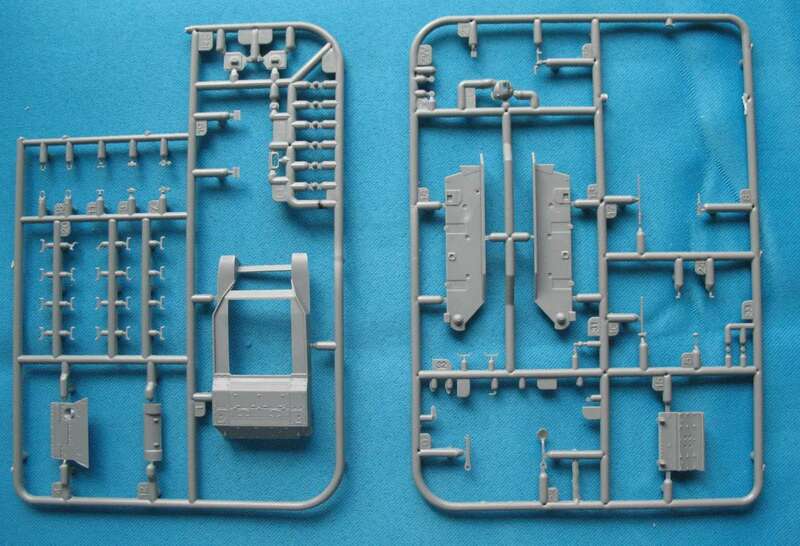 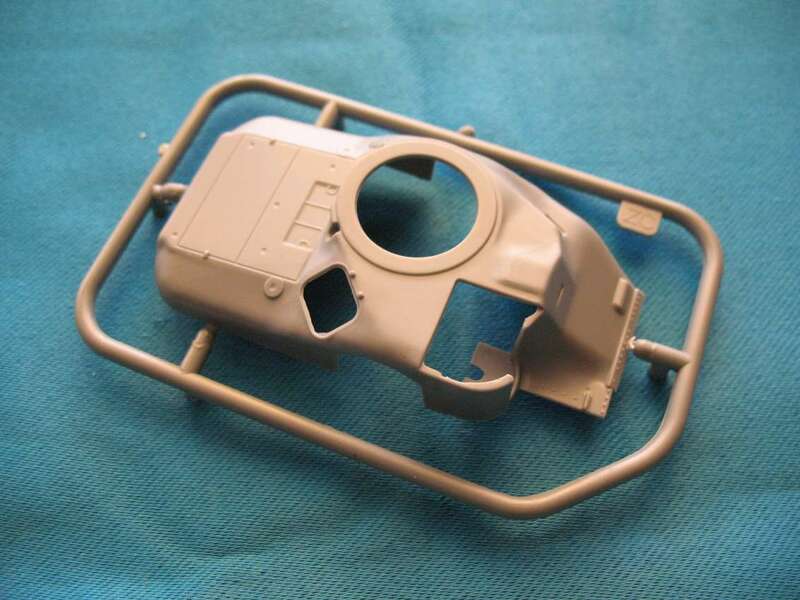 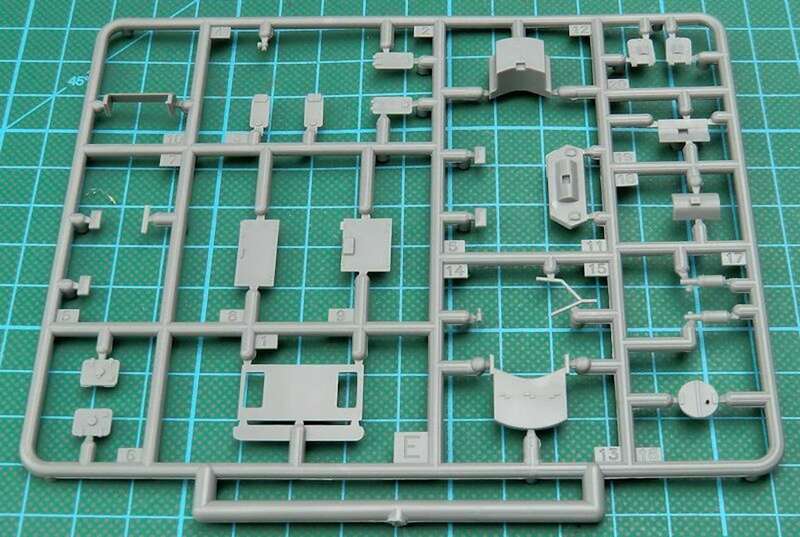 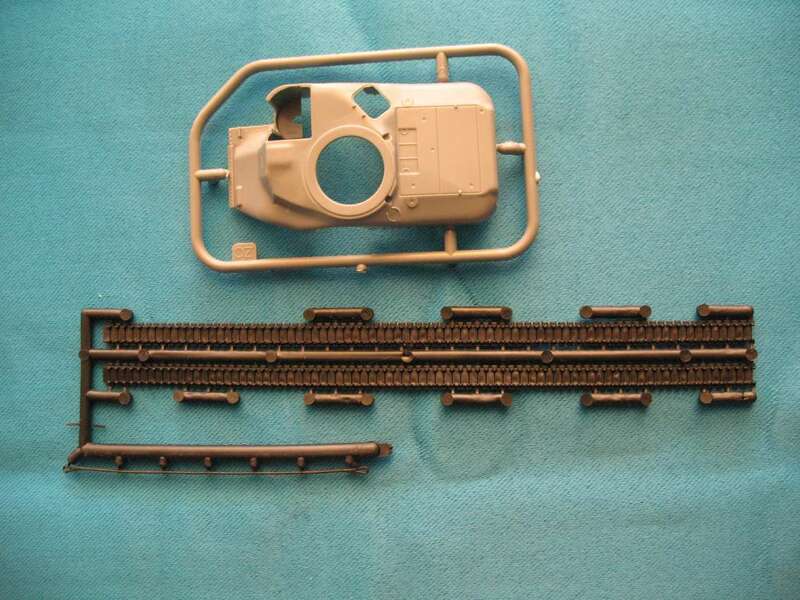 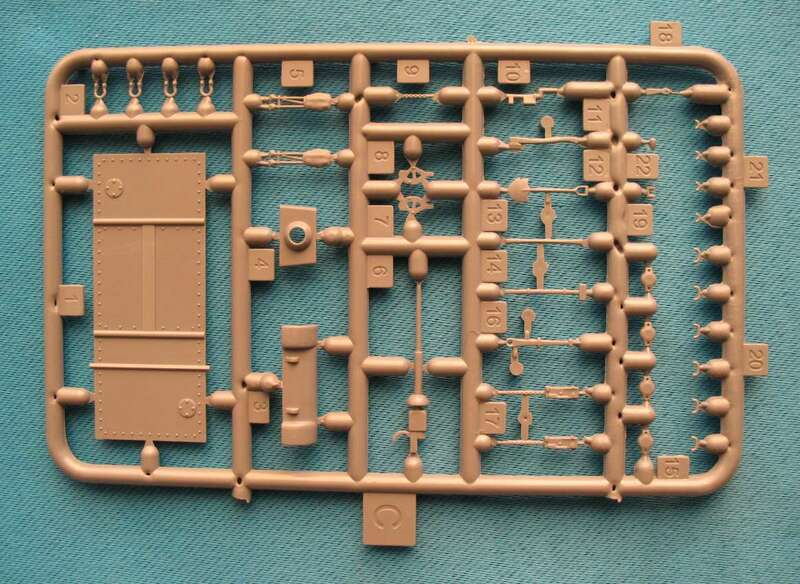 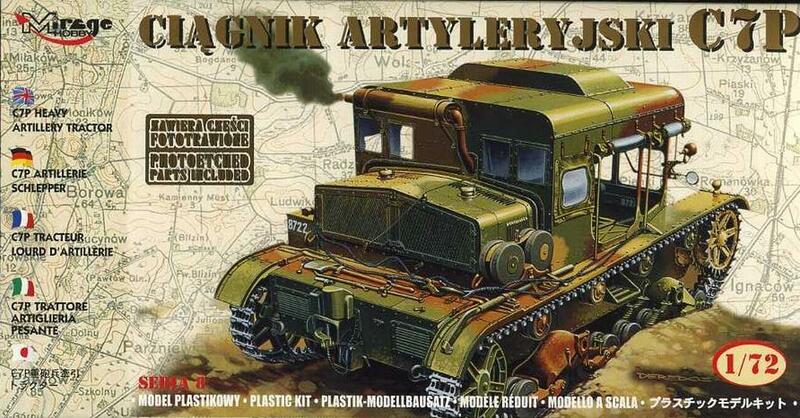 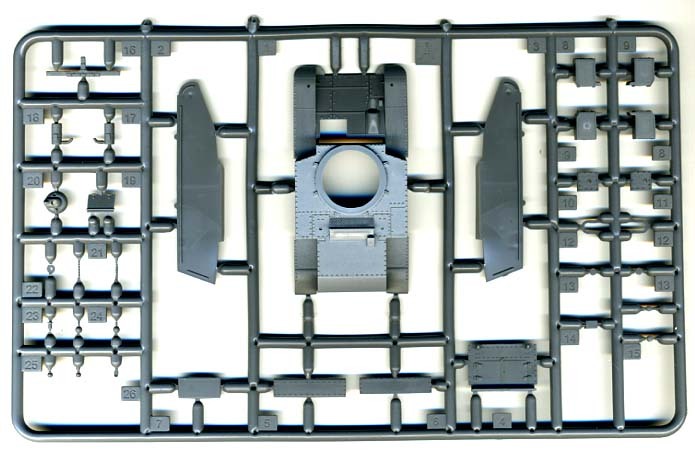 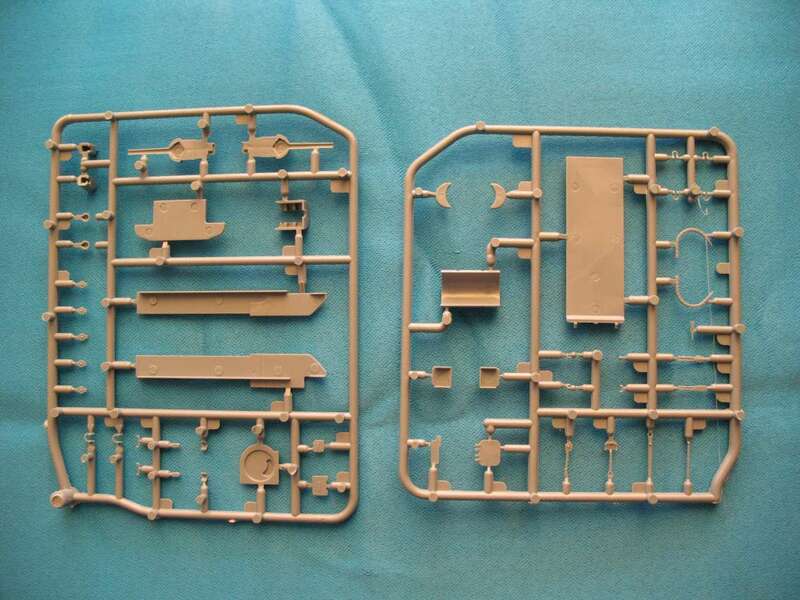 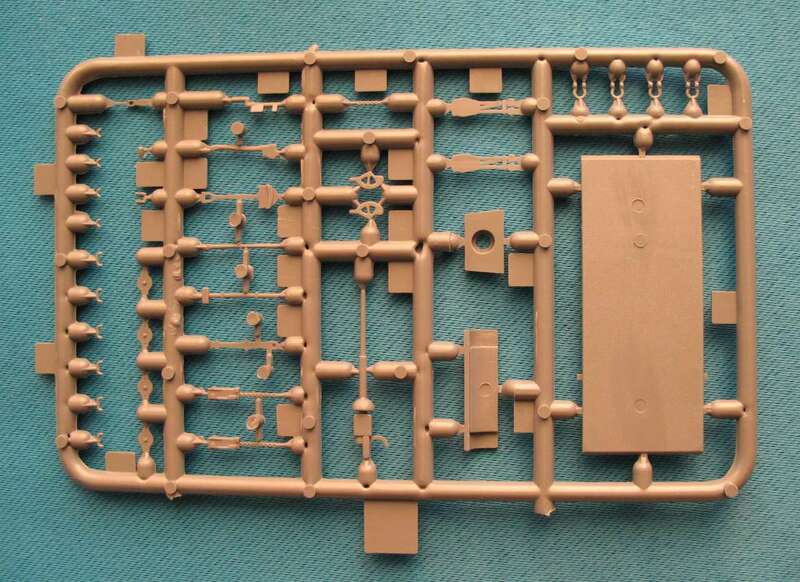 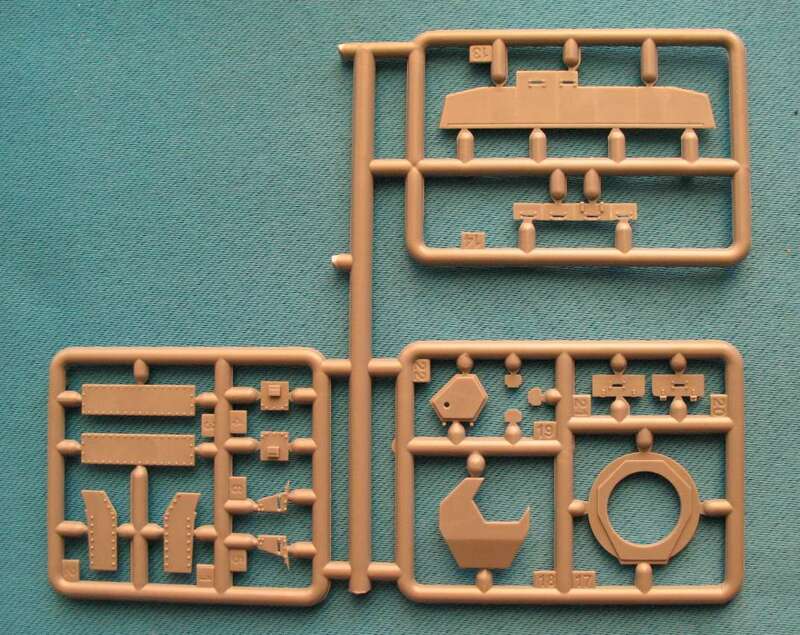 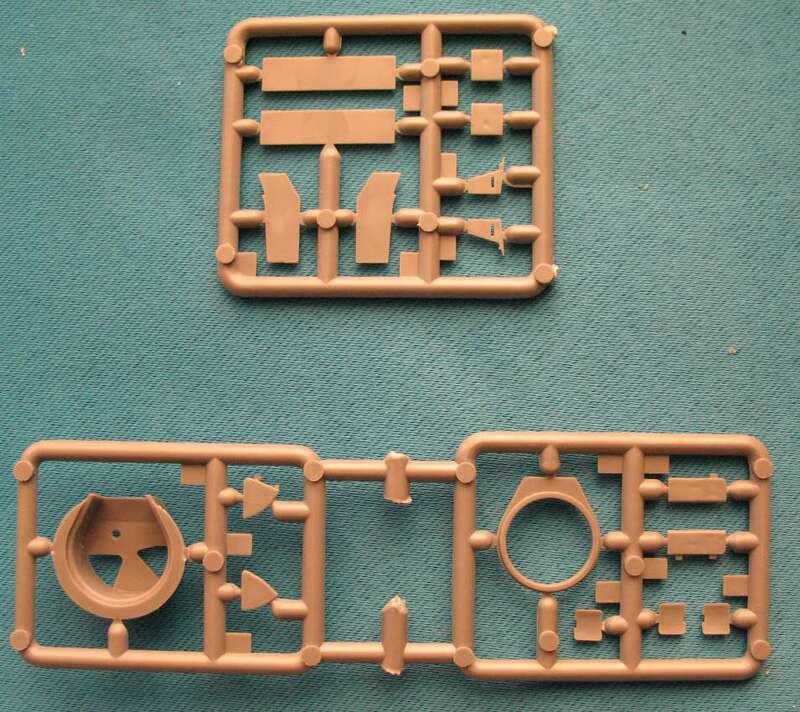 There are well over 100 nicely detailed, injection moulded parts plus two 'vinyl' tracks. 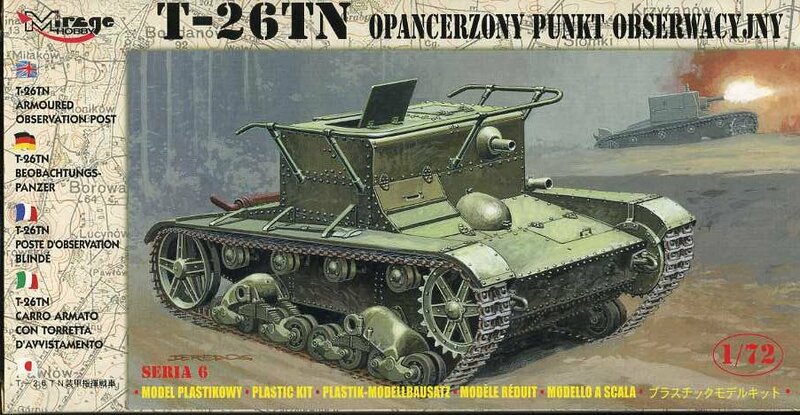 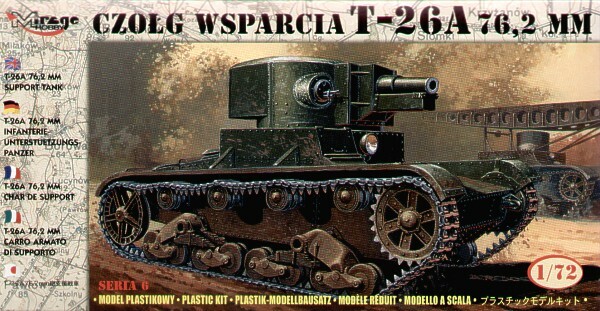 Once again a T-26 chassis but this time with a platform and a 76.2mm gun mounted on it. 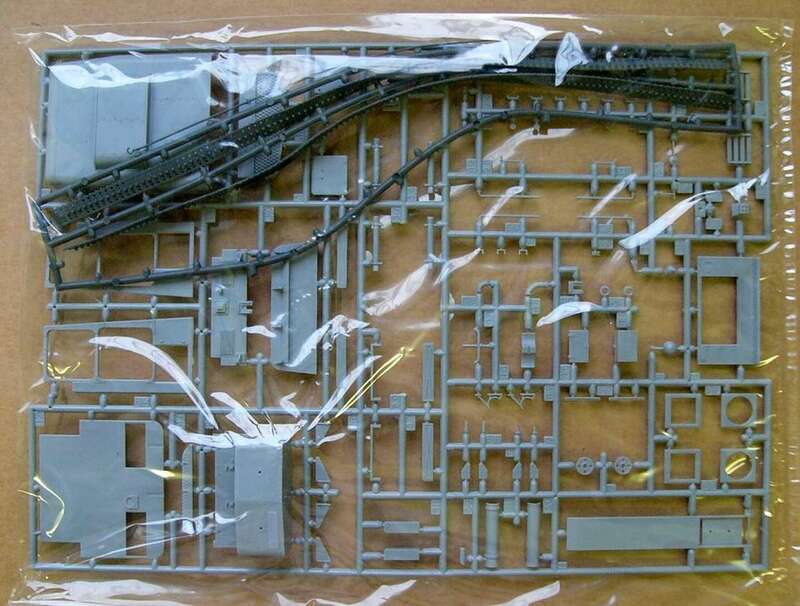 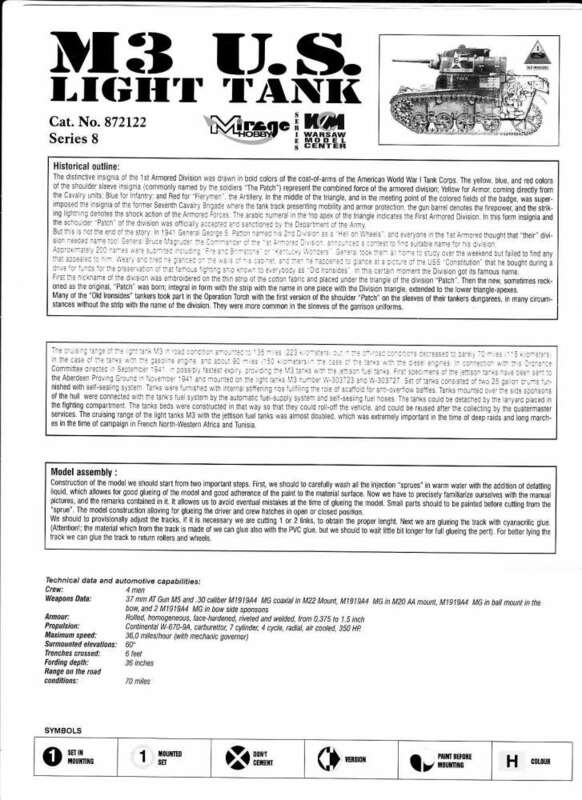 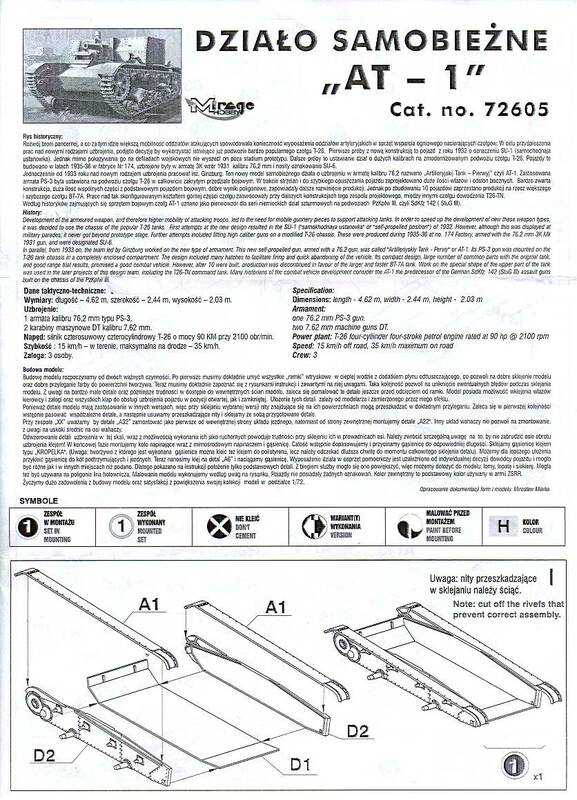 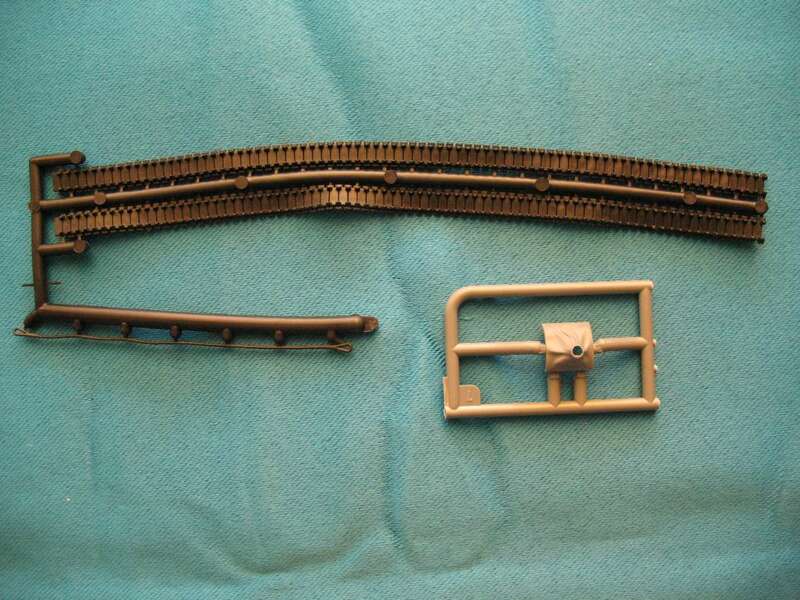 There are 196 parts and the vinyl tracks. 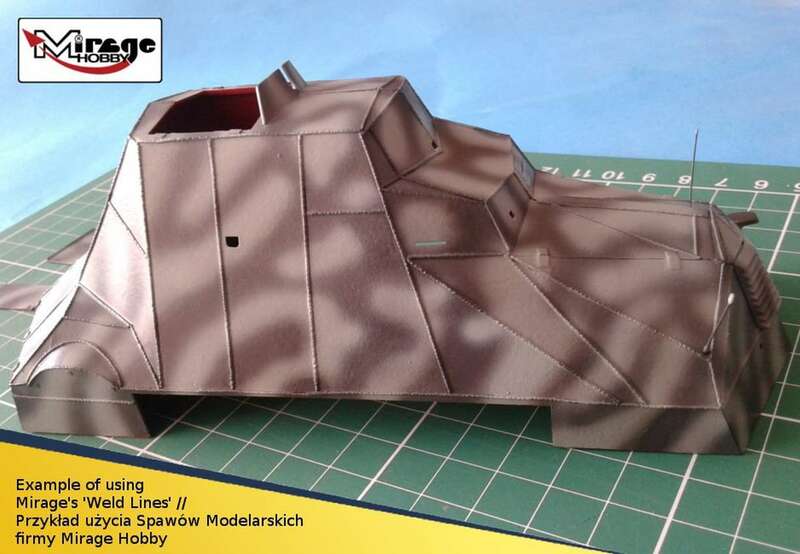 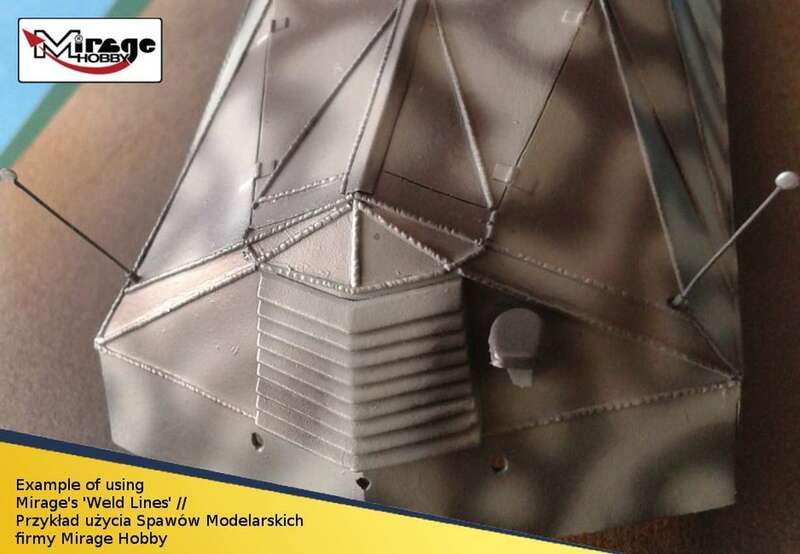 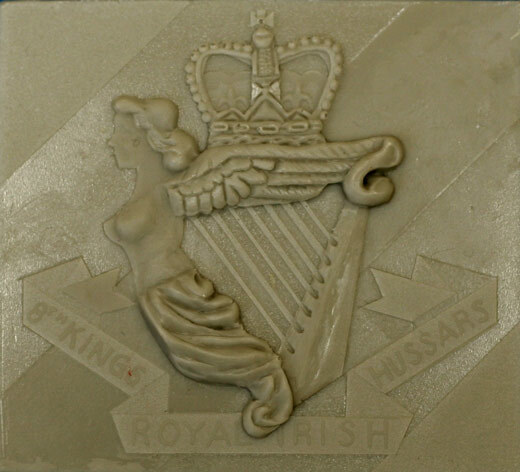 The gun is well detailed, as is the mounting platform, which has a realistic diamond pattern moulded onto the metal base....on to which 12 rounds of ammunition are fitted. 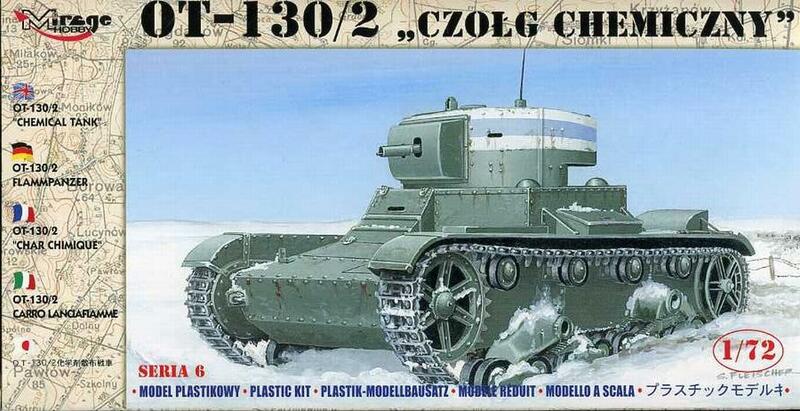 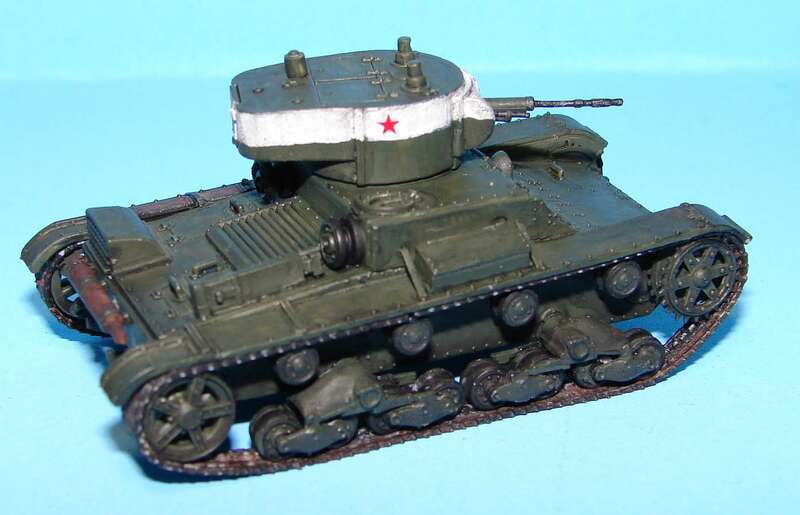 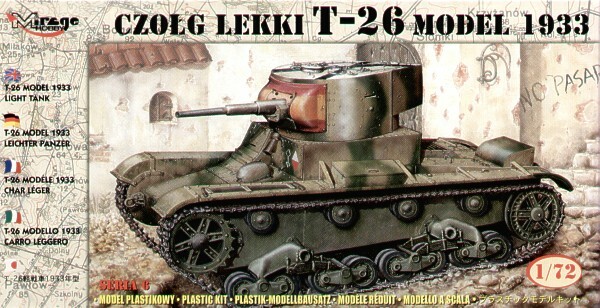 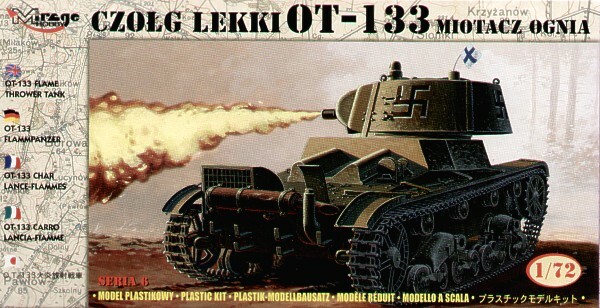 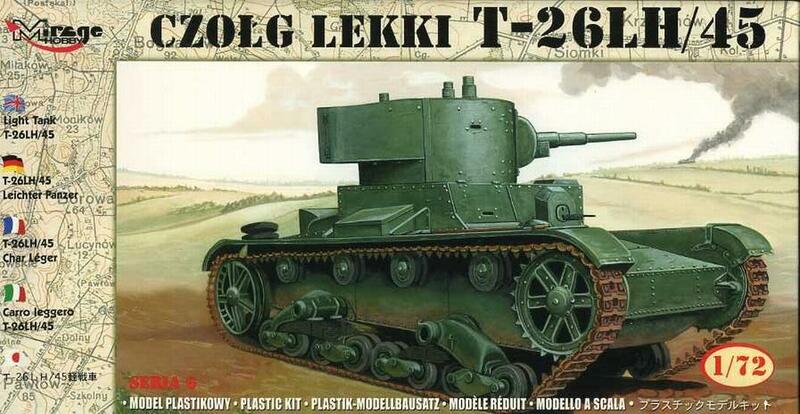 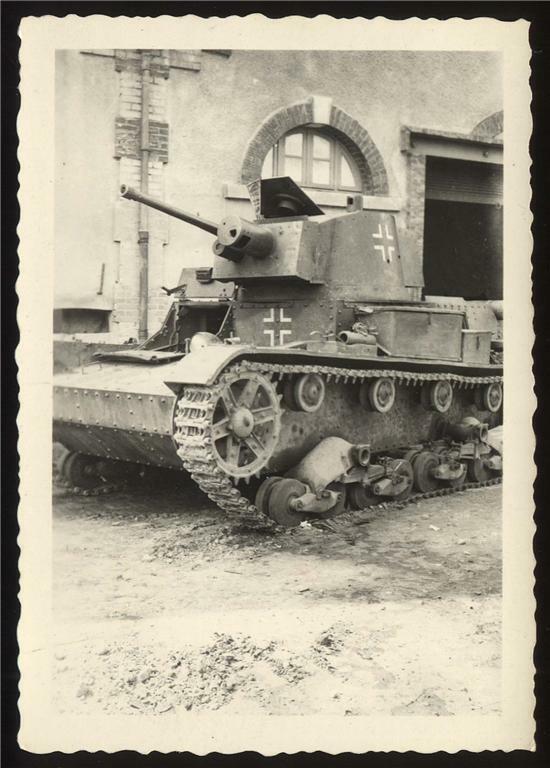 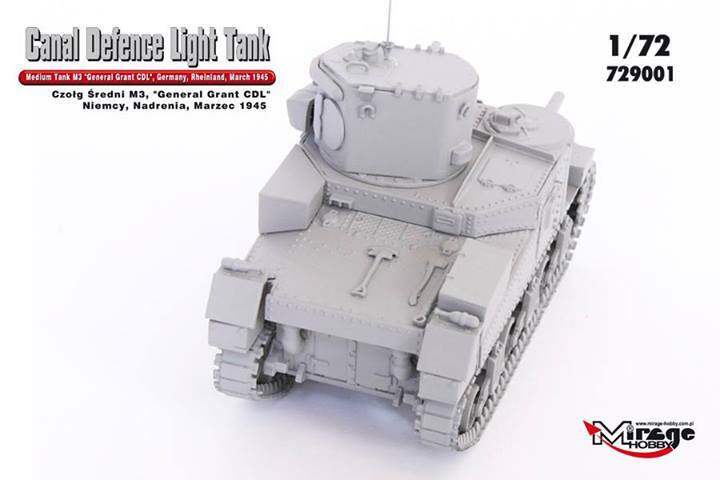 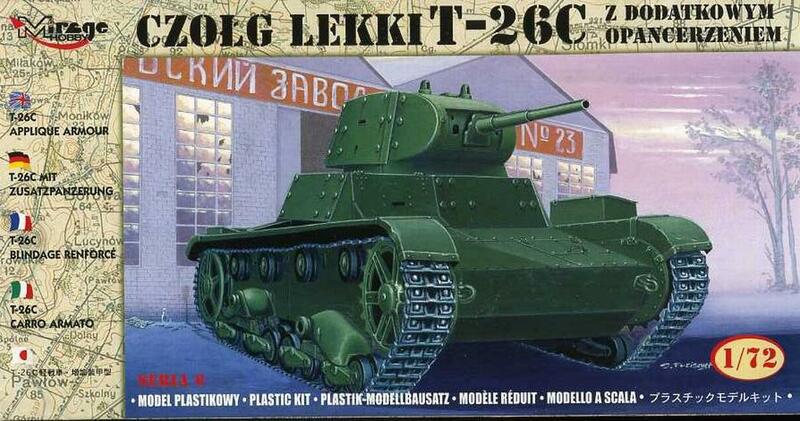 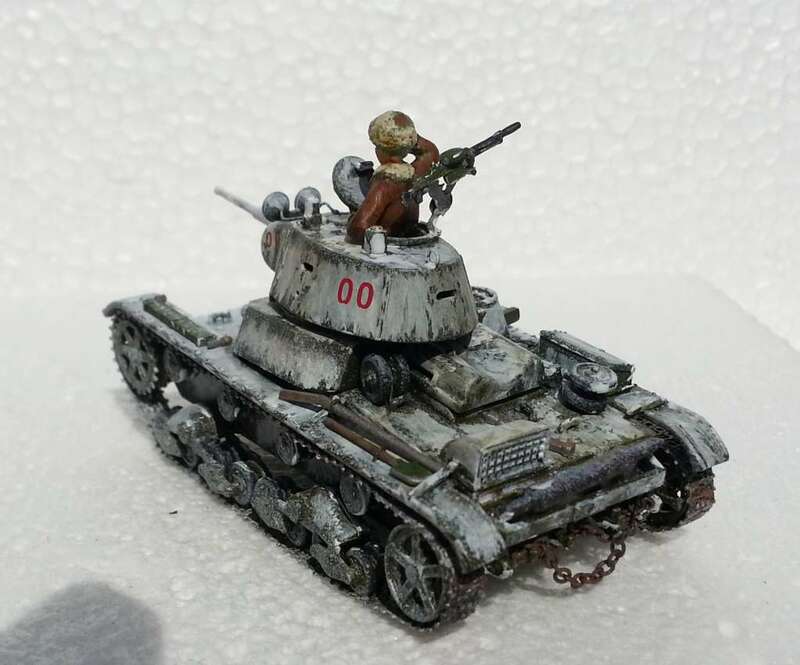 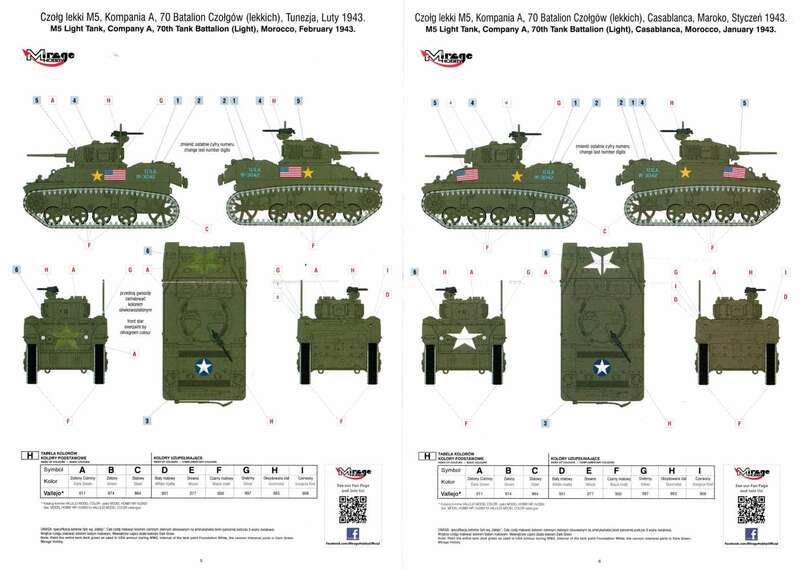 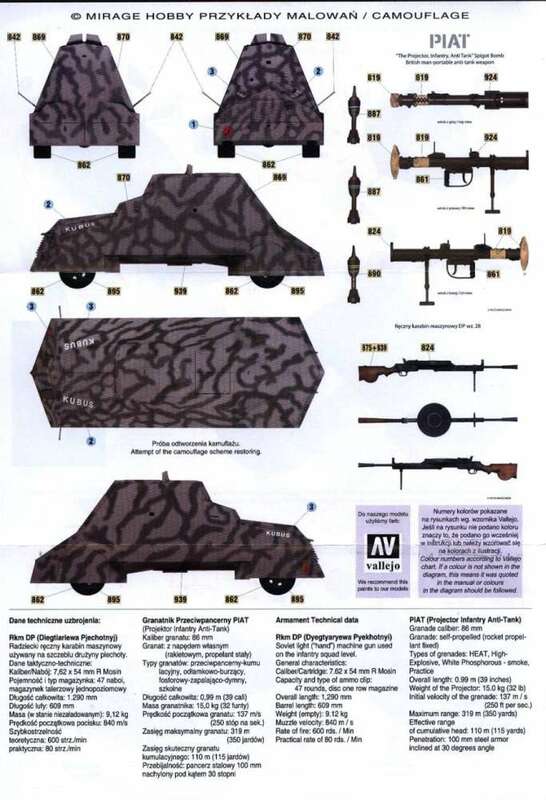 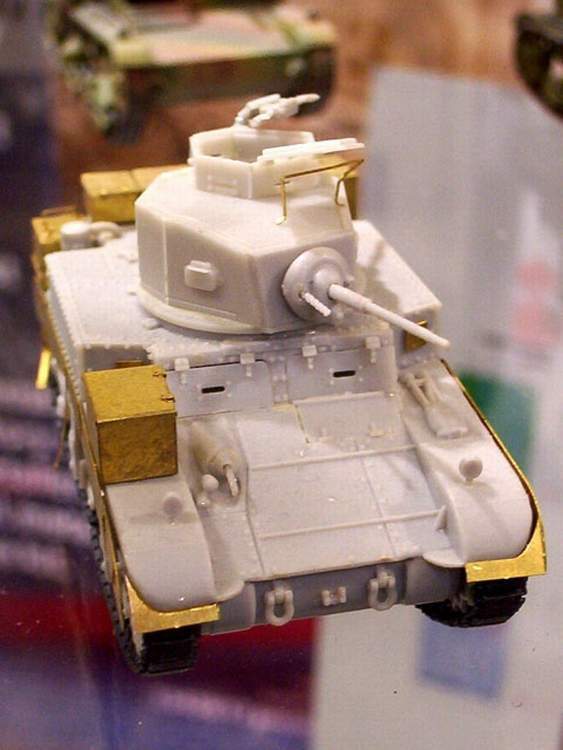 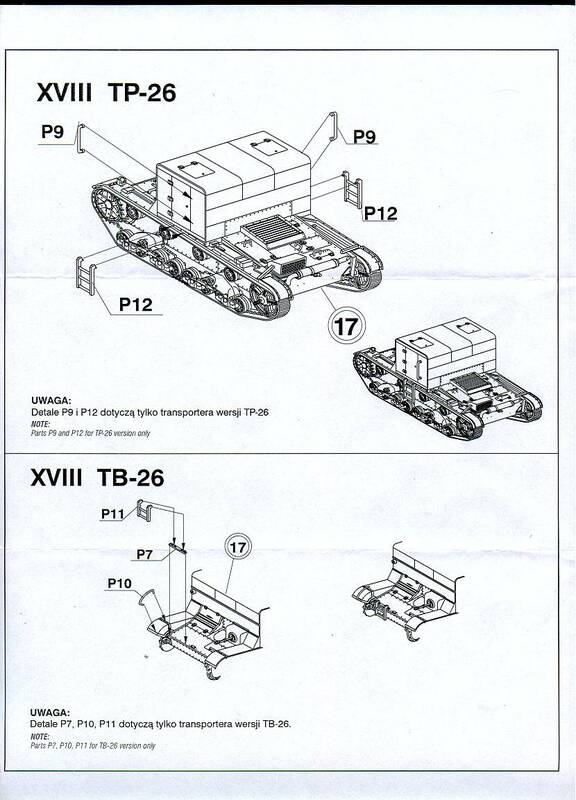 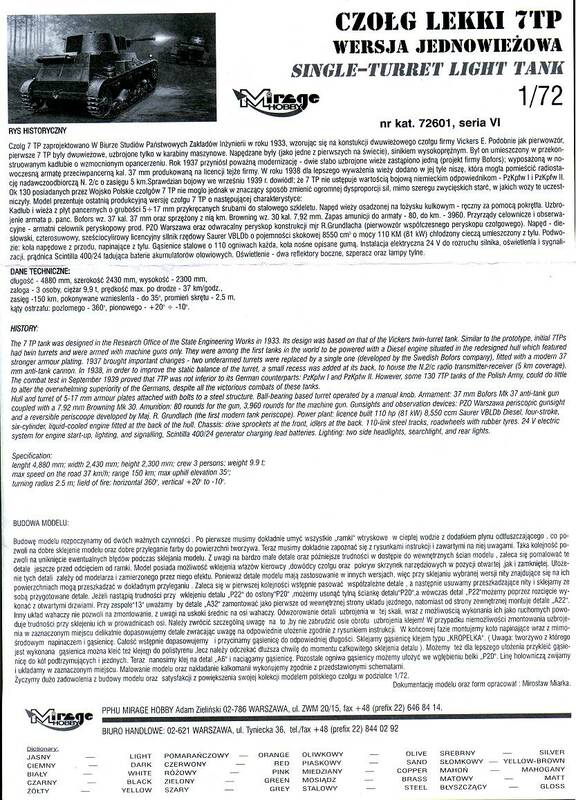 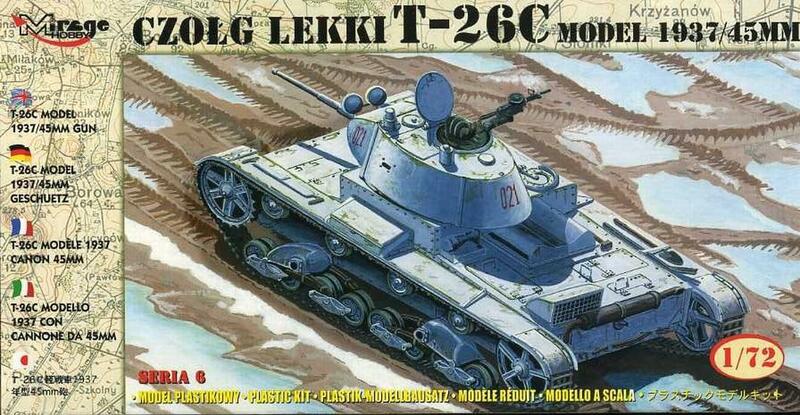 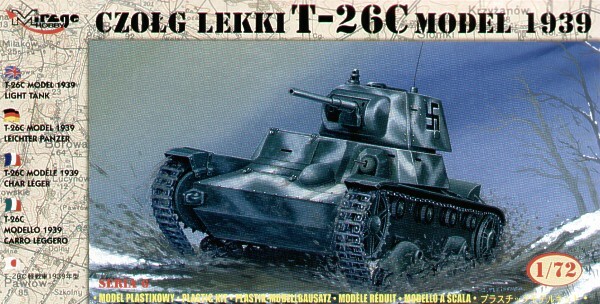 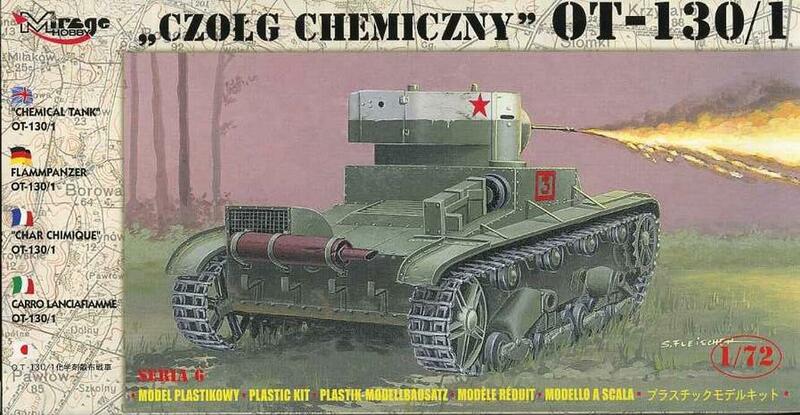 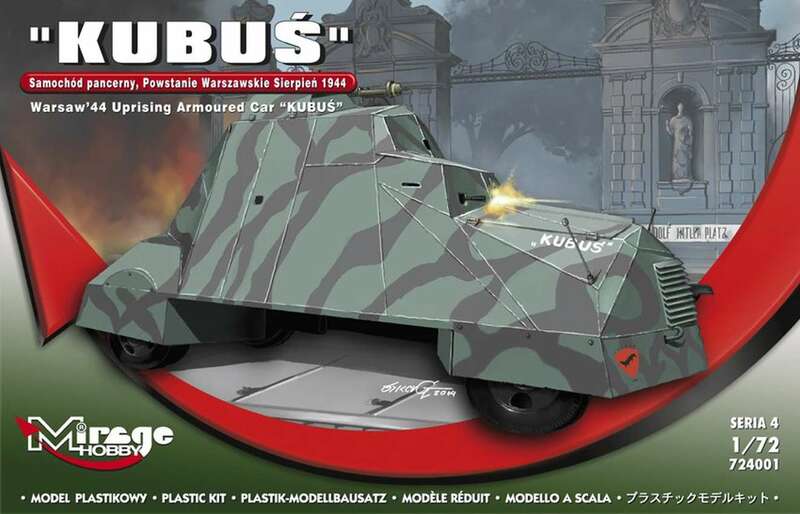 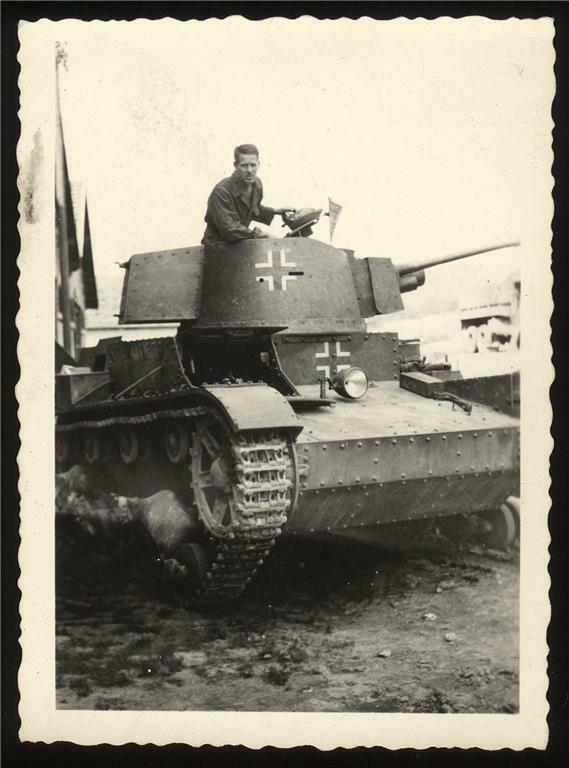 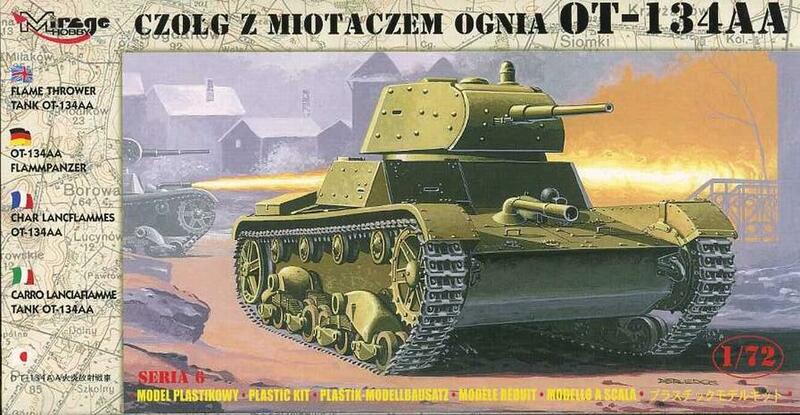 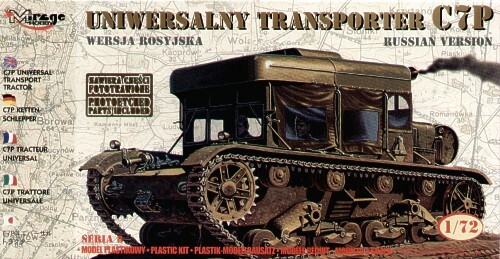 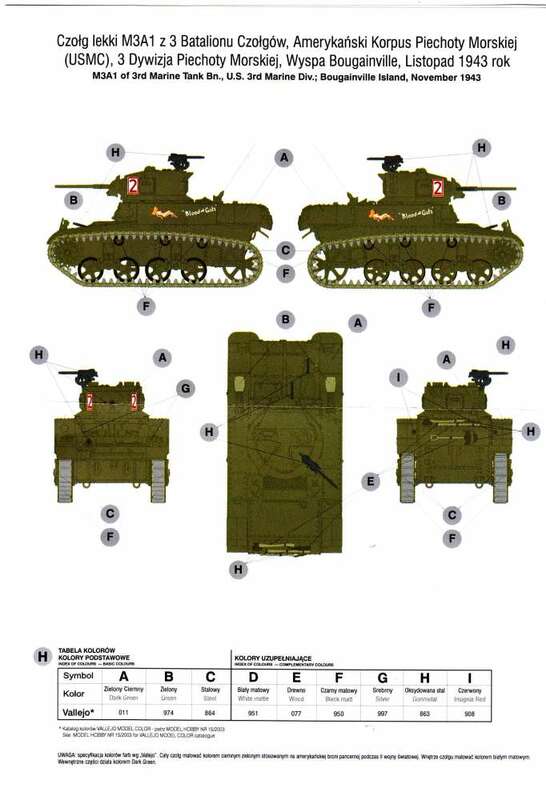 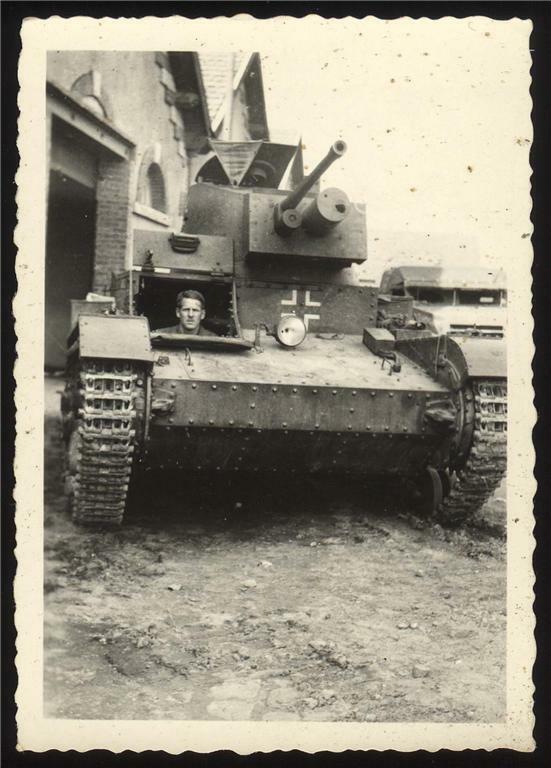 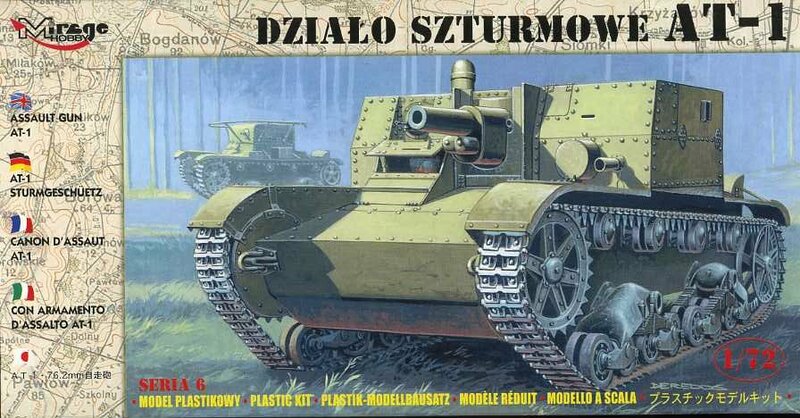 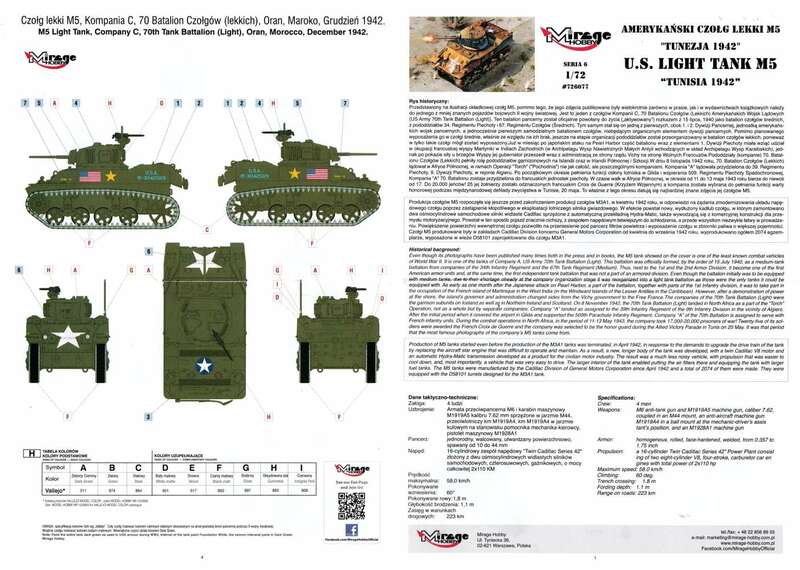 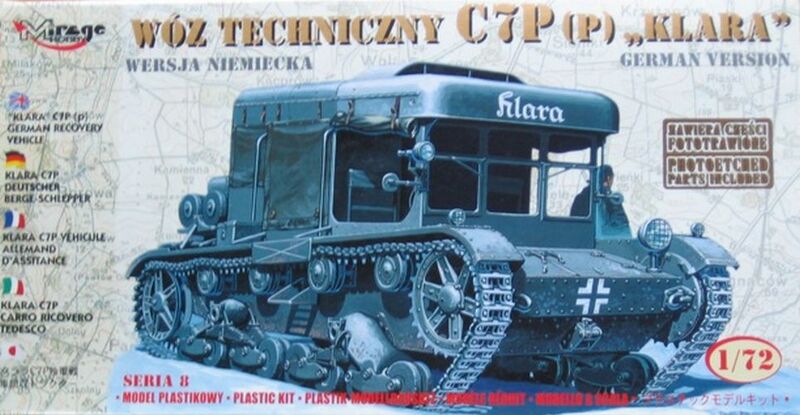 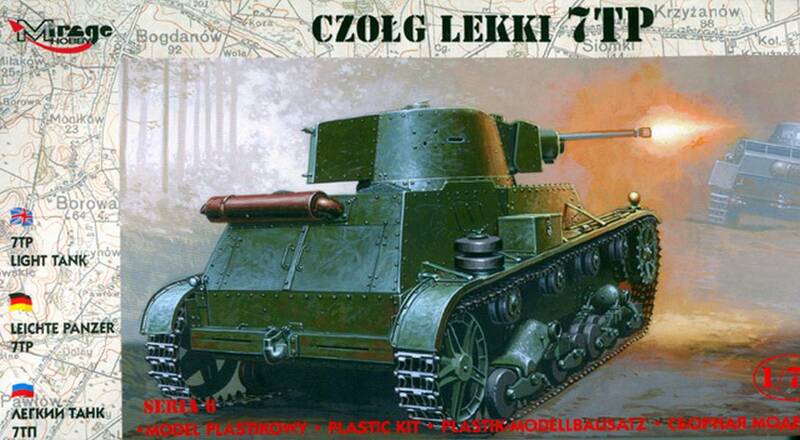 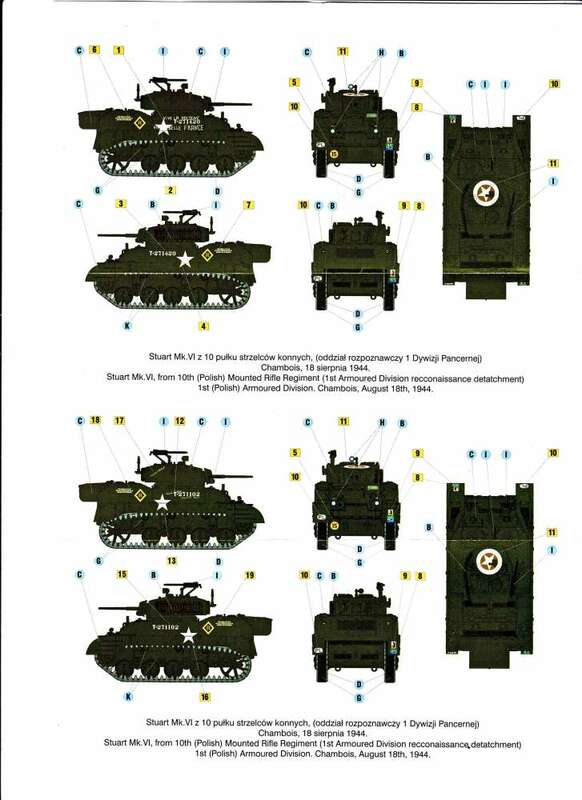 As with the T-26TB, no decals are provided because the vehicle didn't carry markings. 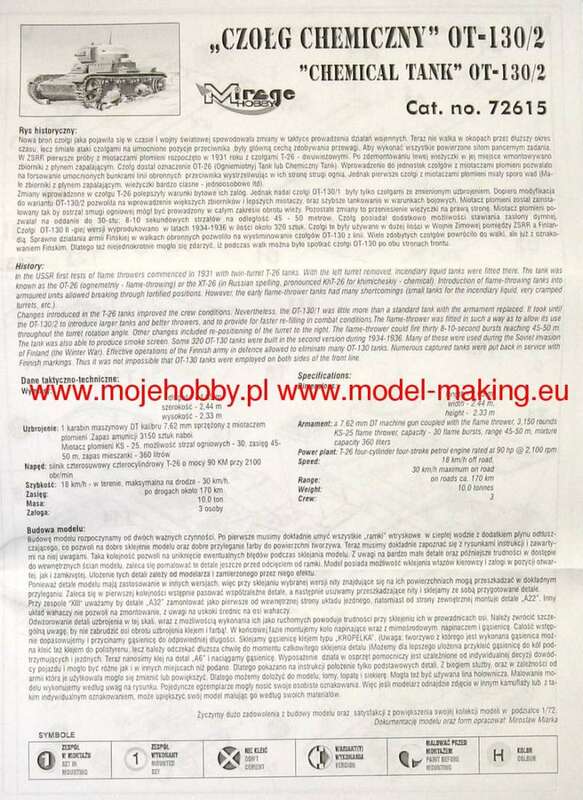 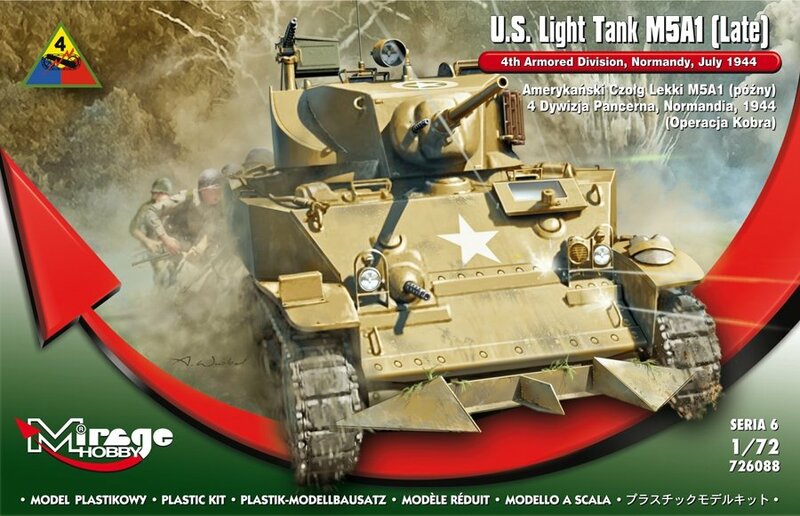 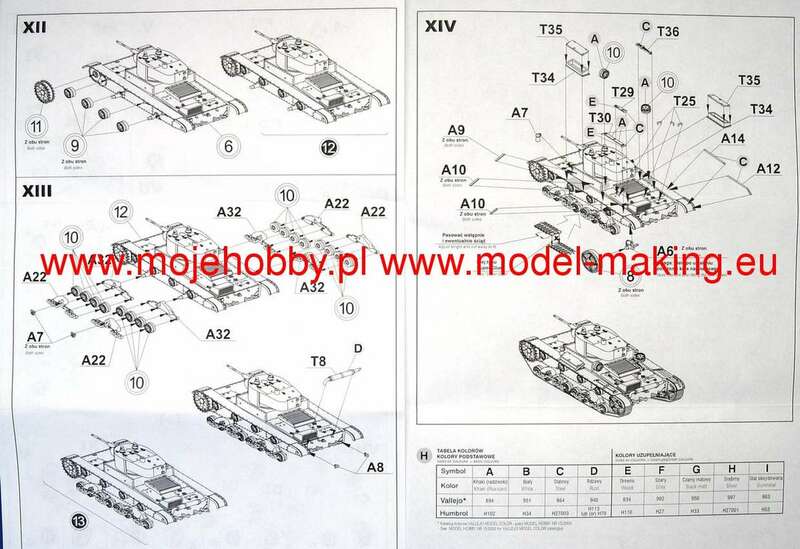 FT-17 variants - only announced but never released - are this the RPM FT-17 releases? 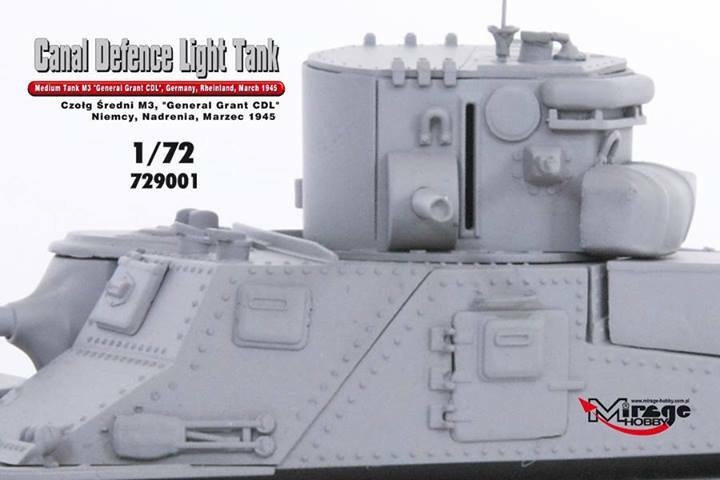 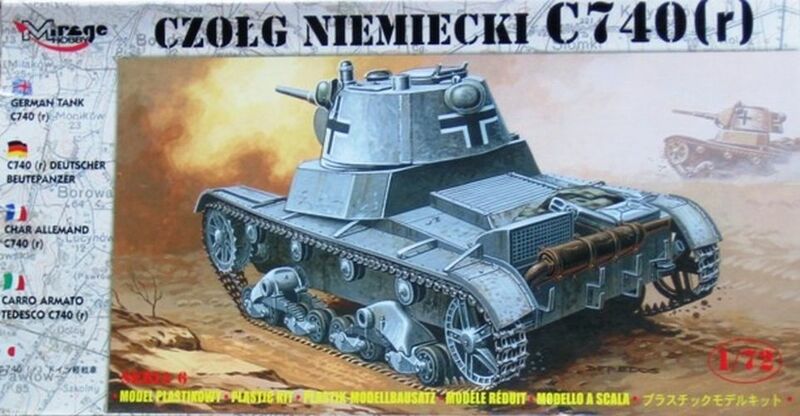 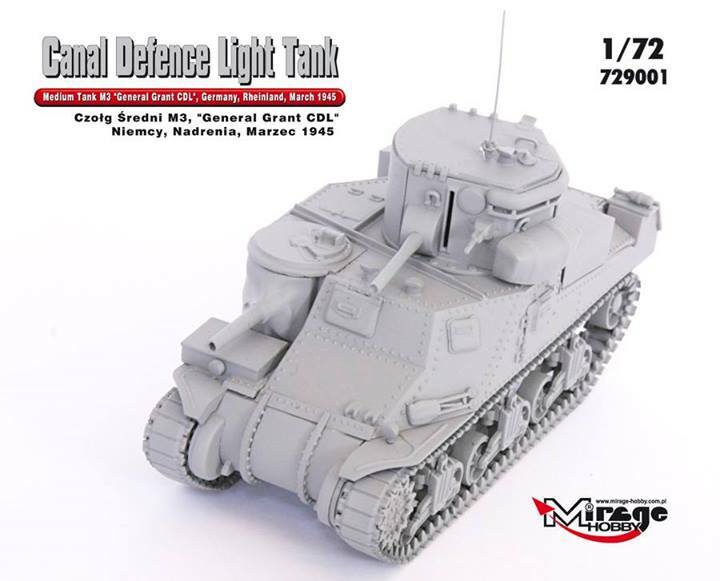 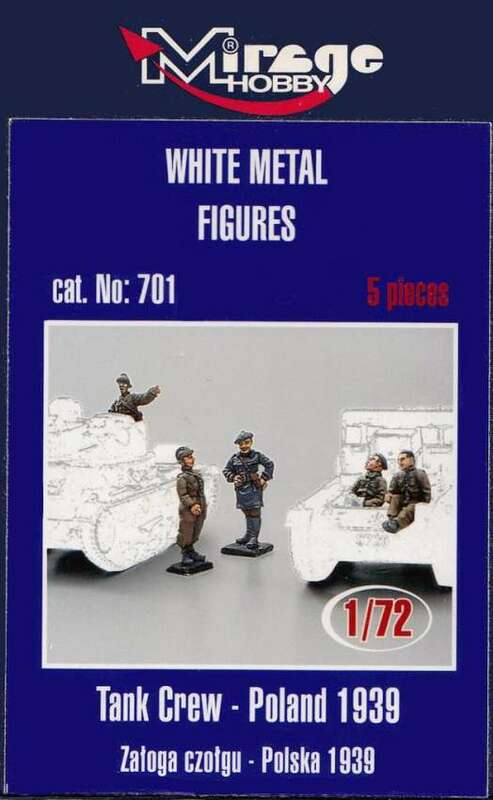 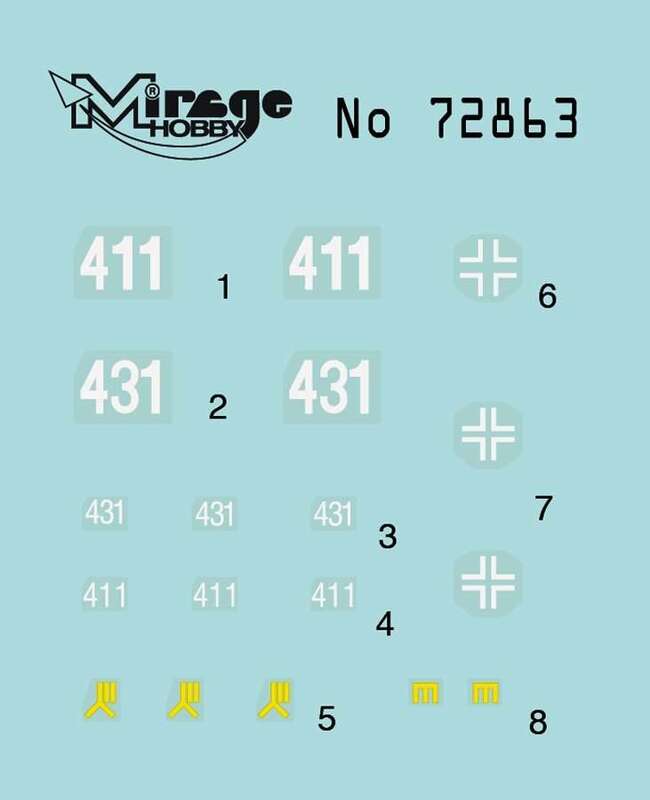 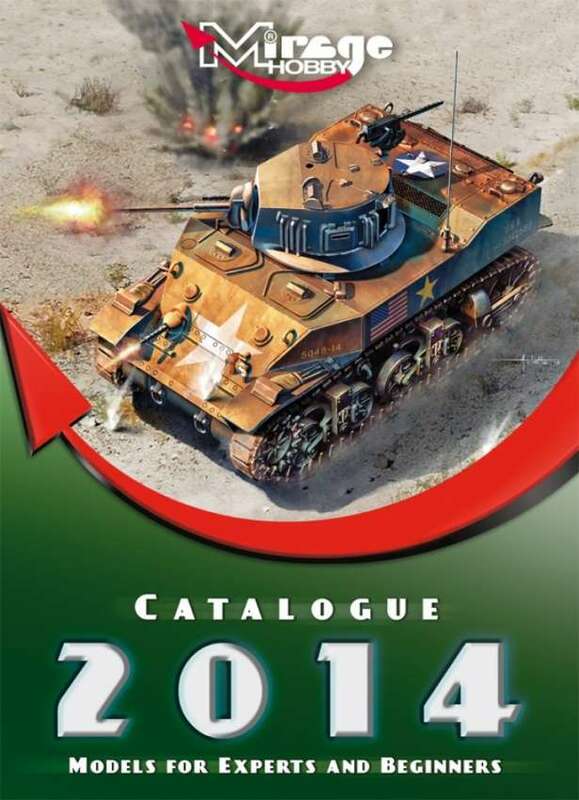 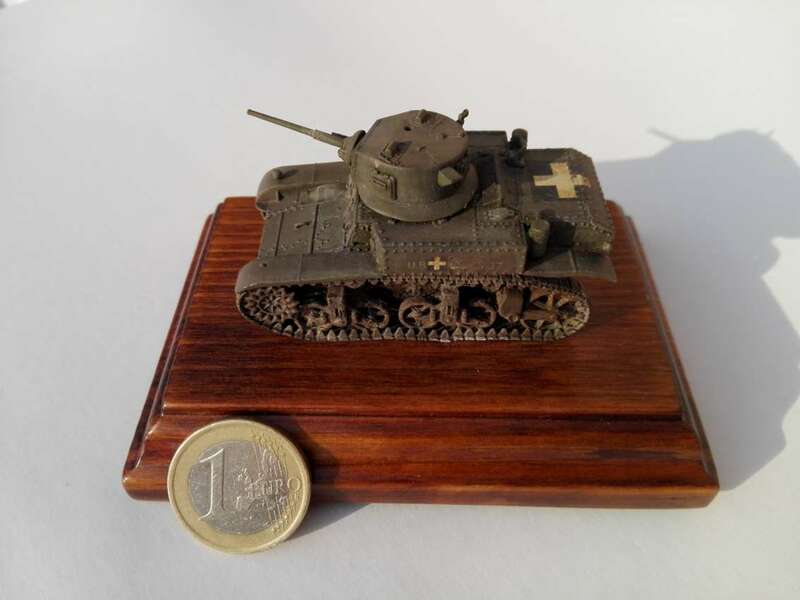 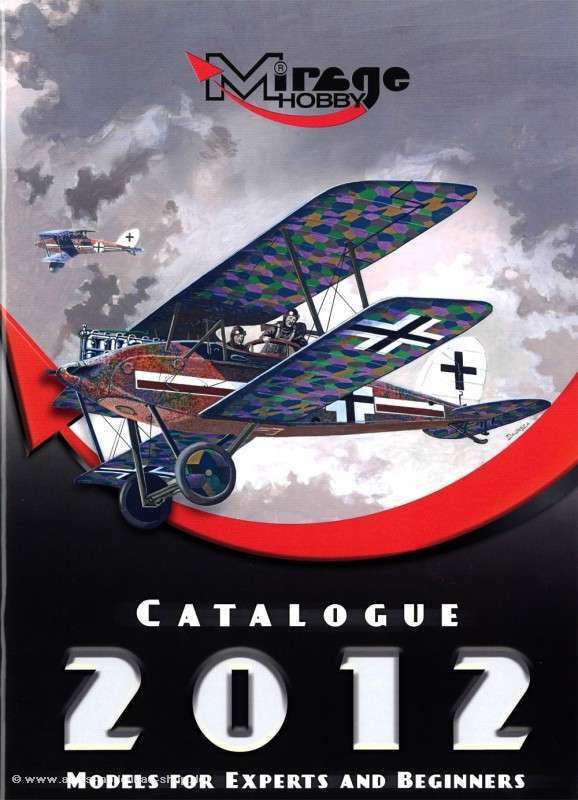 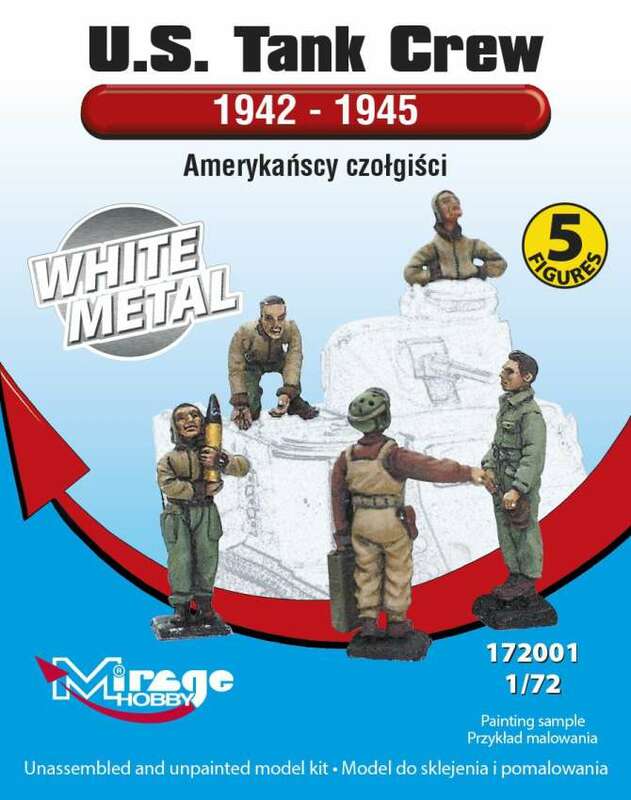 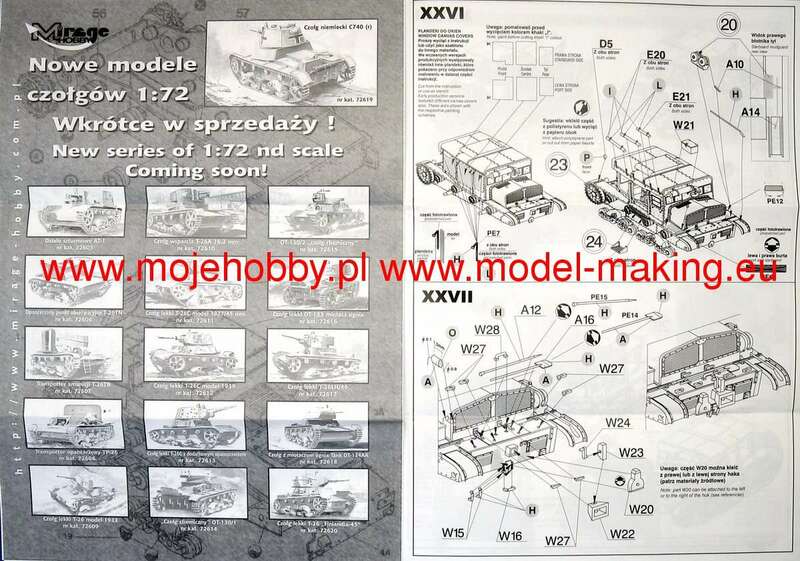 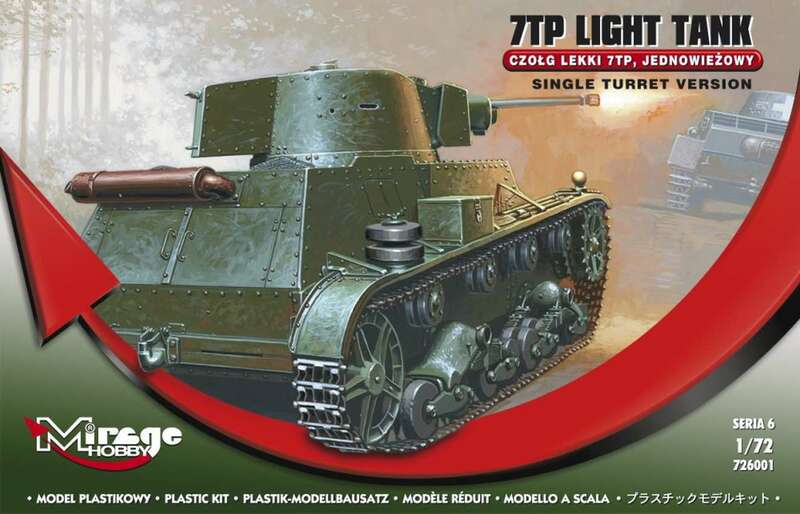 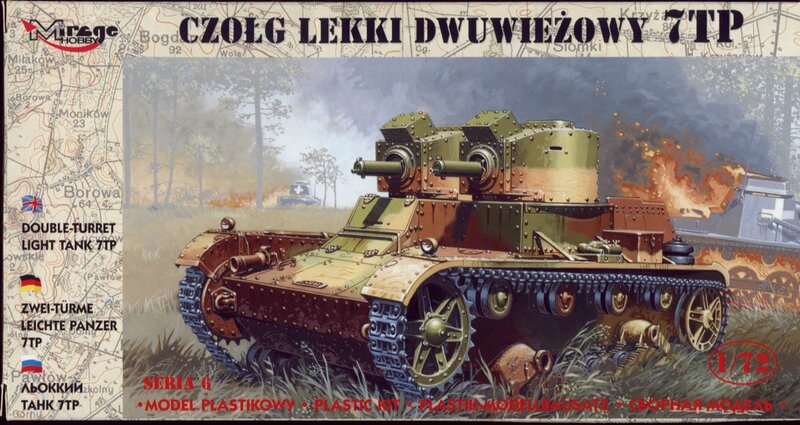 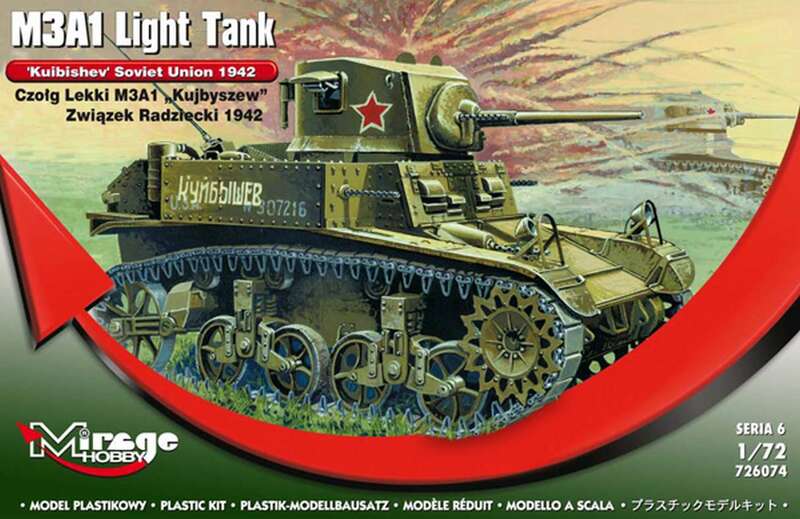 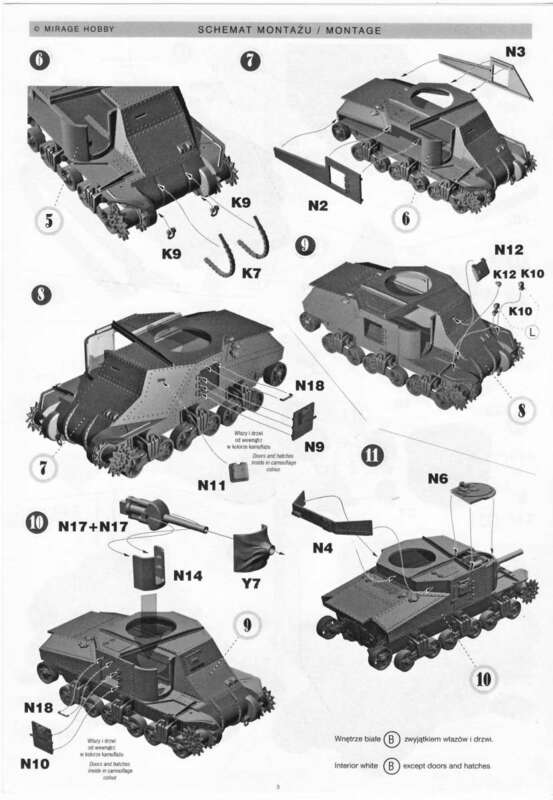 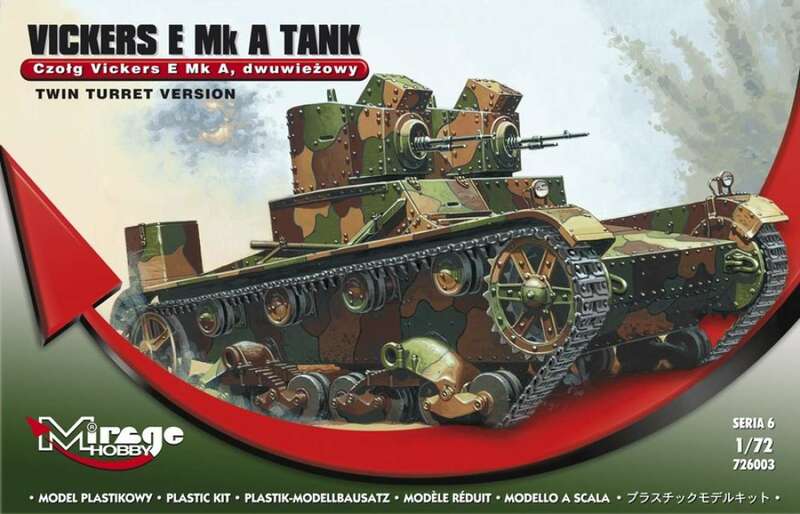 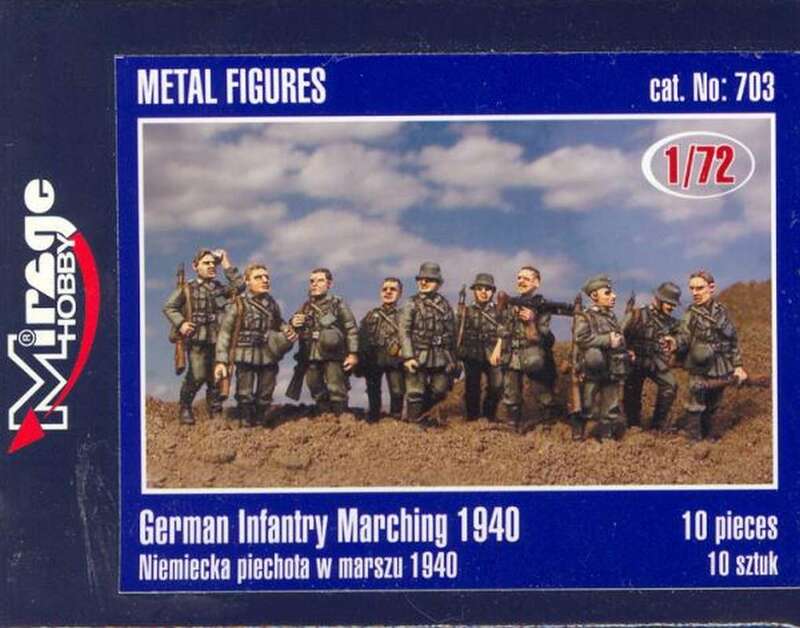 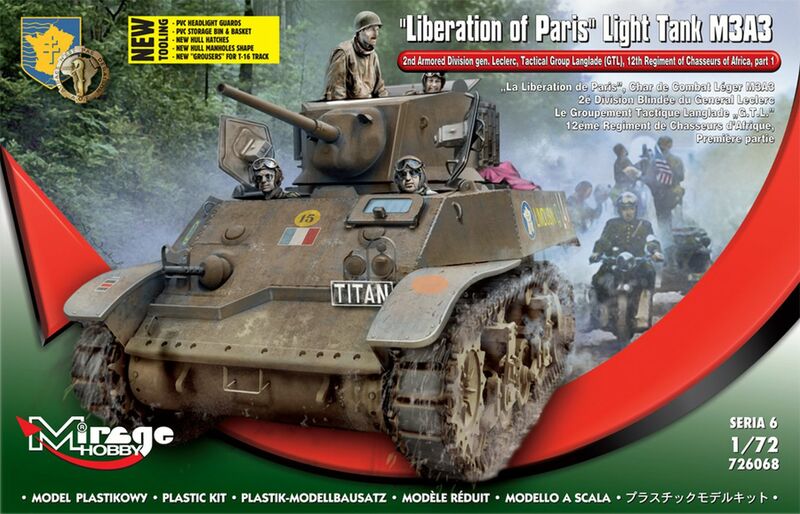 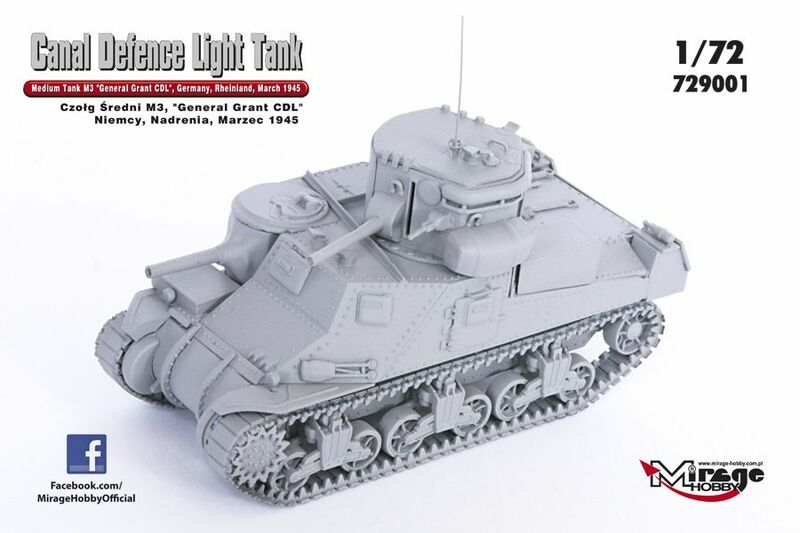 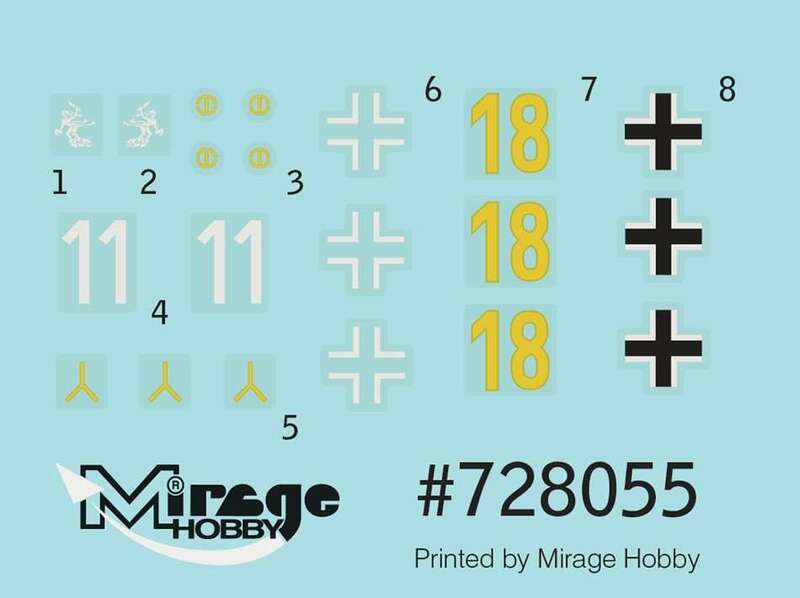 Kit 72637 - GERMAN TANK FT-17 "PRINZ EUGEN SS Division"
Kit 72671 - M3 Honey "Operation Crusader"
Kit 72672 / 726072 - M3 Light Tank "Luzon 1942"
Kit 72673 / 726073 - M3A1 "Tunisia"
Kit 72674 - M3A1 Diesel "Kuybishev"
Model built by Czegle Zsolt - "Hungarian captured vehicle"
Kit 72675 / 726075 - M3A1 late "Pacific 1943"
Kit 72676 - M3A3 "Liberation of Paris"
Kit 72678 - M5A1 early "Operation Cobra"
Kit 72679 - M5A1 late "1st Polish Armoured Div." 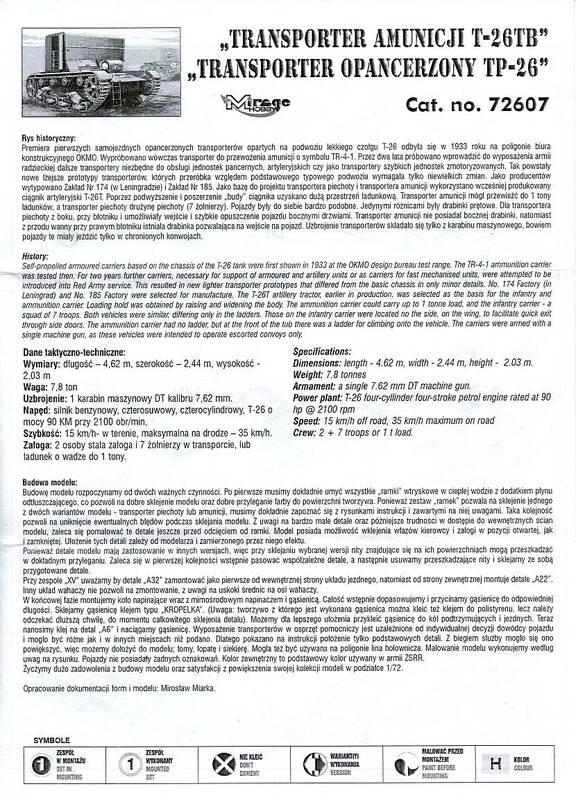 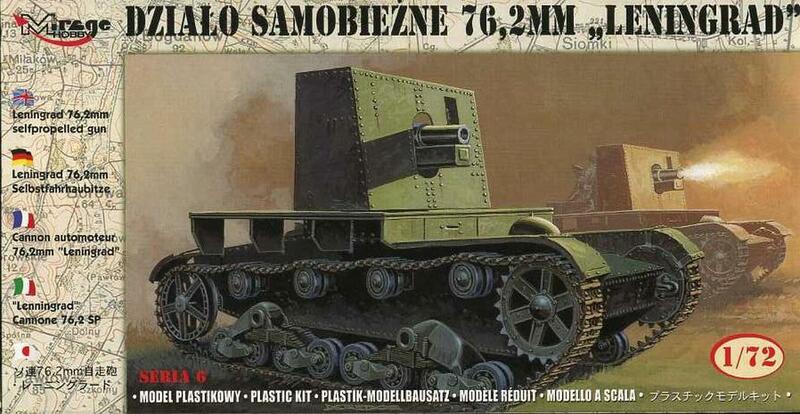 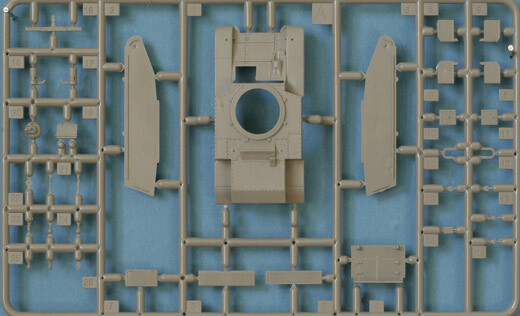 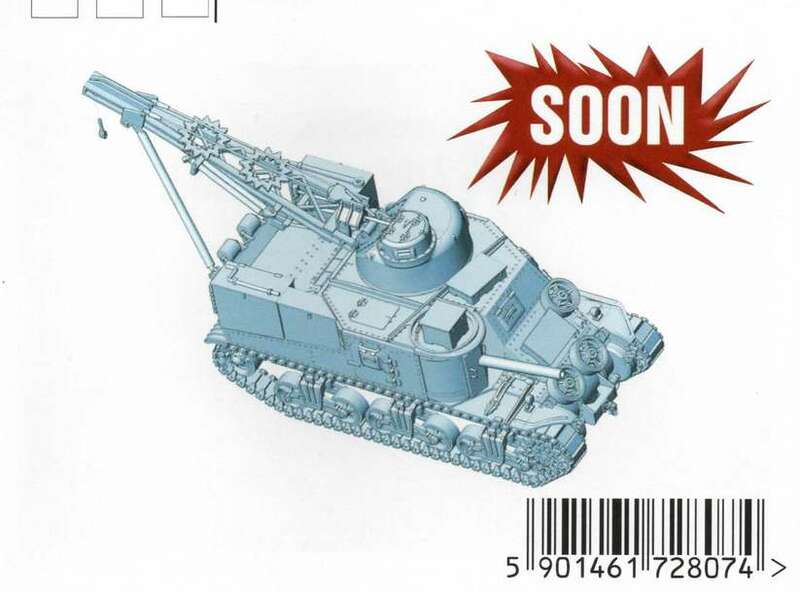 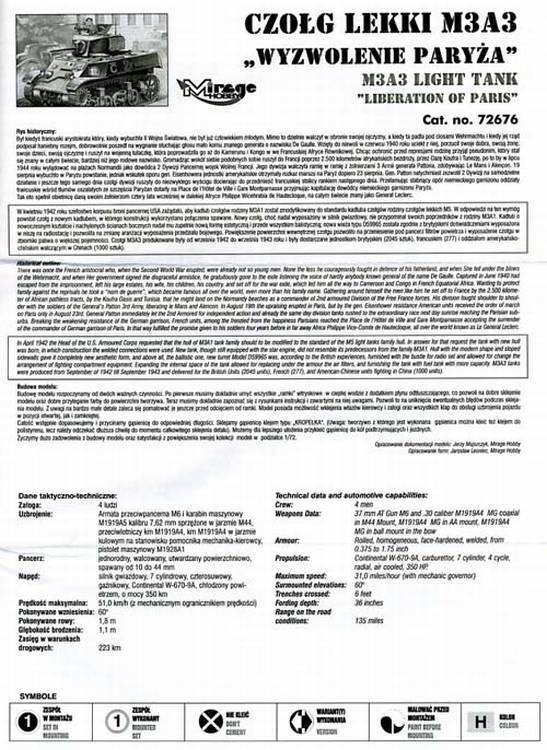 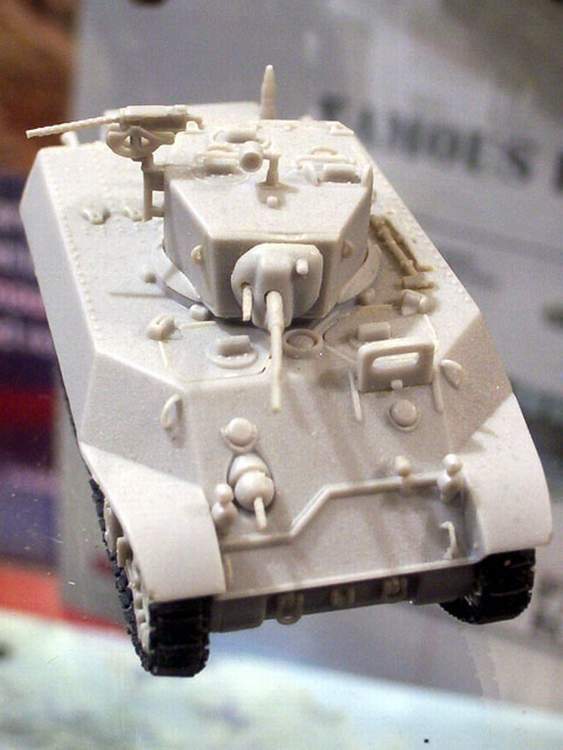 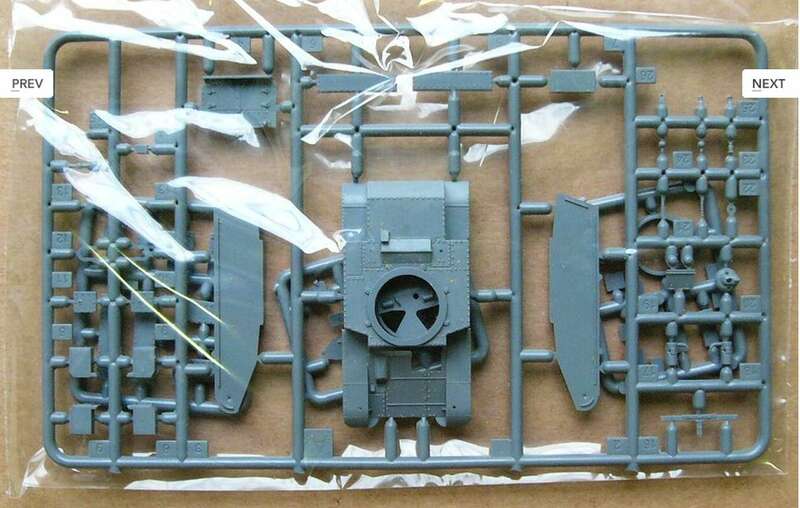 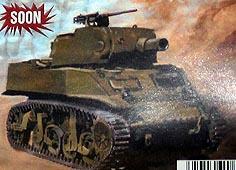 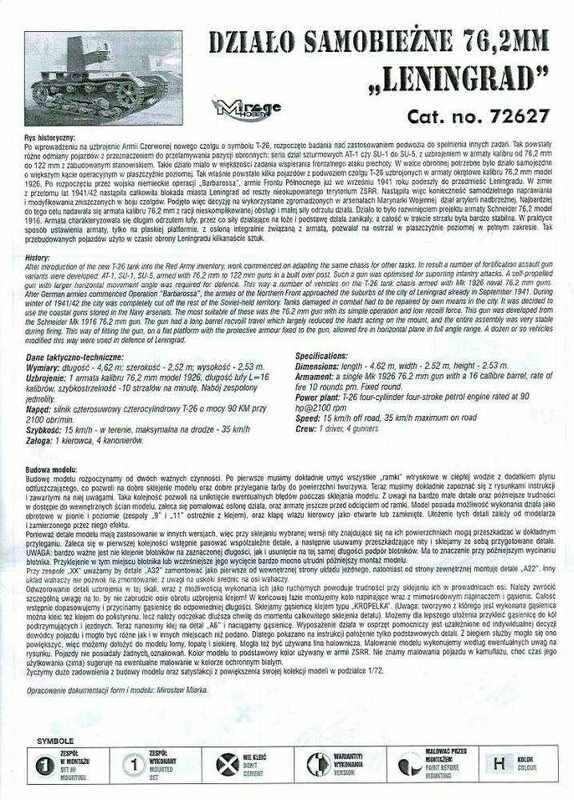 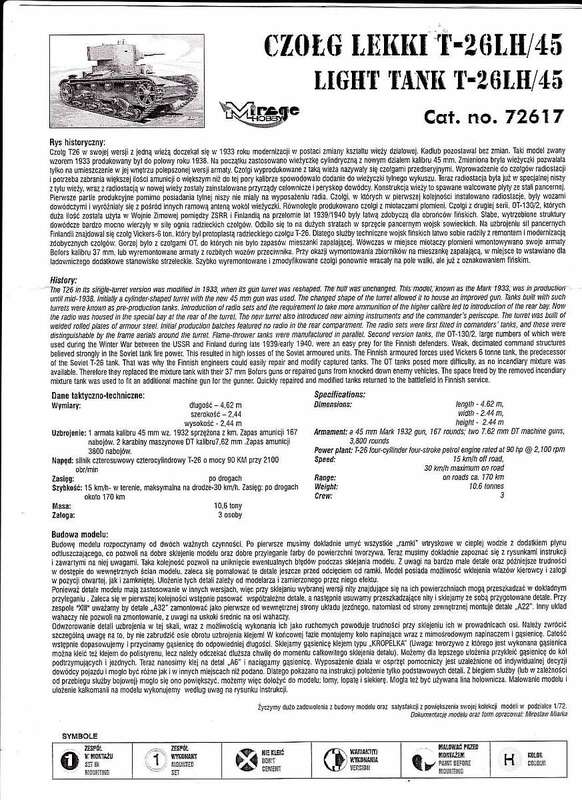 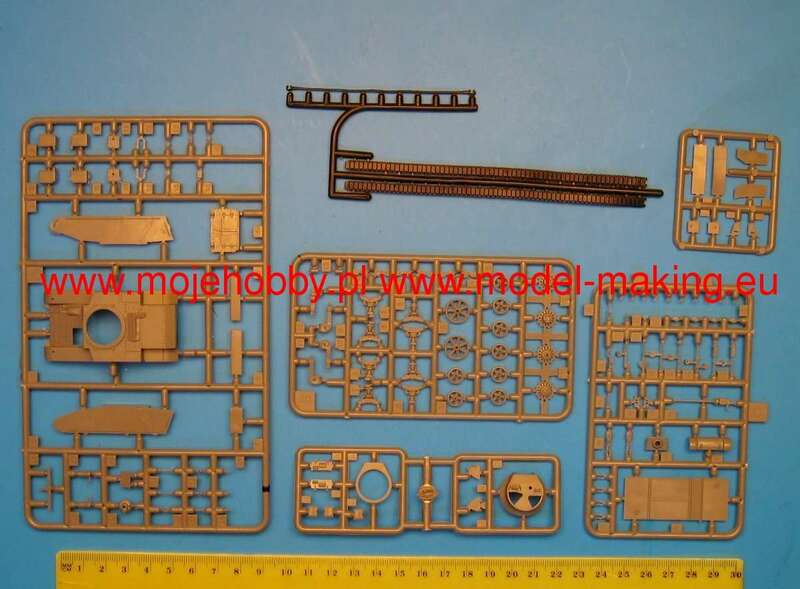 Kit 72680 - US 75mm SPG M8 "Scott"
The kits contains also metal barrel, resin and photo etching parts. 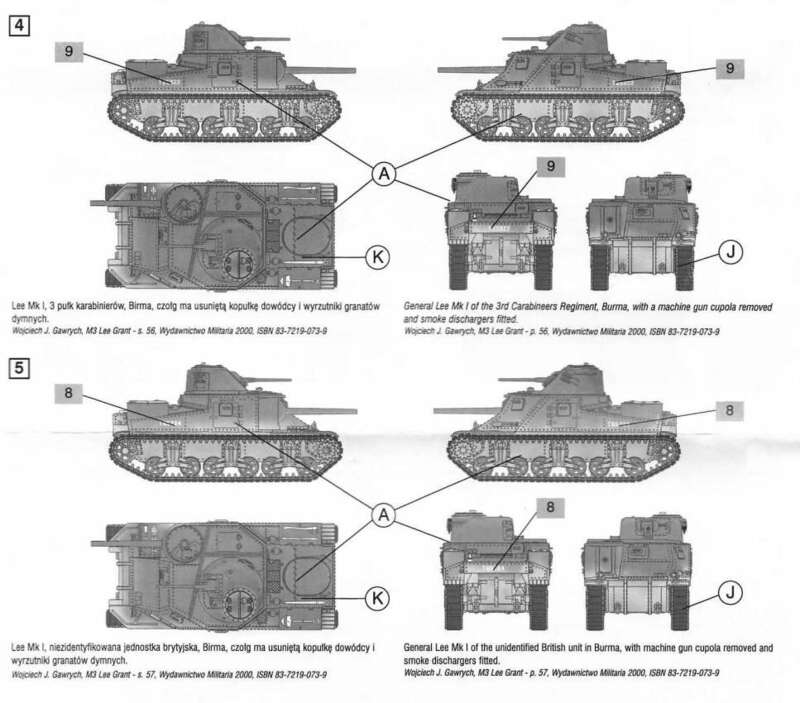 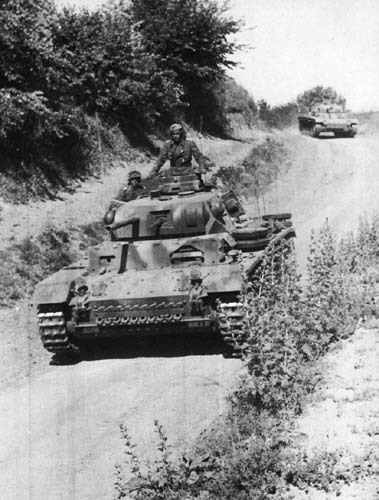 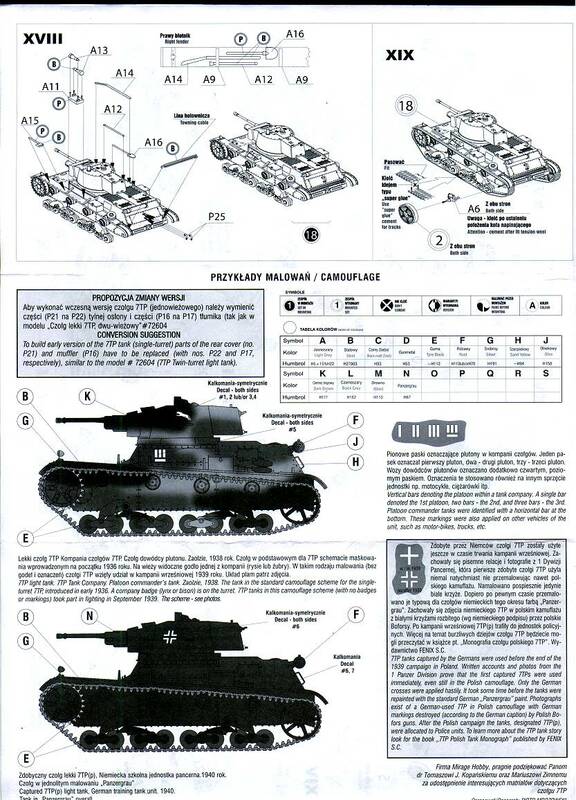 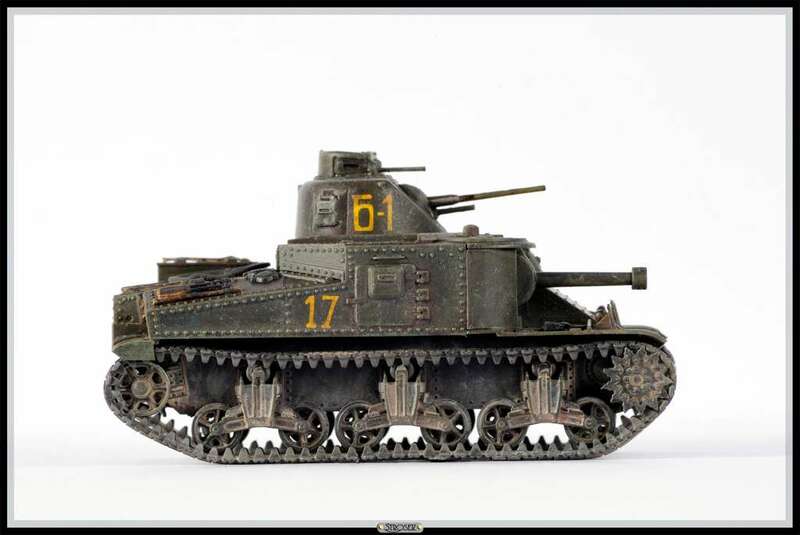 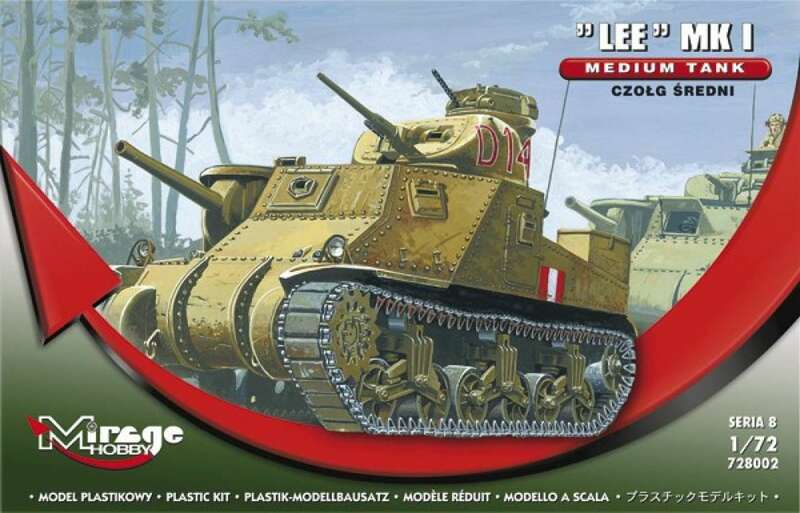 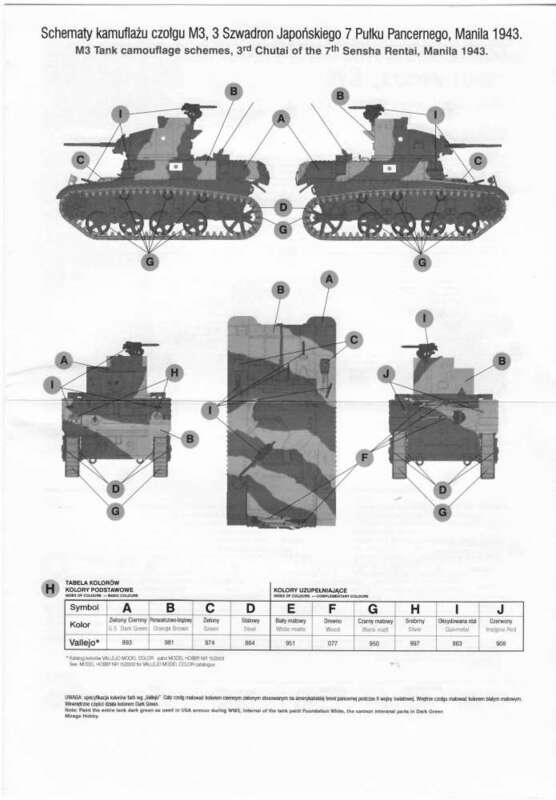 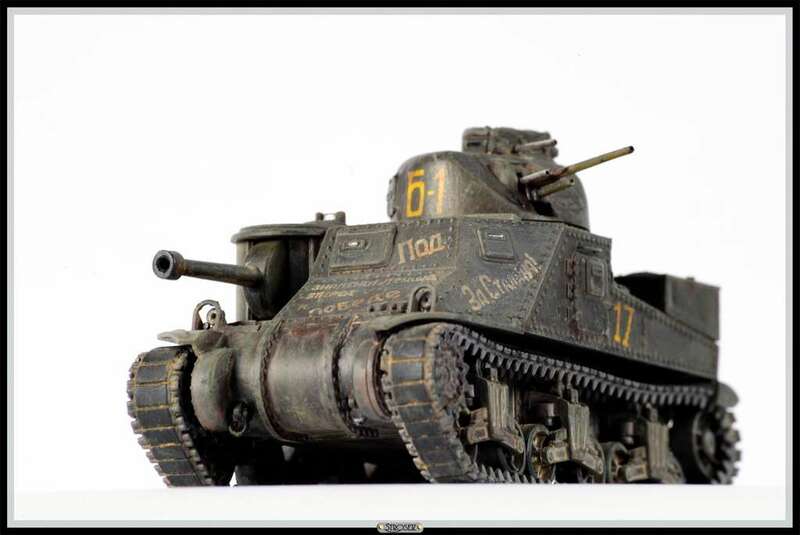 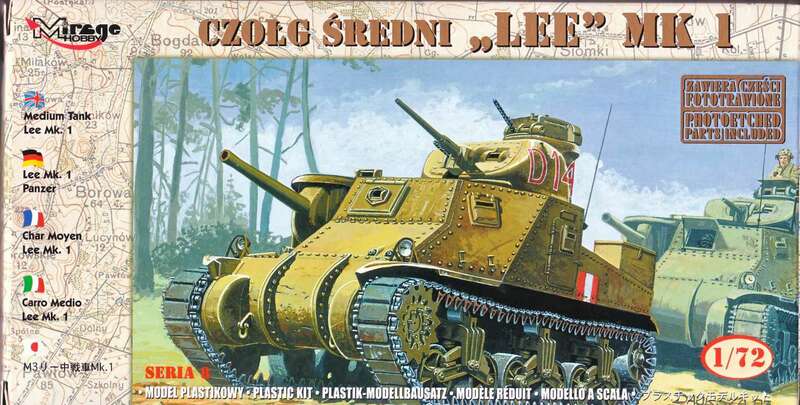 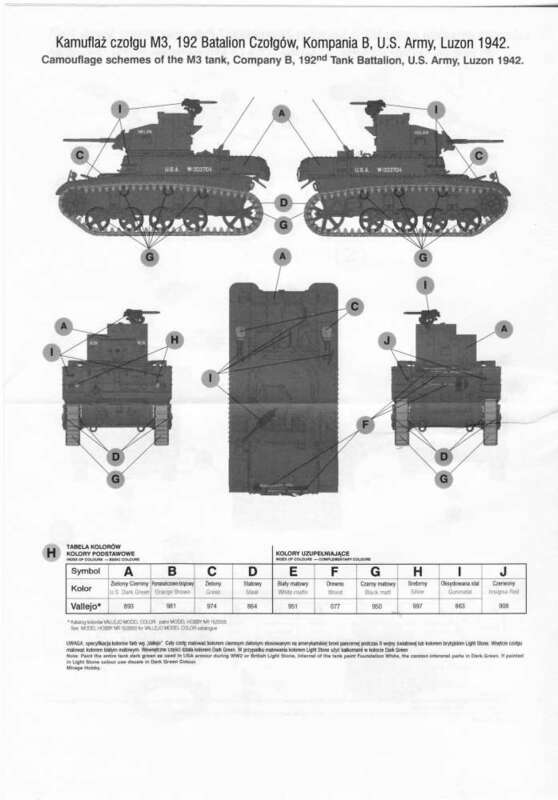 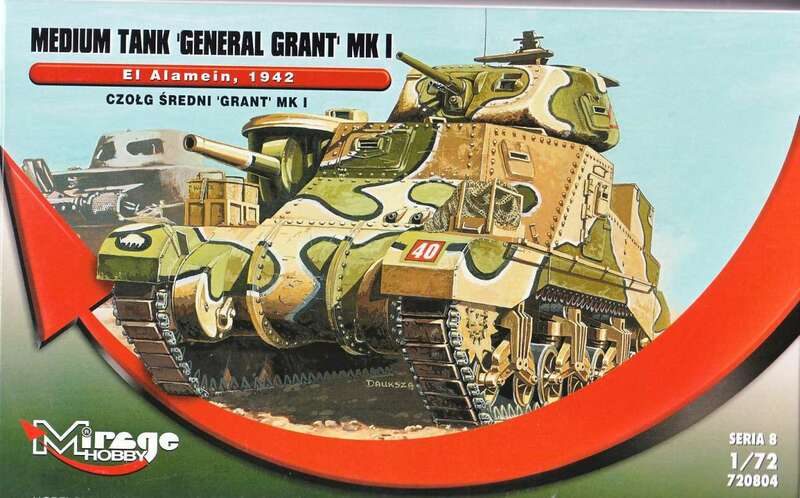 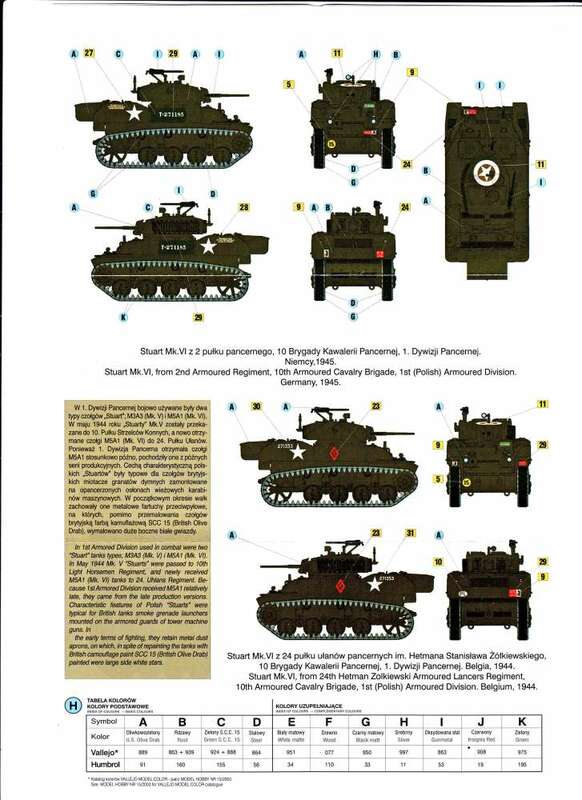 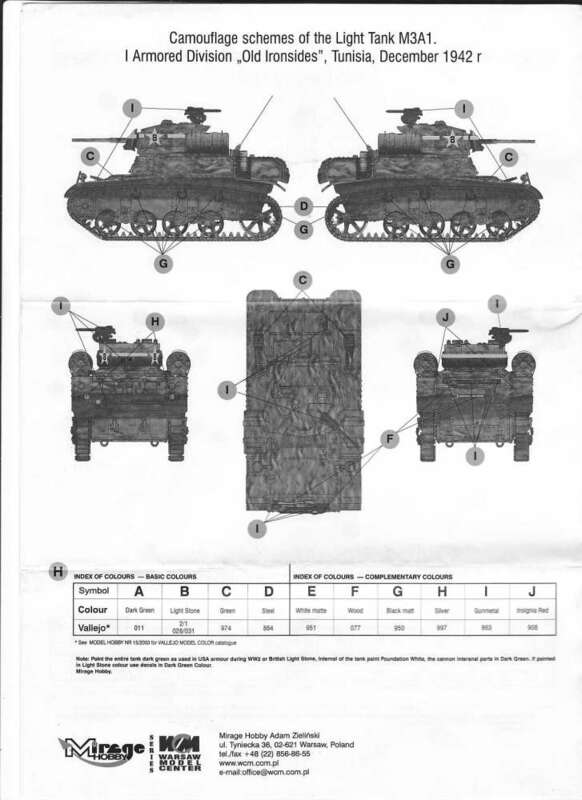 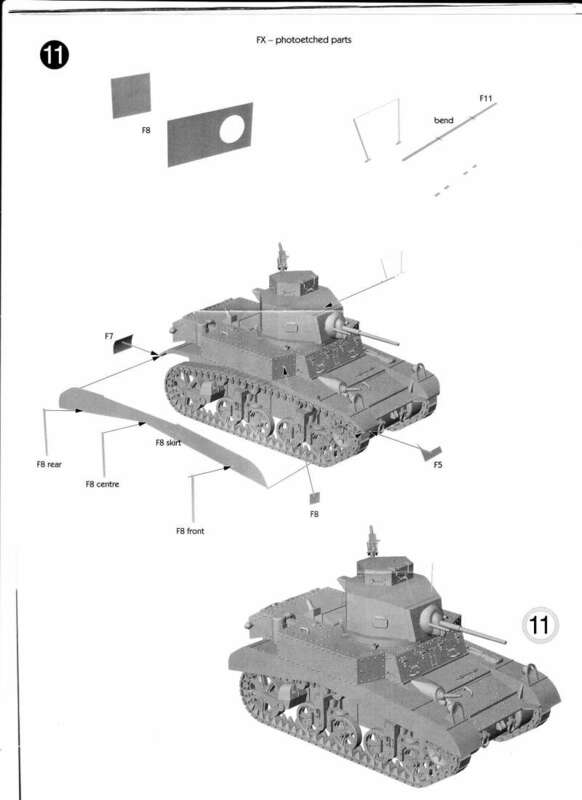 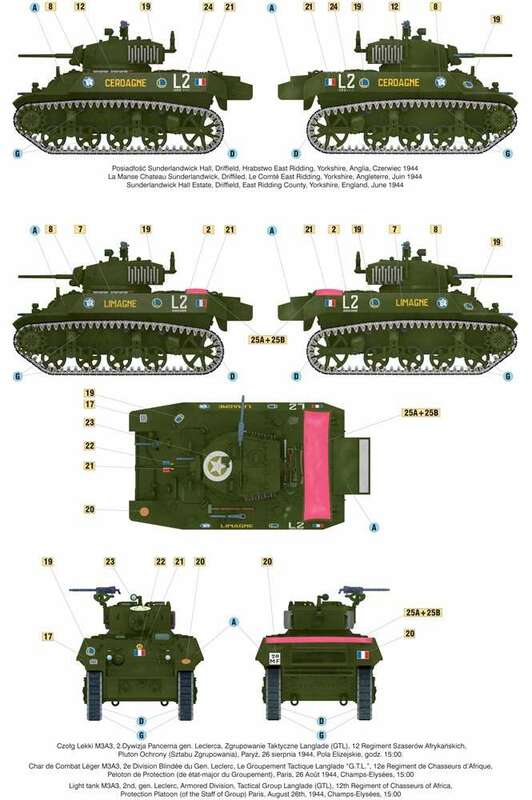 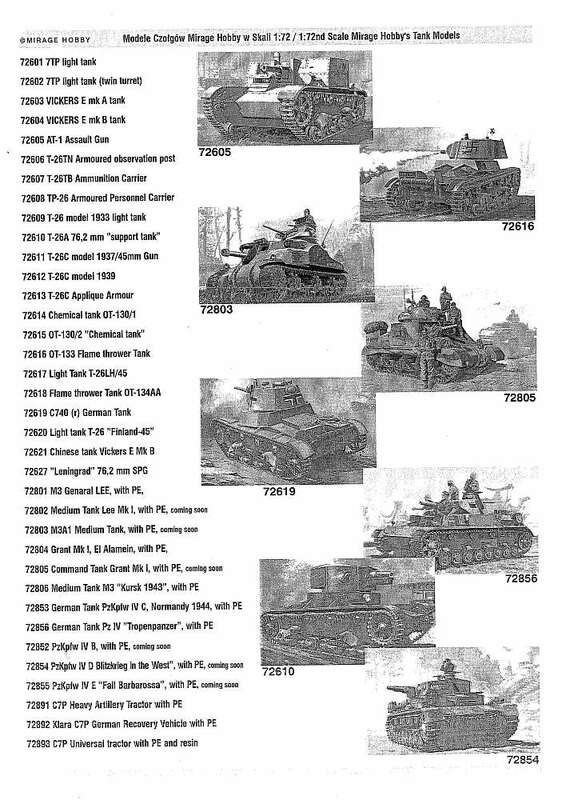 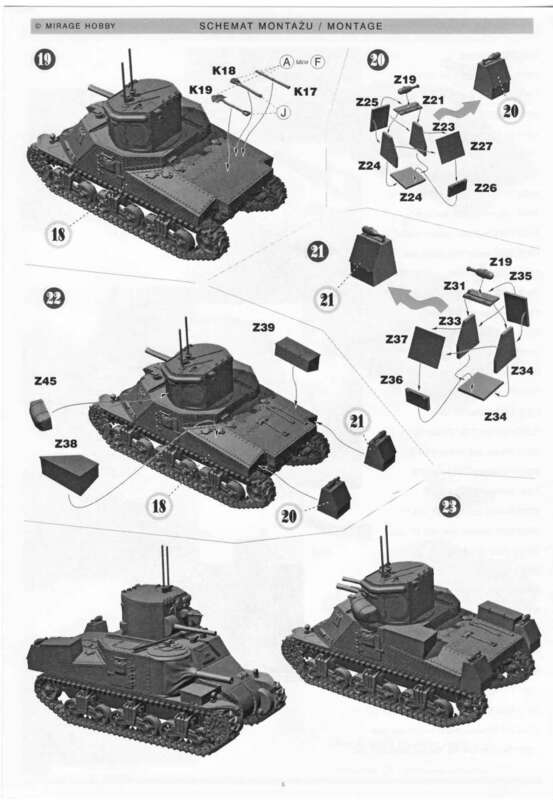 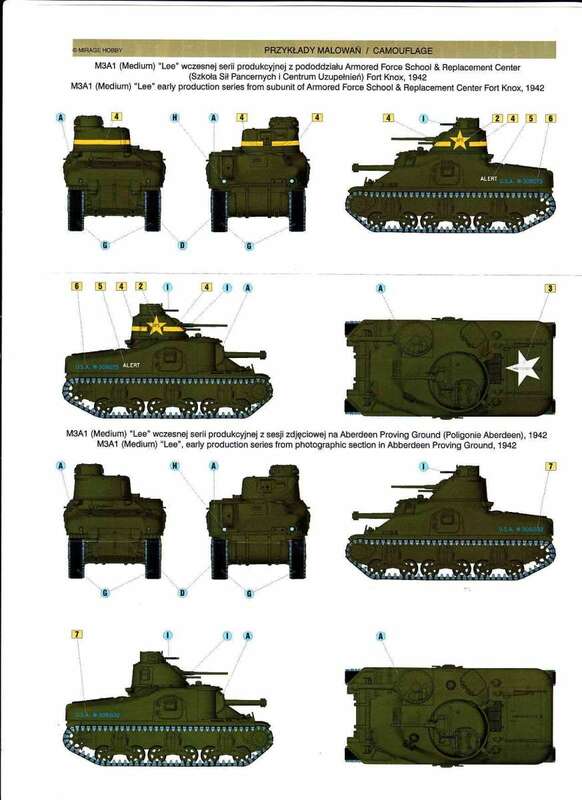 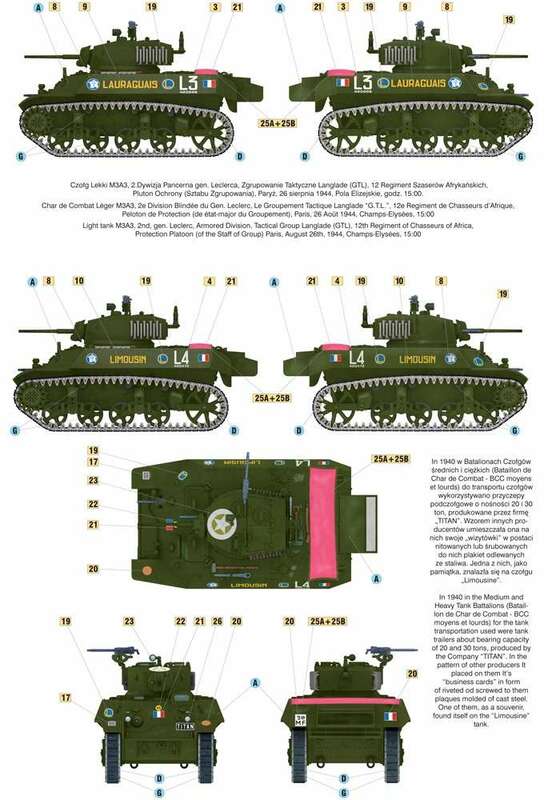 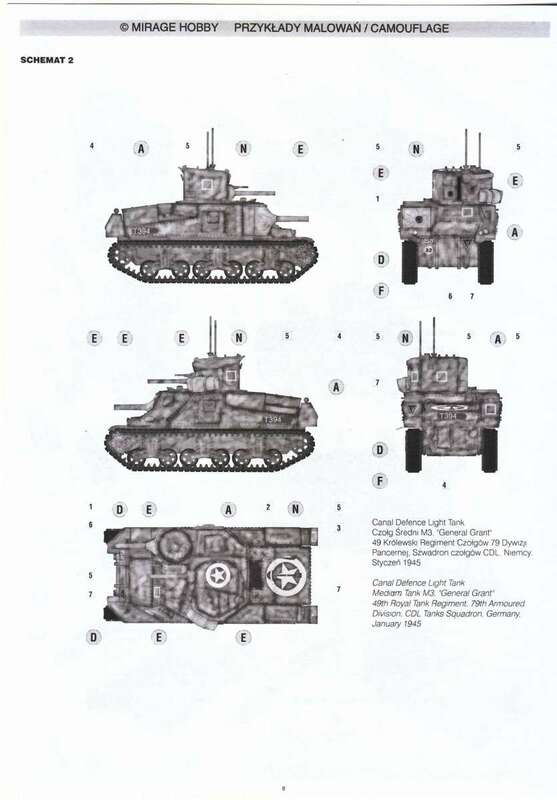 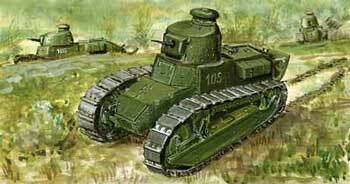 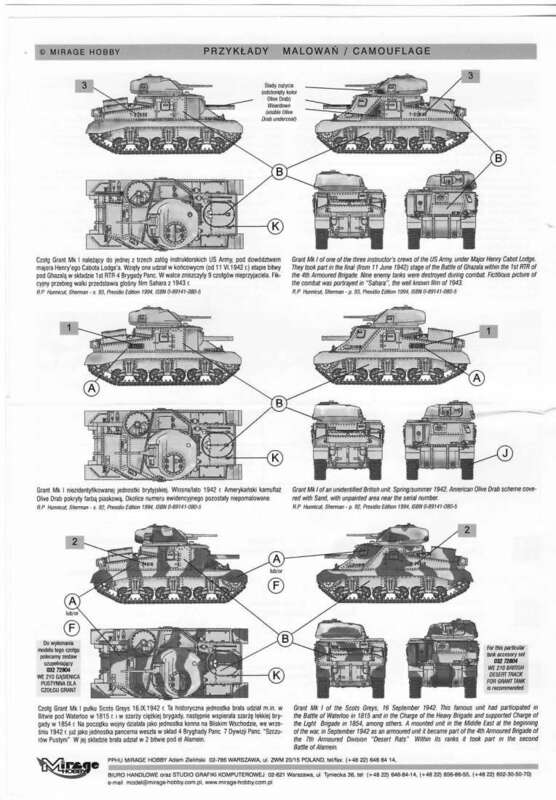 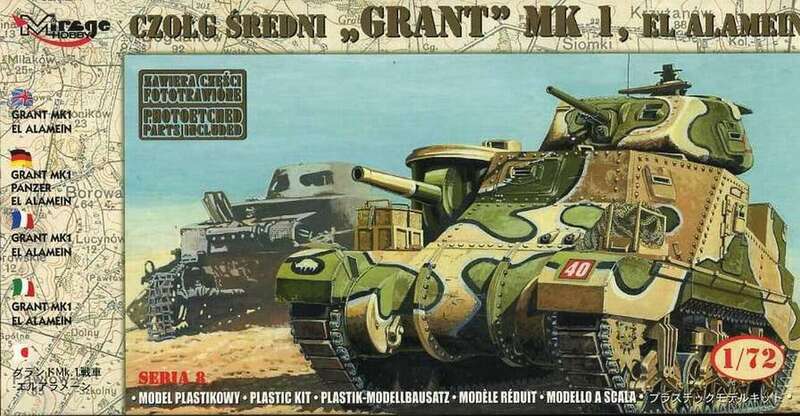 M3 Lee / Grant tanks. 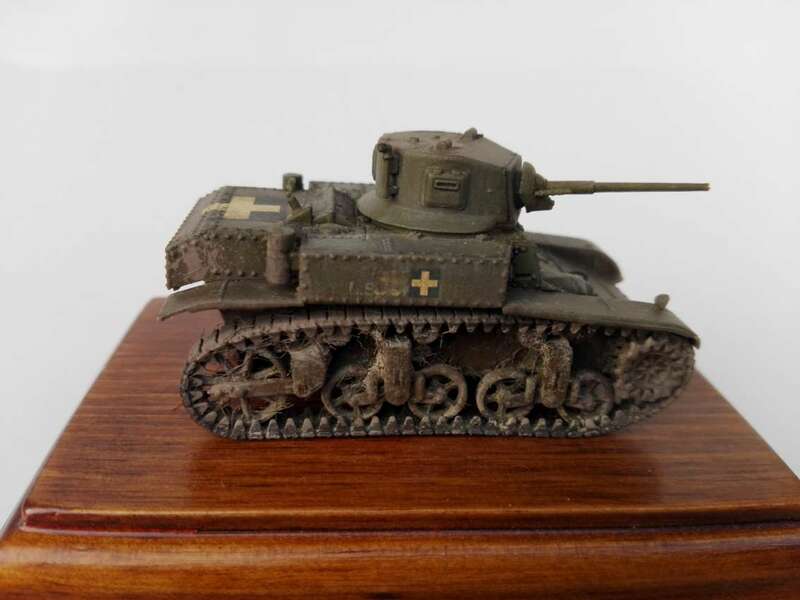 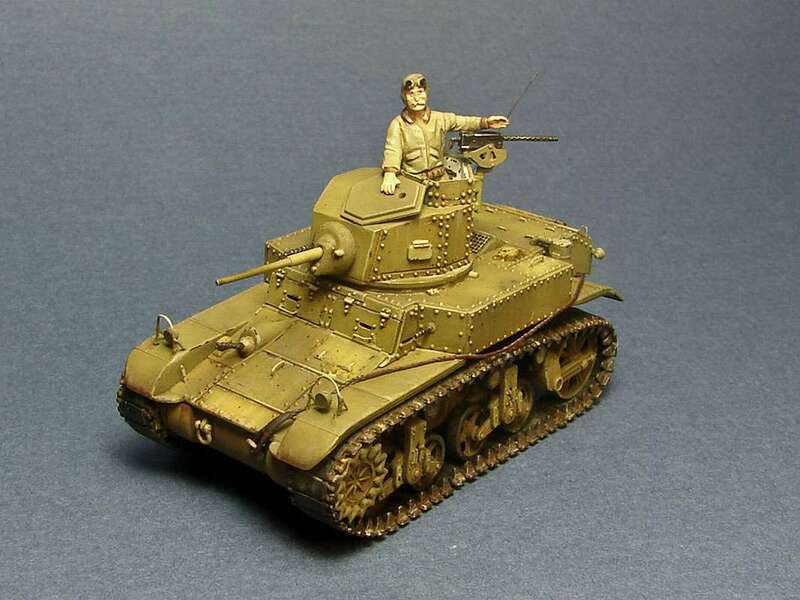 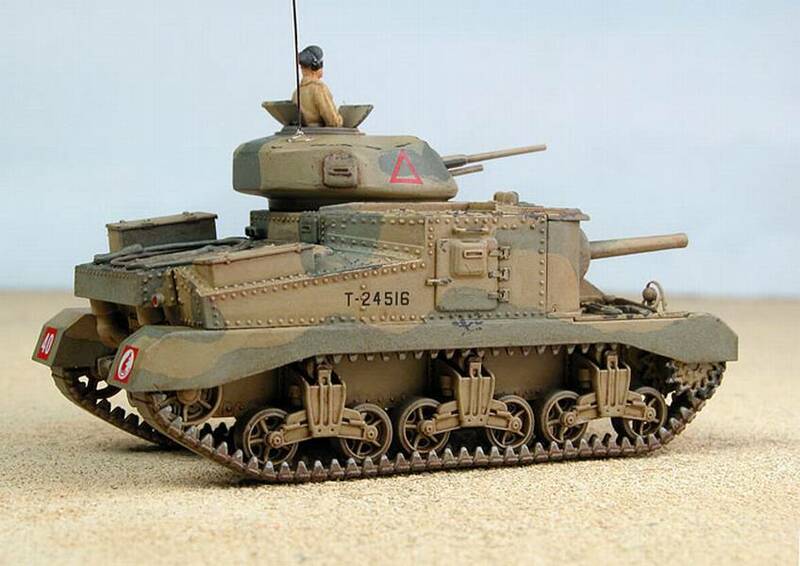 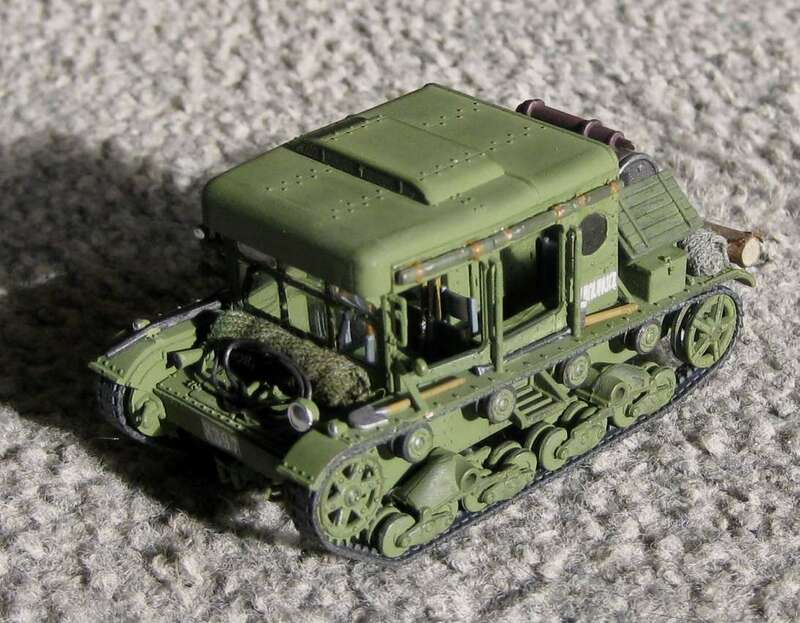 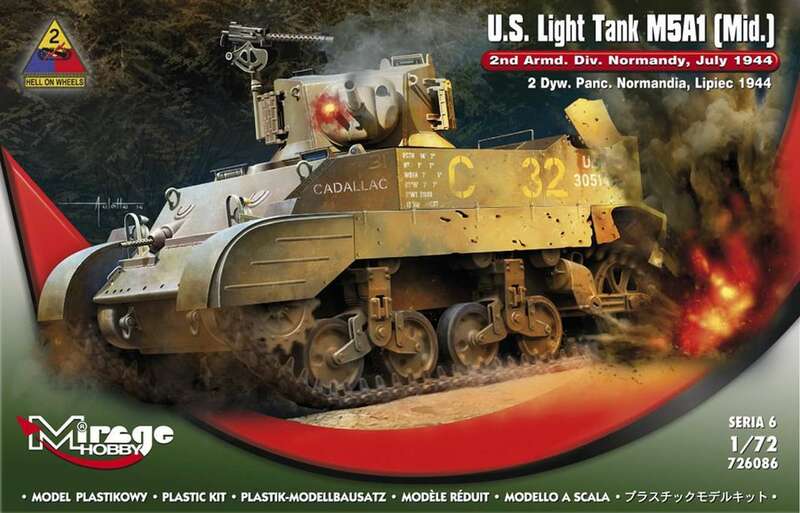 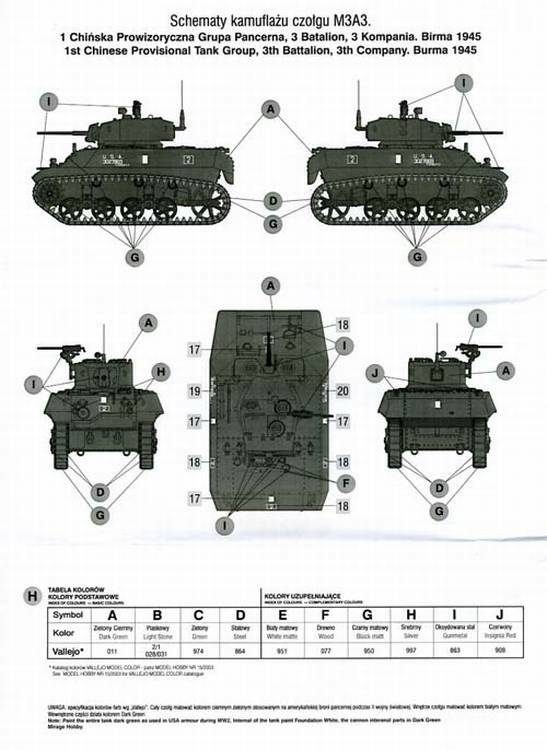 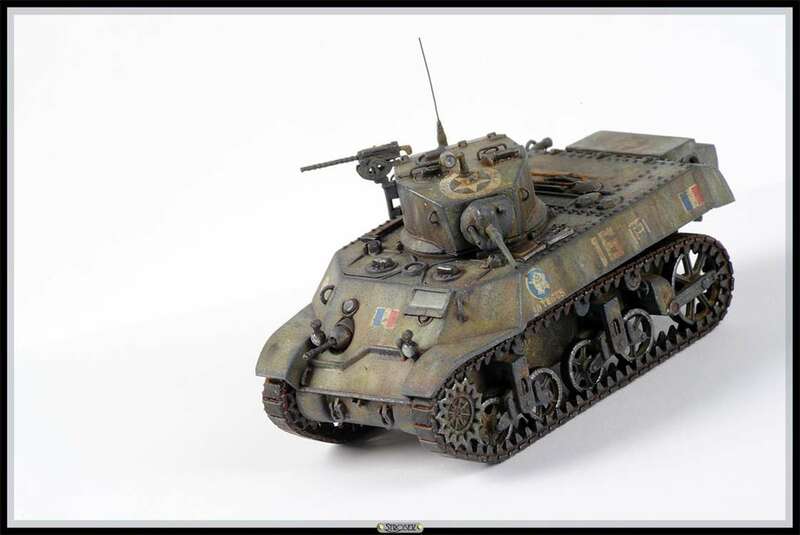 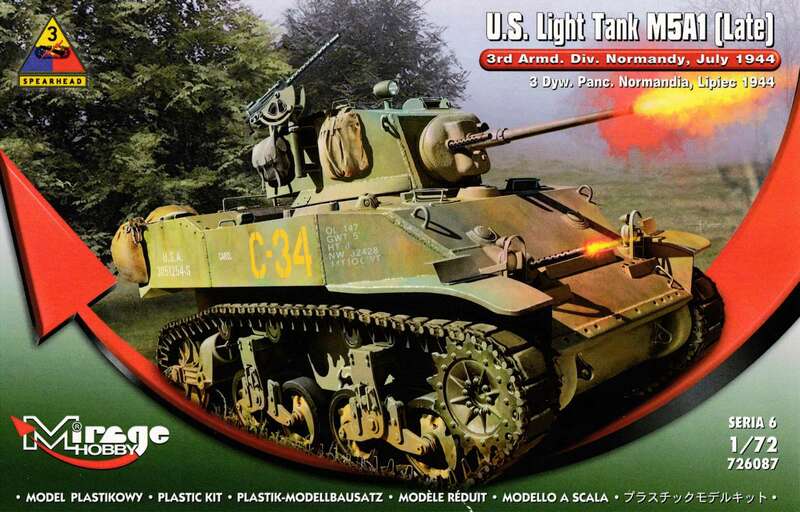 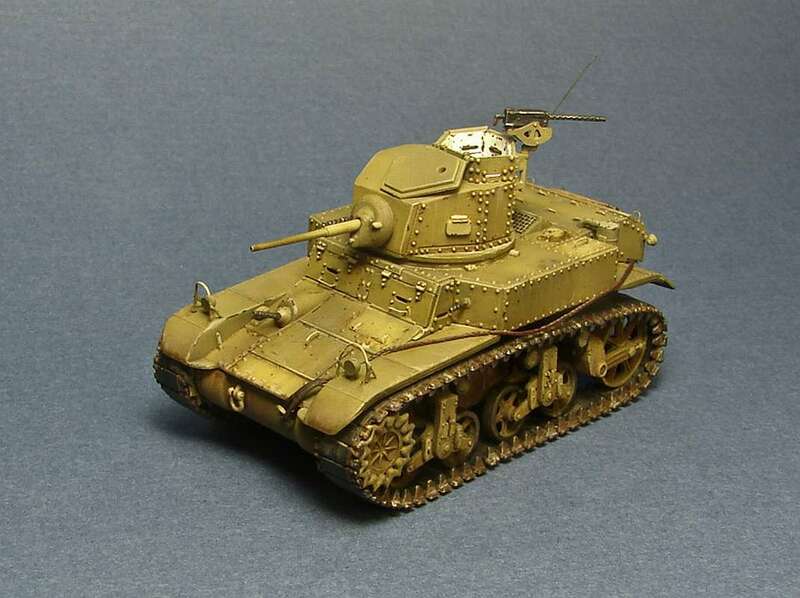 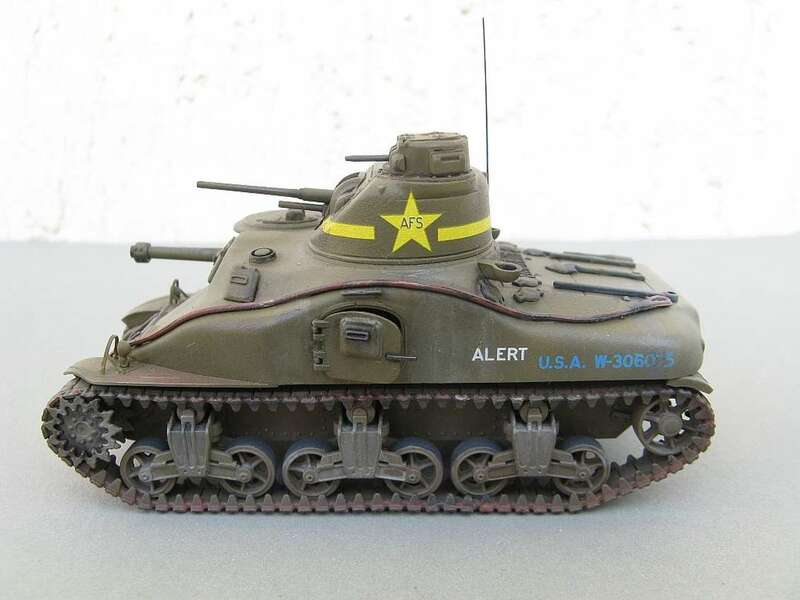 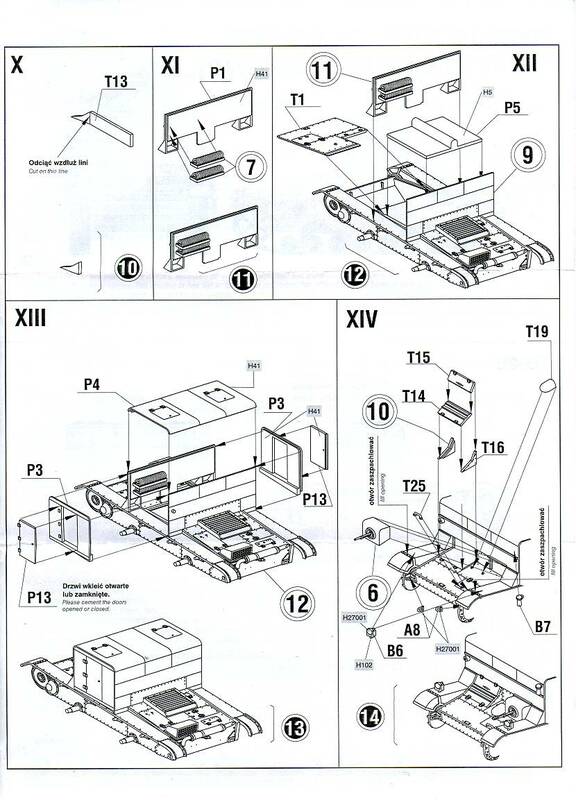 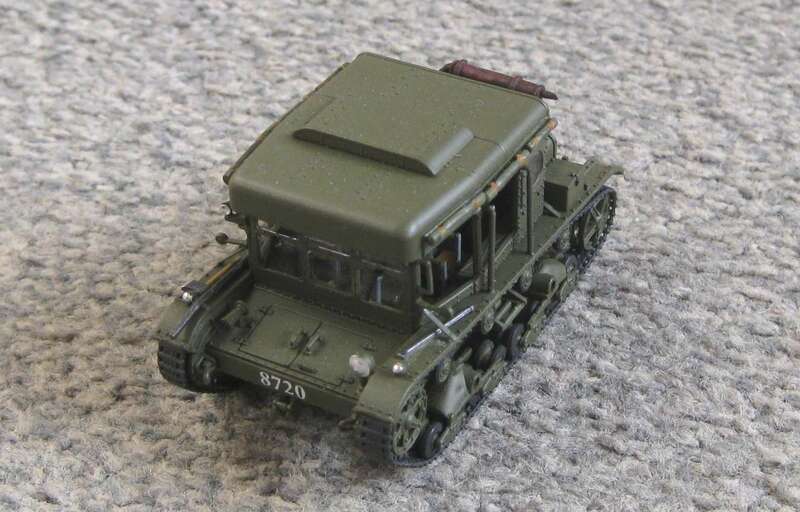 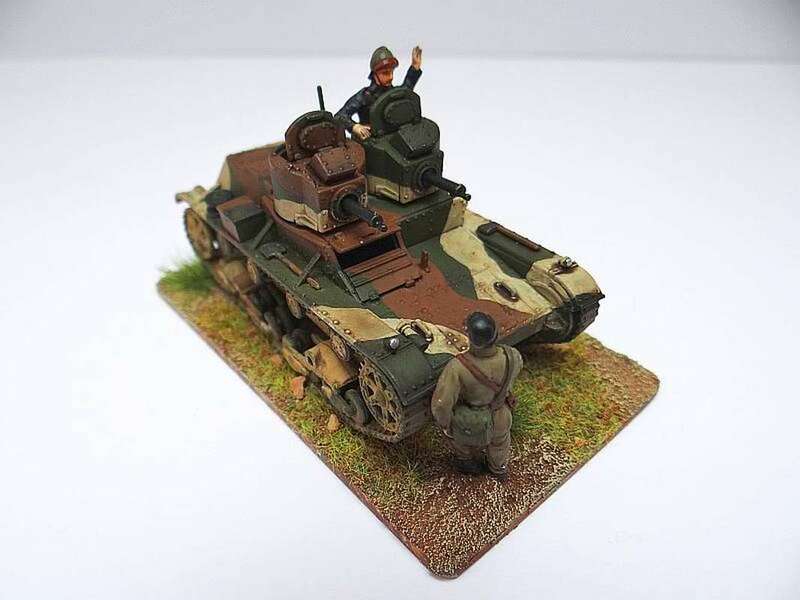 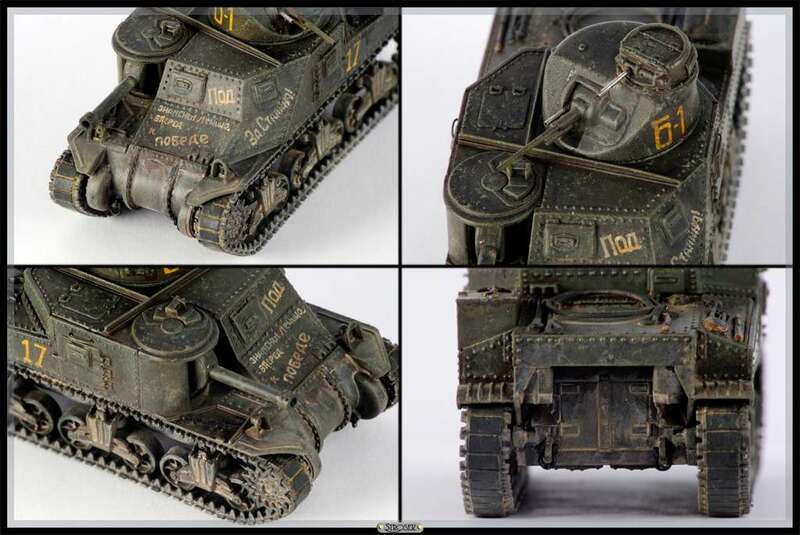 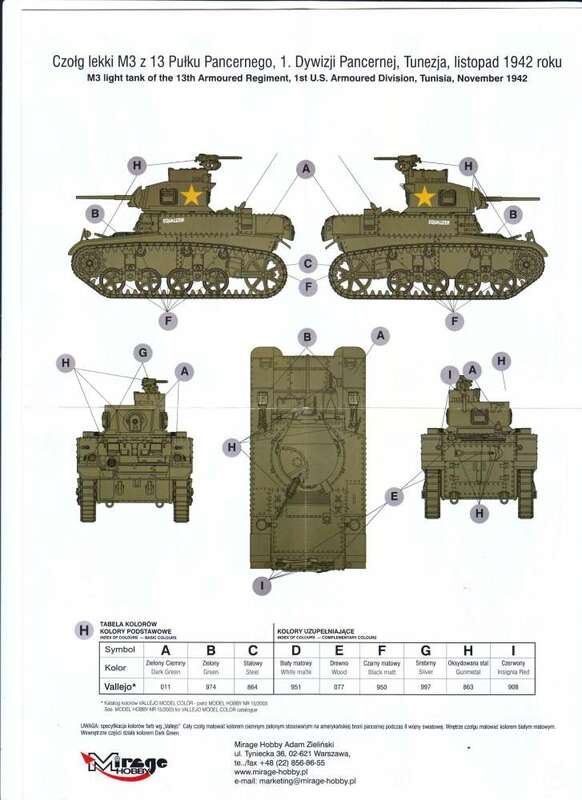 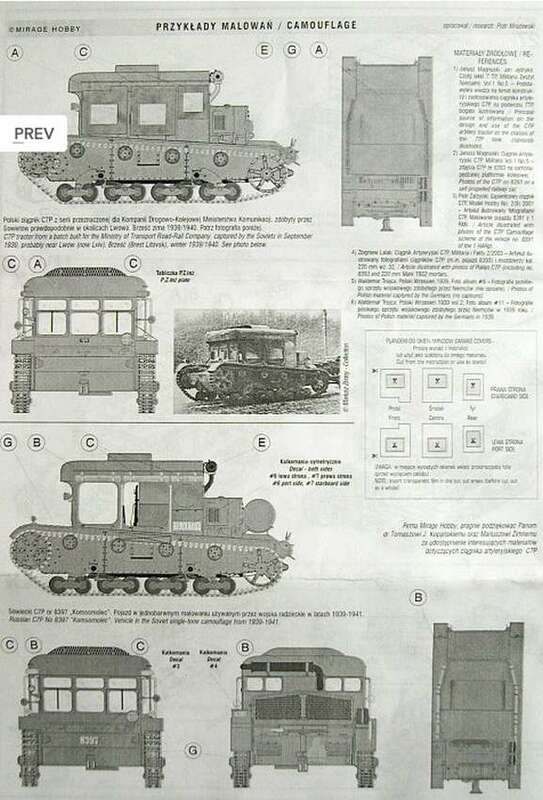 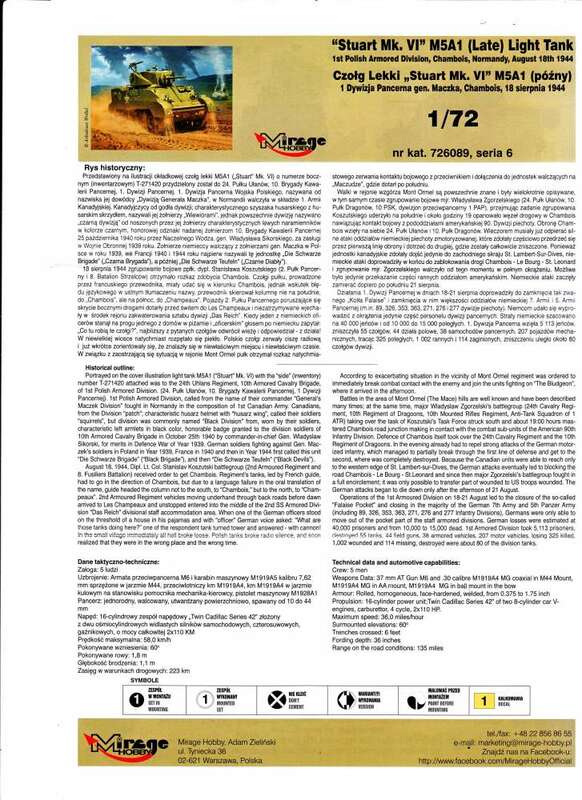 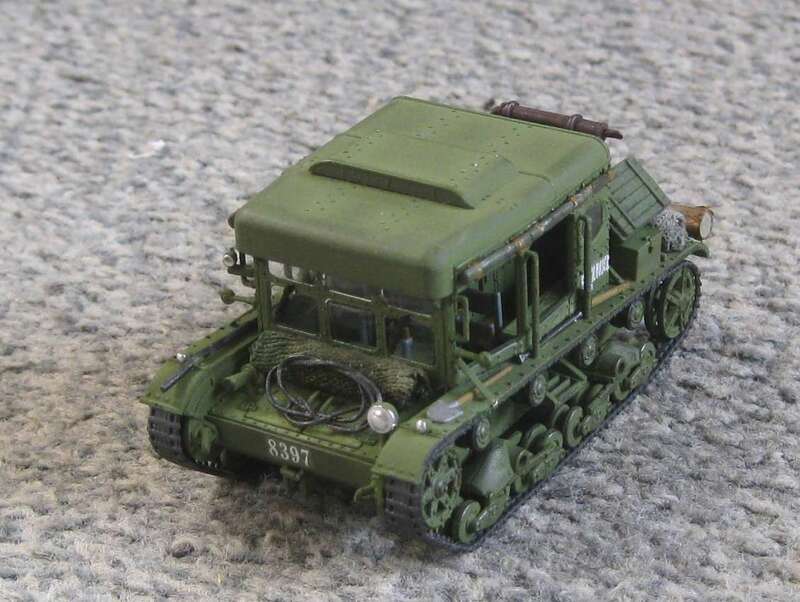 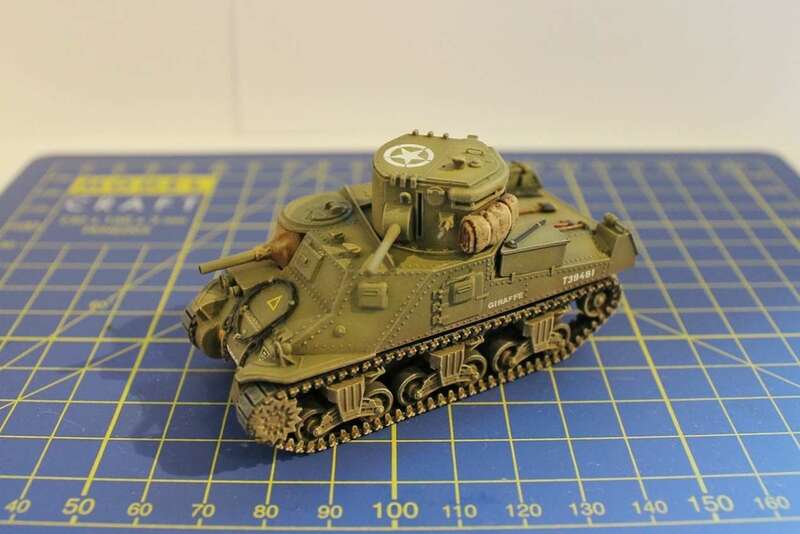 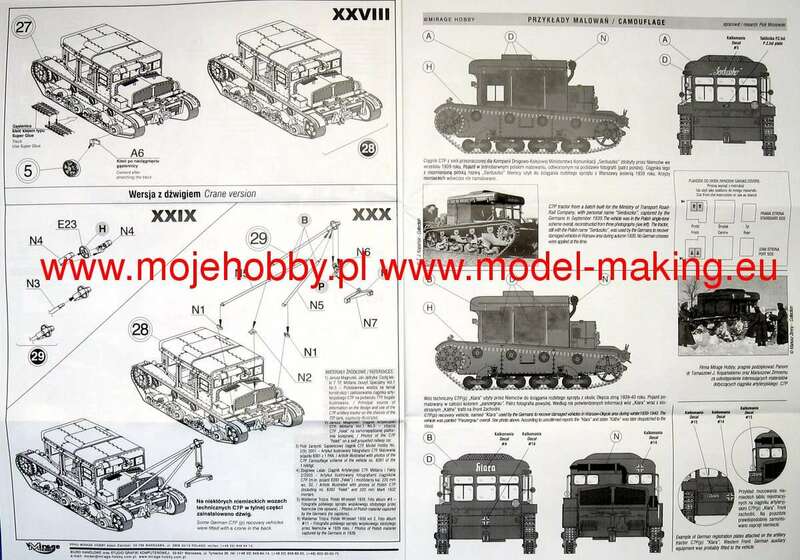 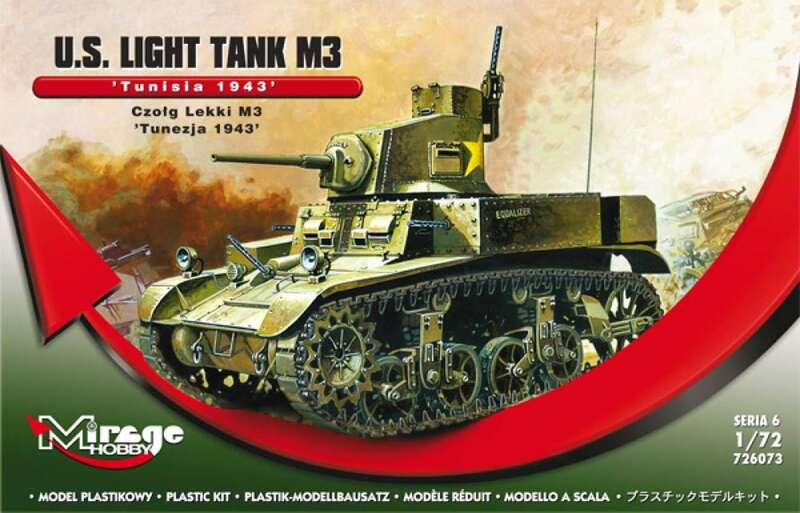 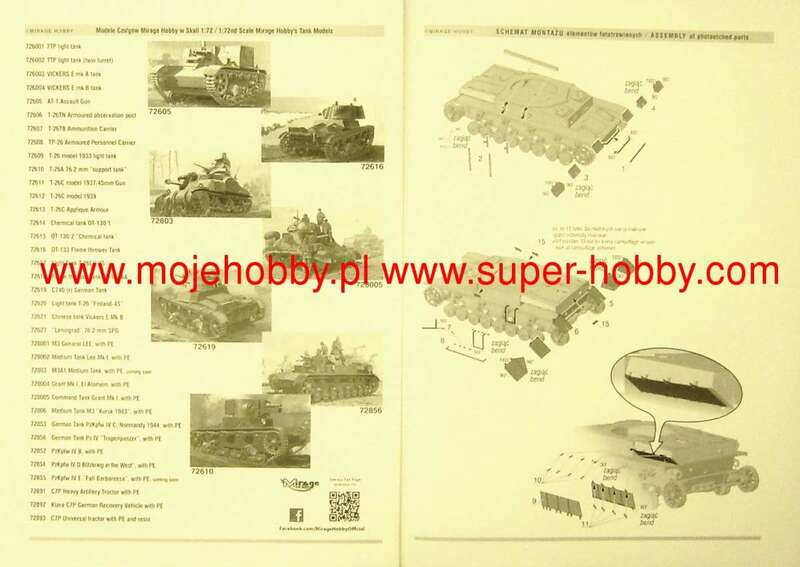 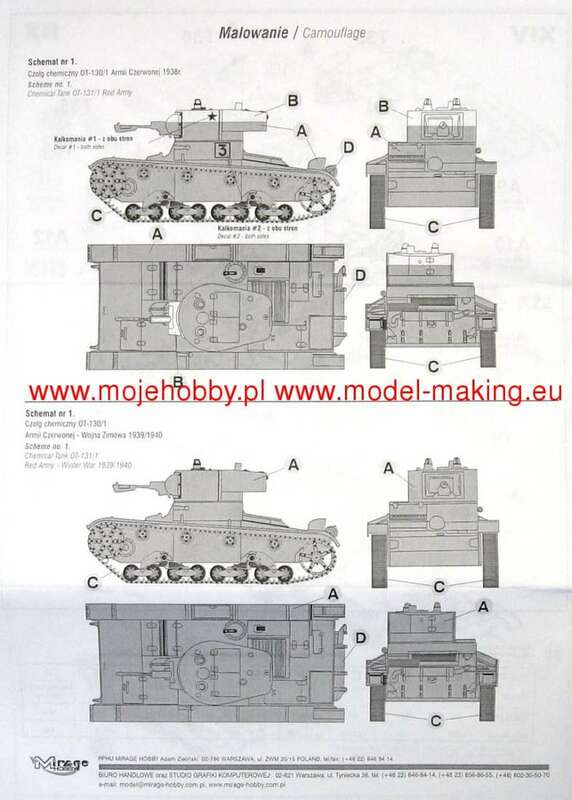 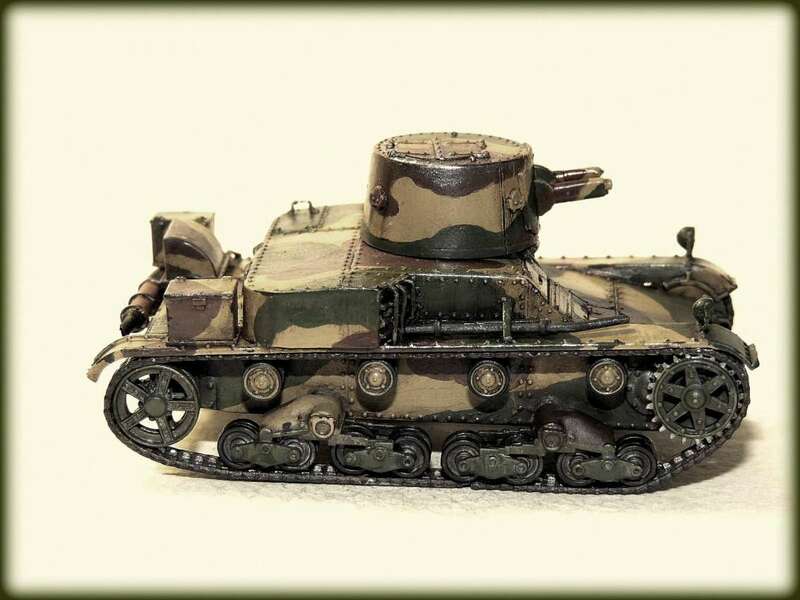 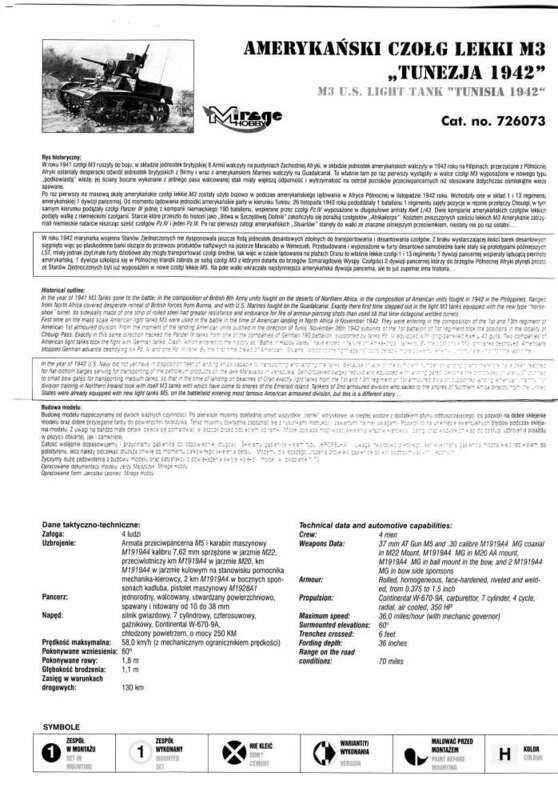 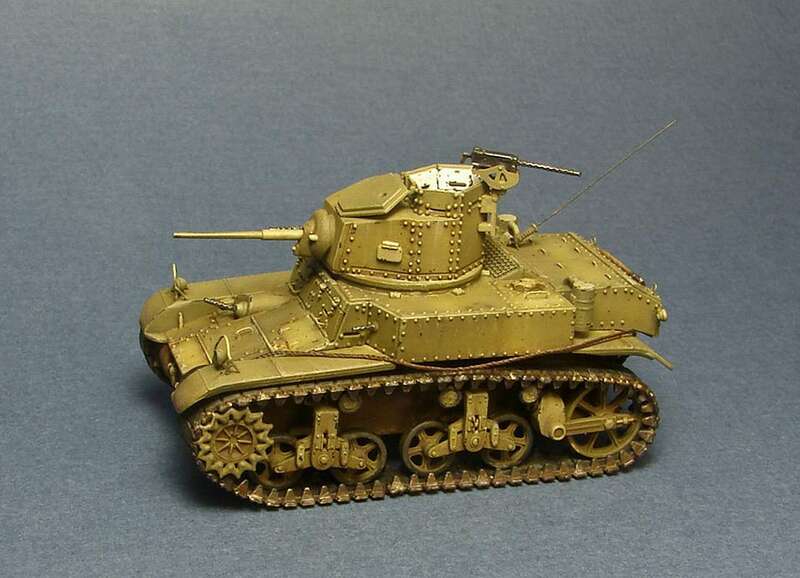 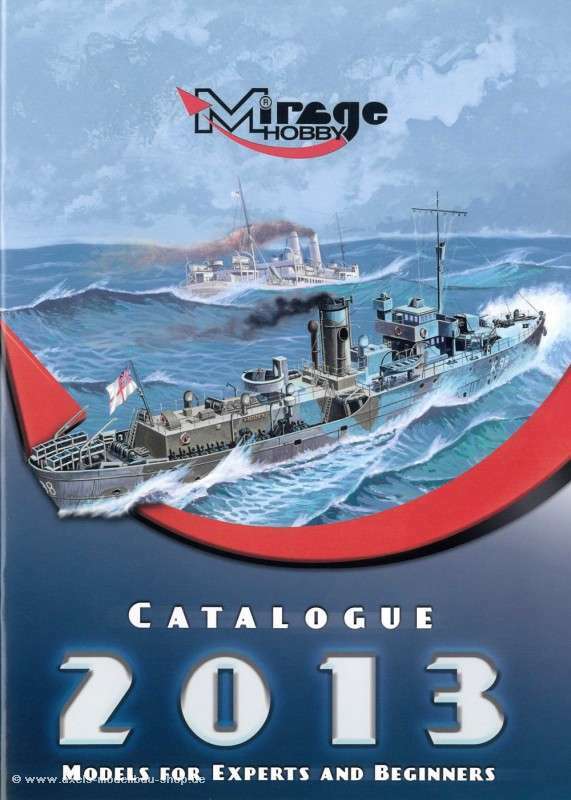 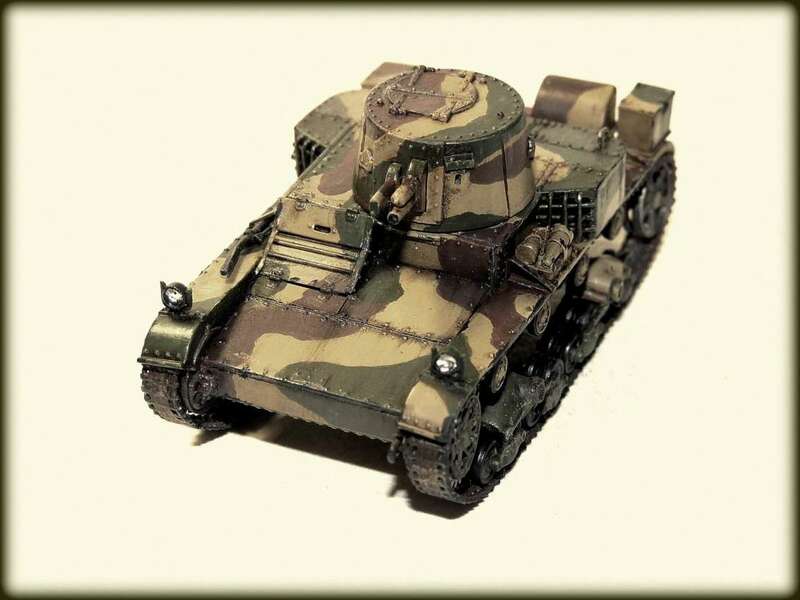 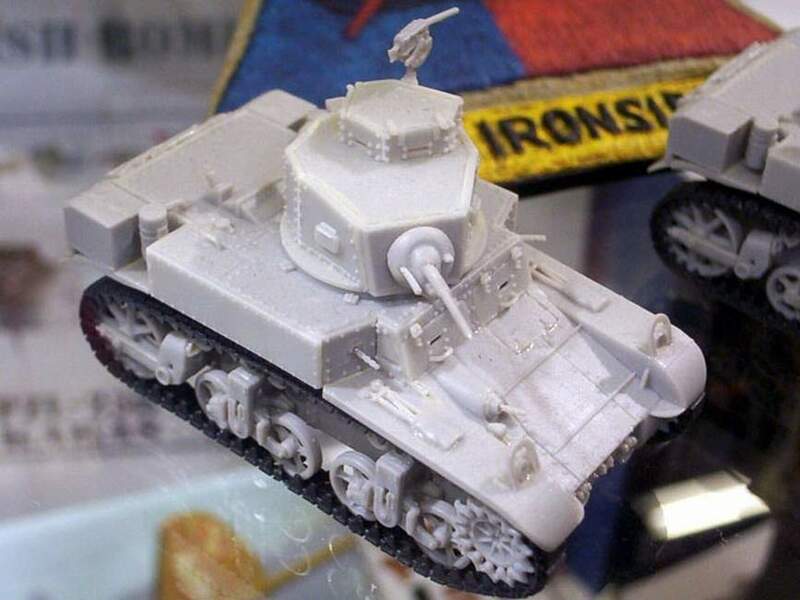 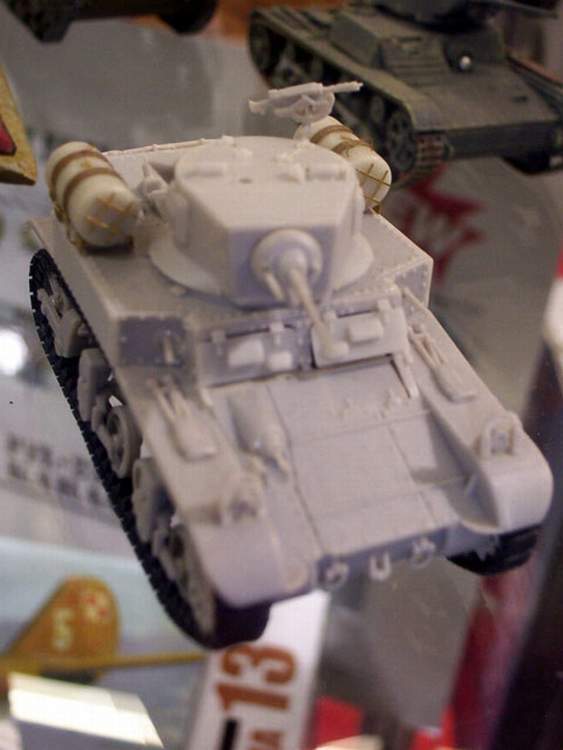 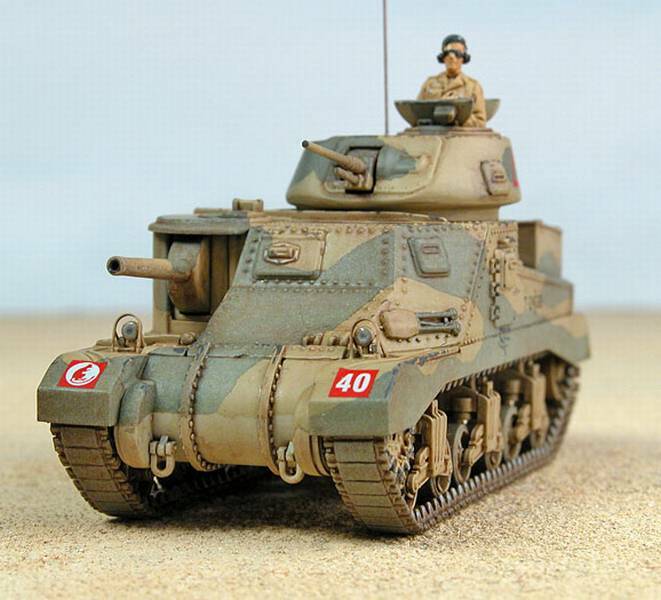 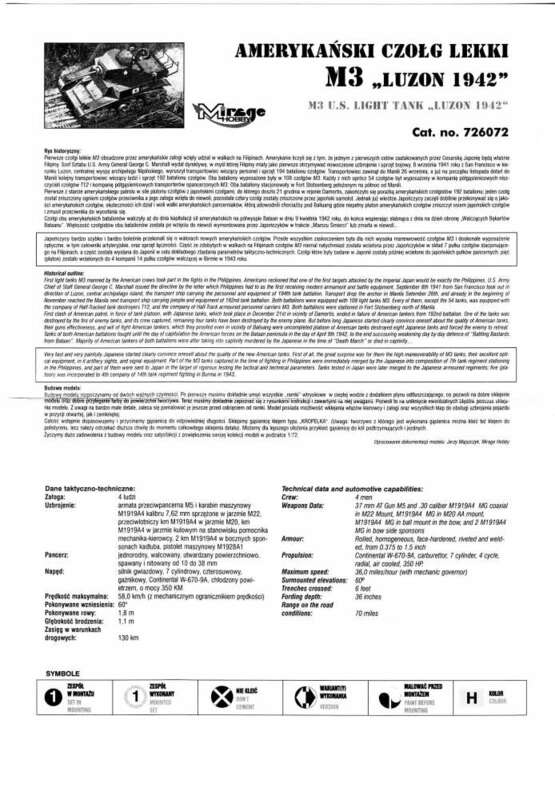 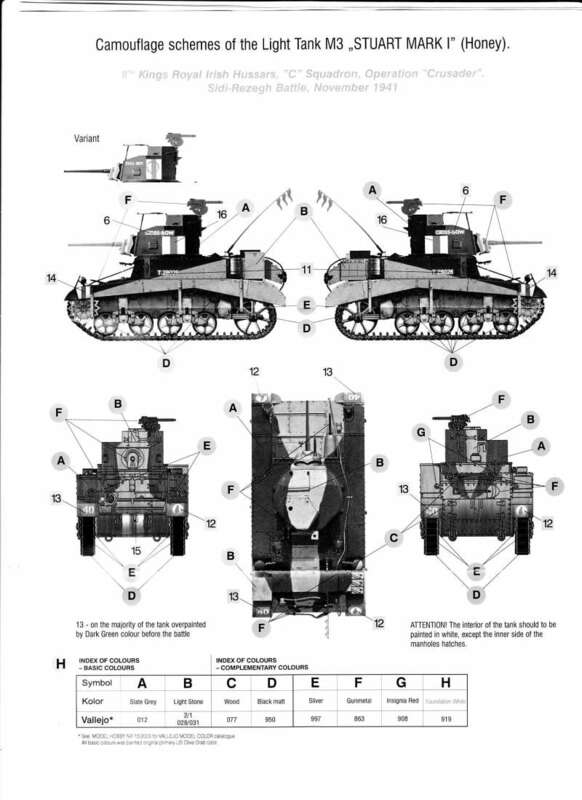 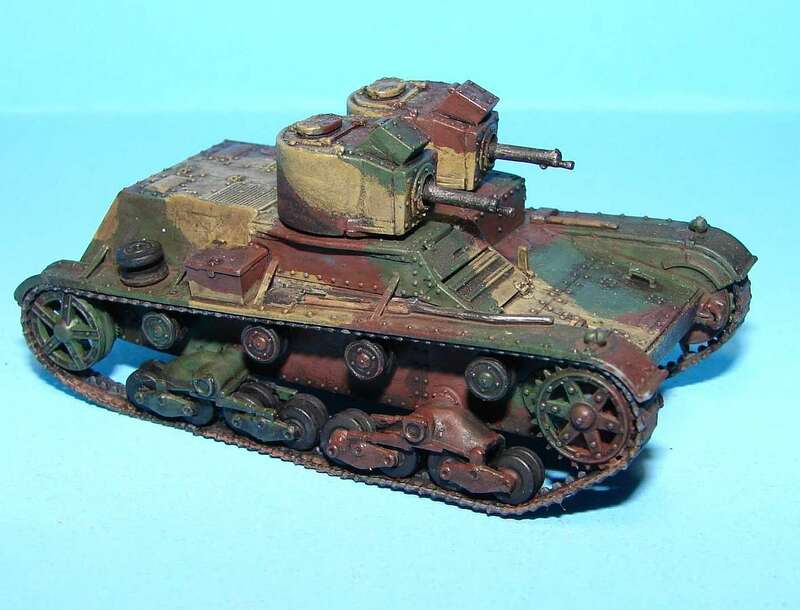 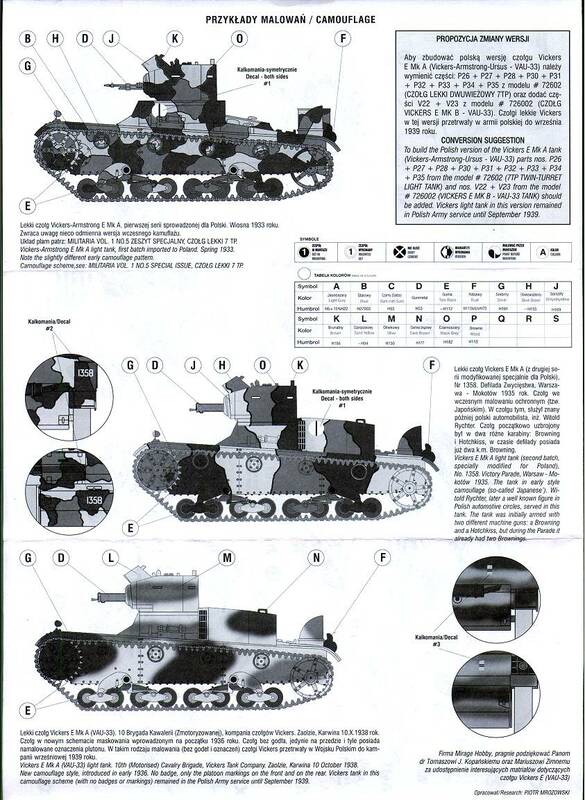 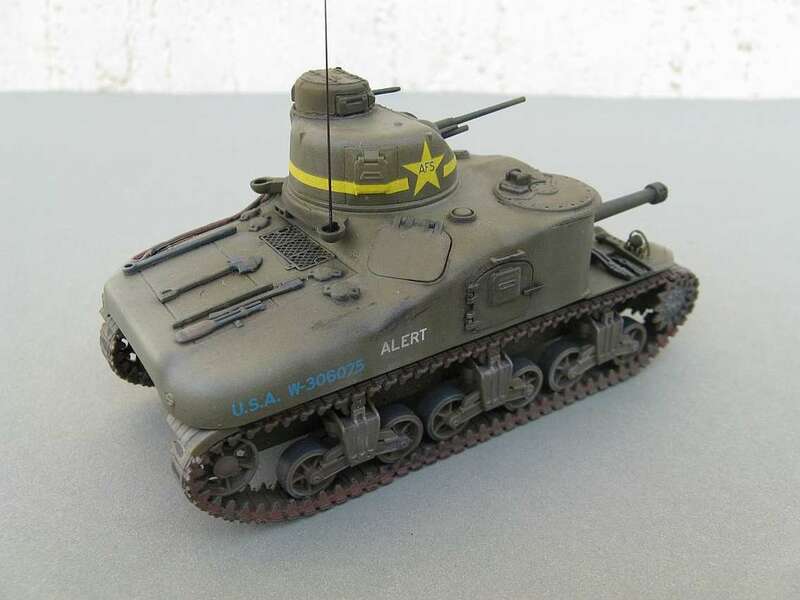 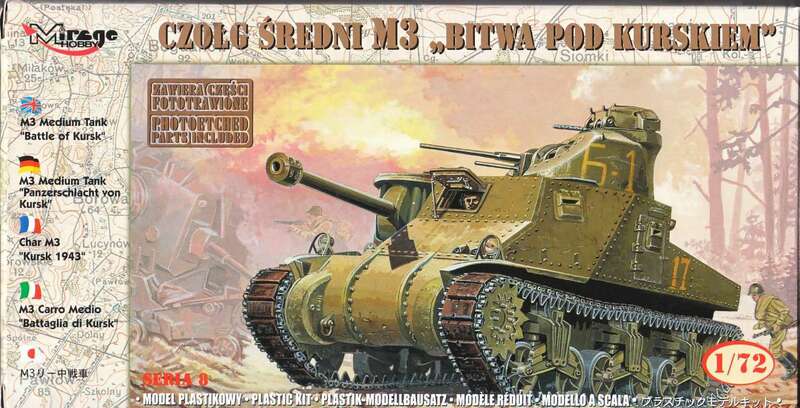 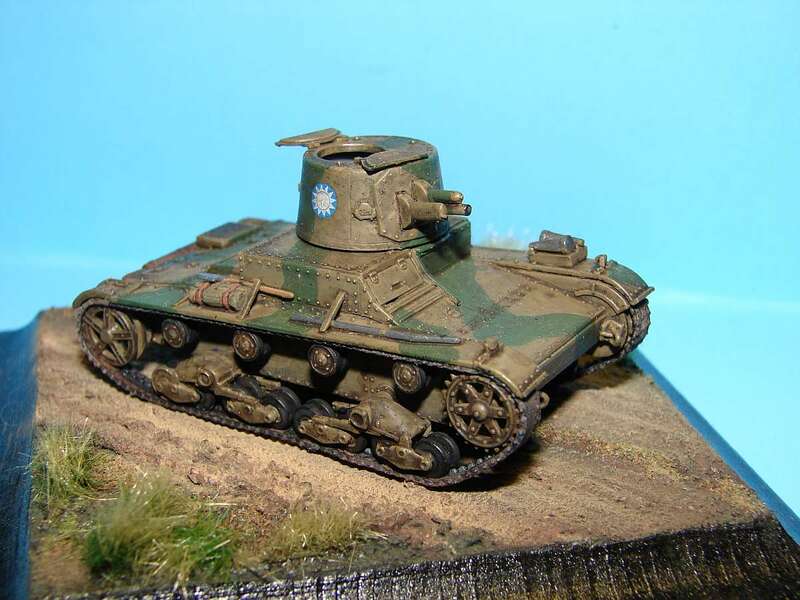 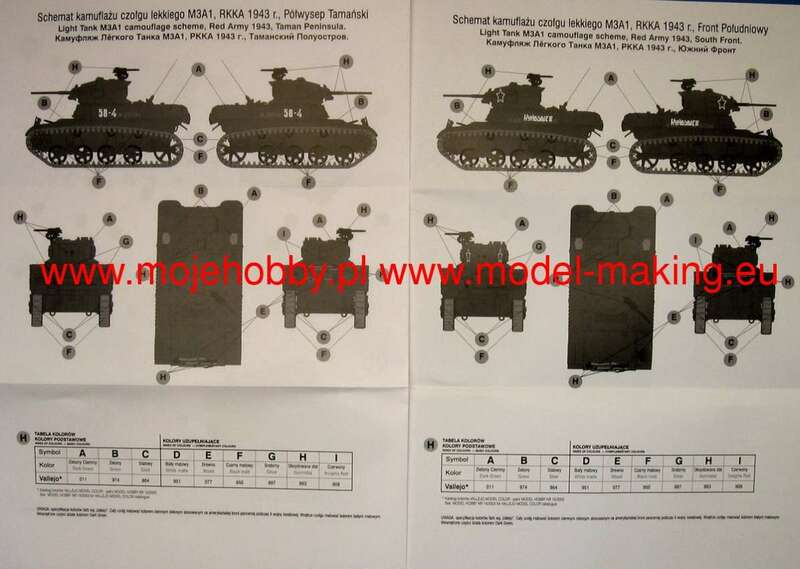 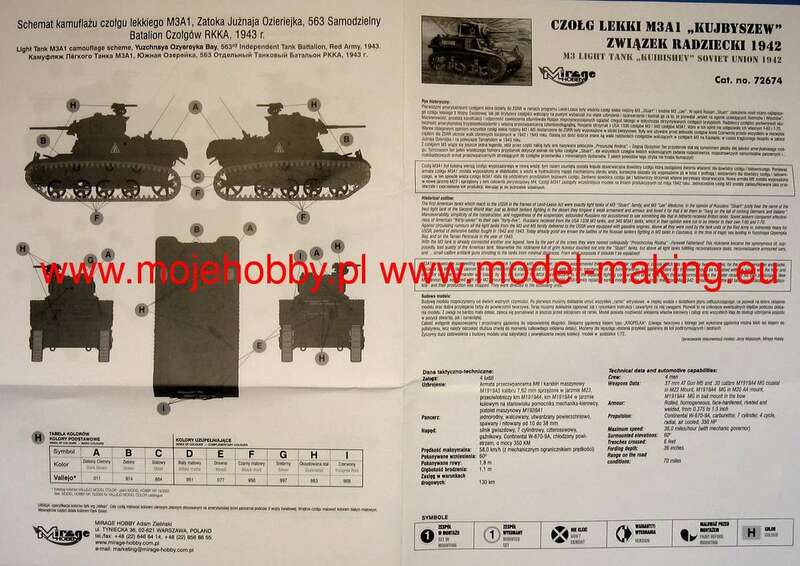 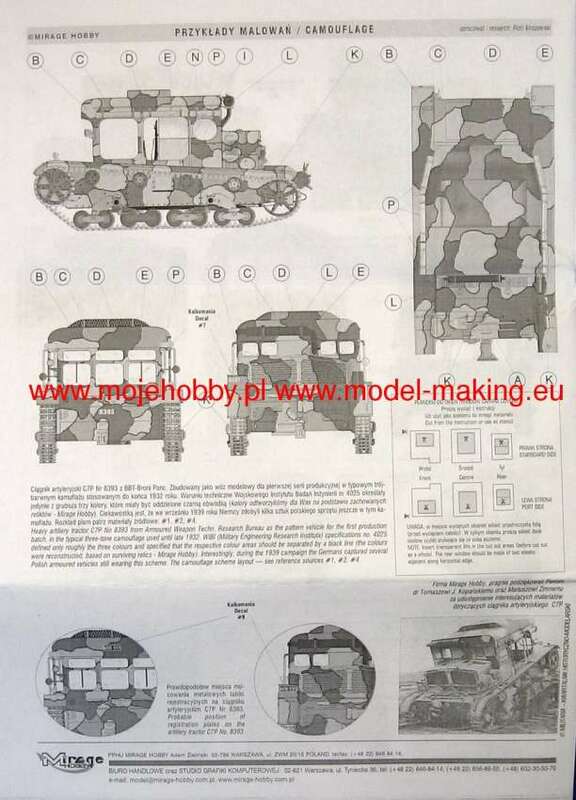 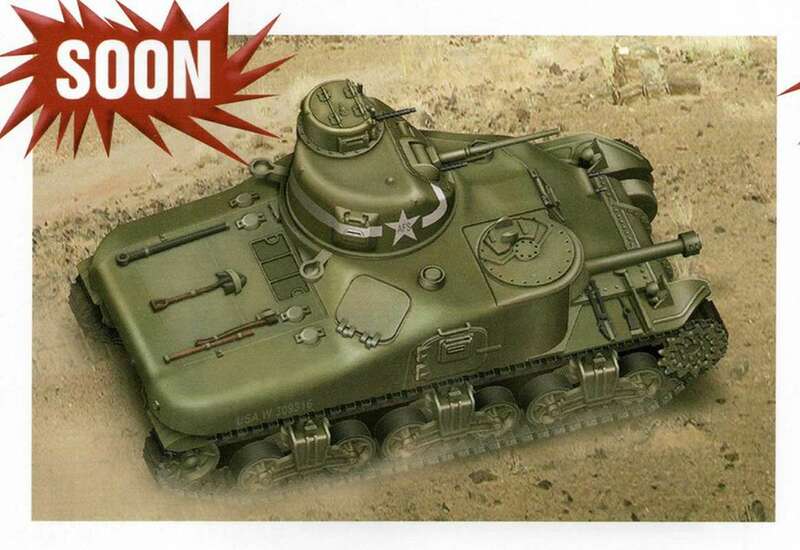 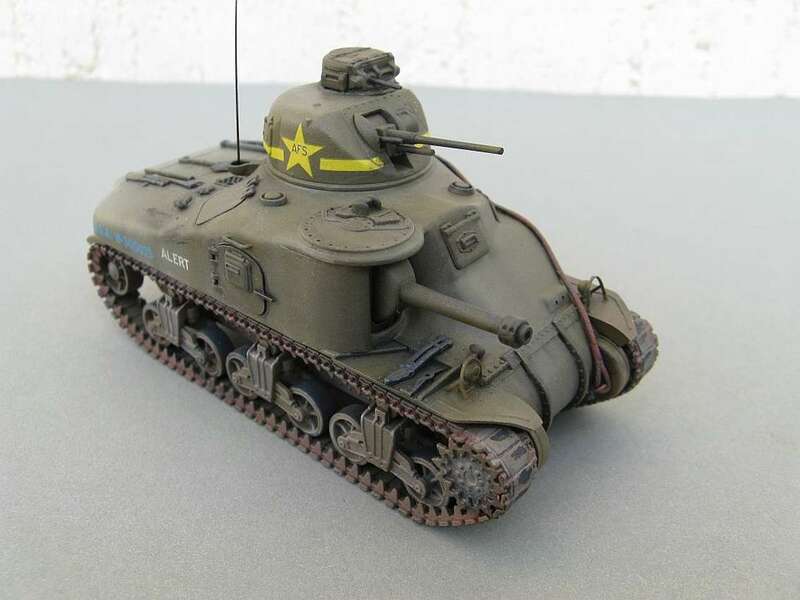 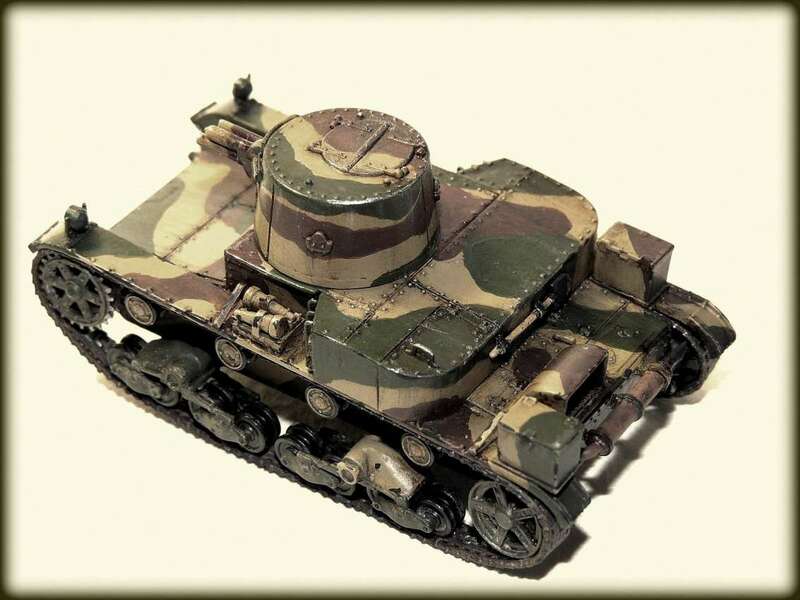 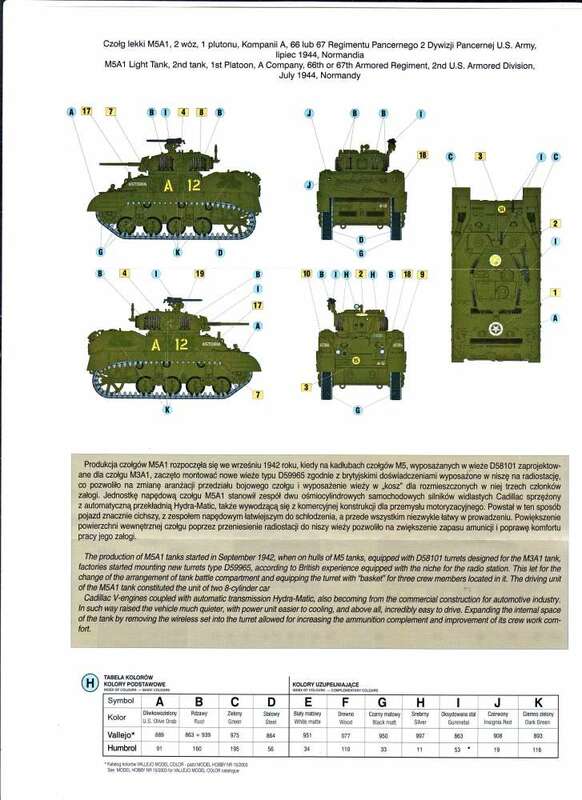 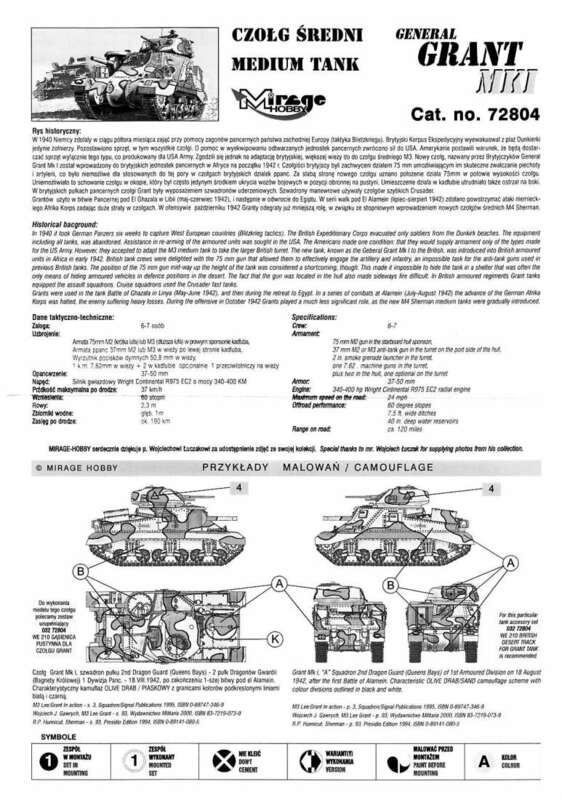 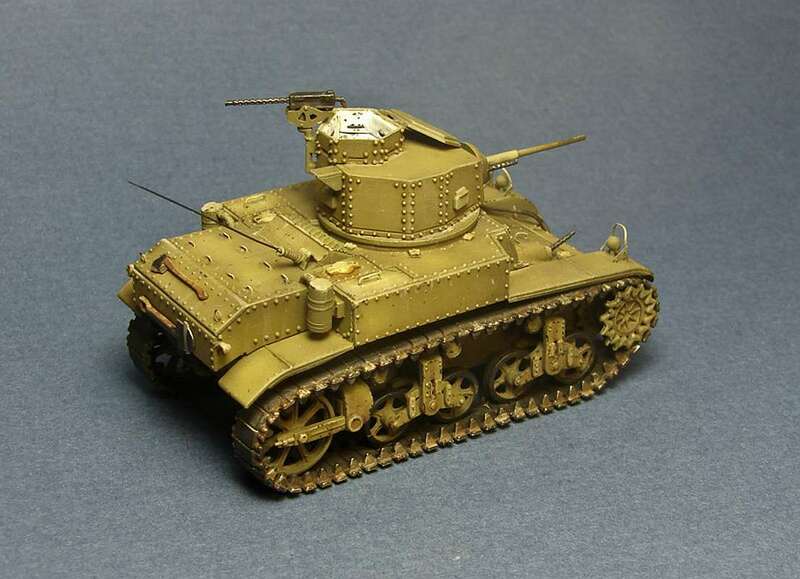 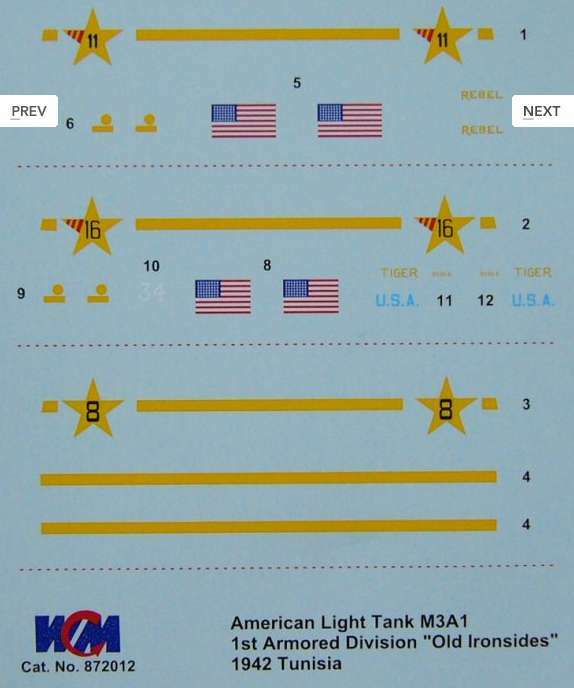 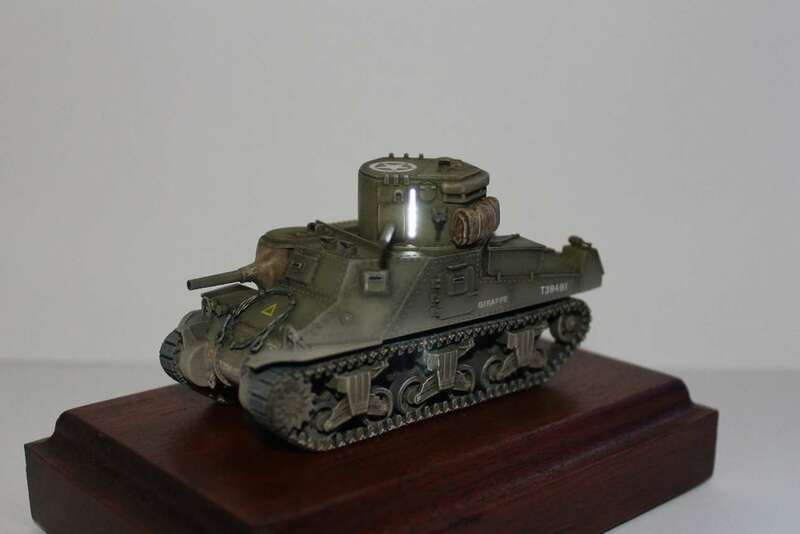 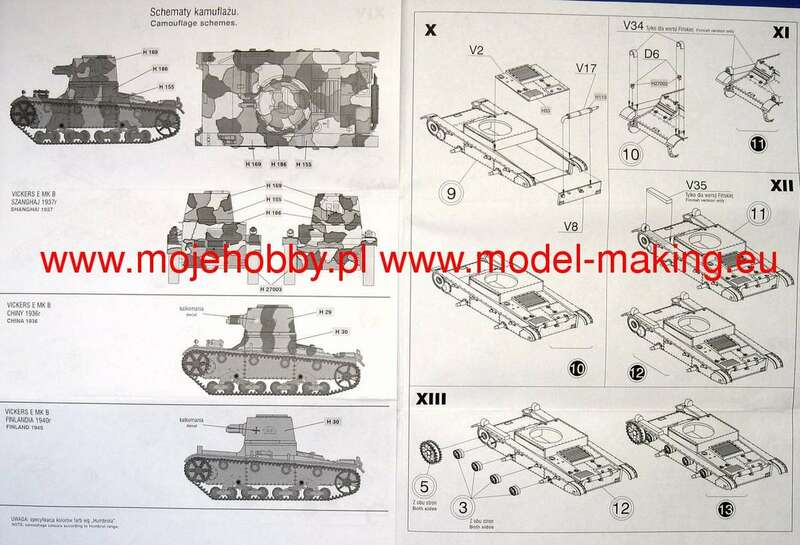 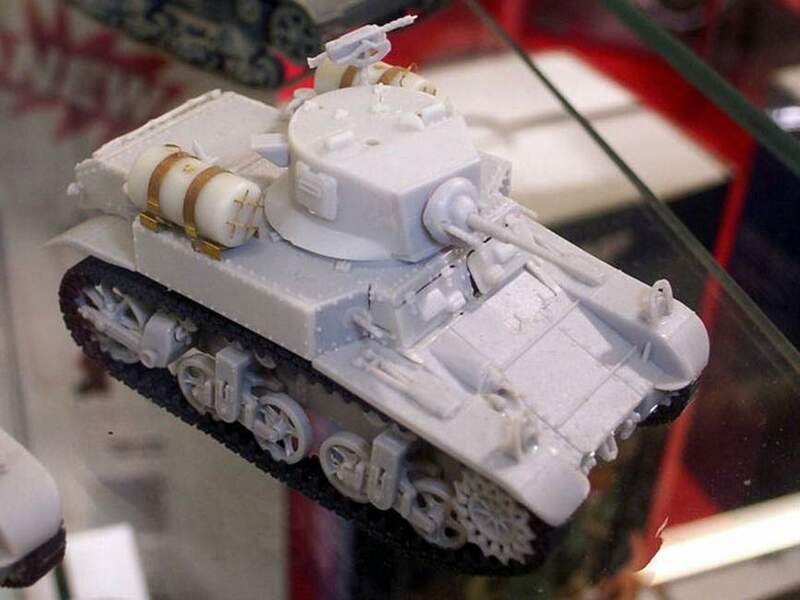 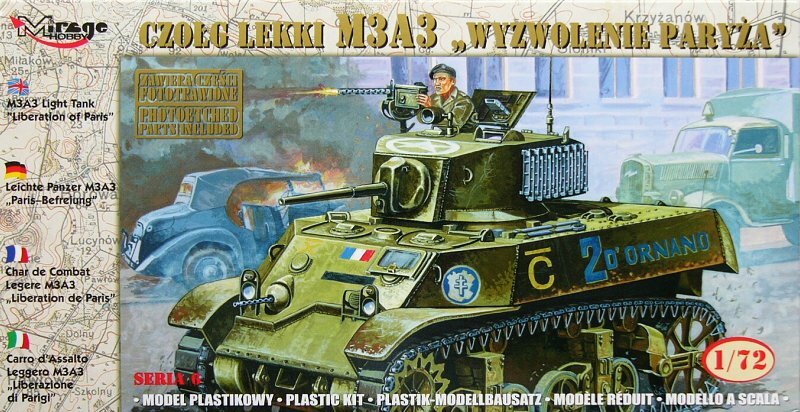 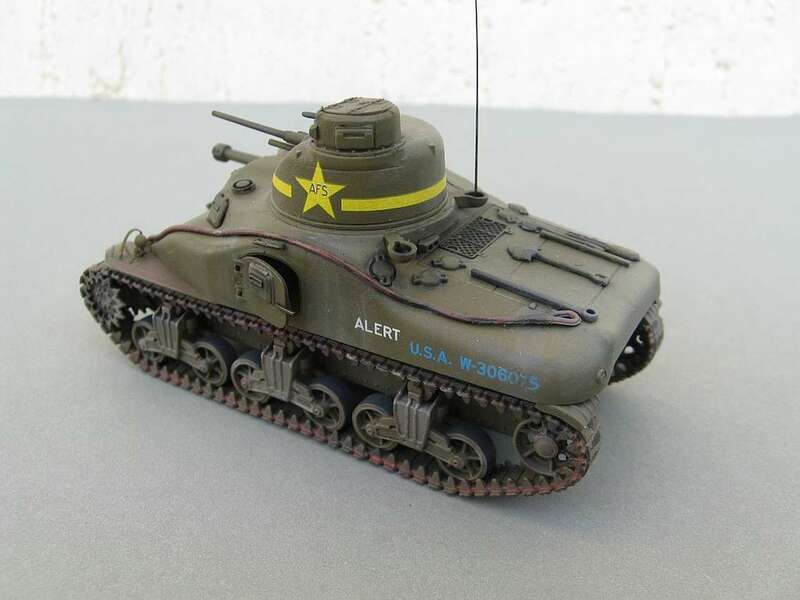 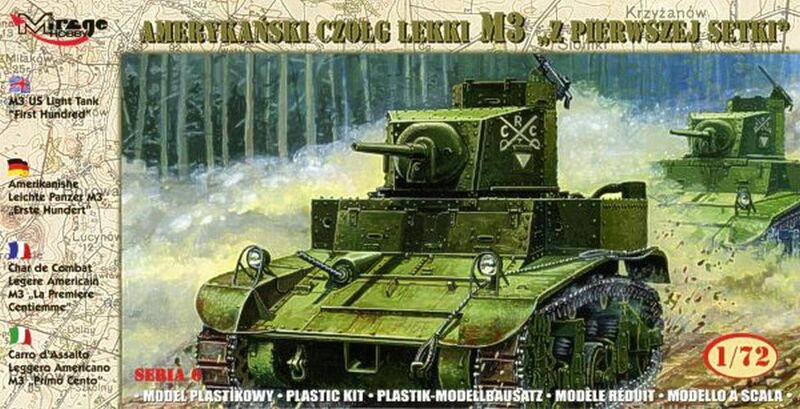 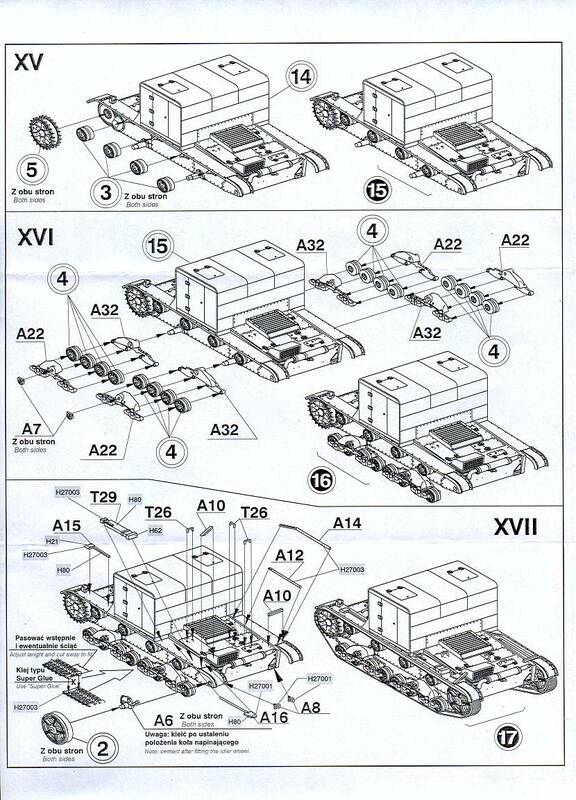 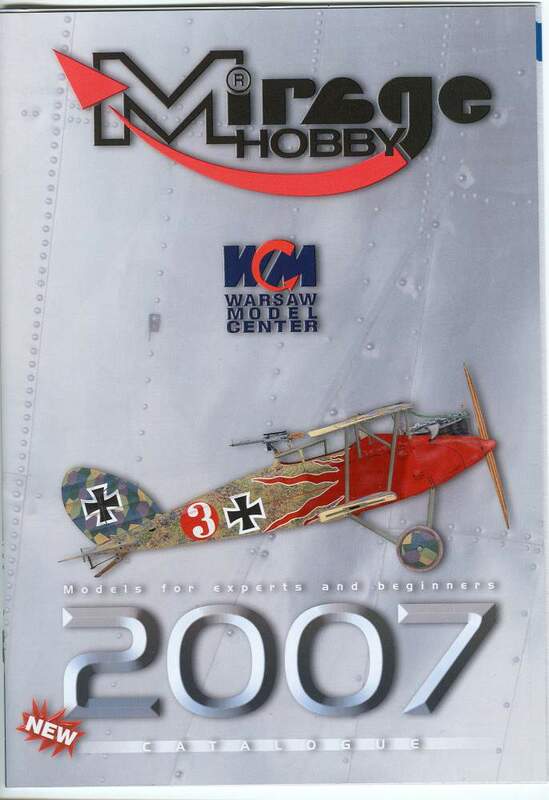 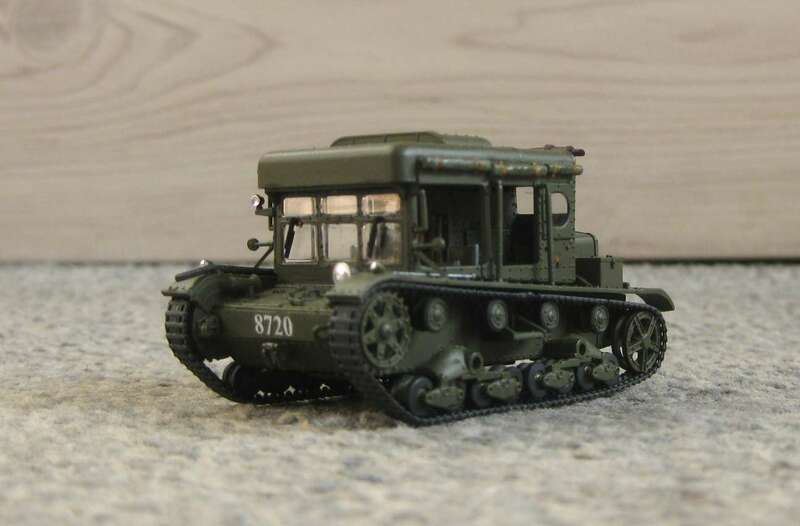 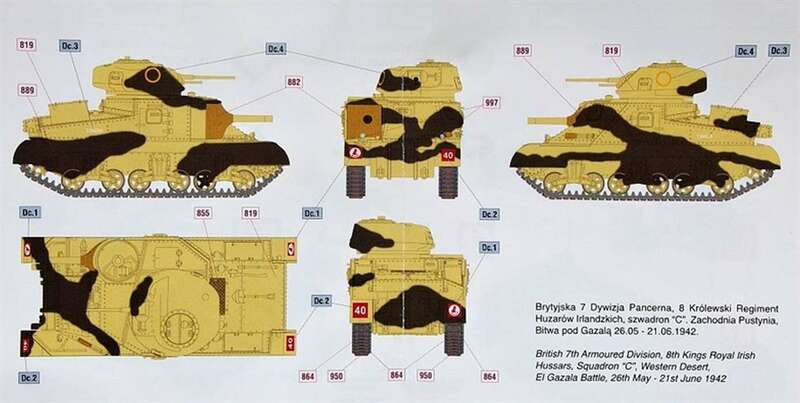 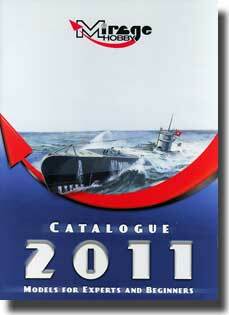 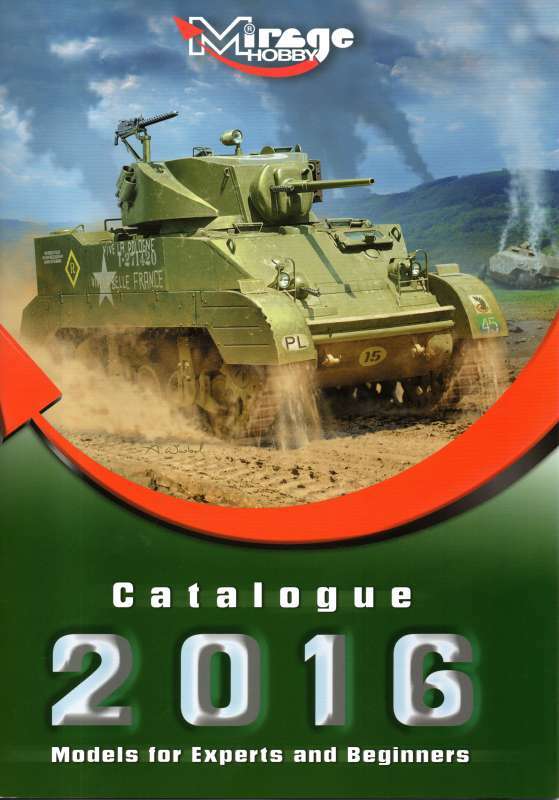 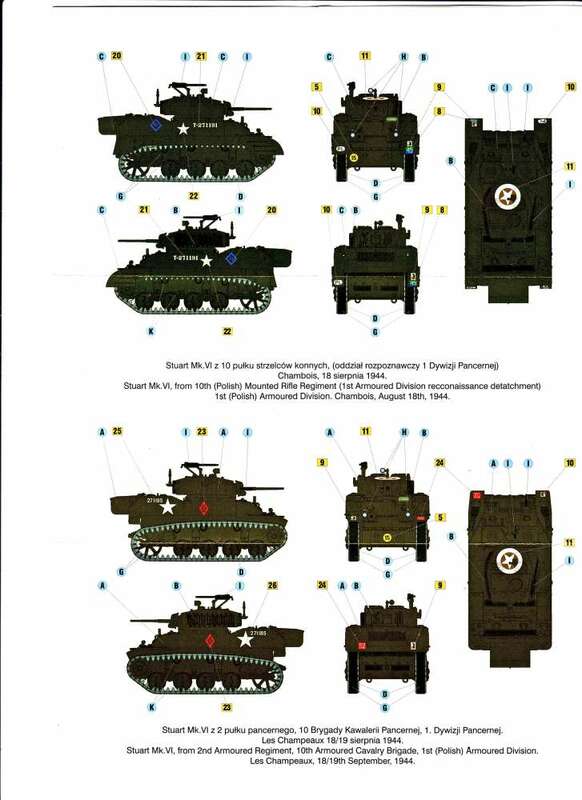 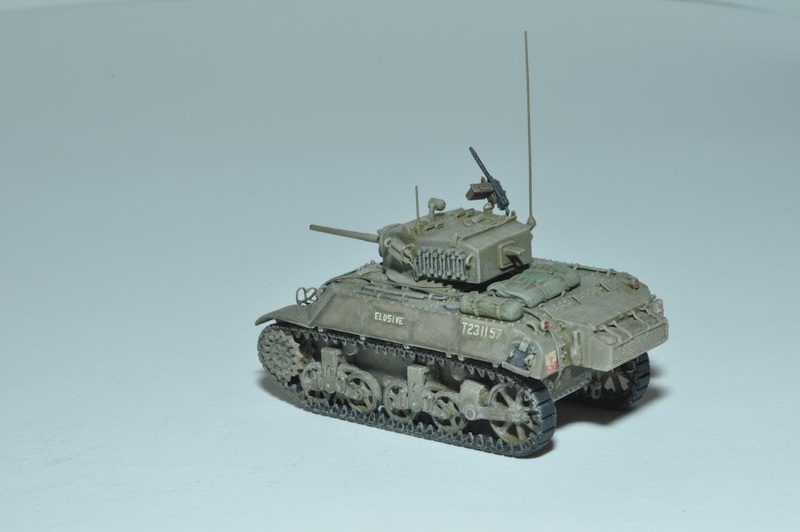 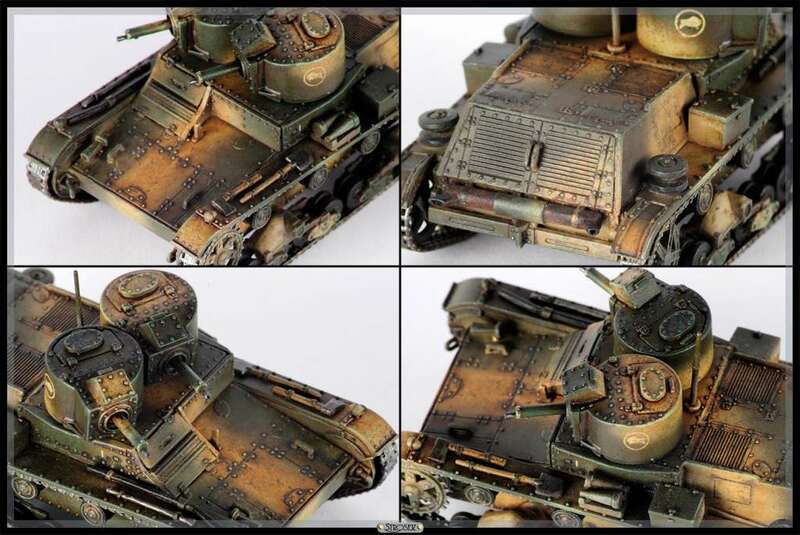 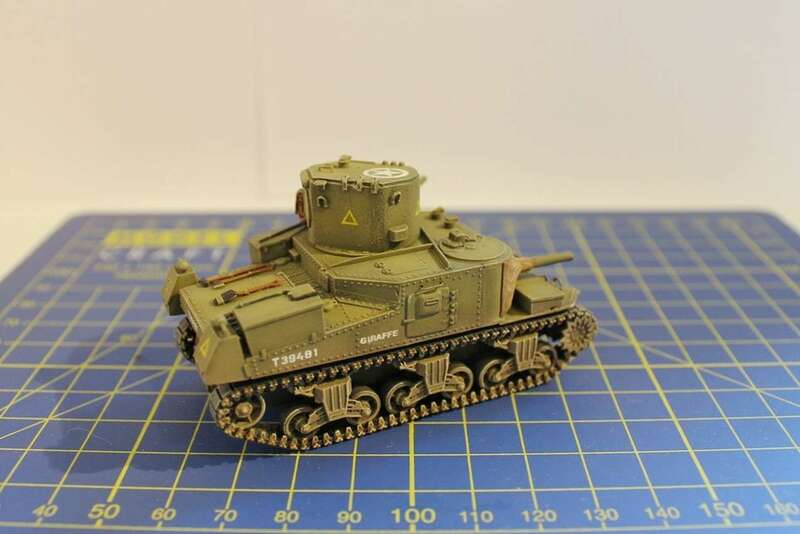 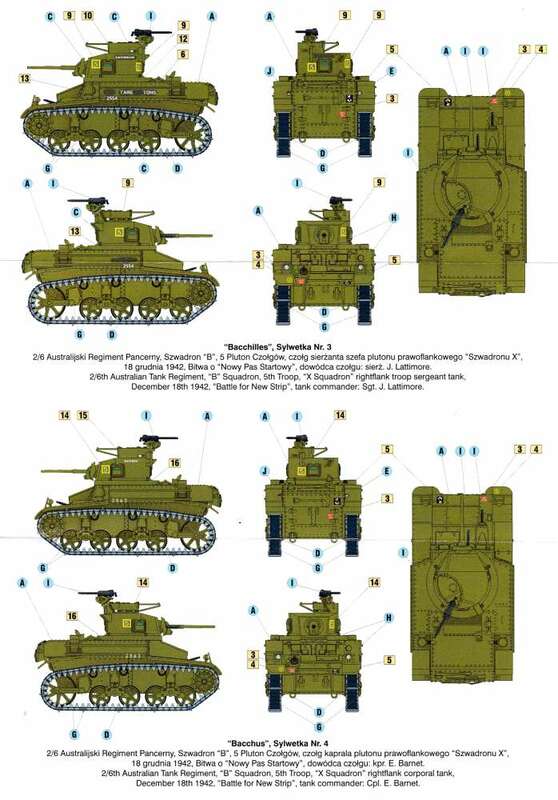 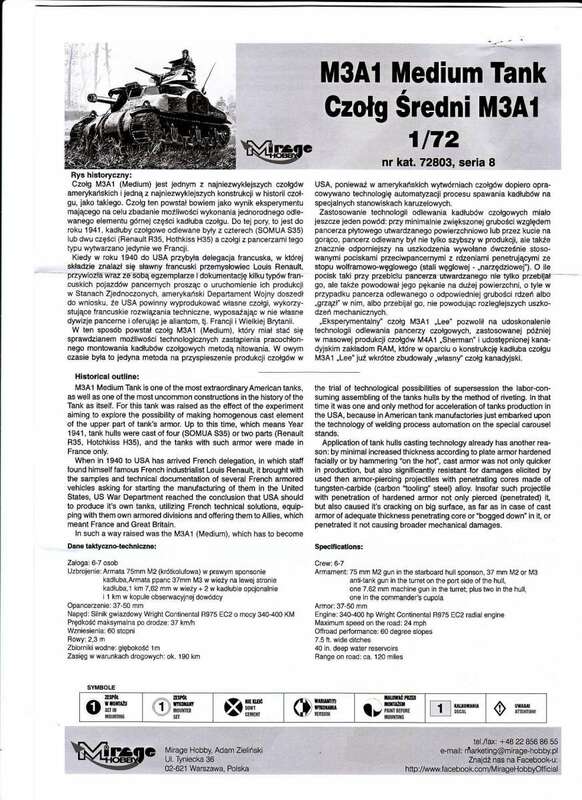 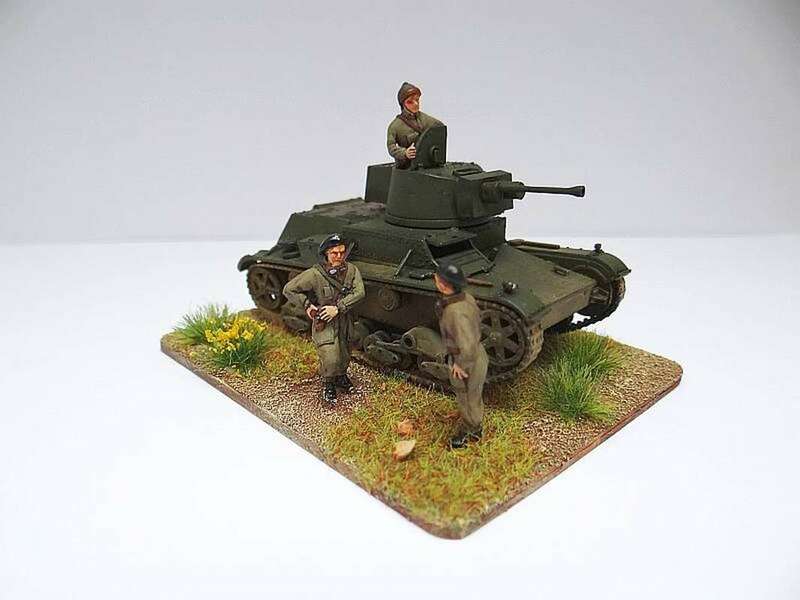 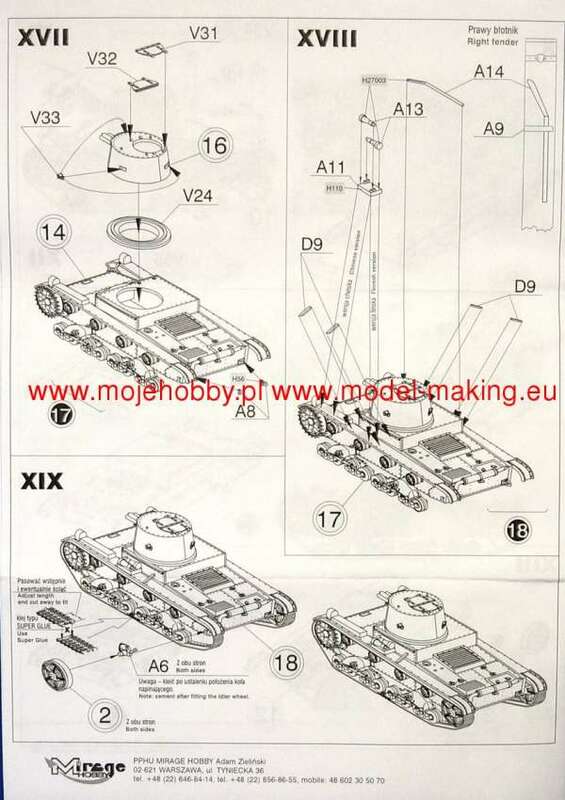 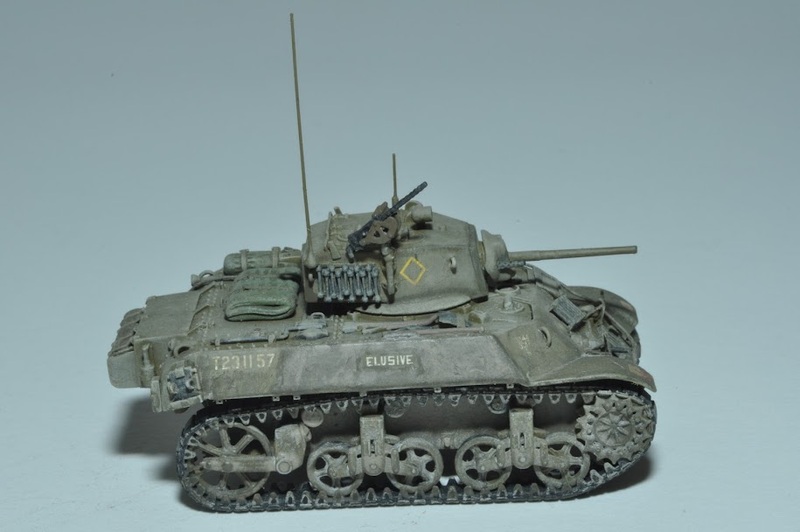 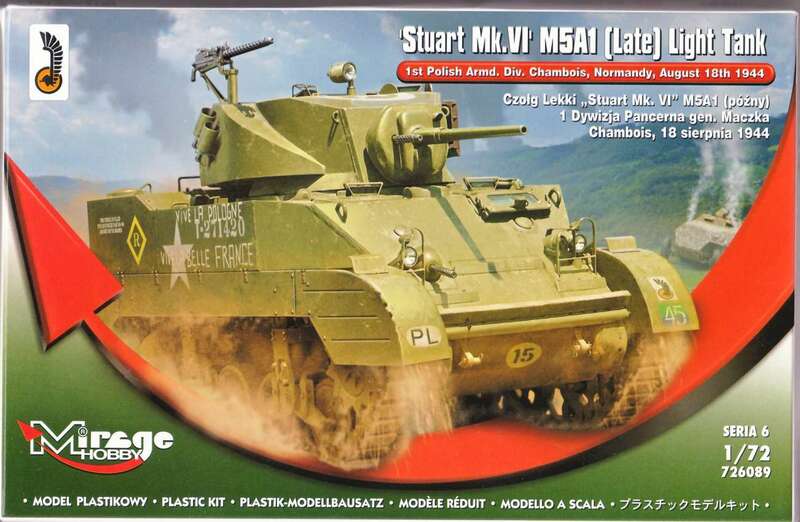 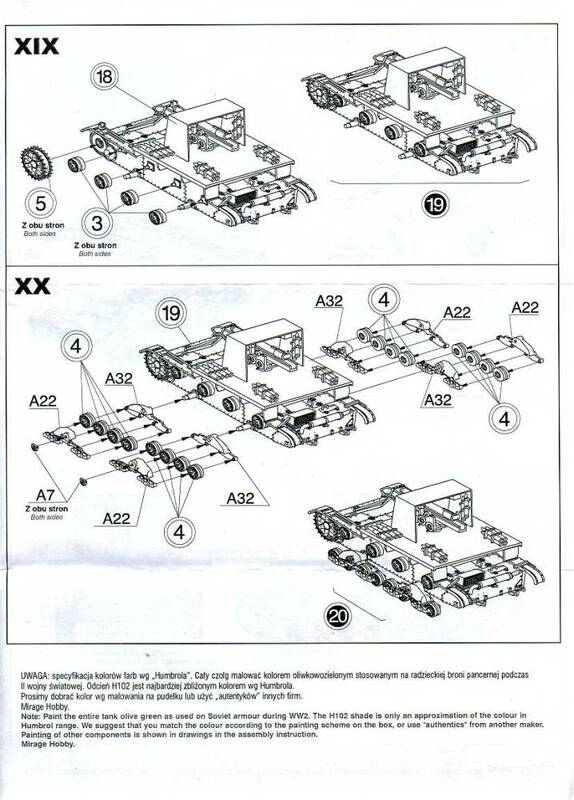 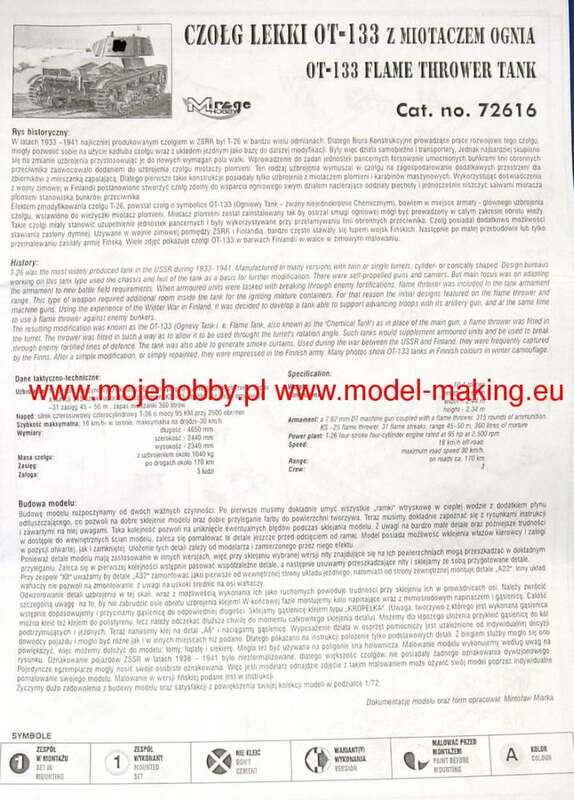 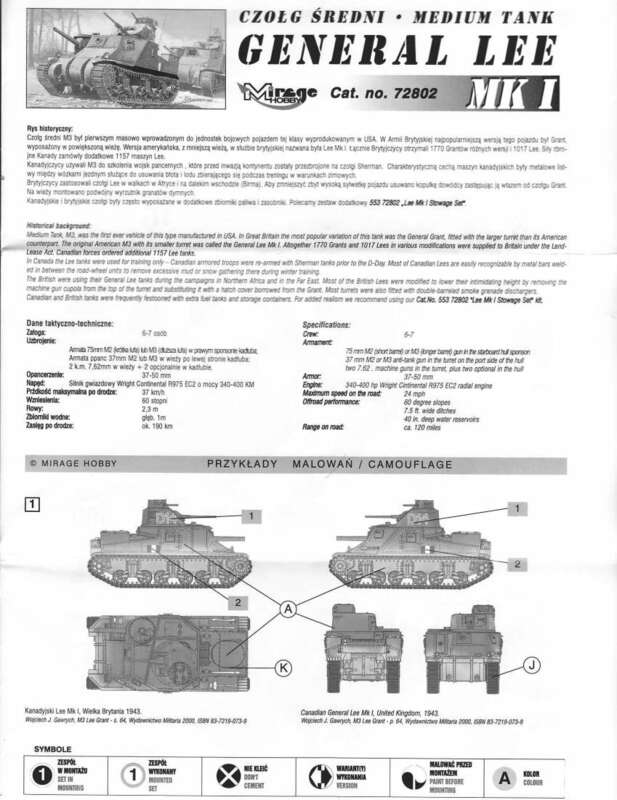 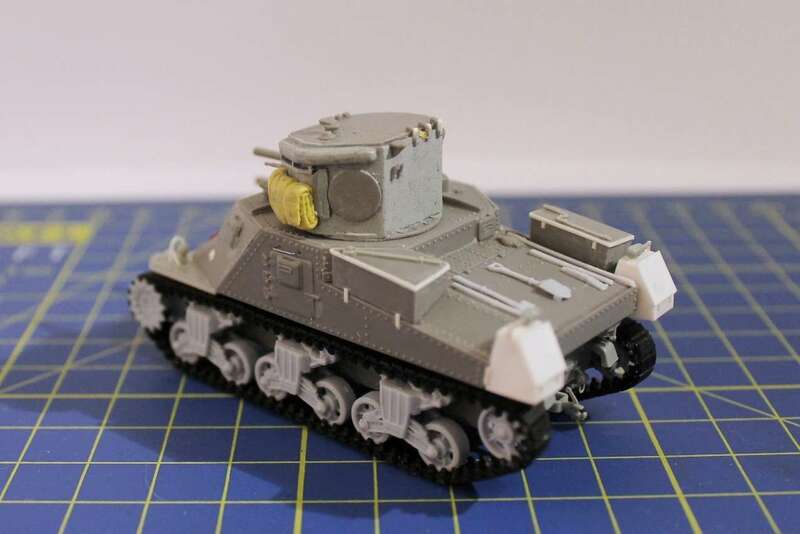 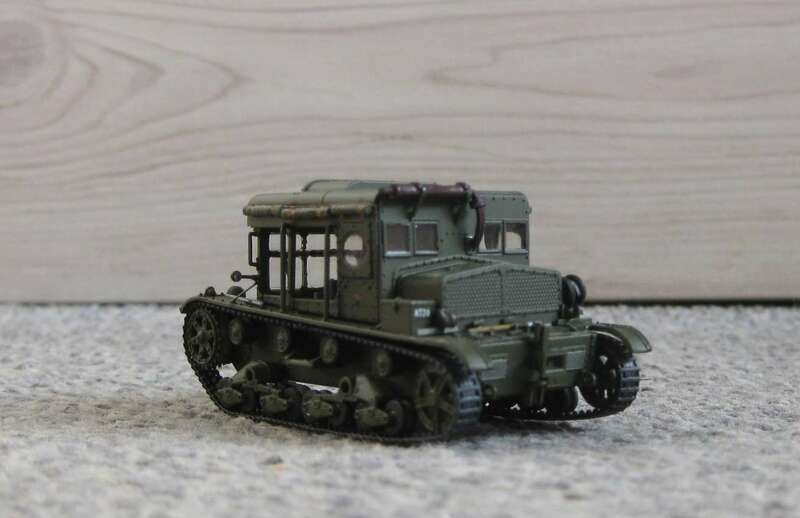 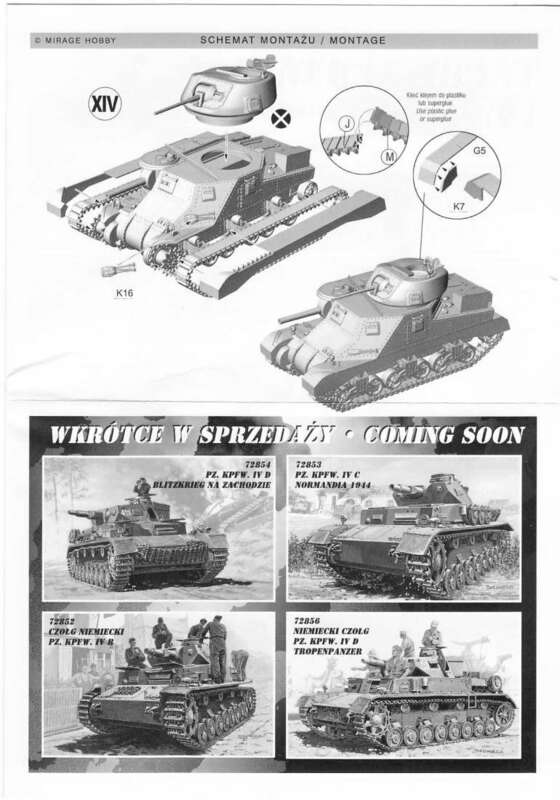 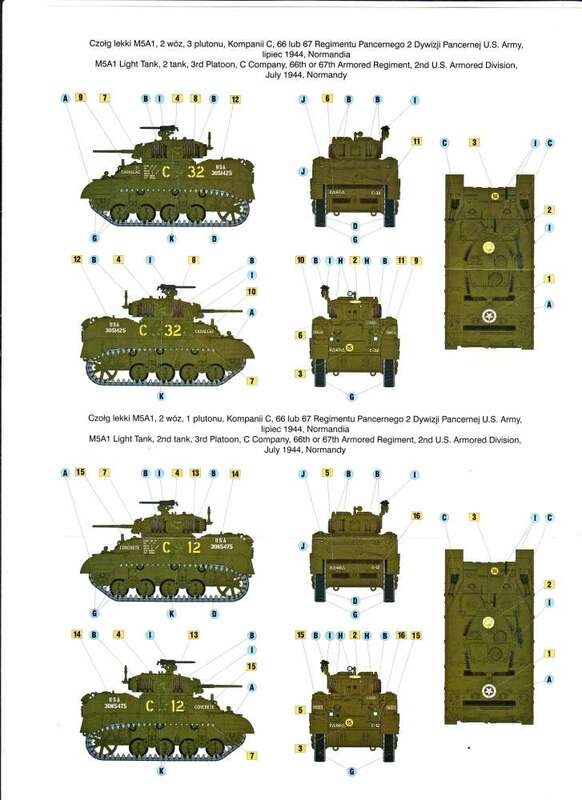 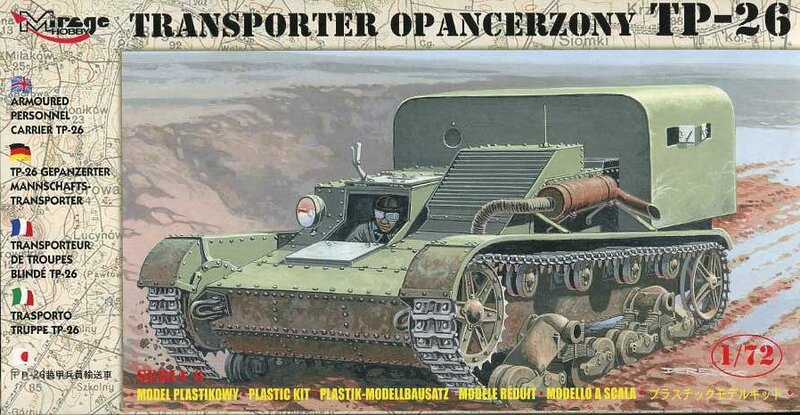 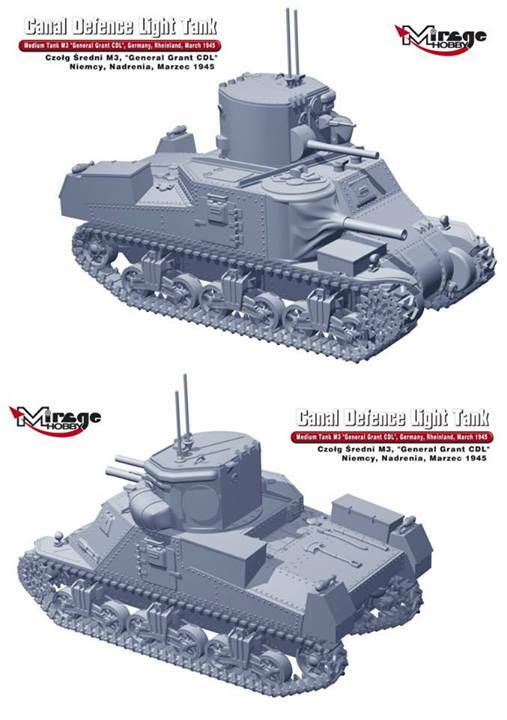 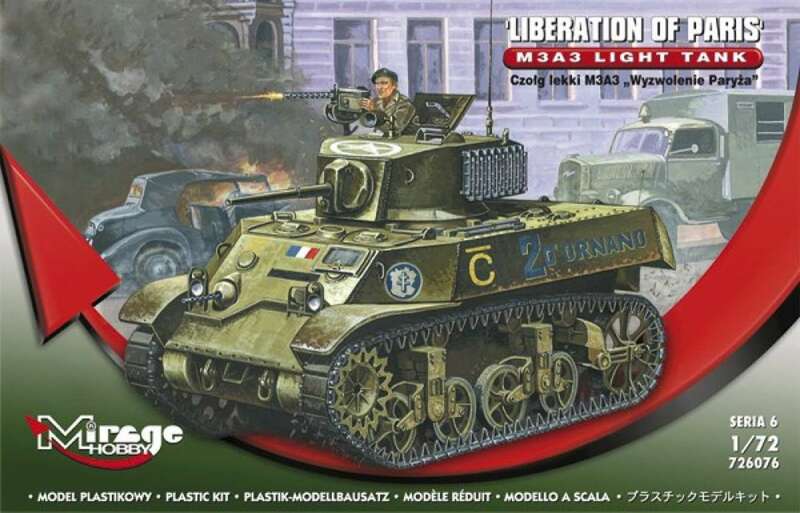 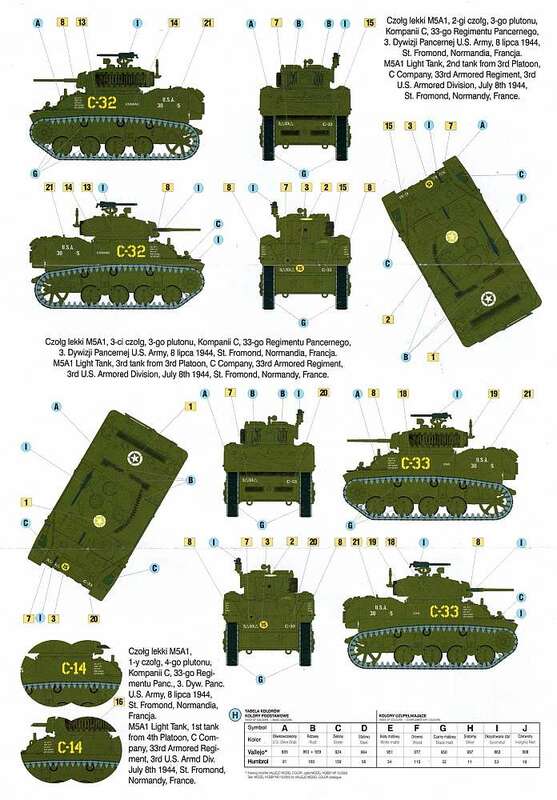 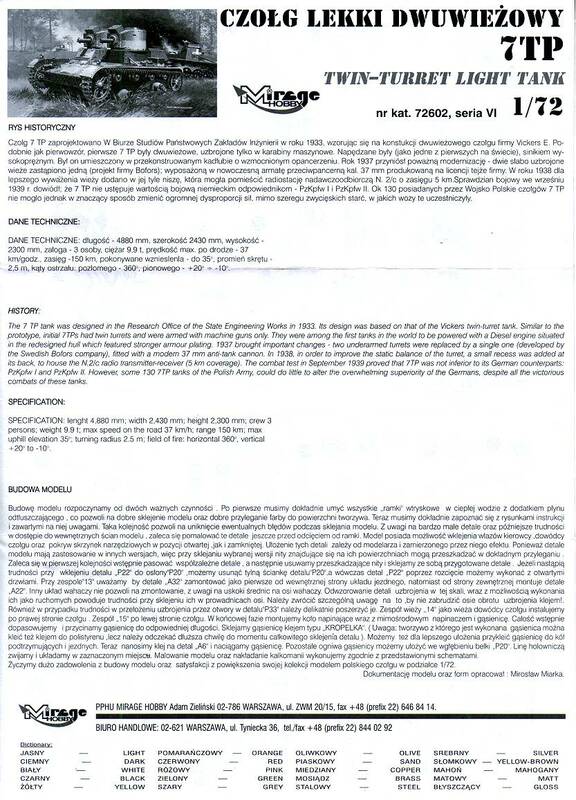 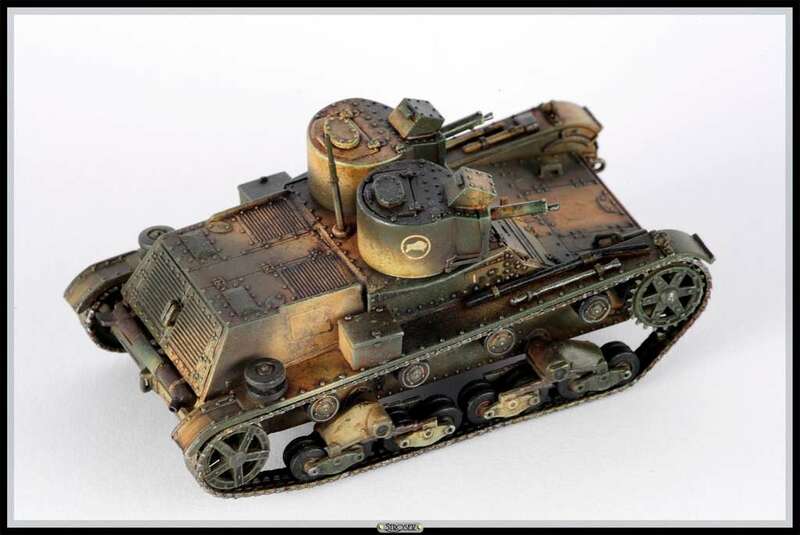 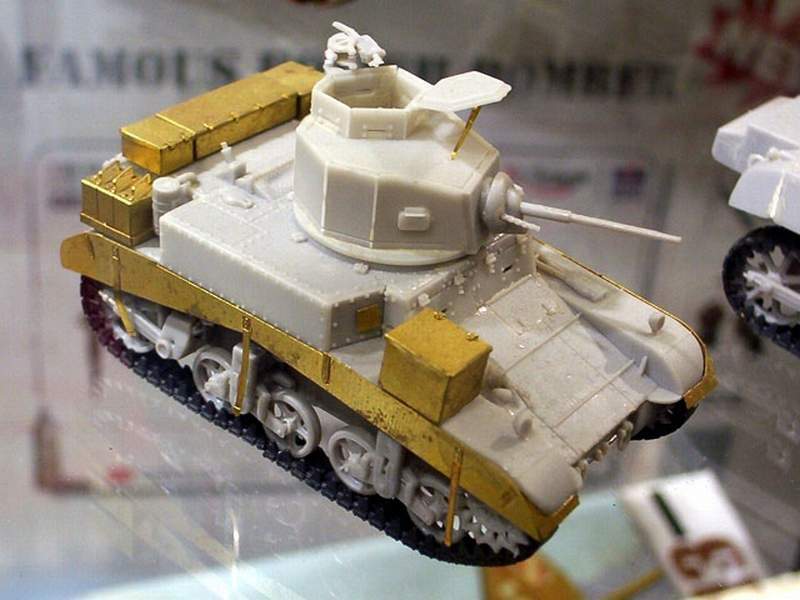 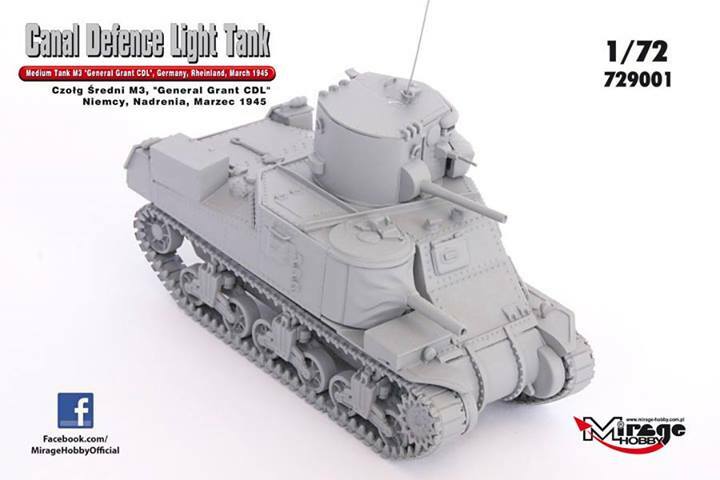 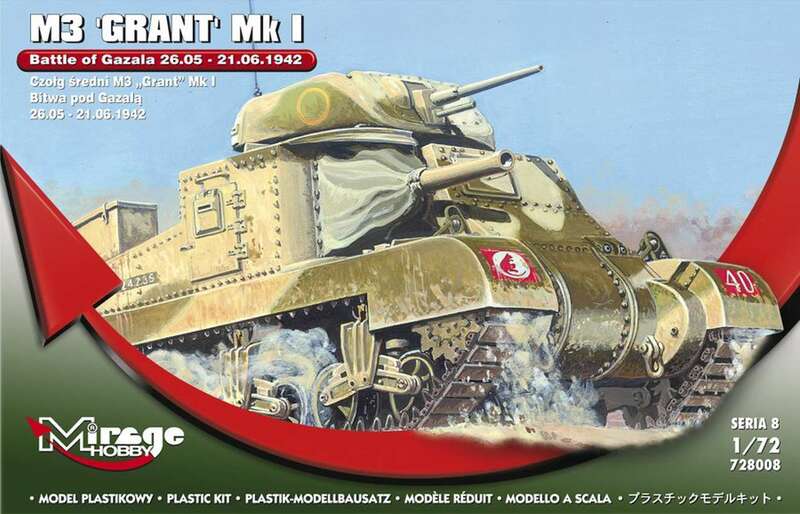 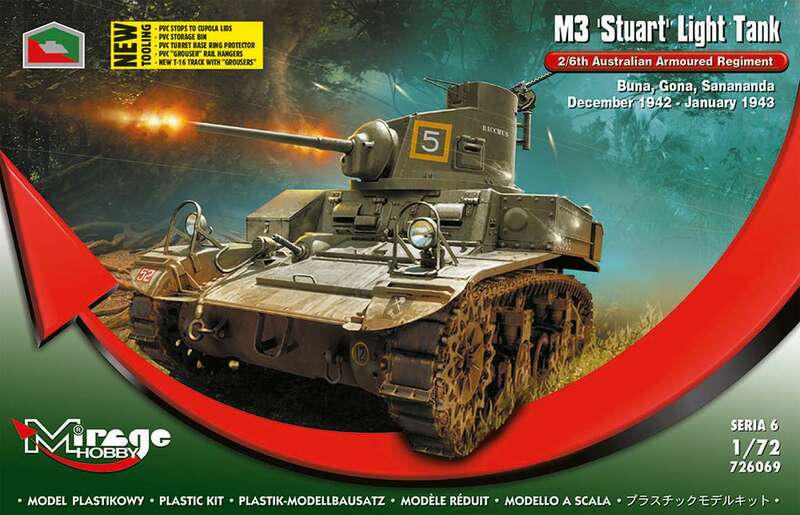 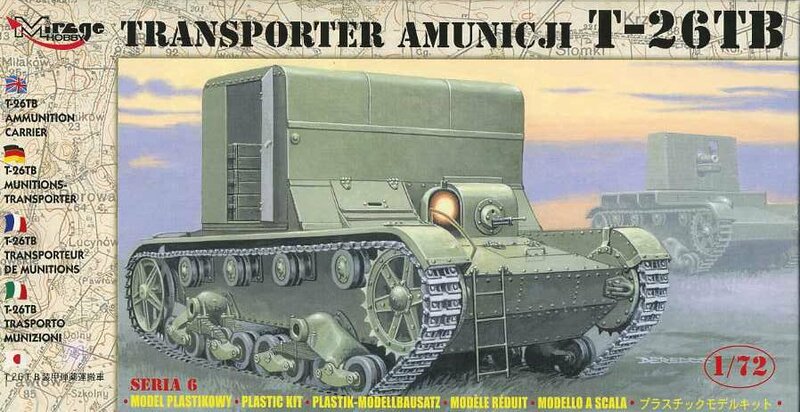 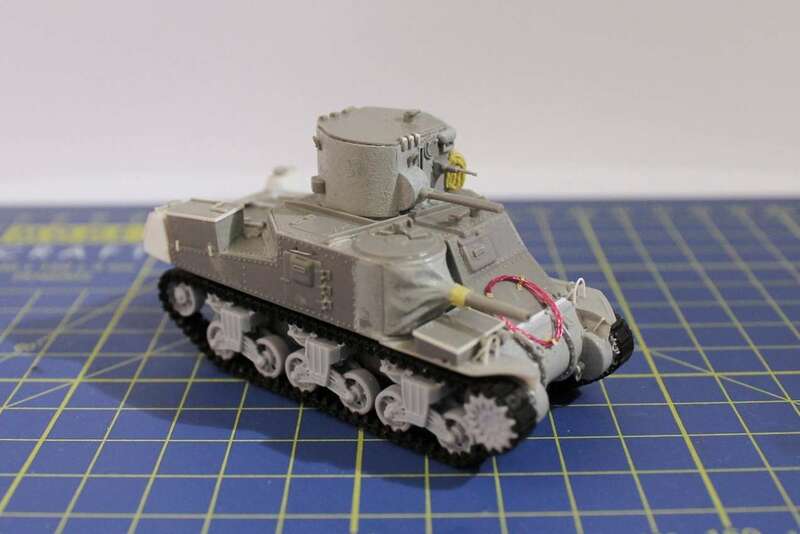 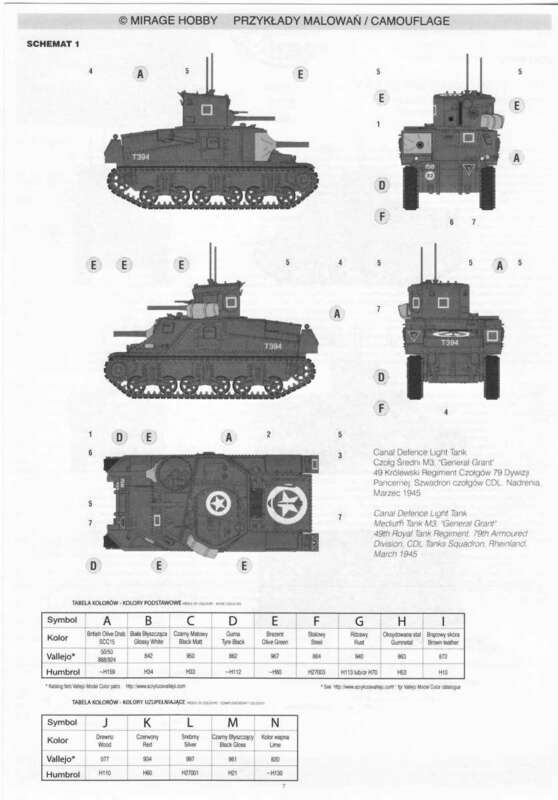 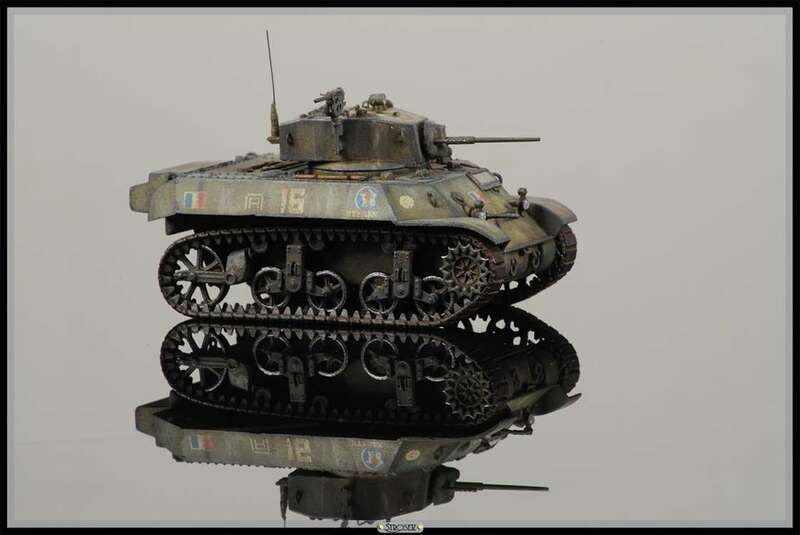 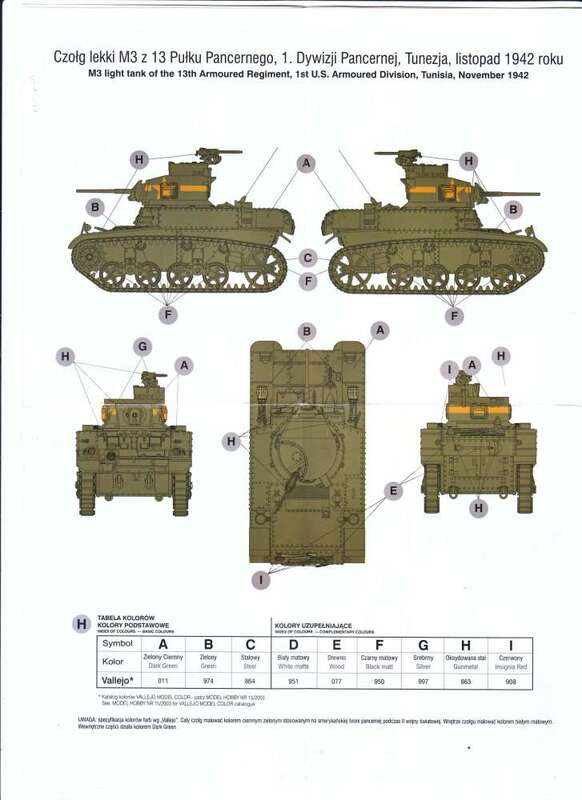 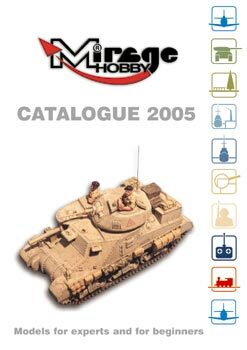 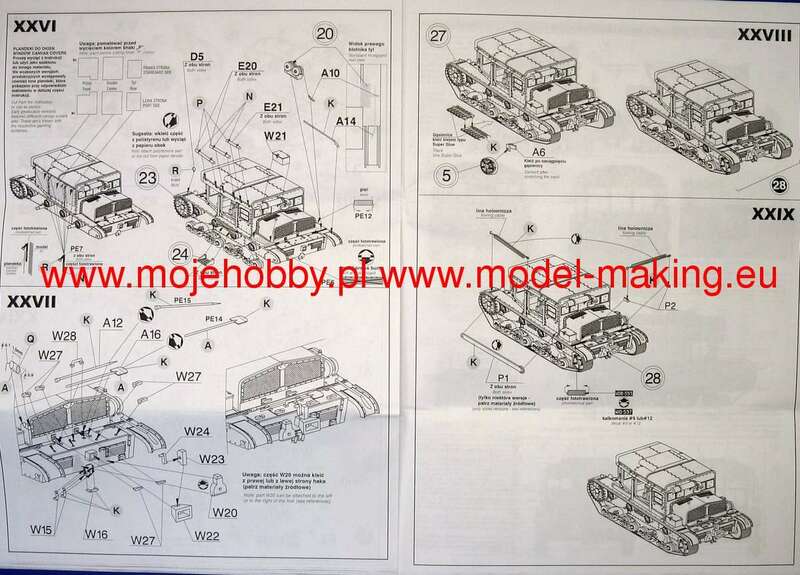 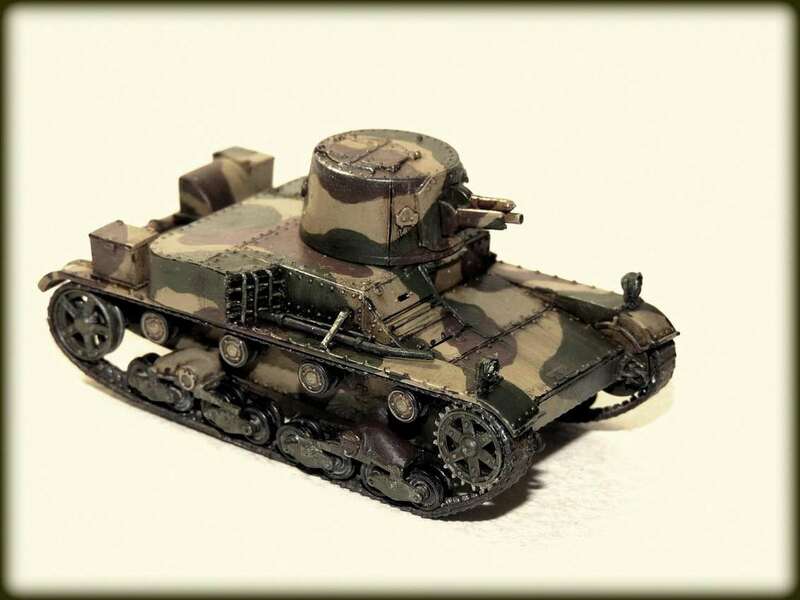 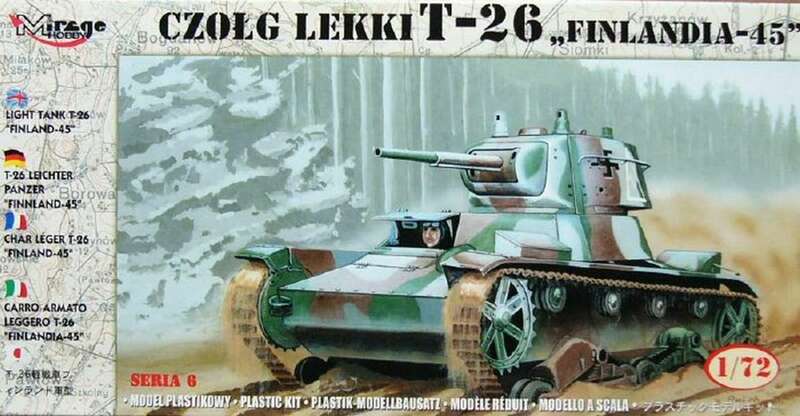 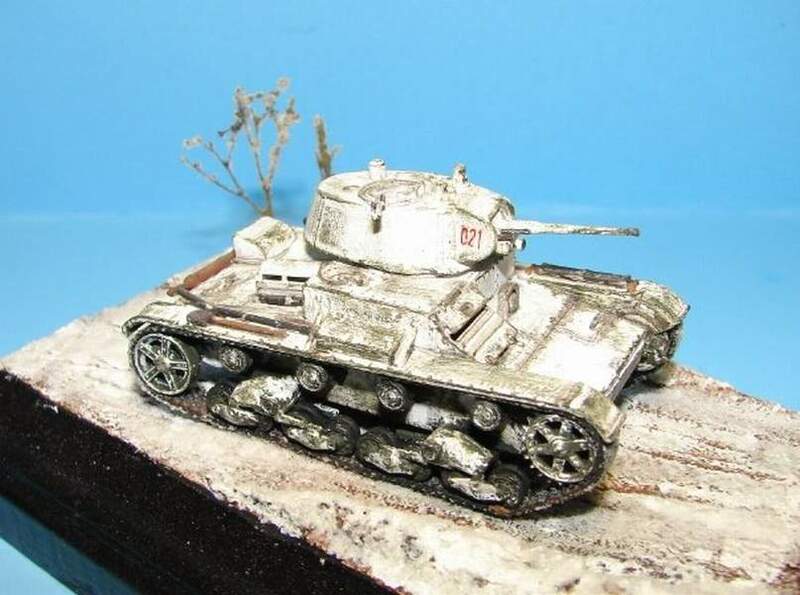 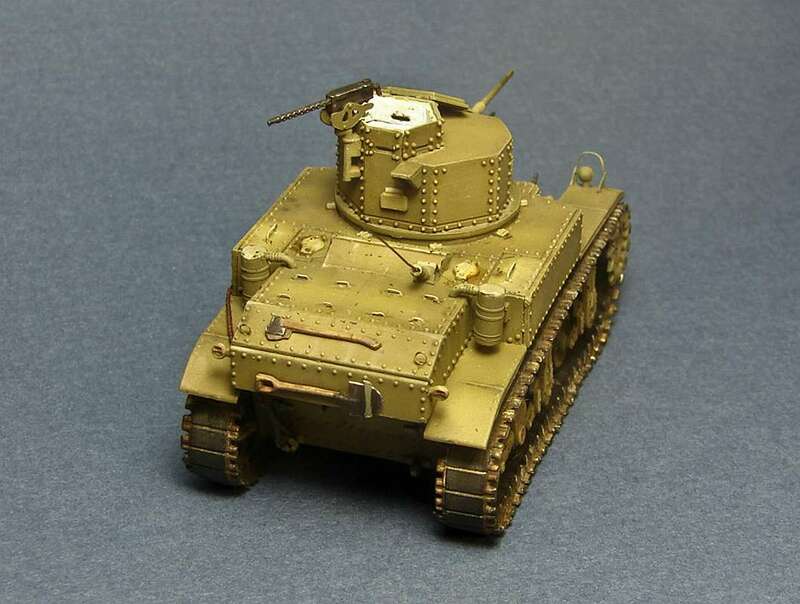 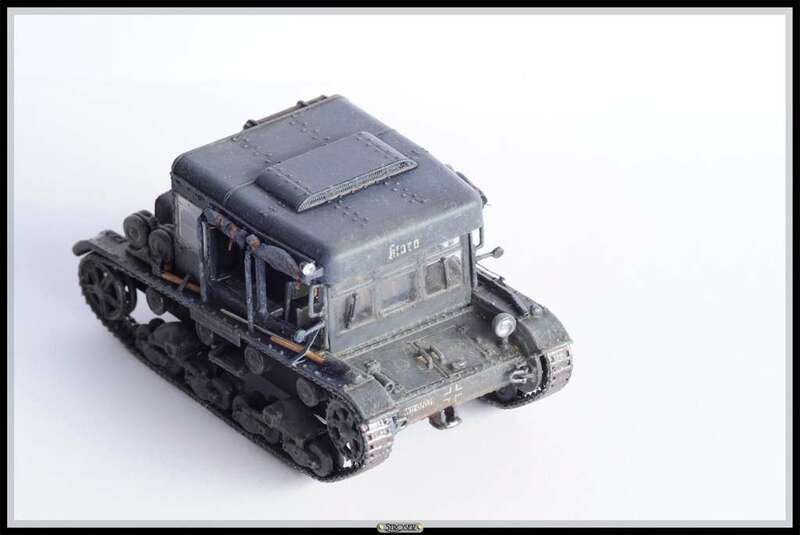 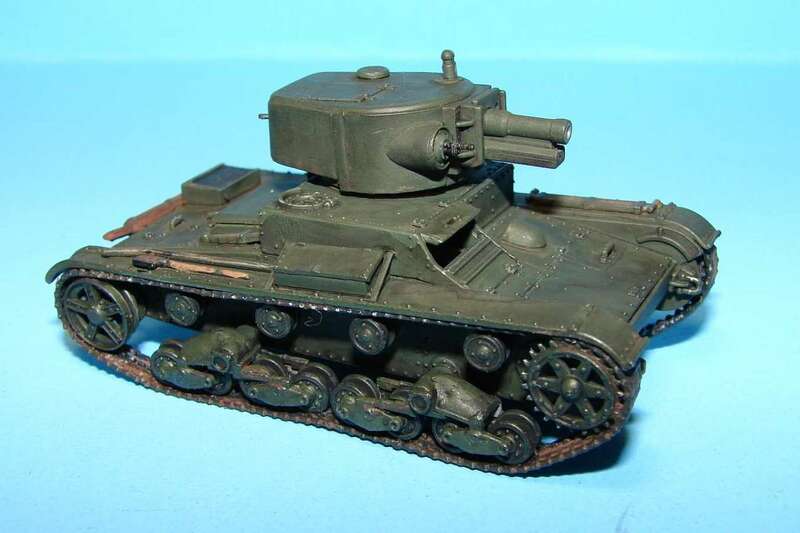 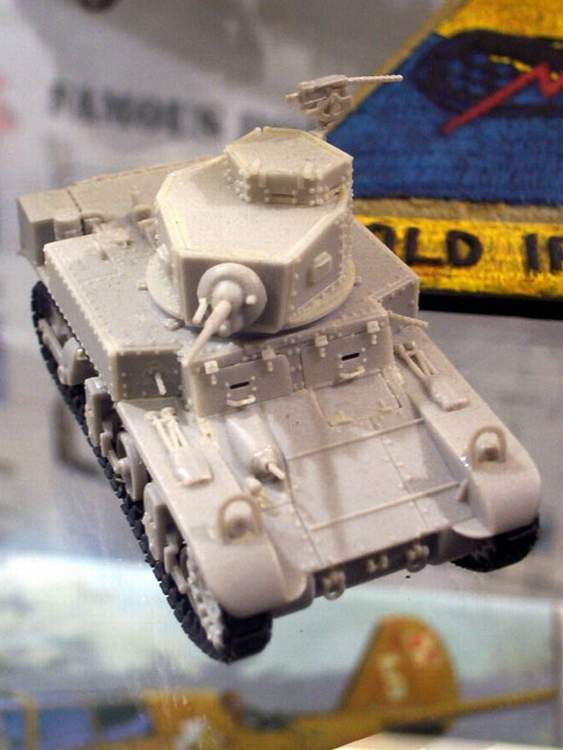 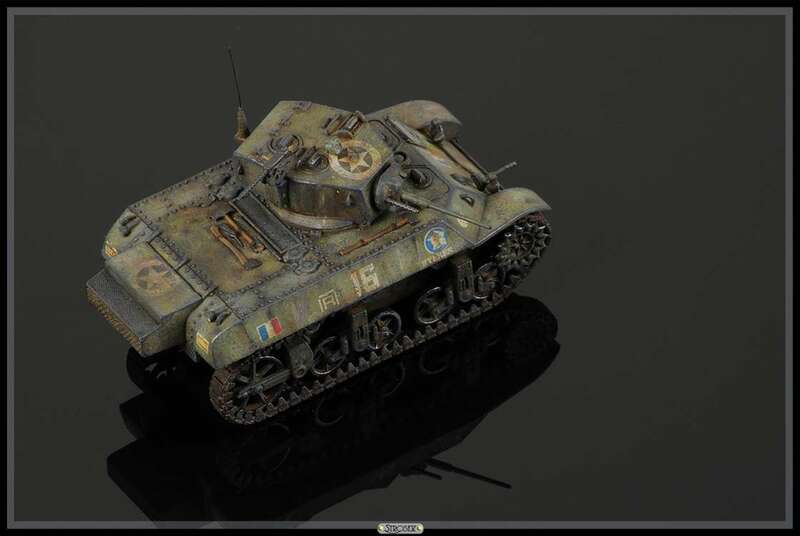 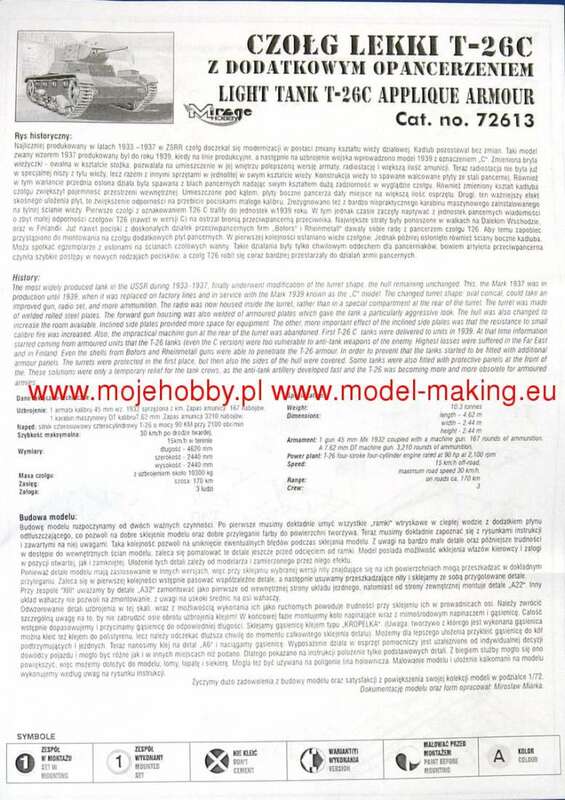 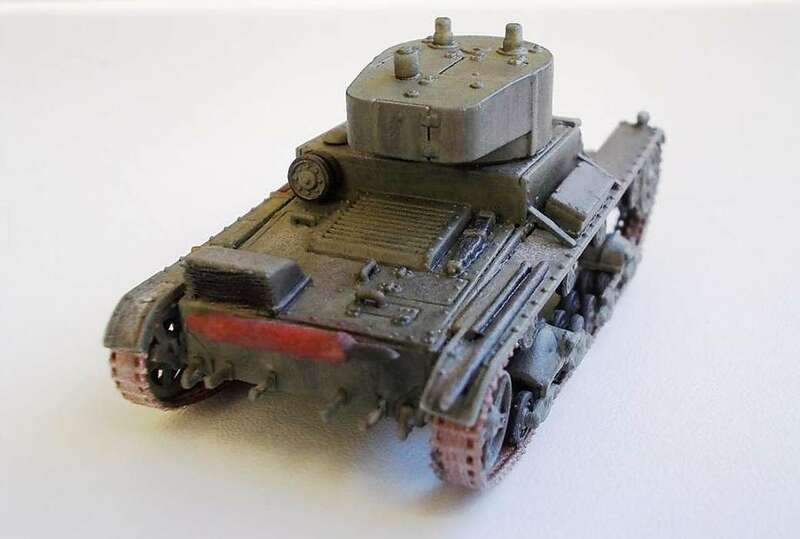 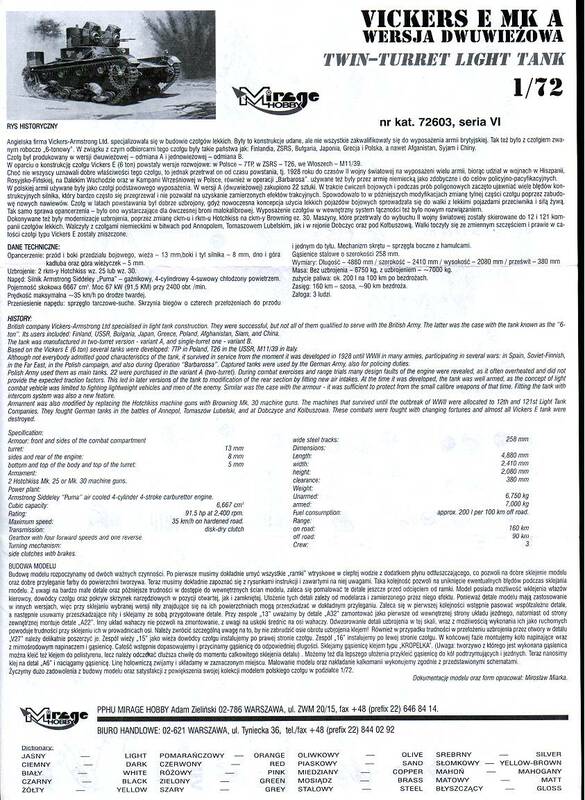 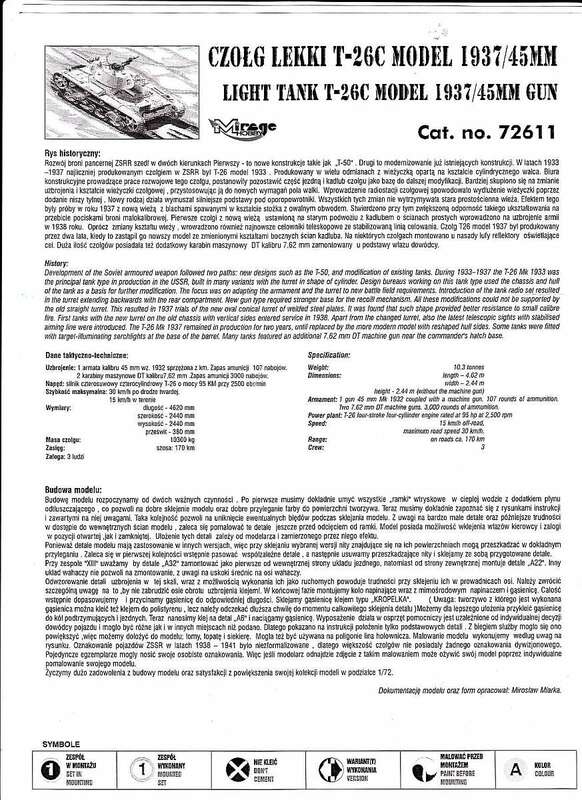 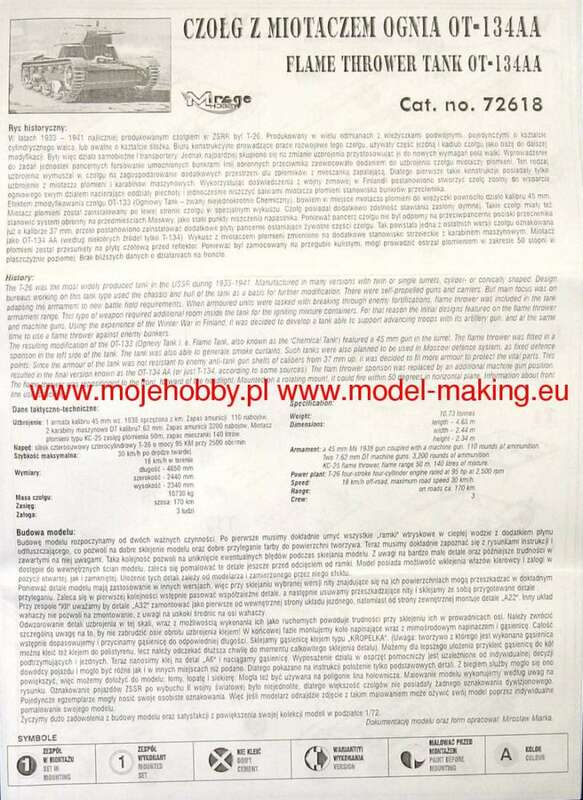 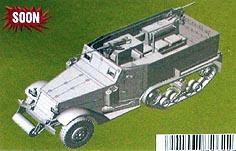 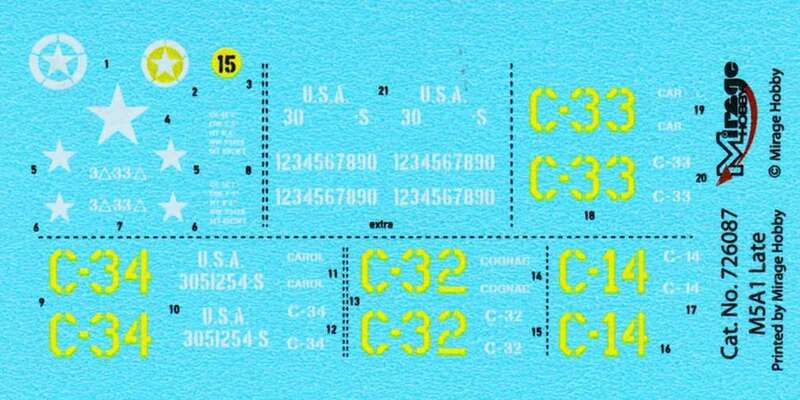 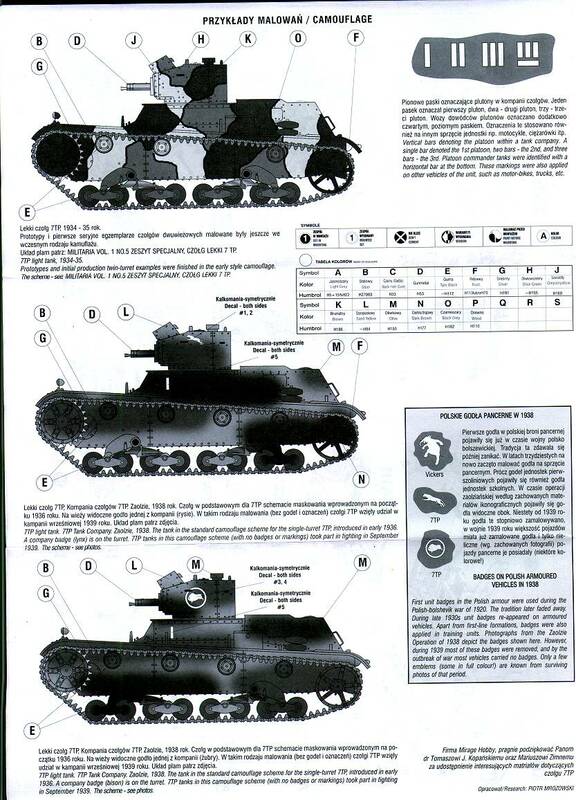 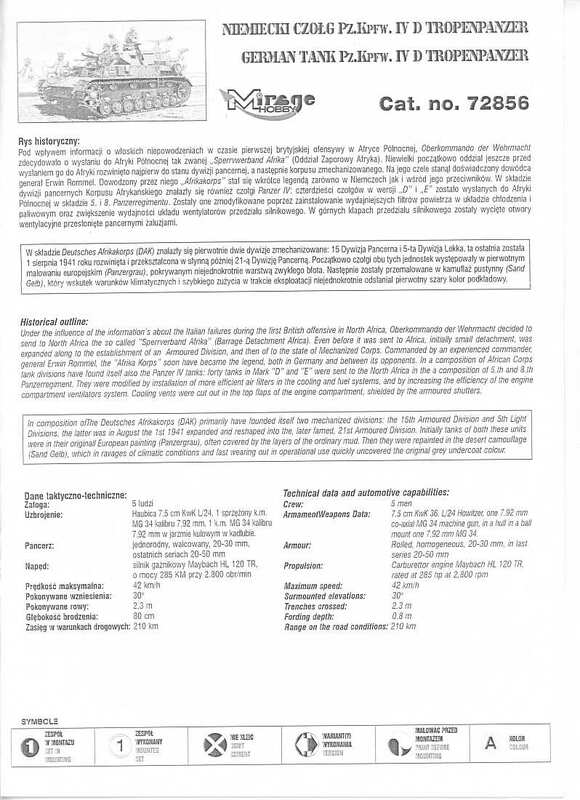 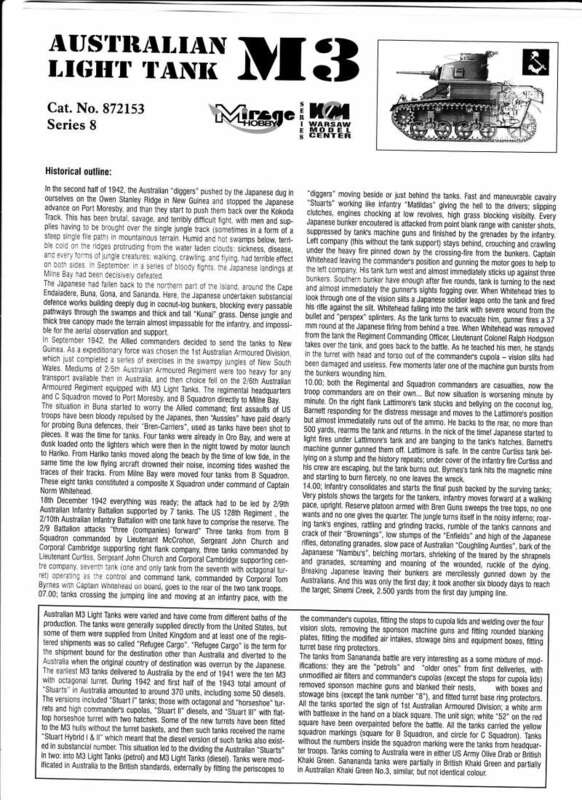 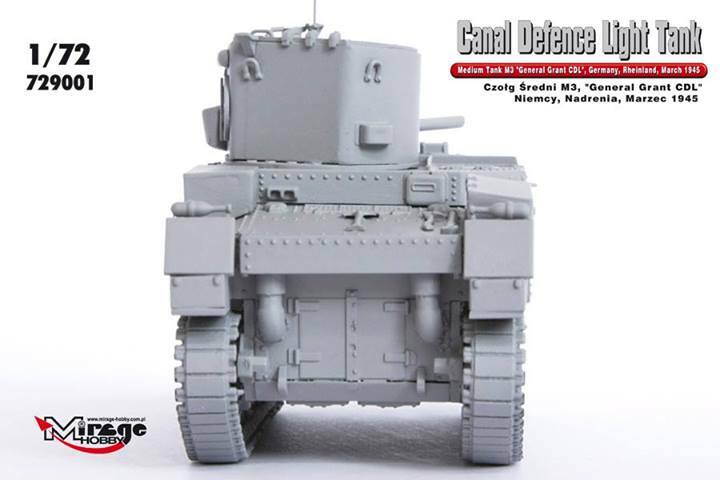 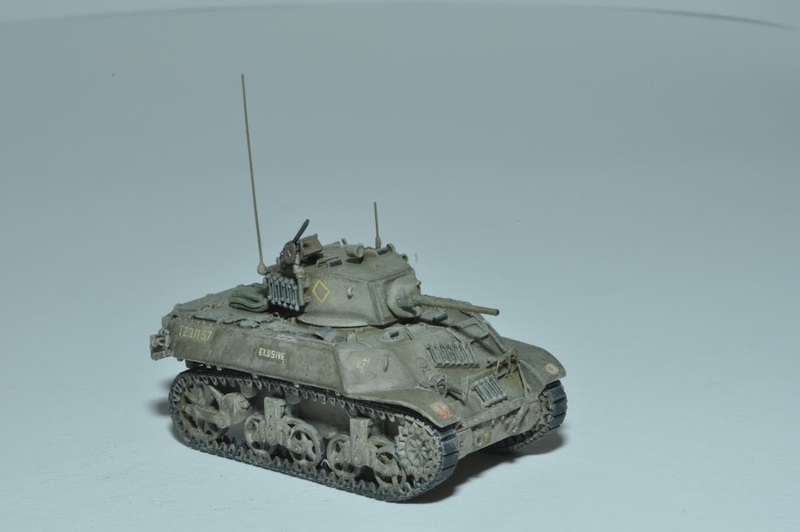 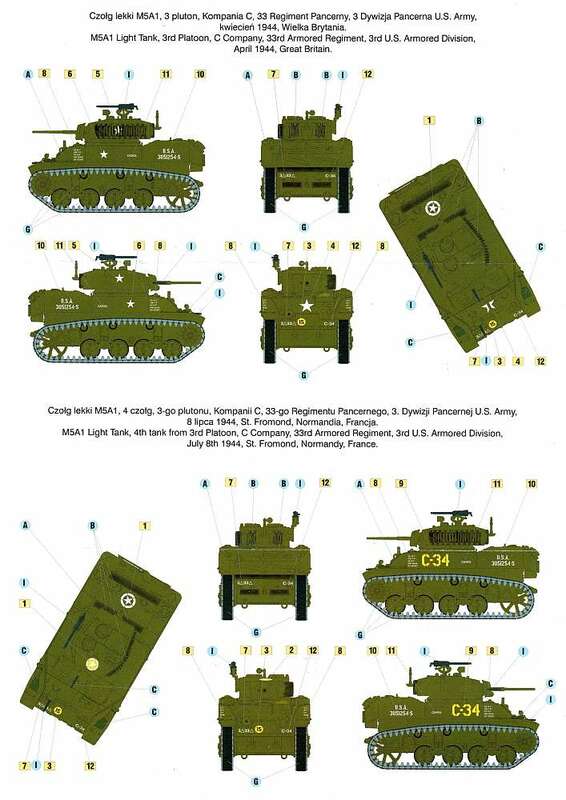 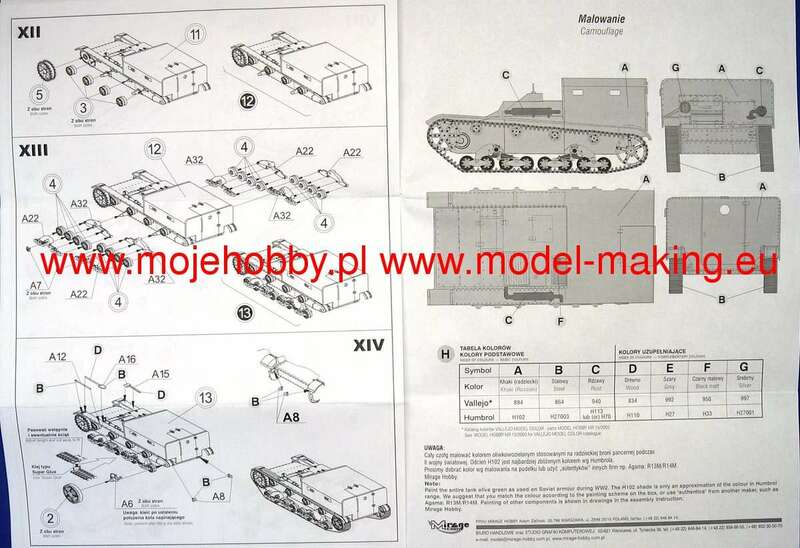 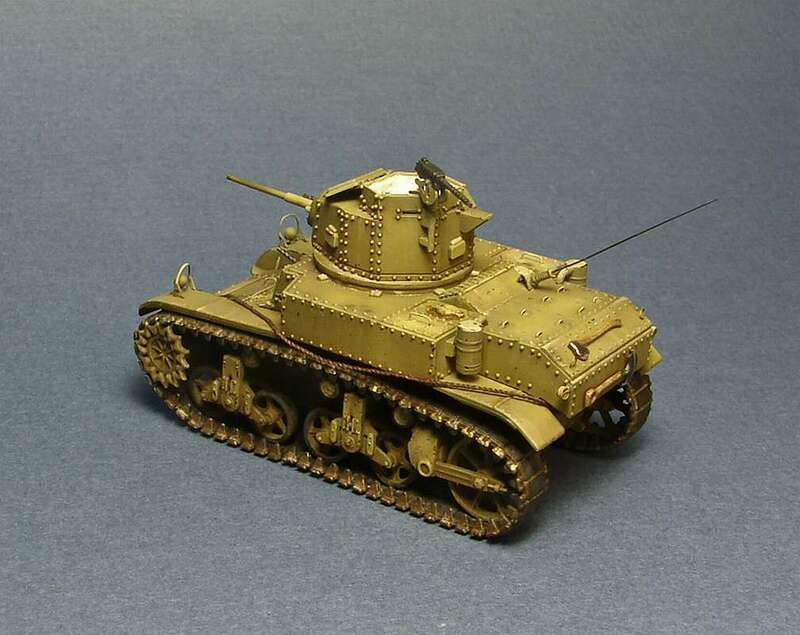 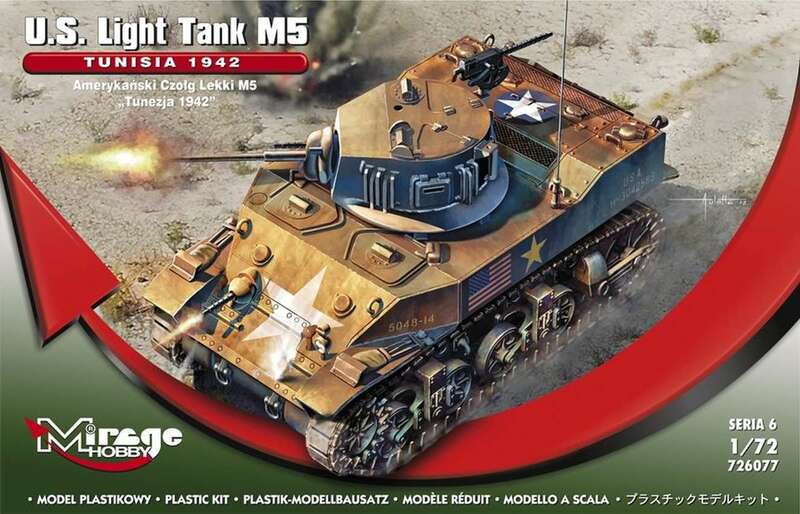 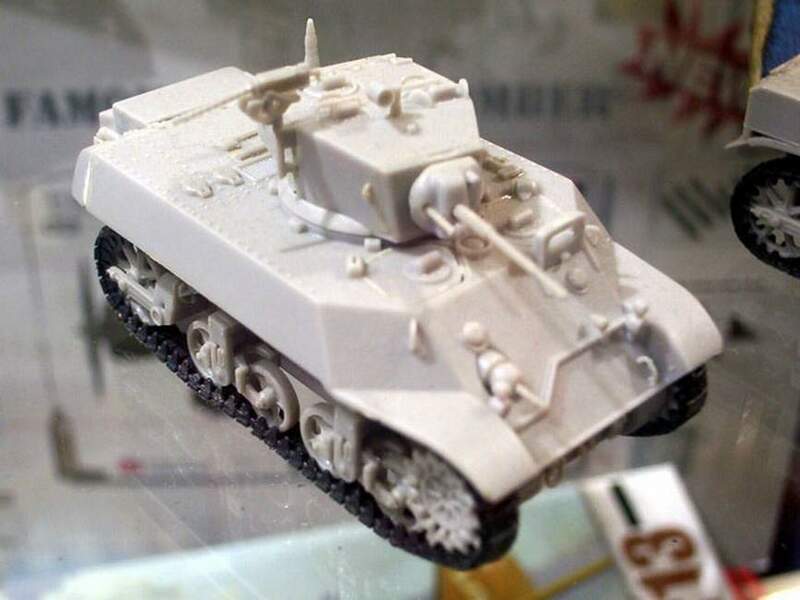 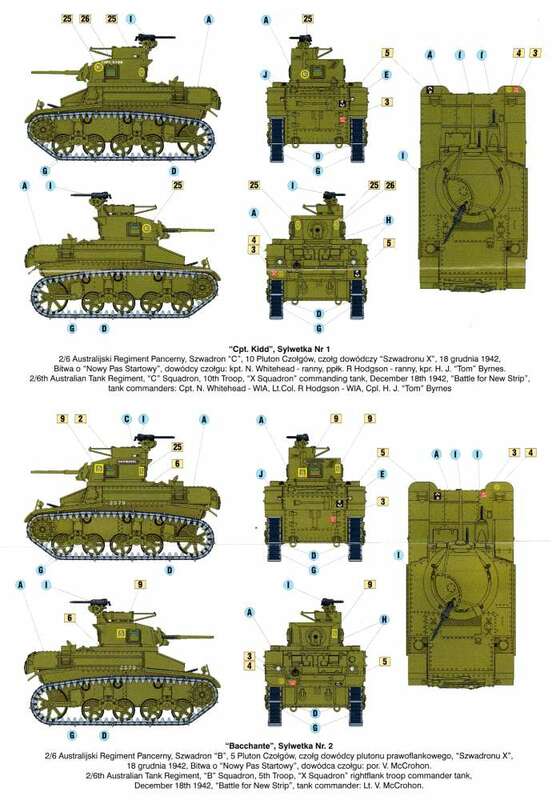 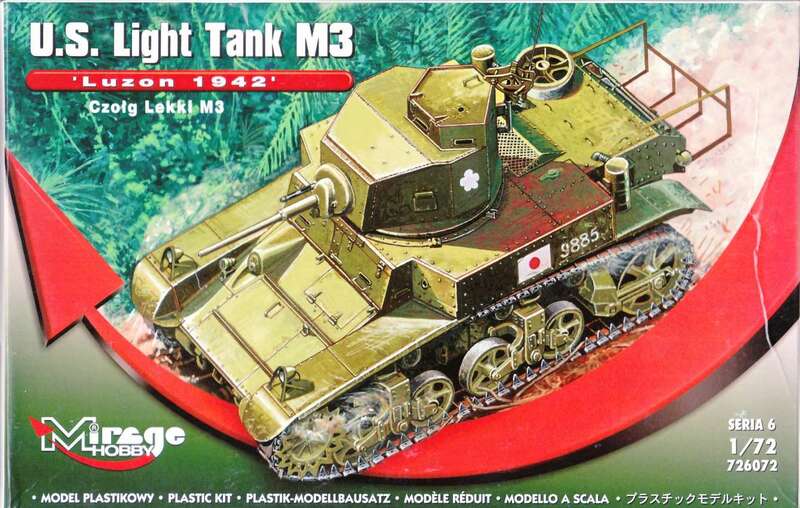 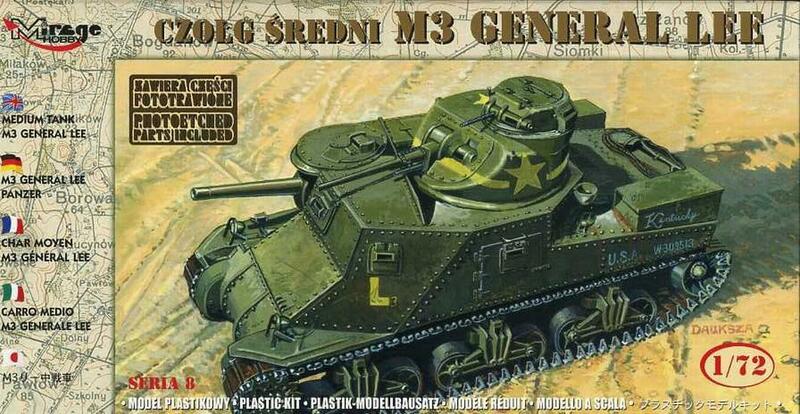 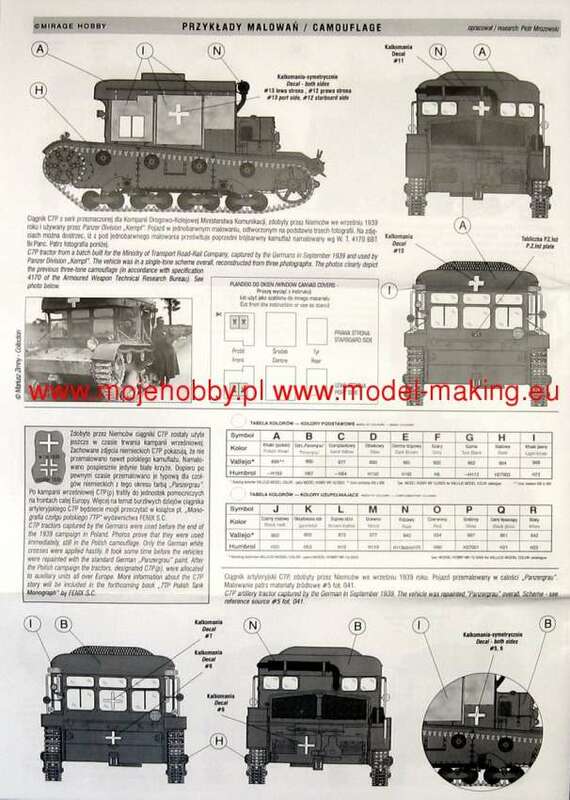 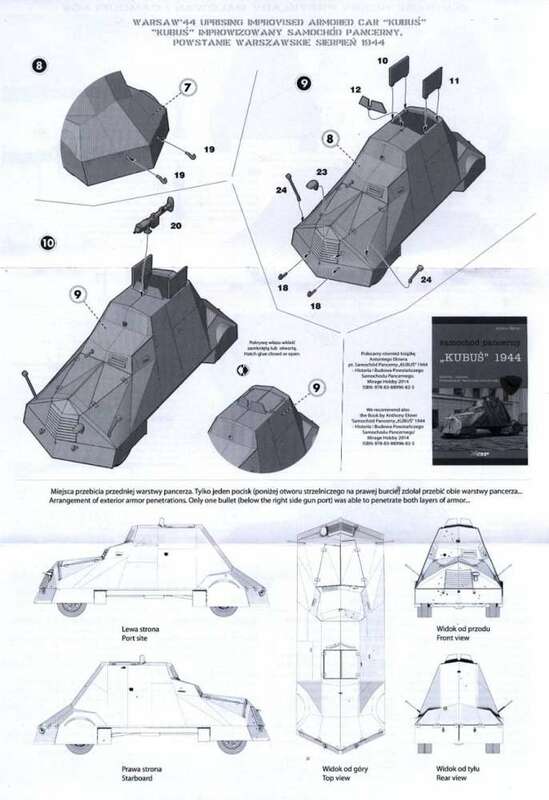 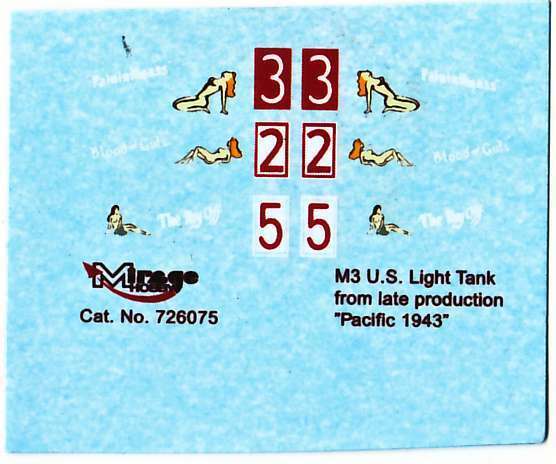 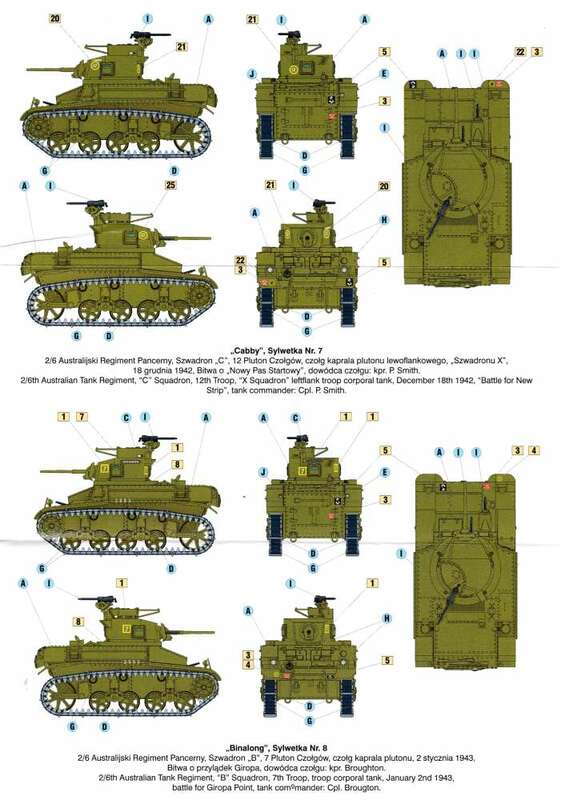 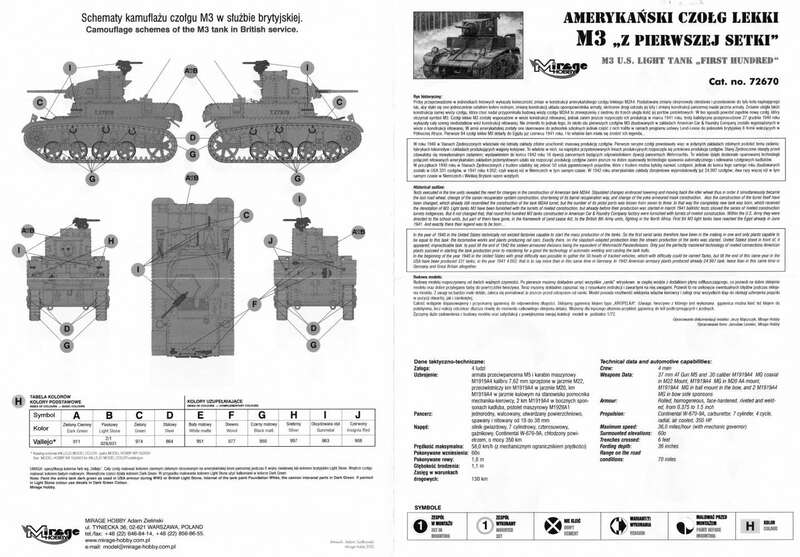 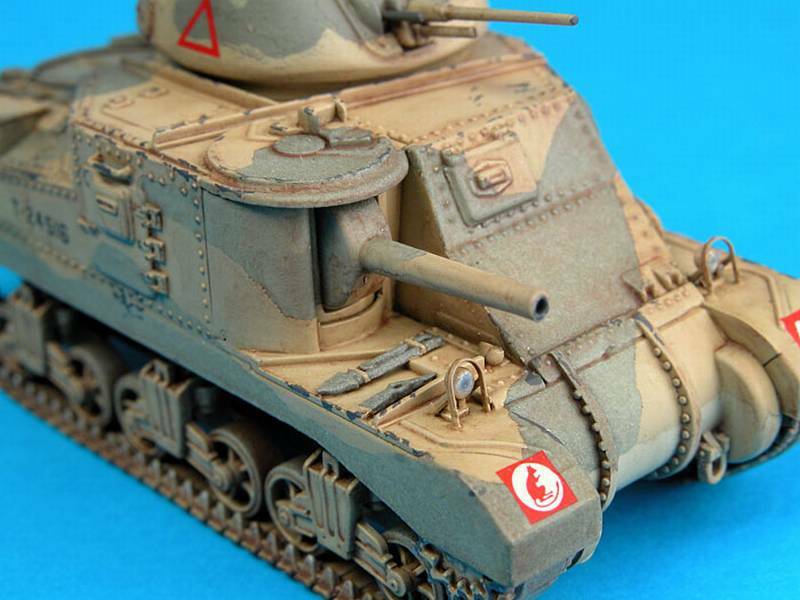 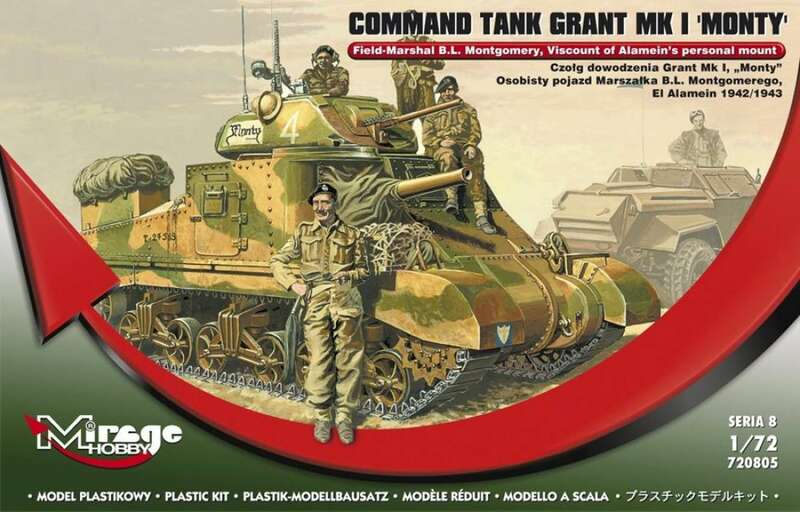 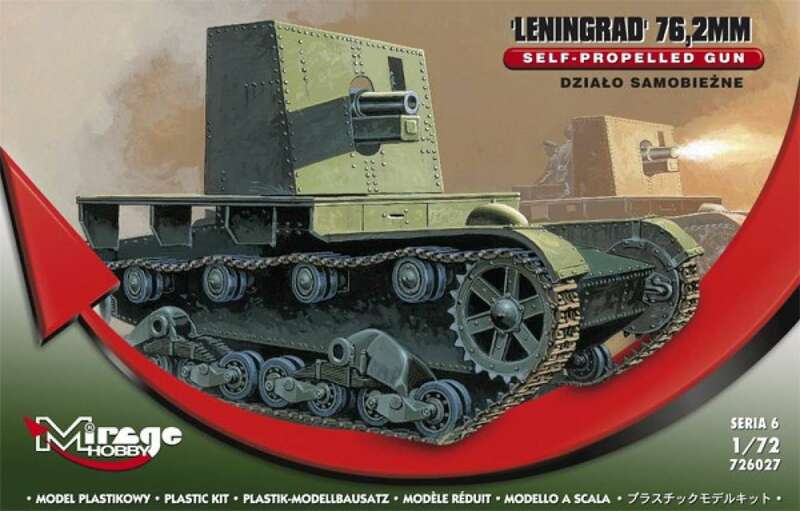 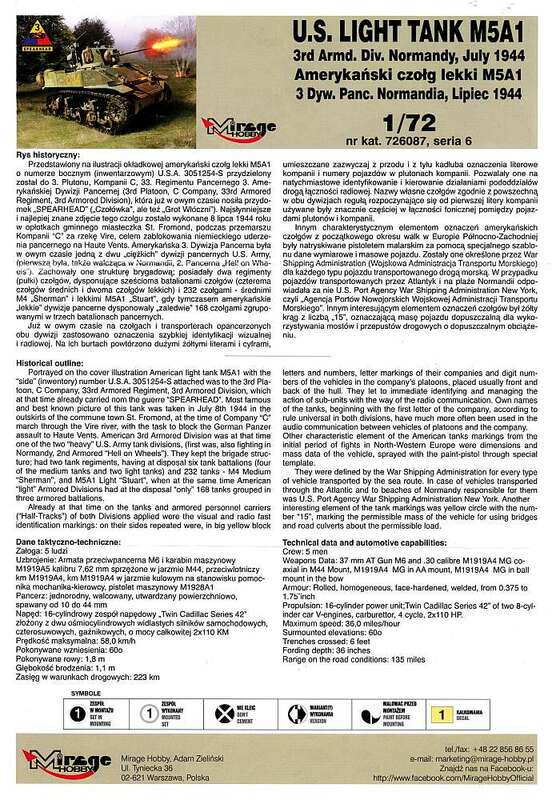 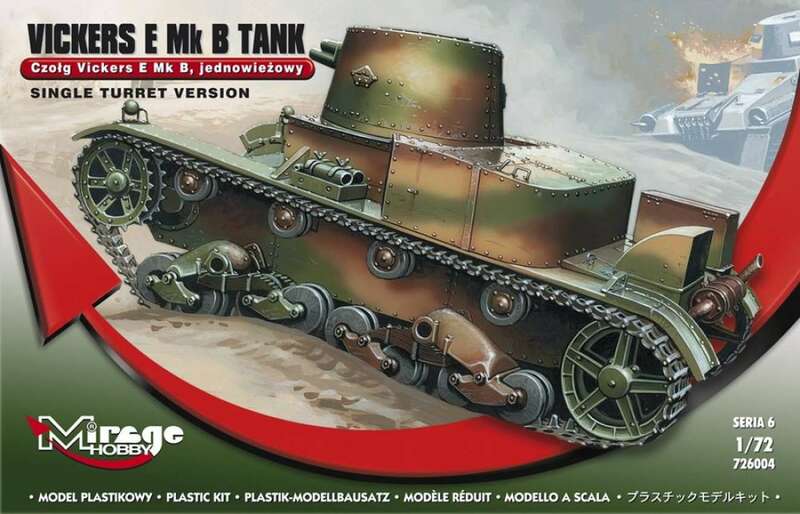 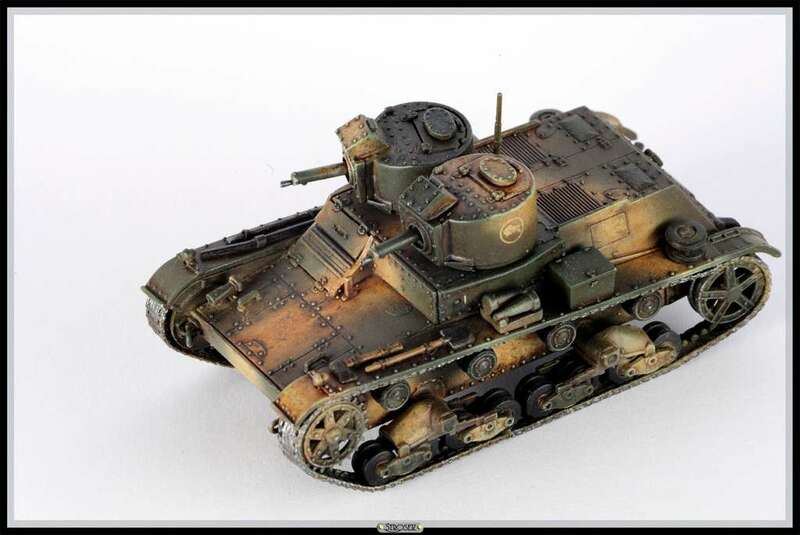 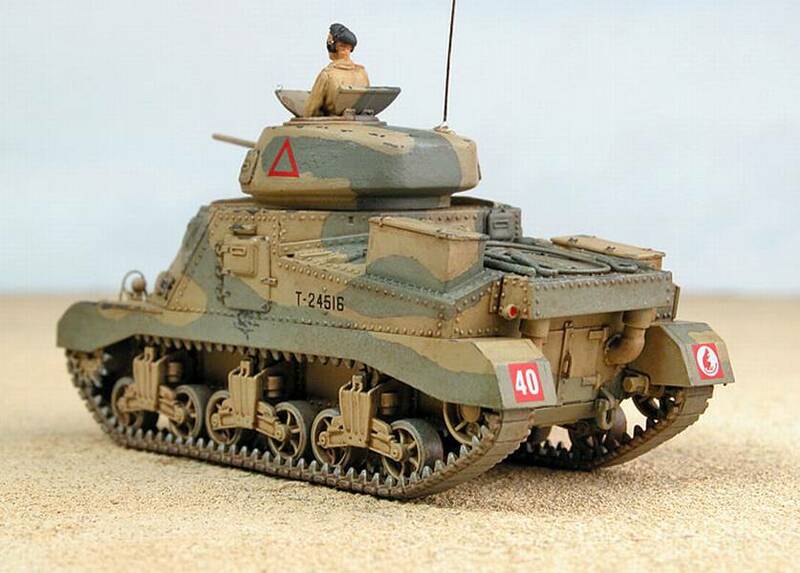 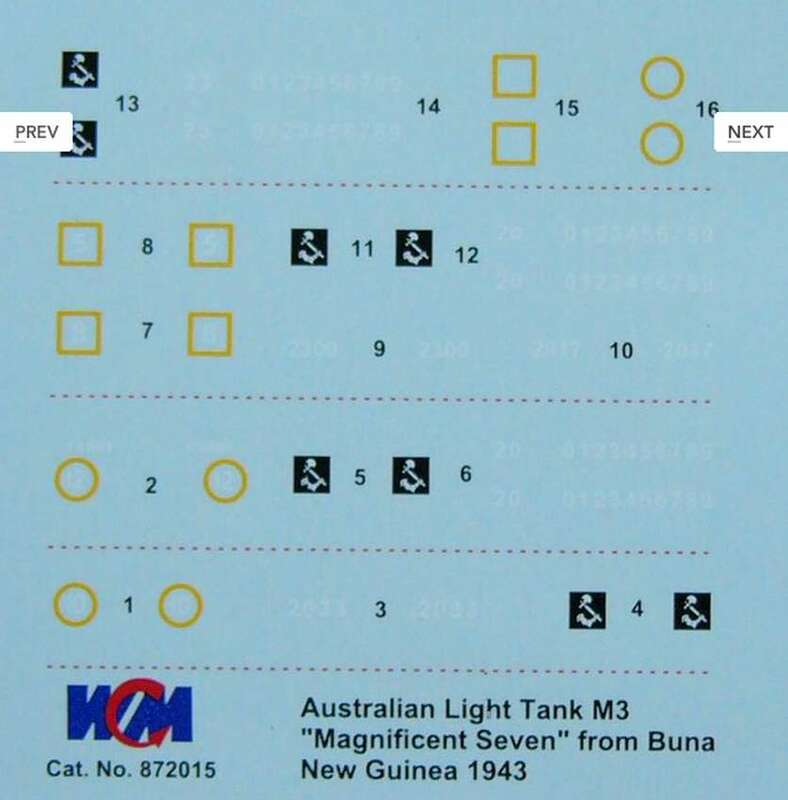 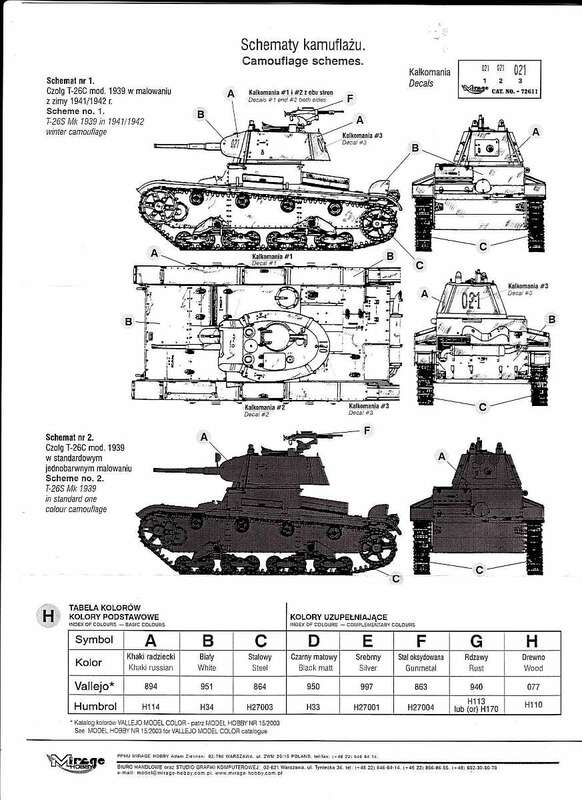 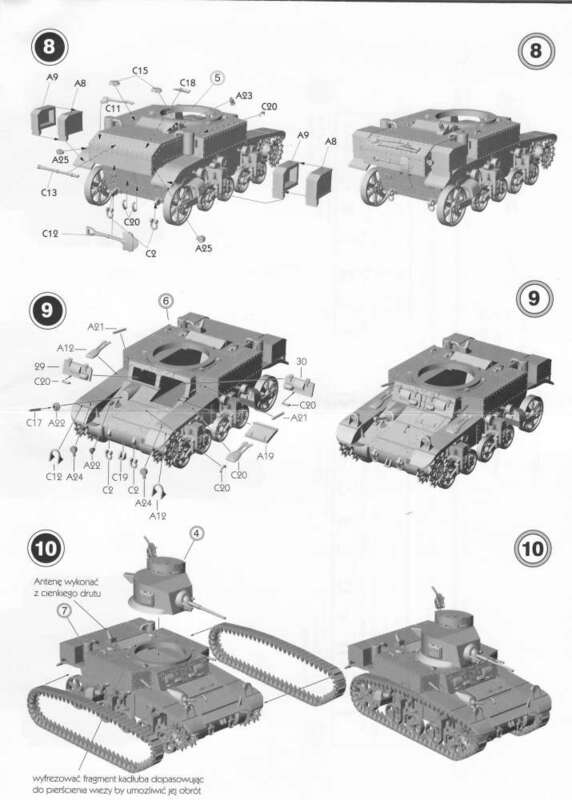 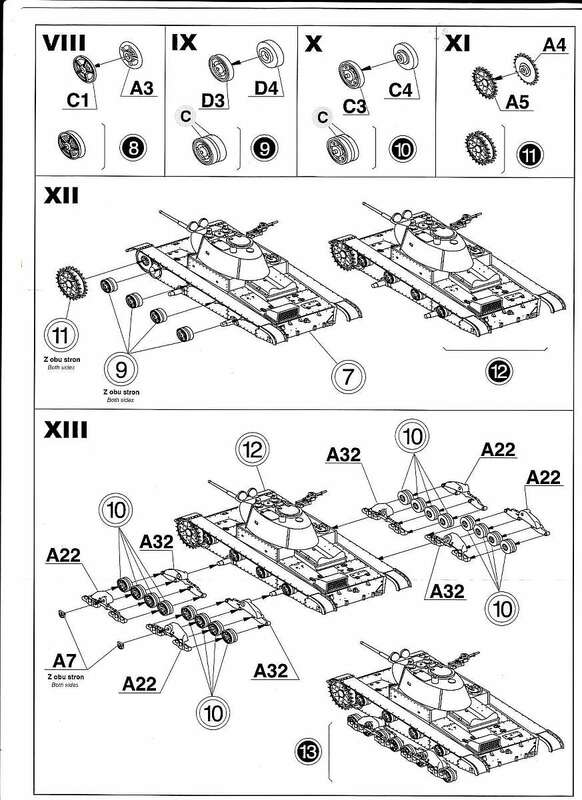 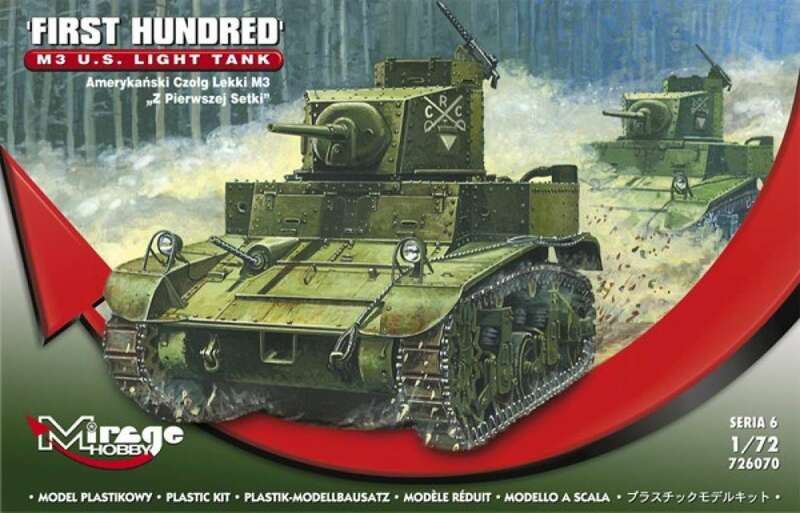 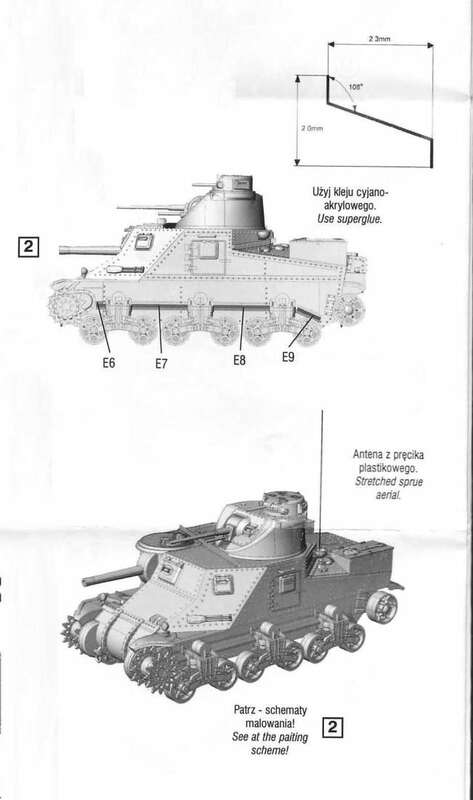 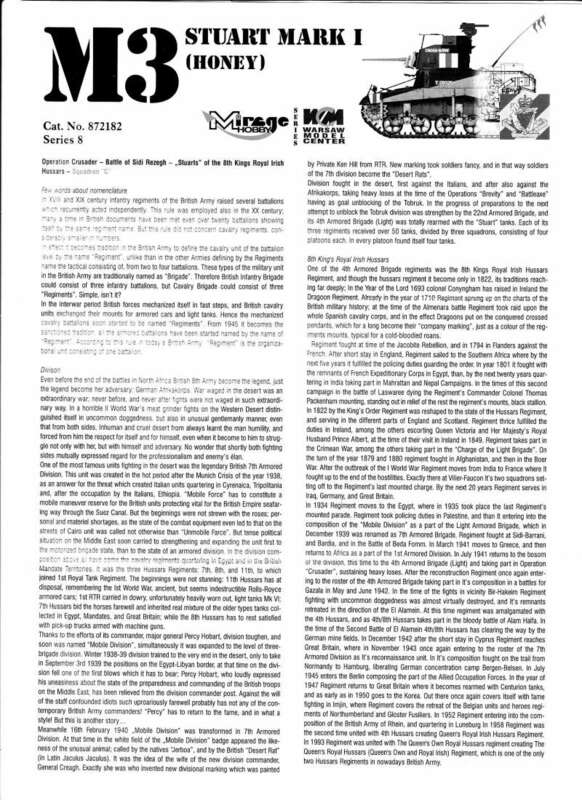 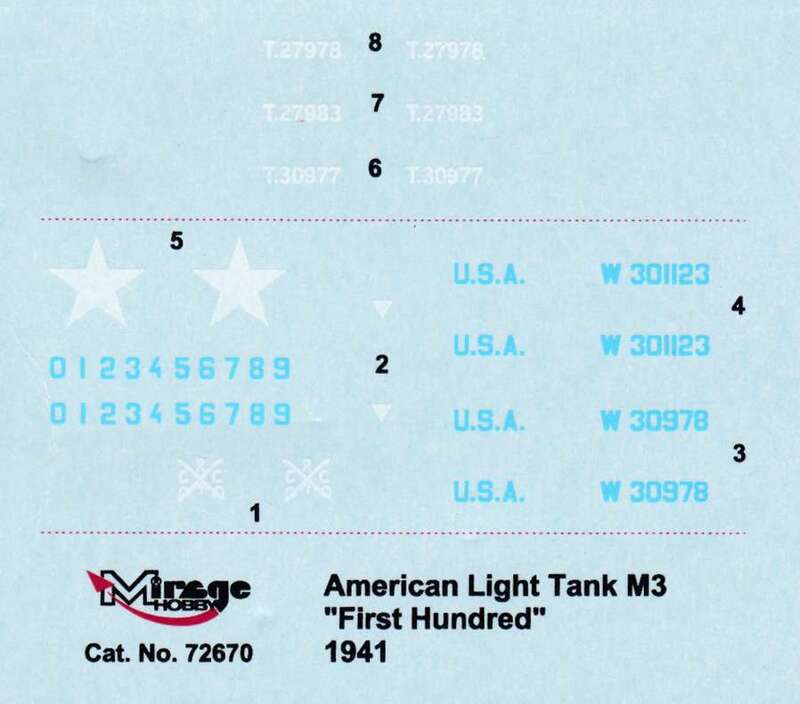 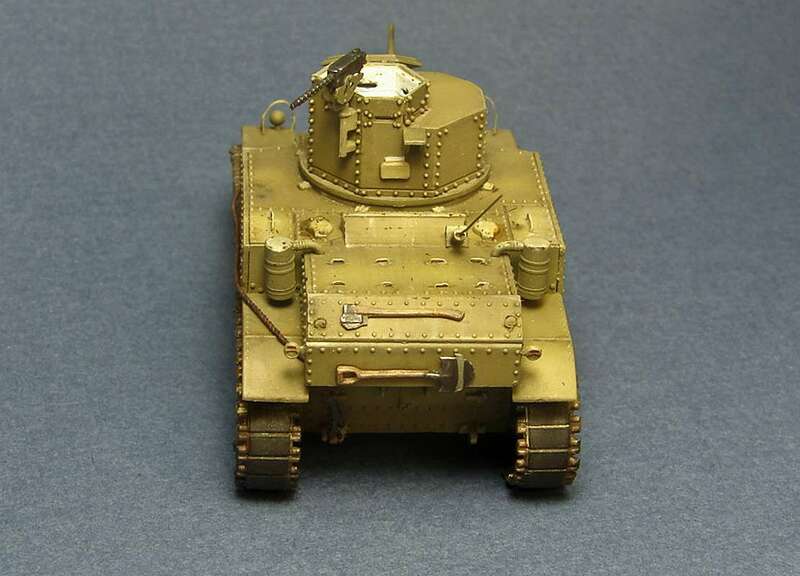 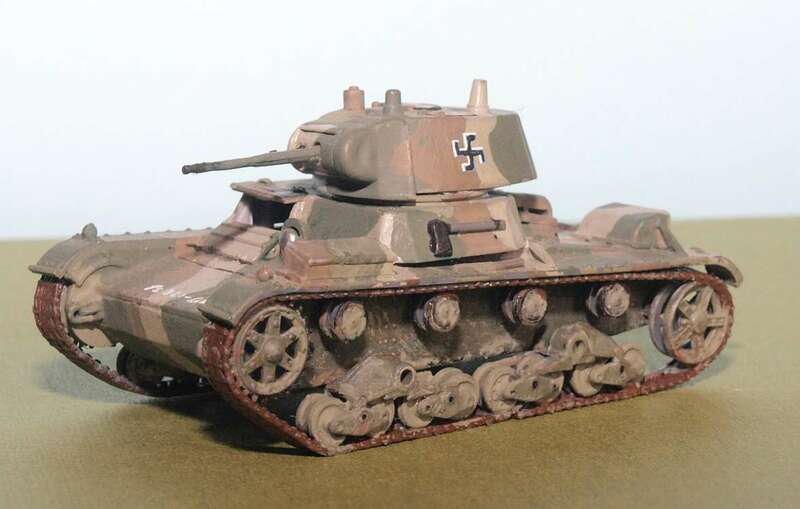 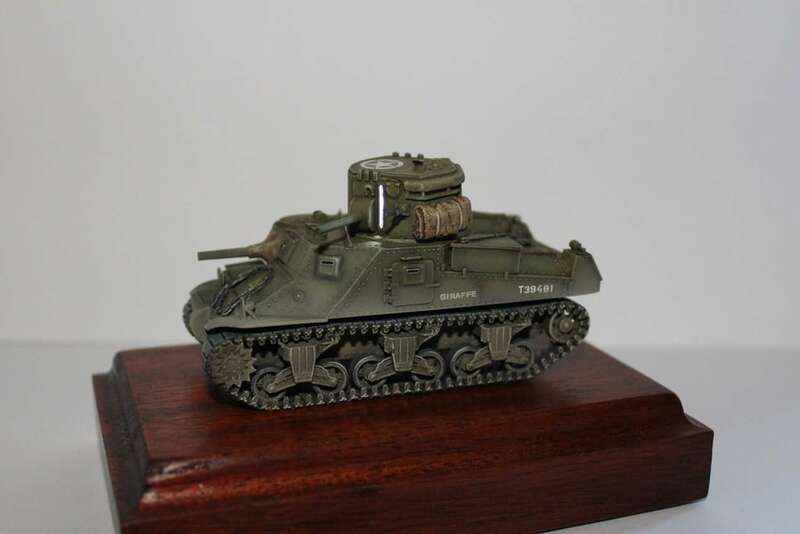 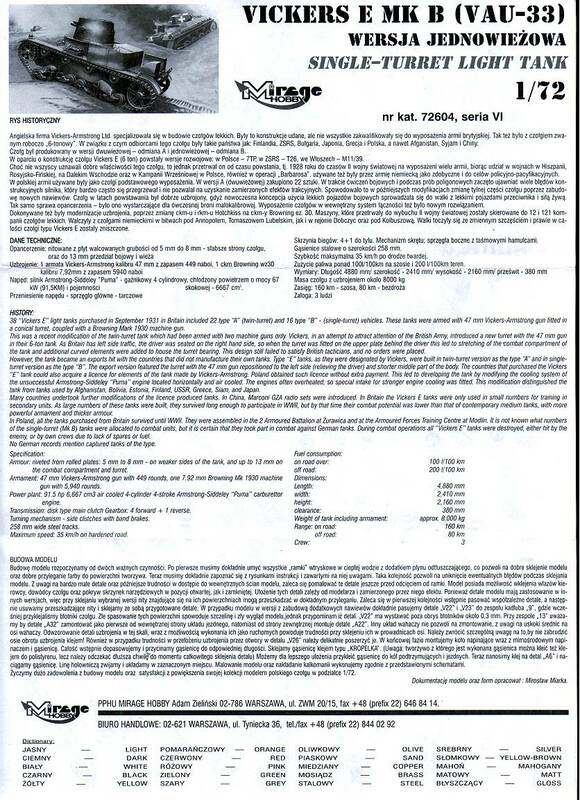 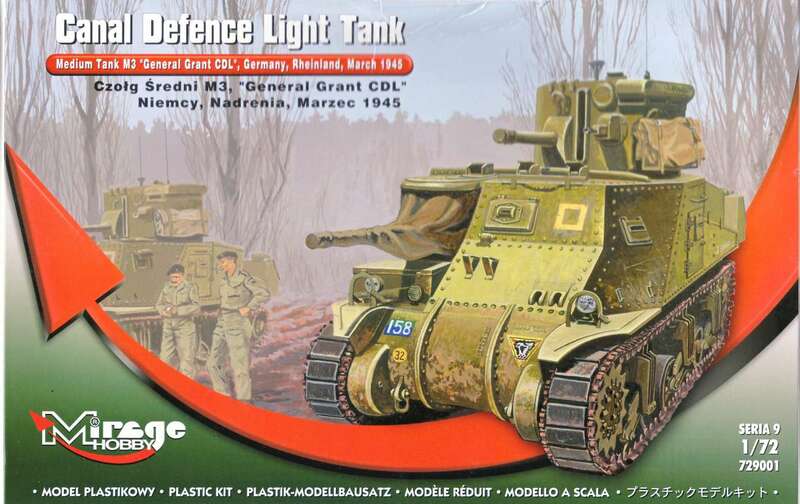 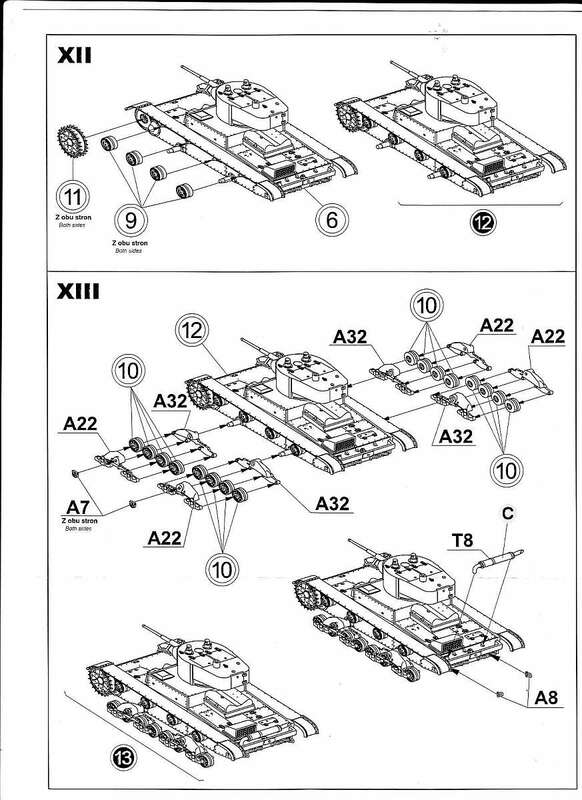 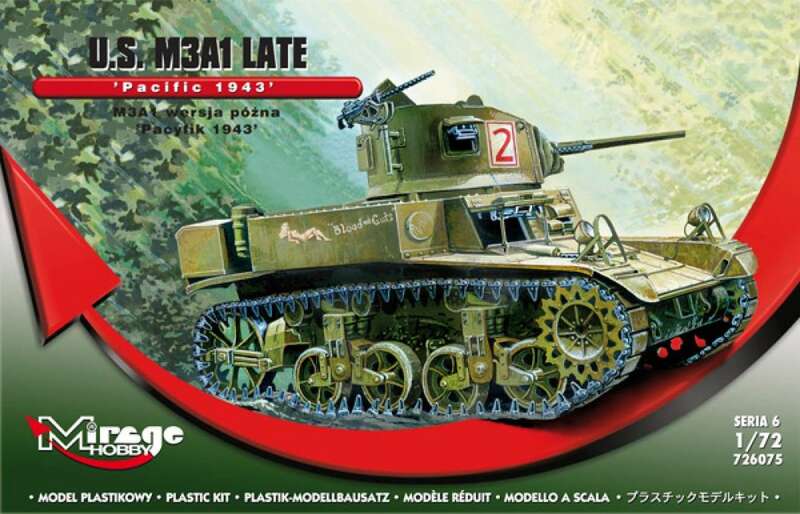 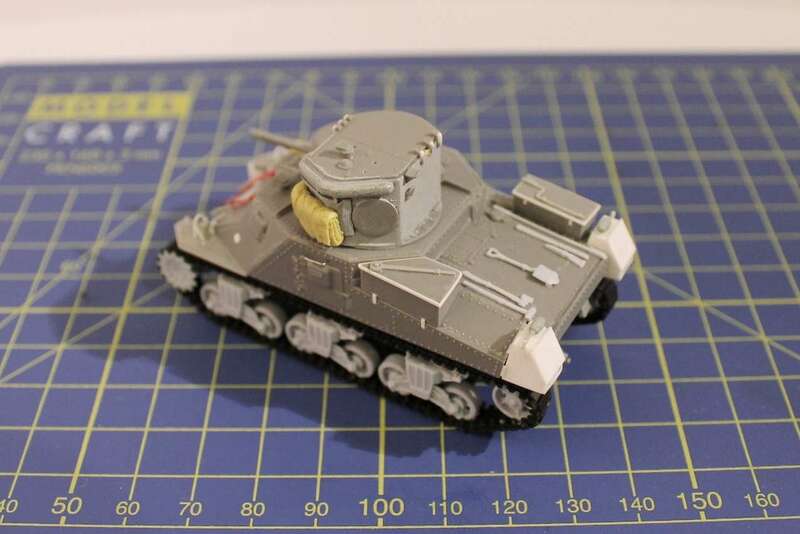 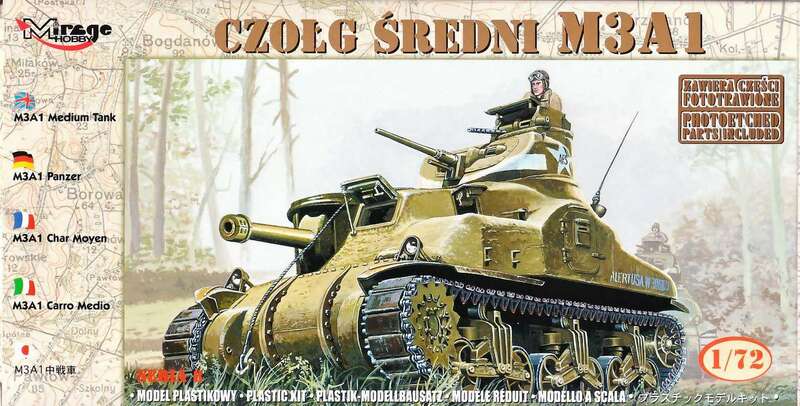 Release date of the M3 kits was in 2003, announced were also an M3A1 with casted hull and a M31 Recovery vehicle, but these vehicles were until now not released! 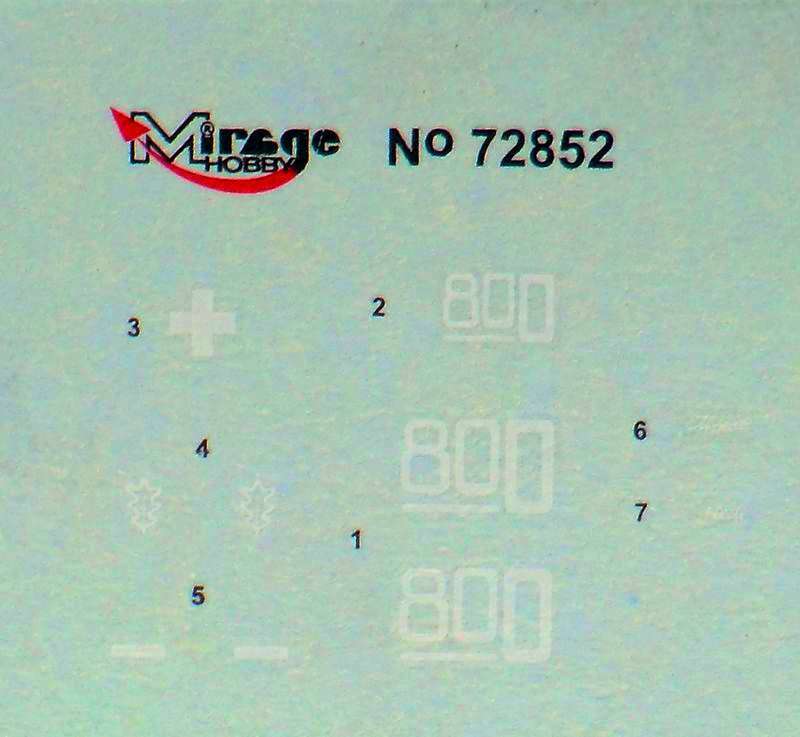 Hopefully Mirage will fullfill this shortcoming soon !! 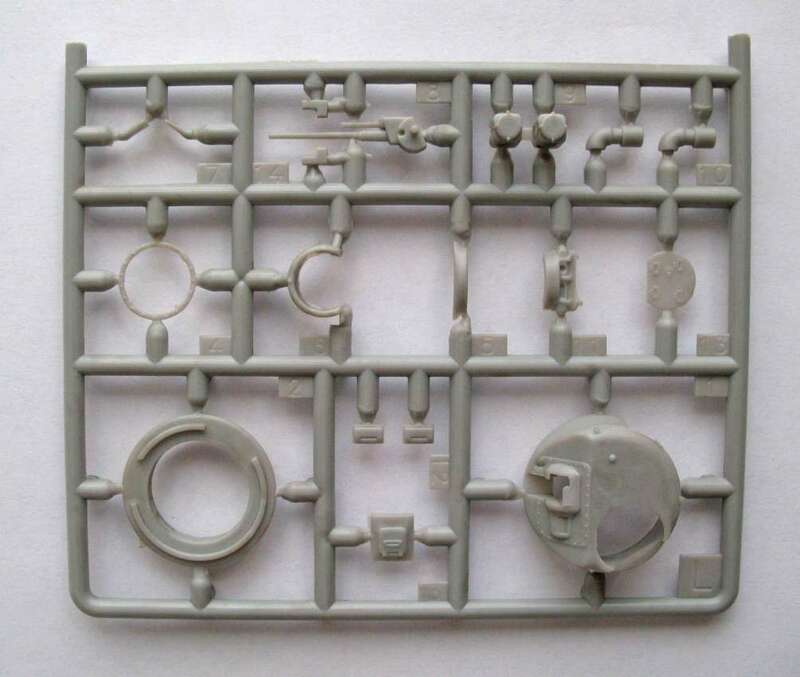 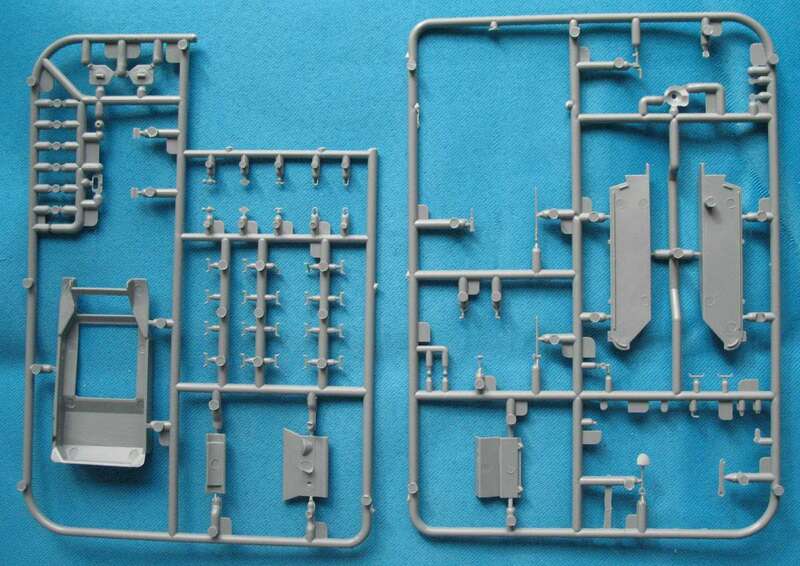 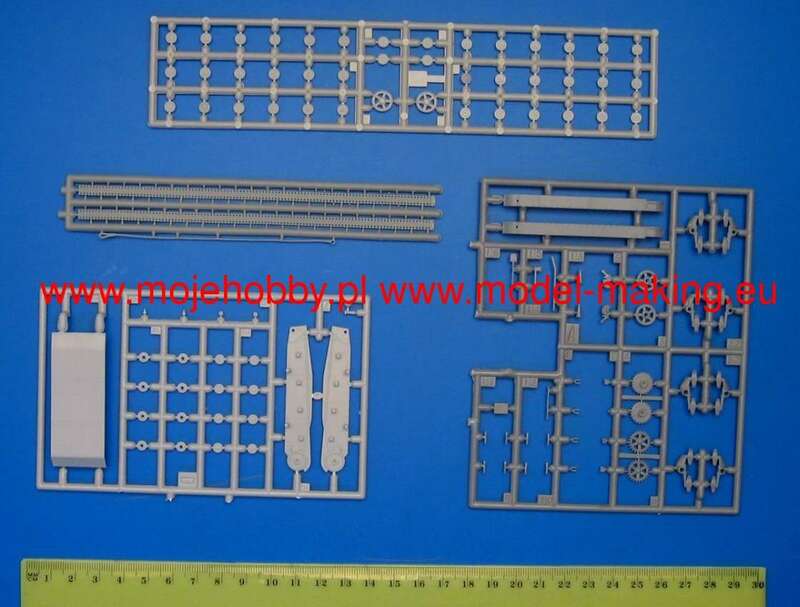 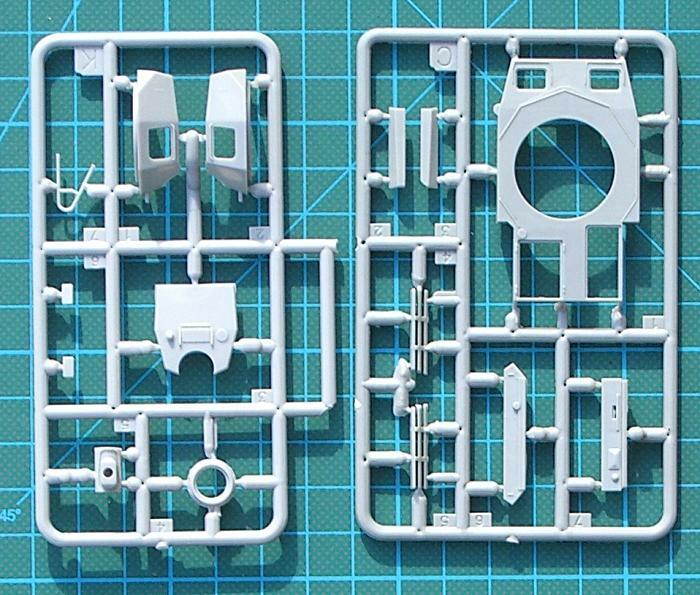 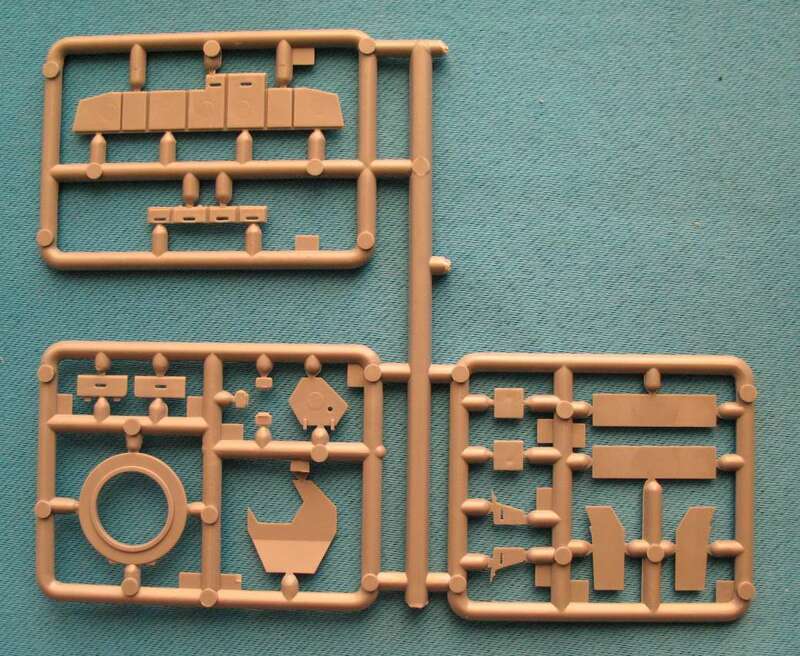 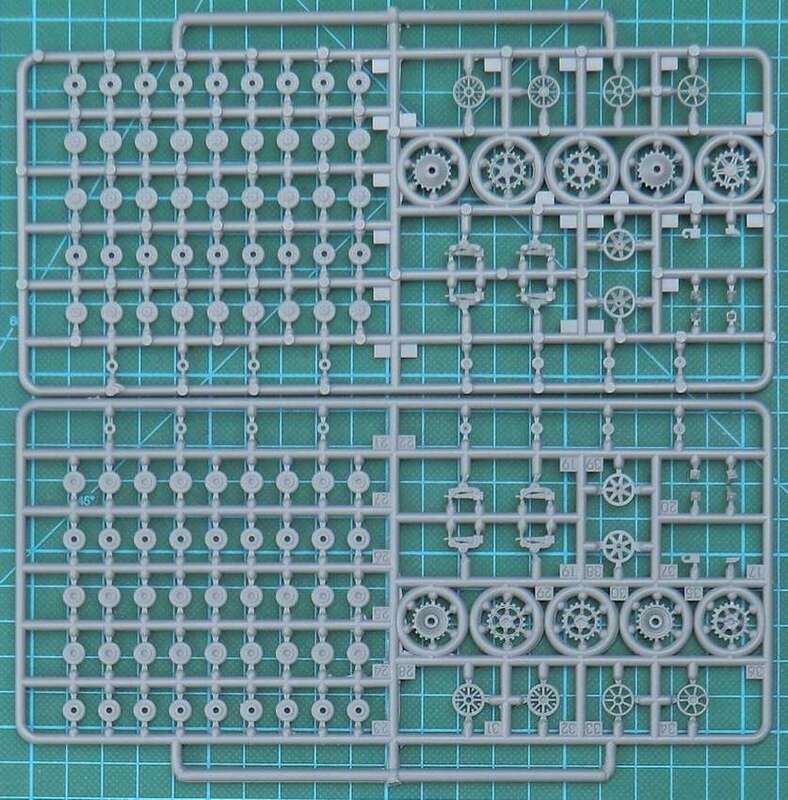 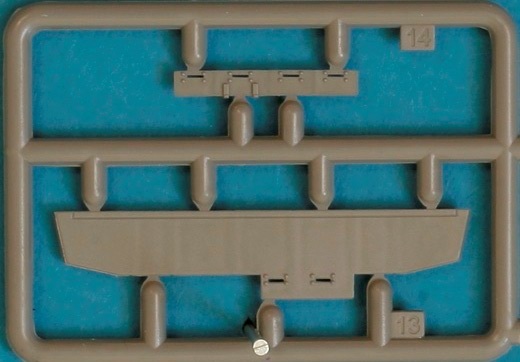 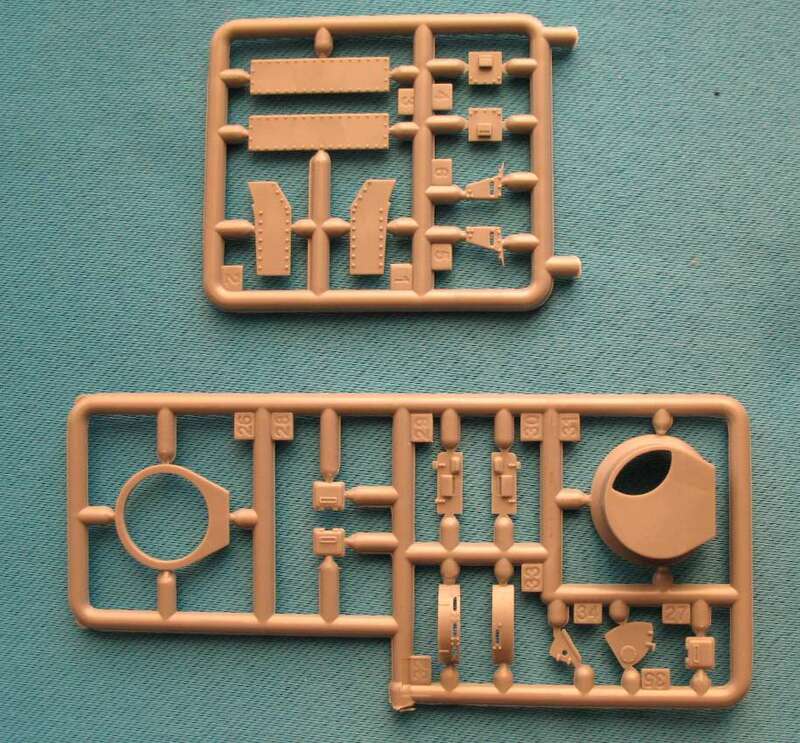 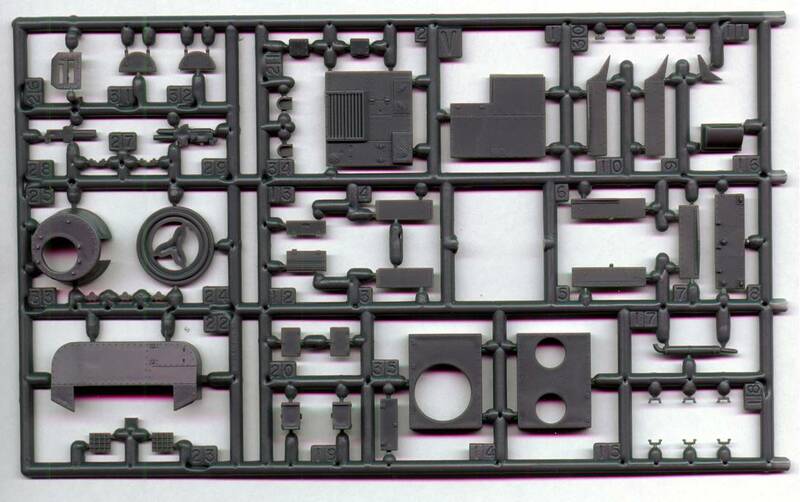 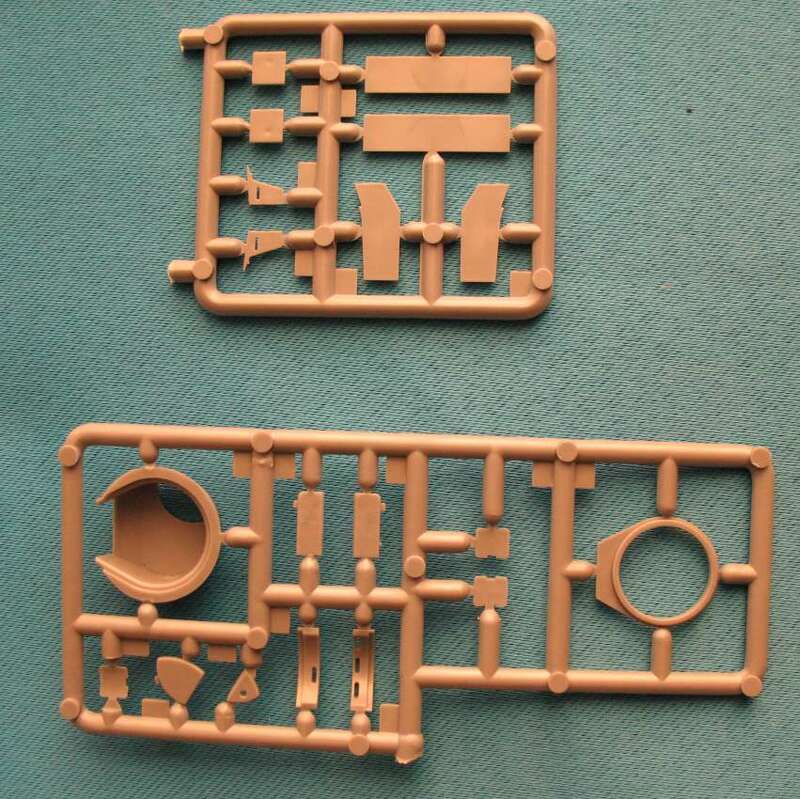 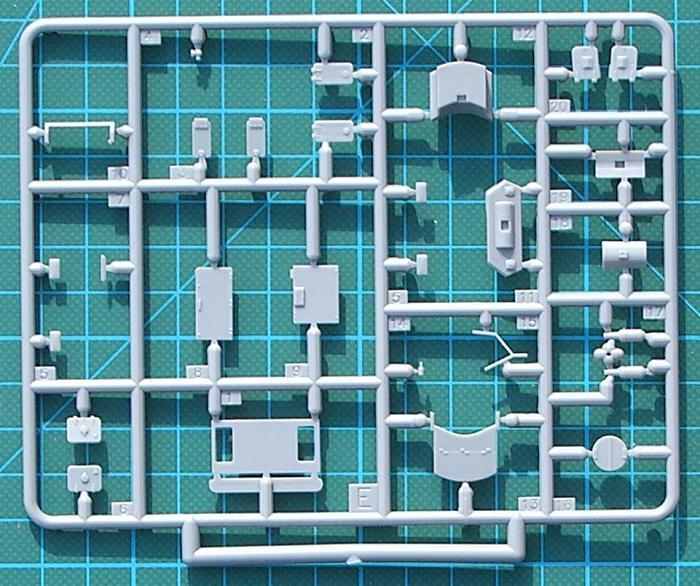 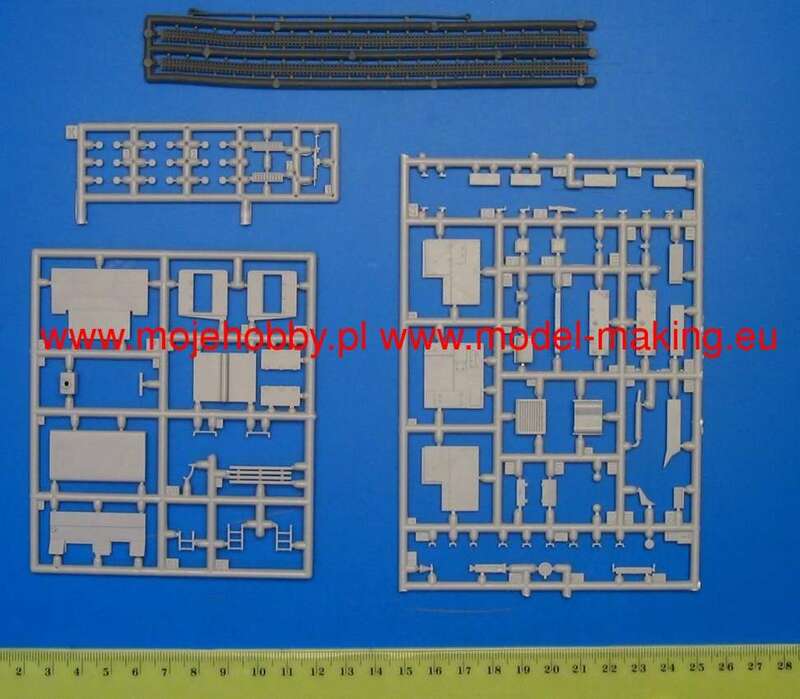 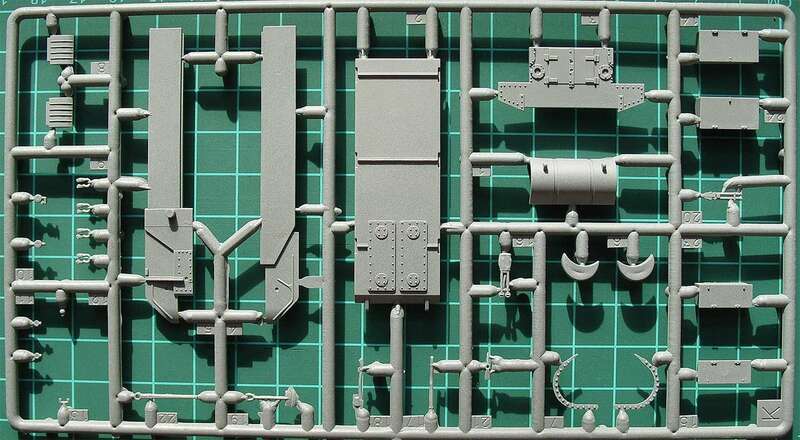 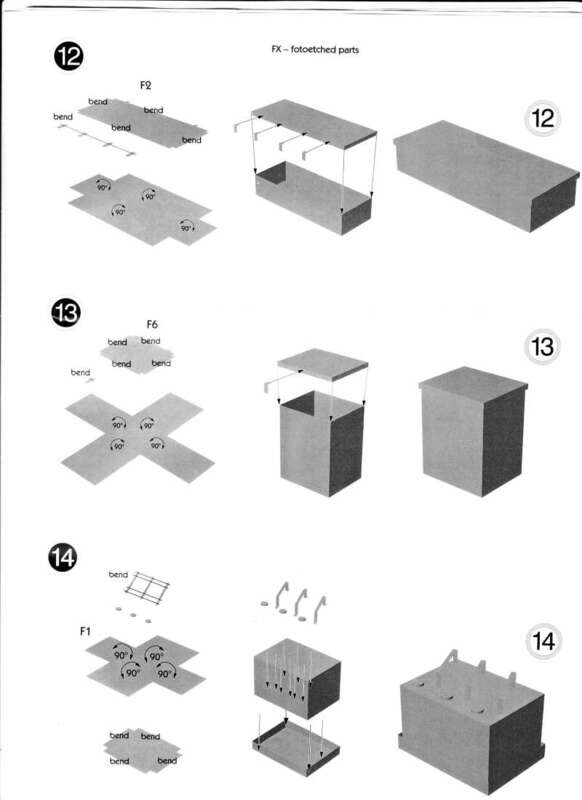 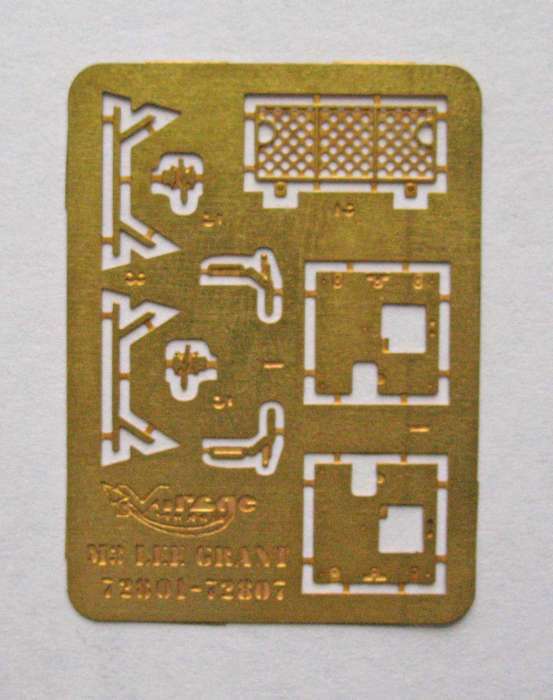 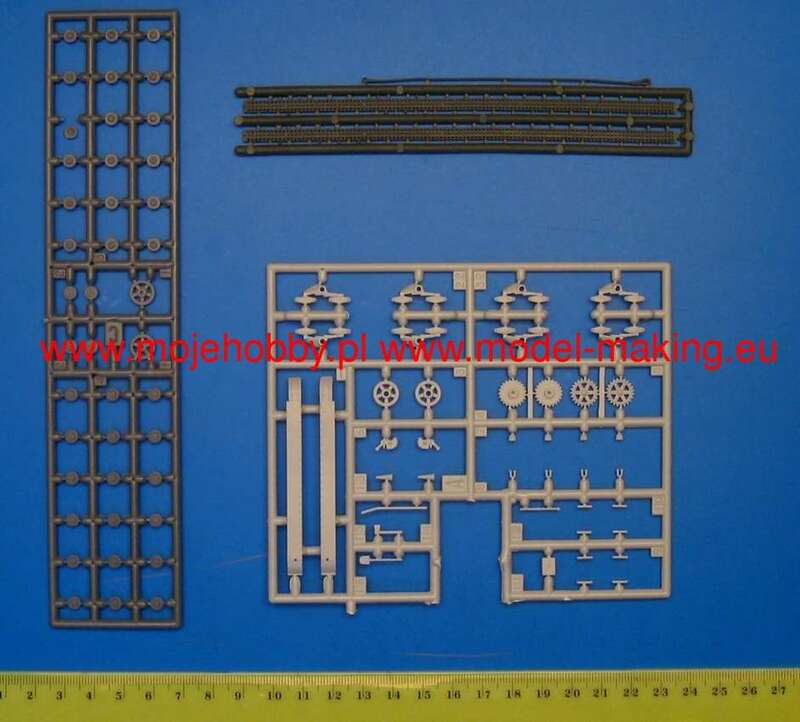 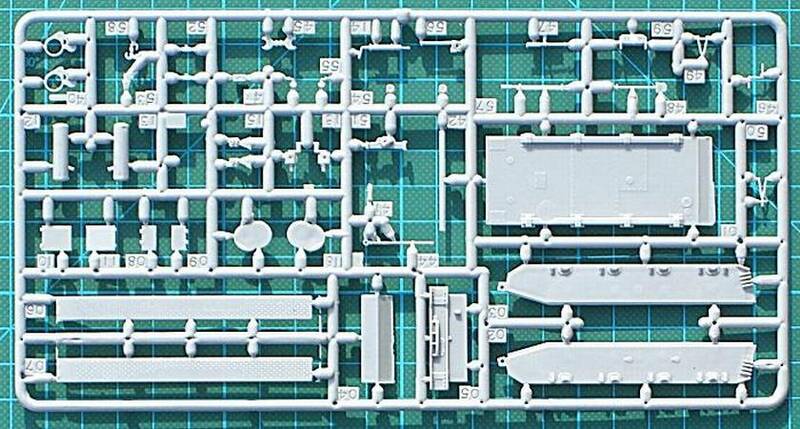 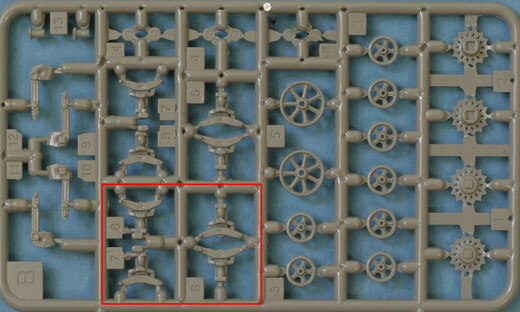 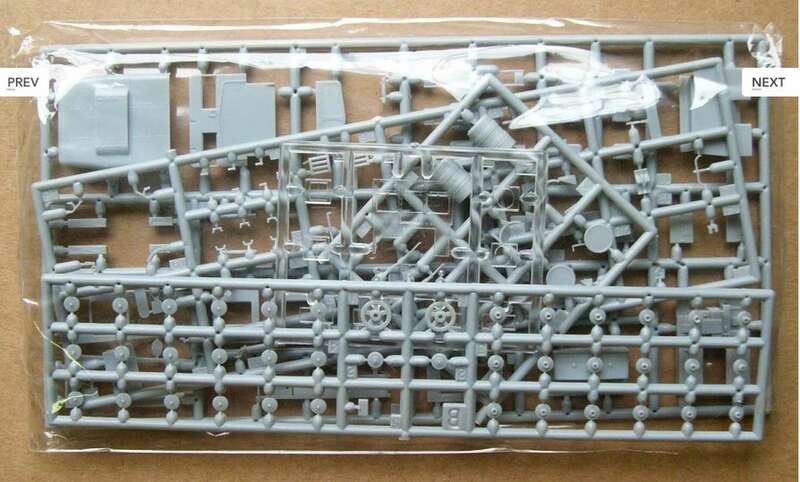 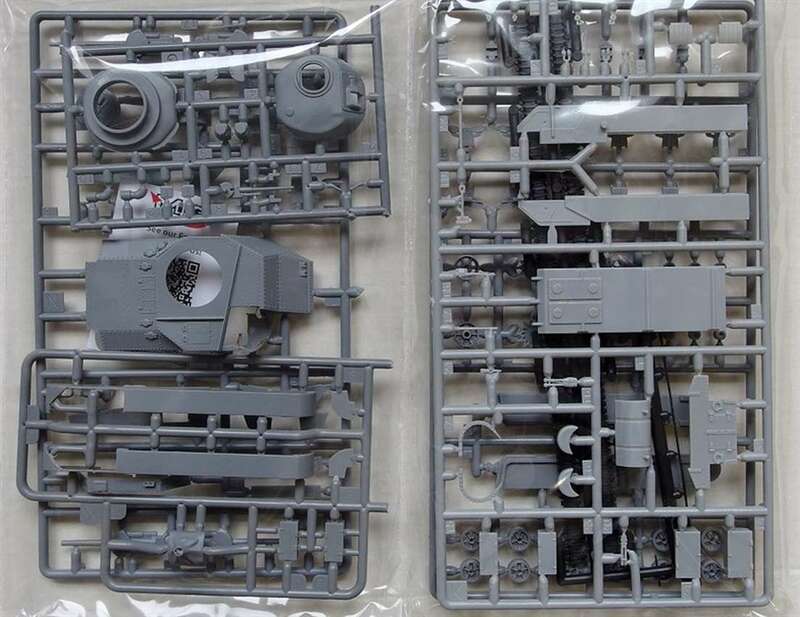 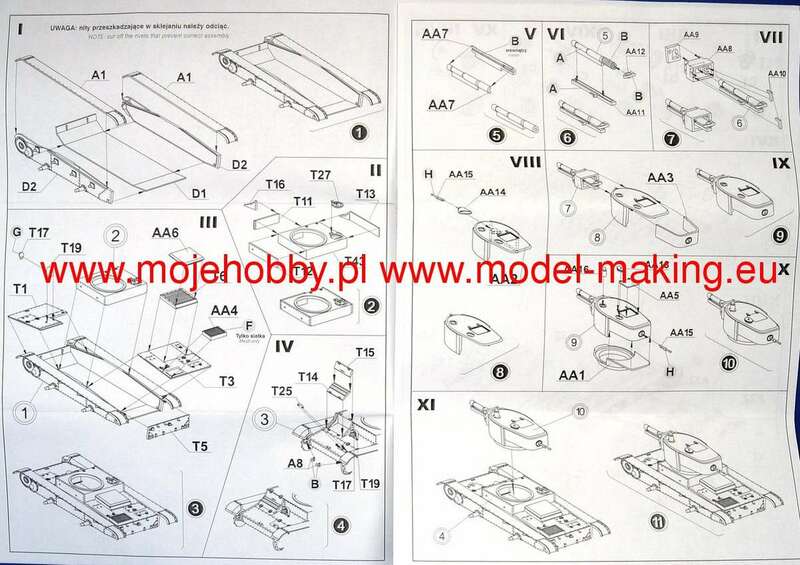 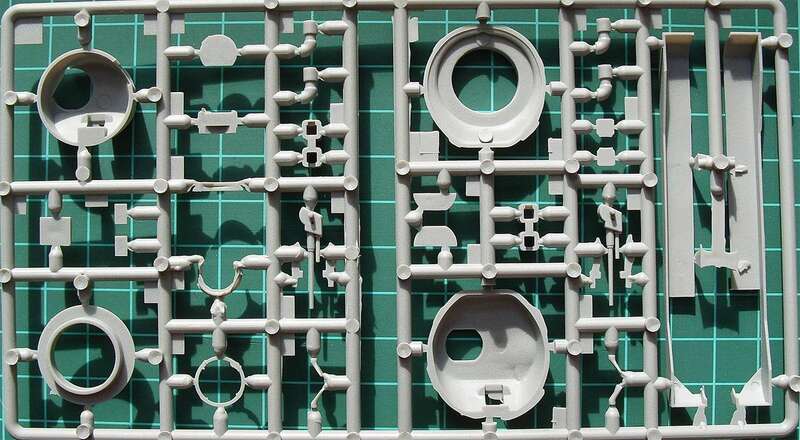 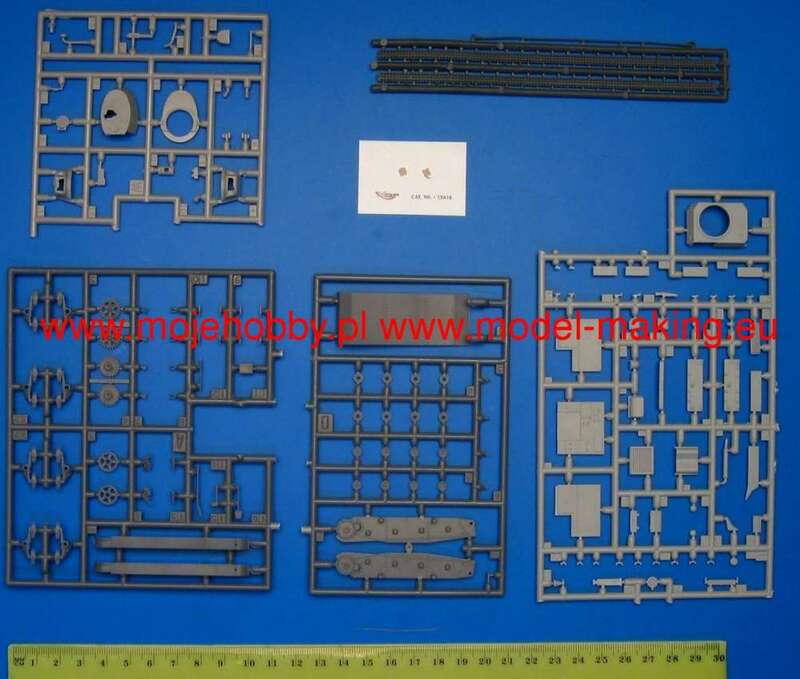 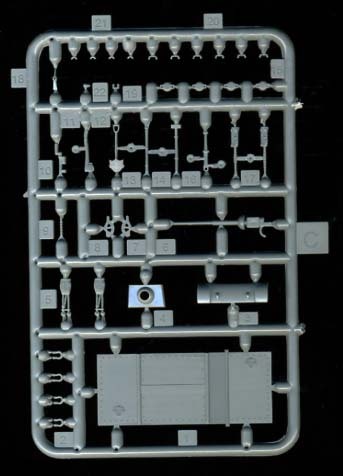 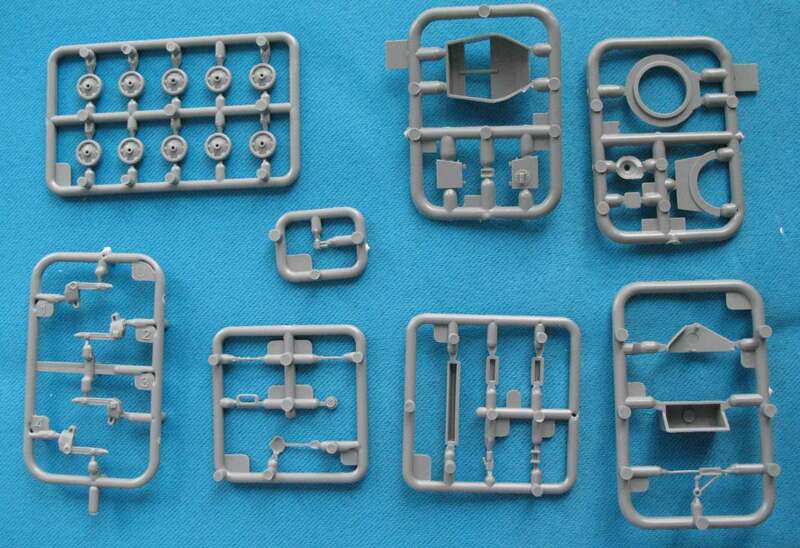 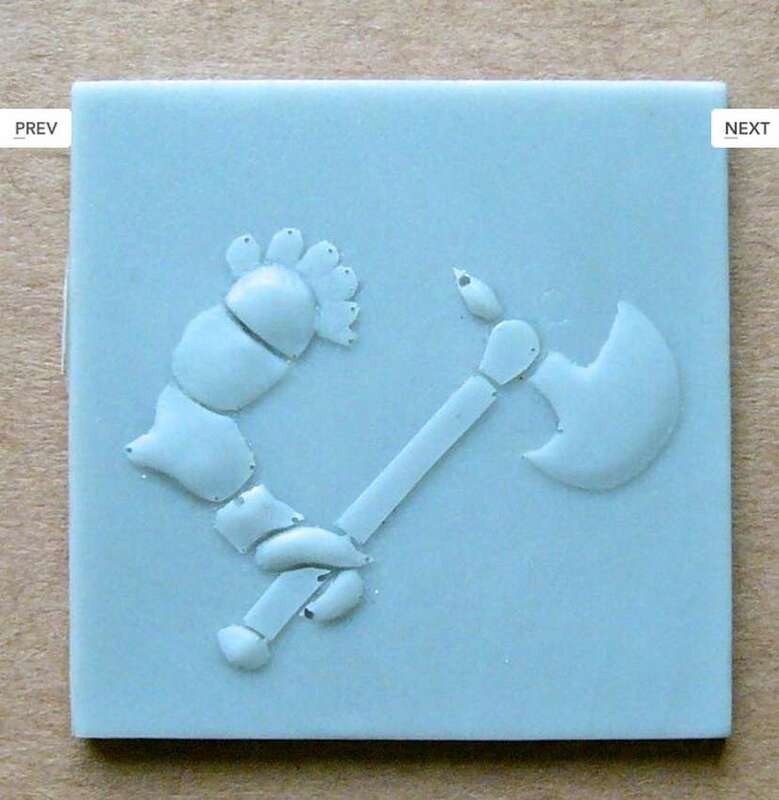 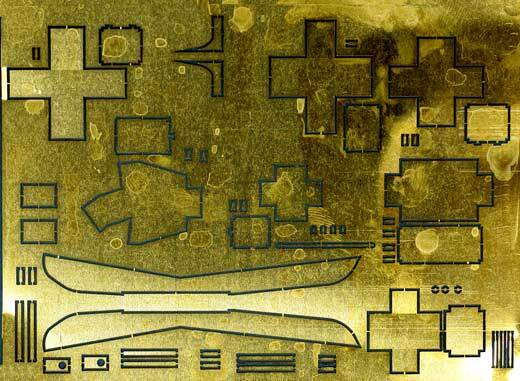 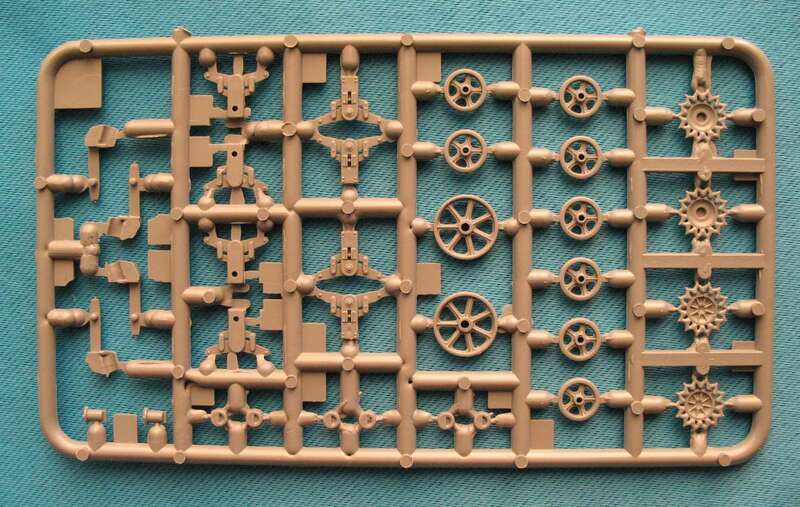 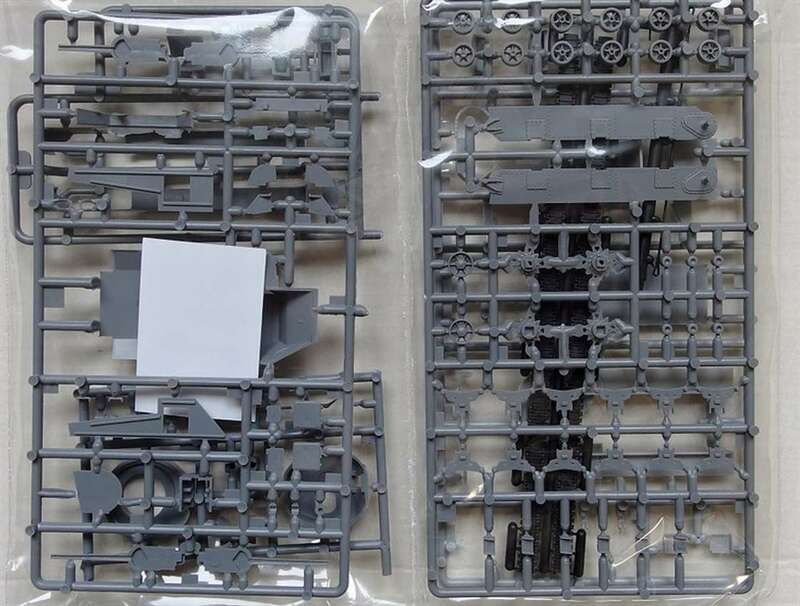 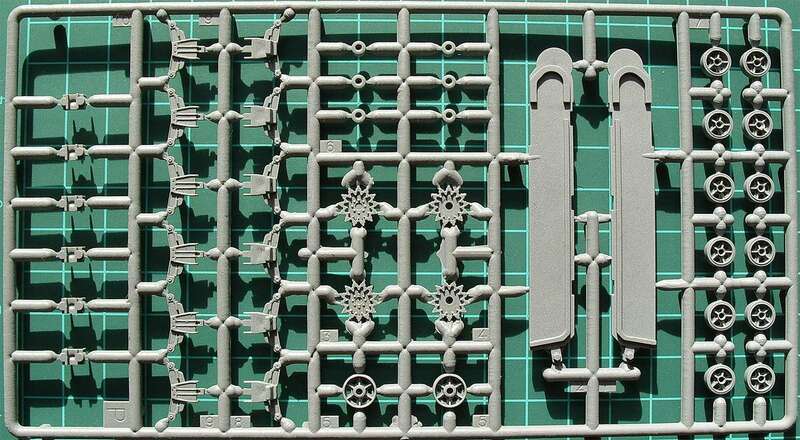 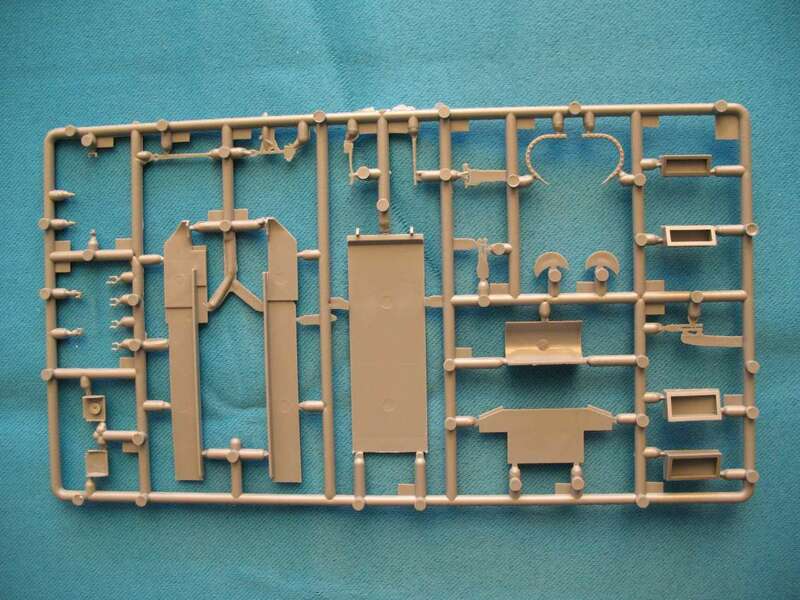 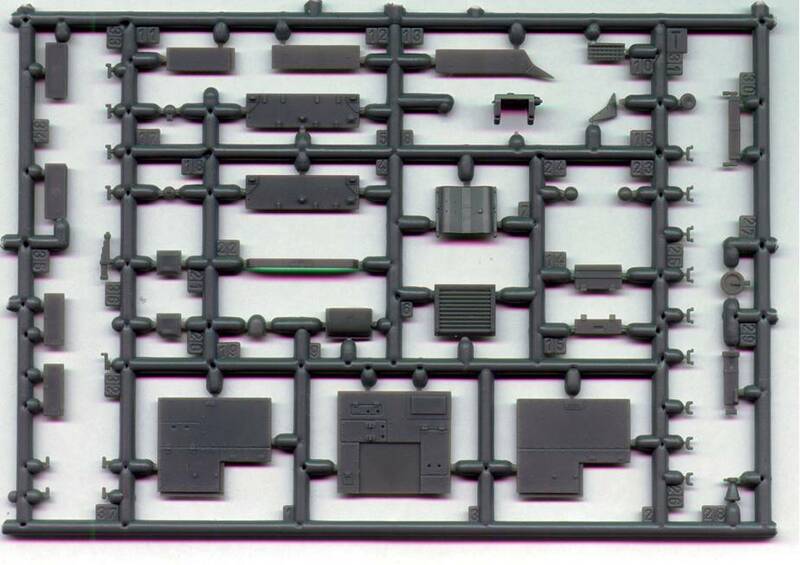 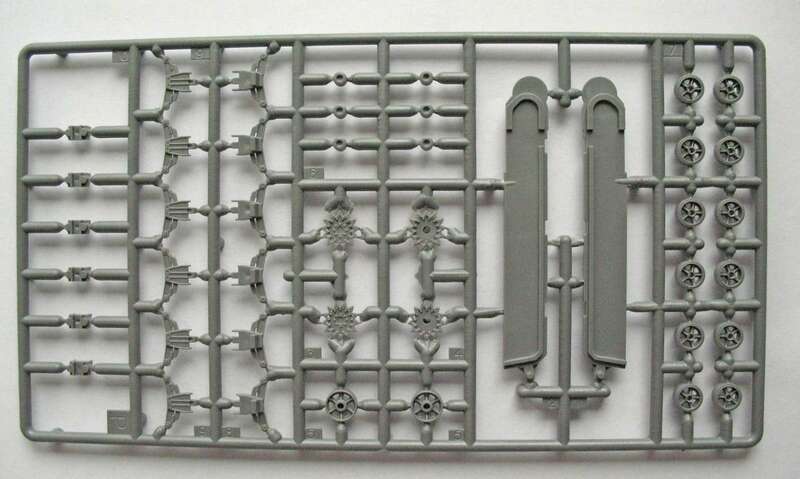 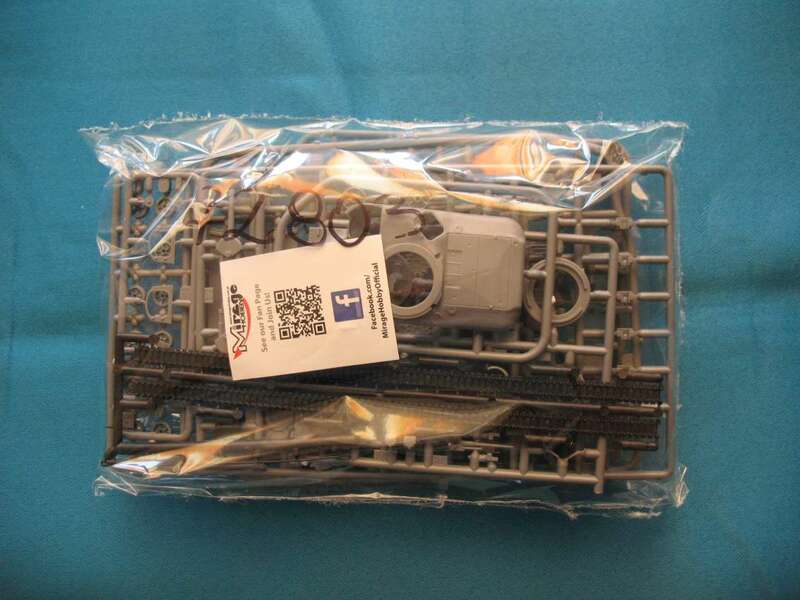 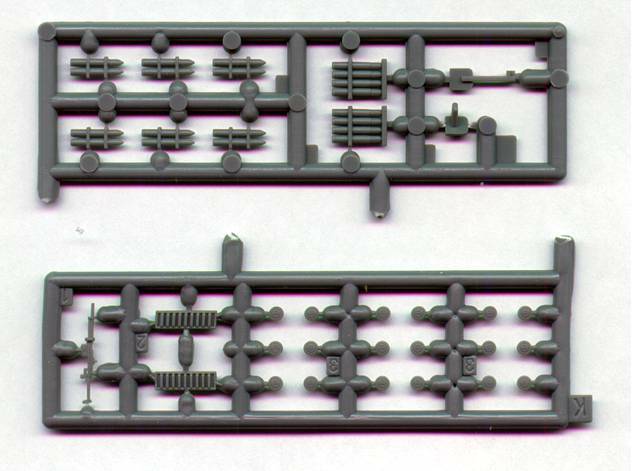 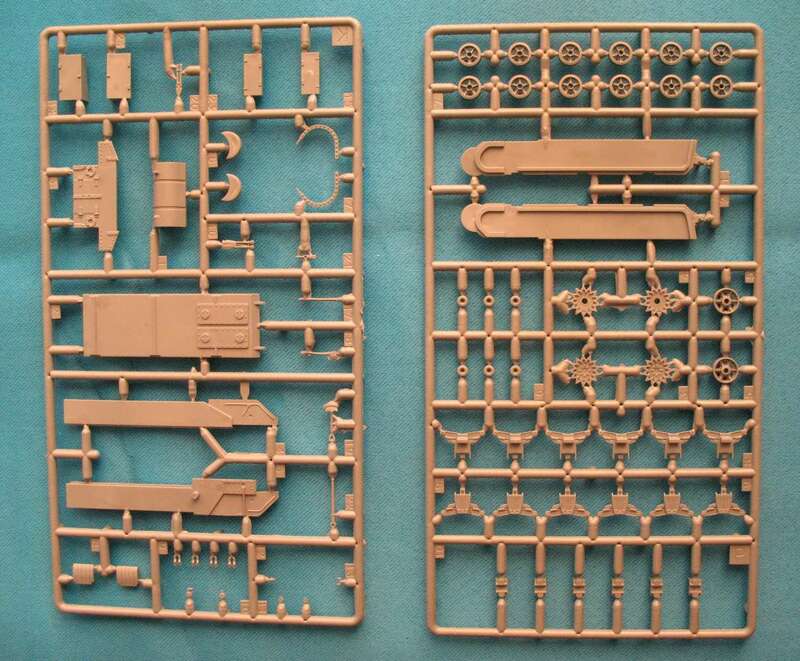 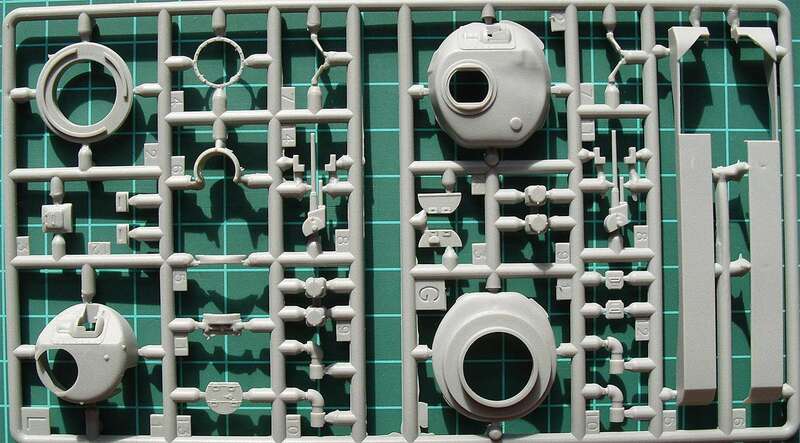 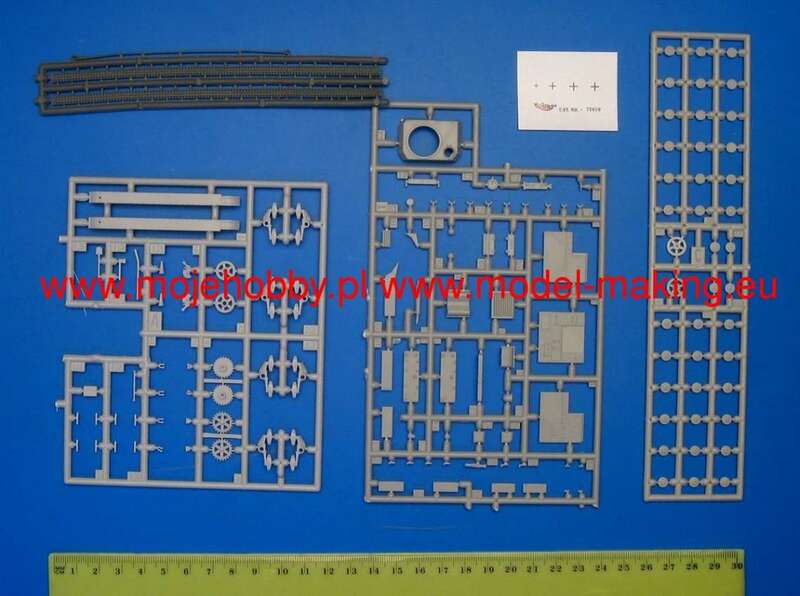 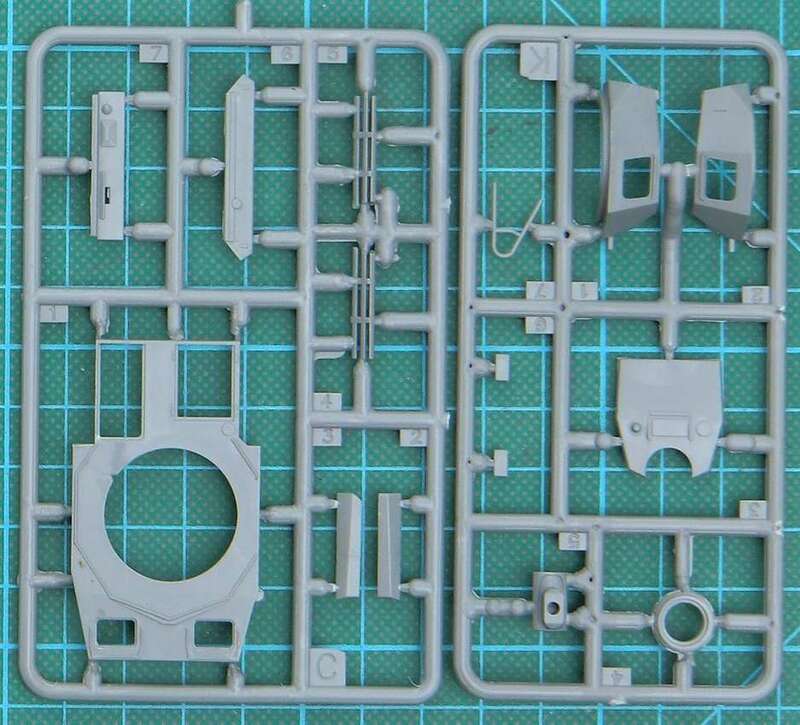 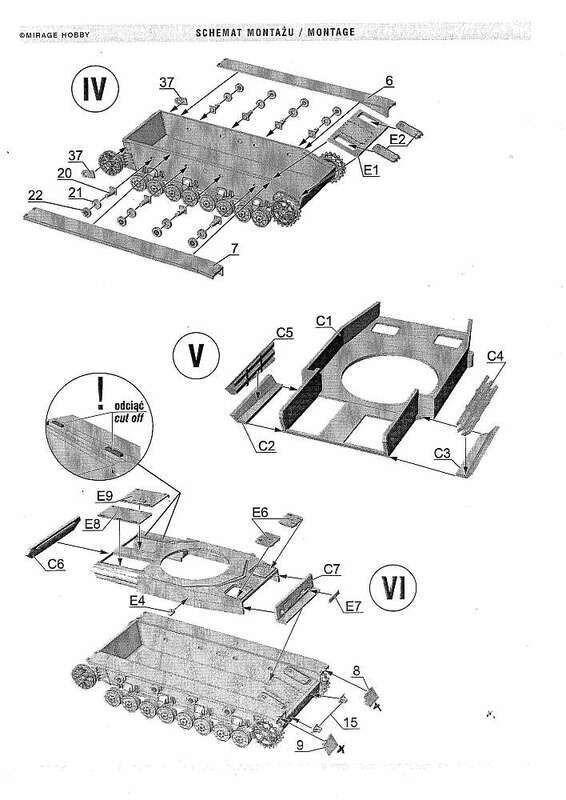 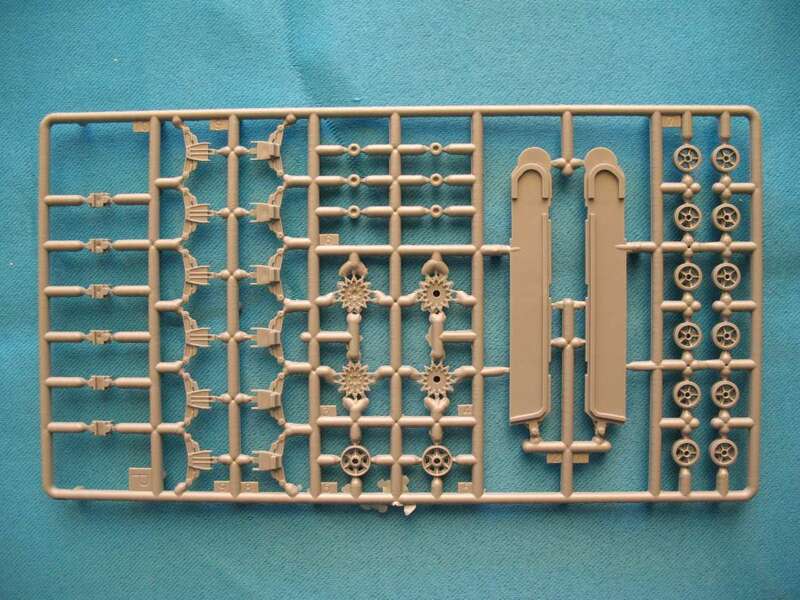 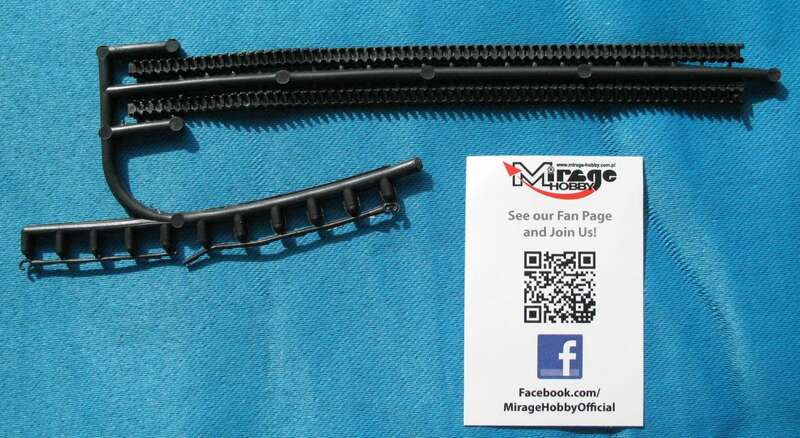 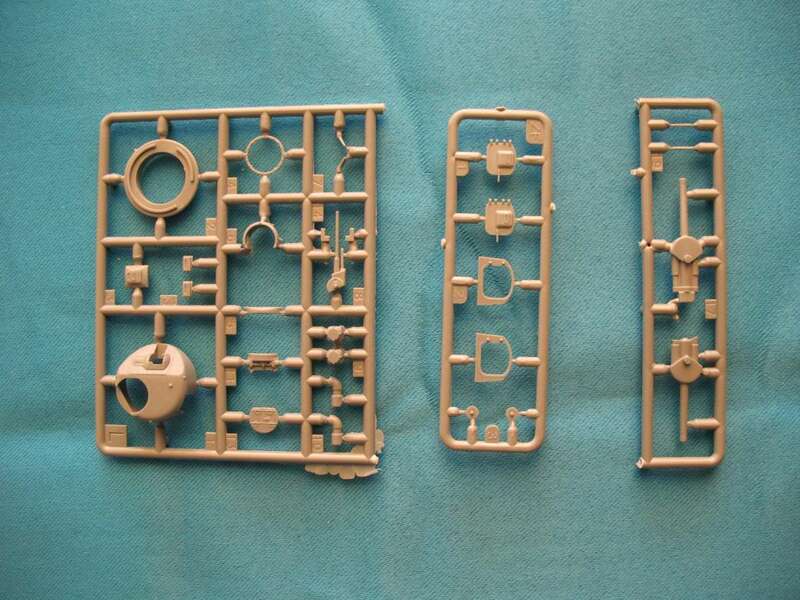 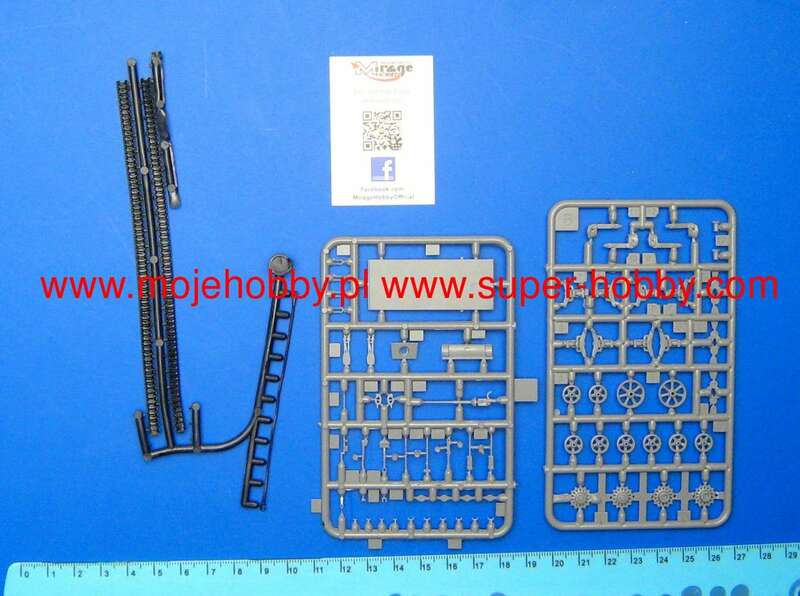 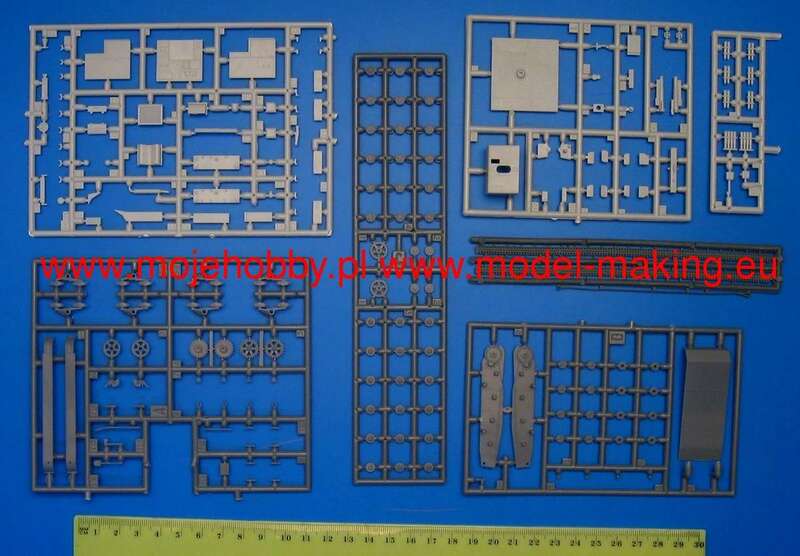 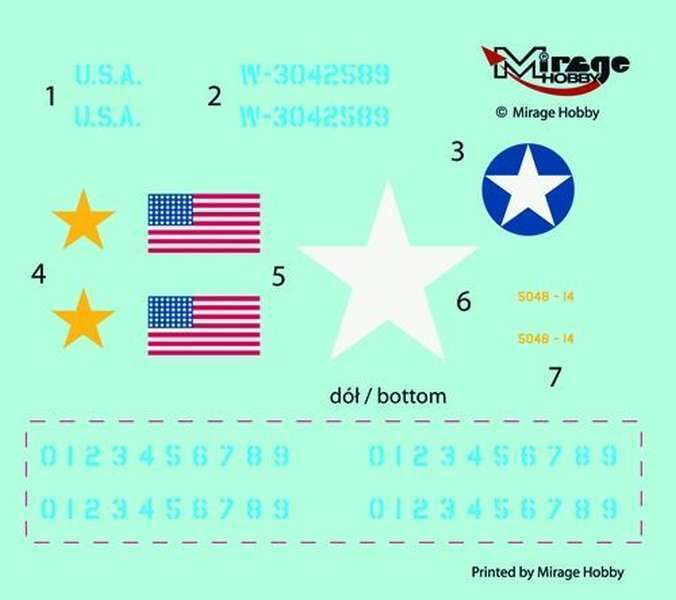 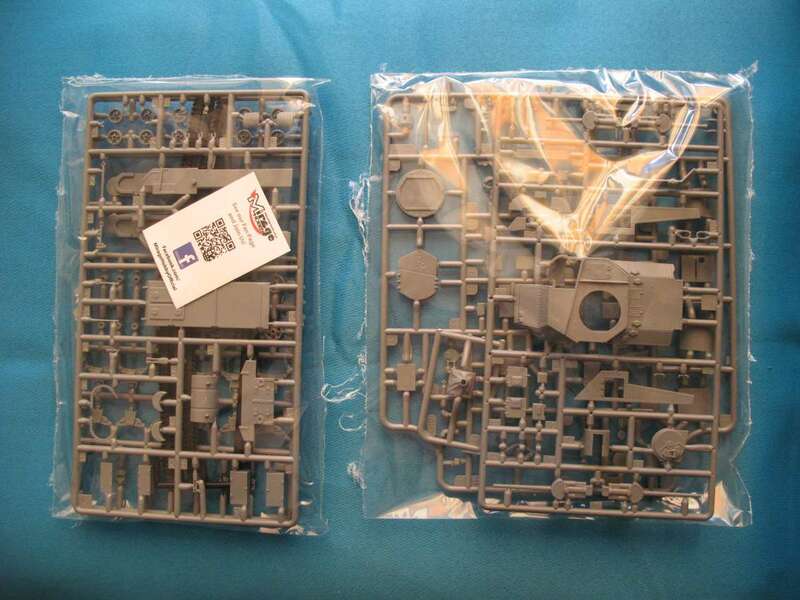 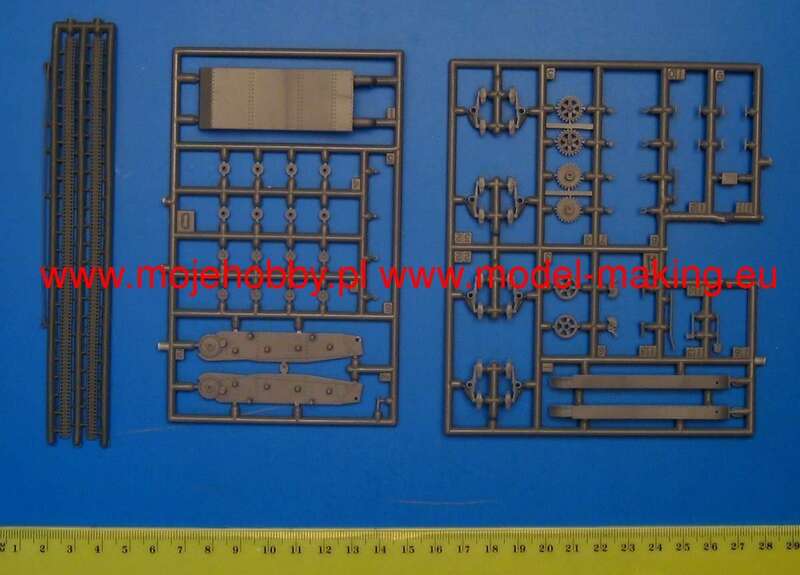 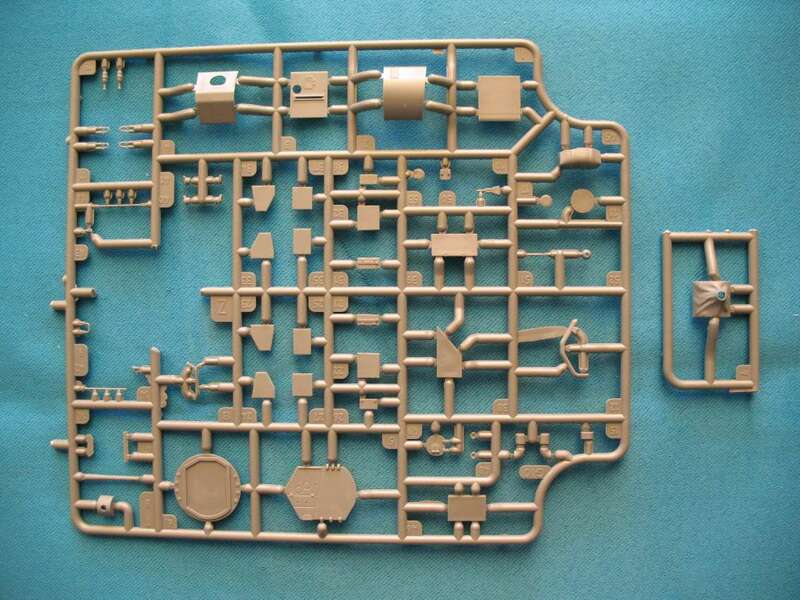 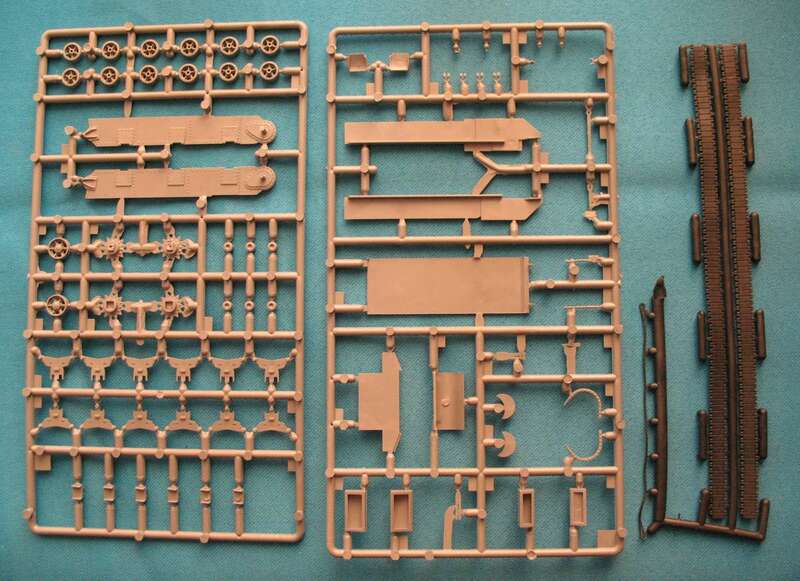 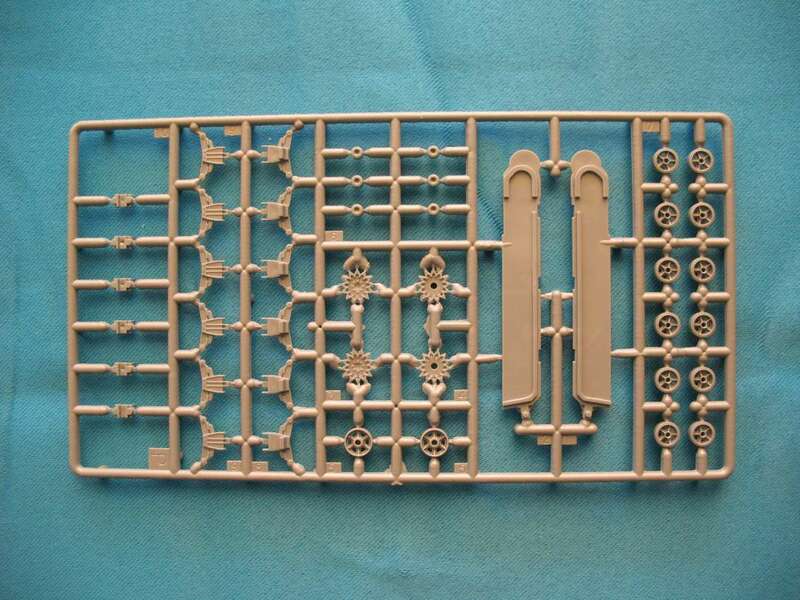 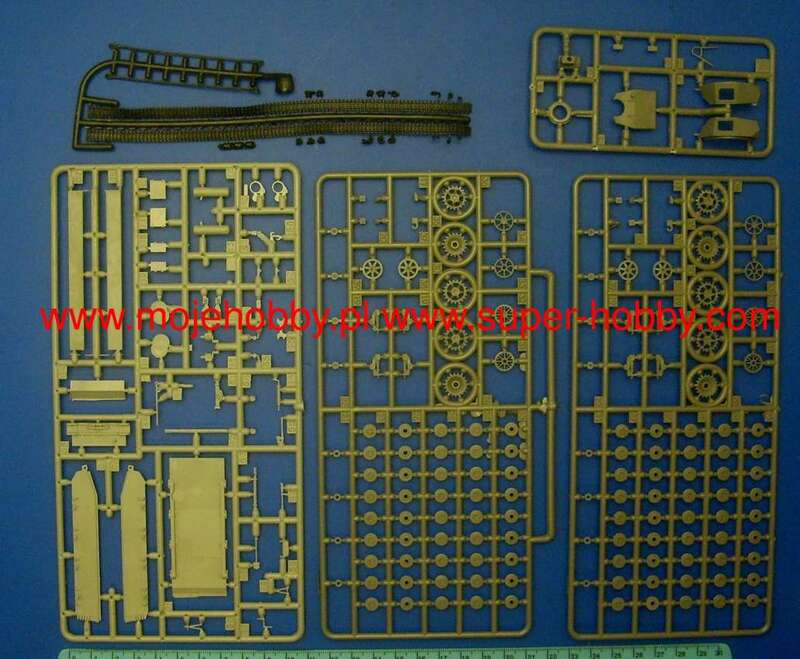 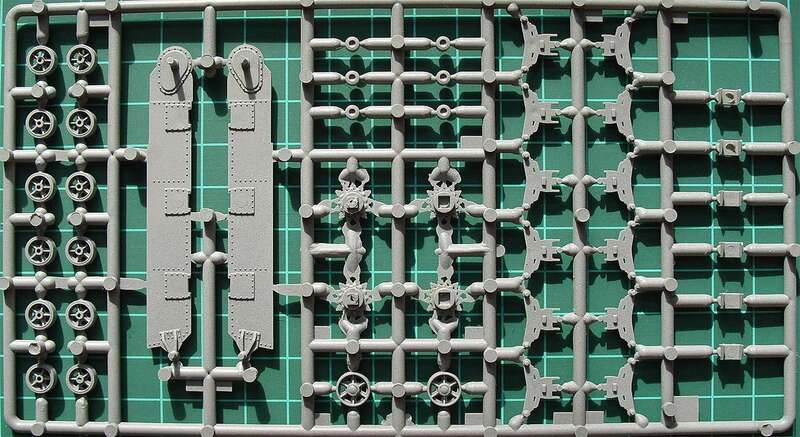 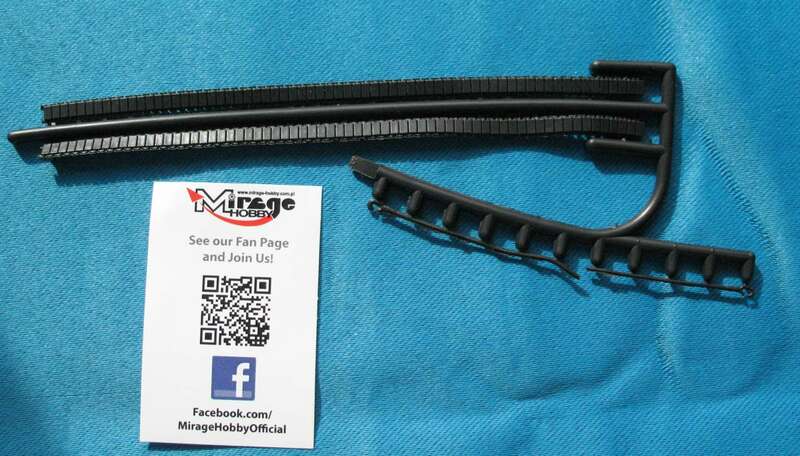 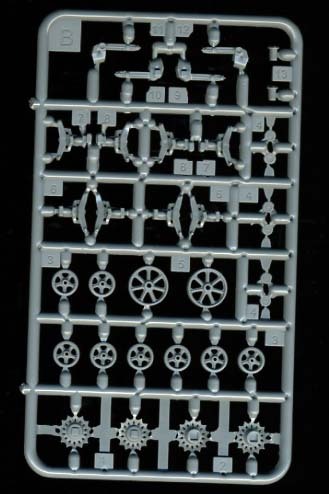 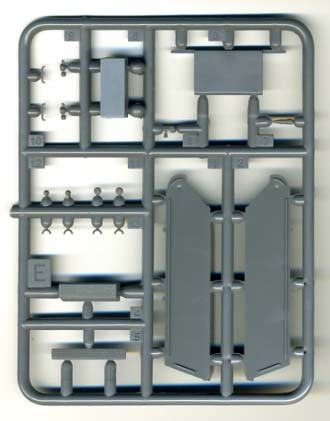 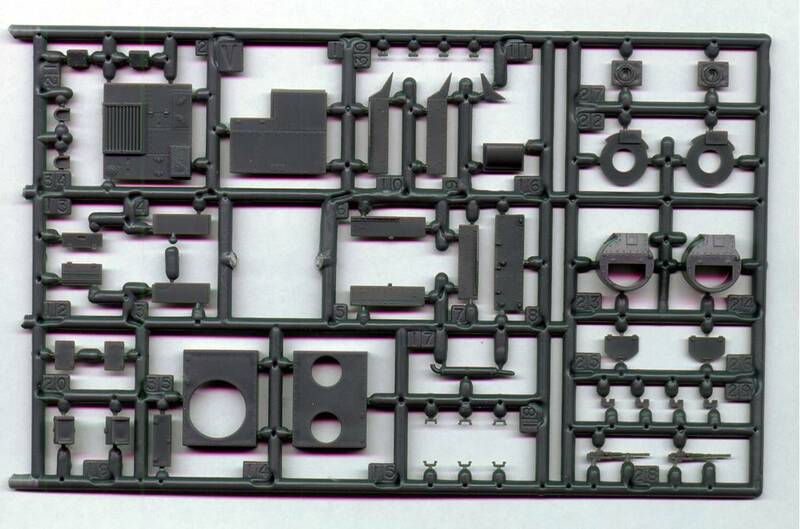 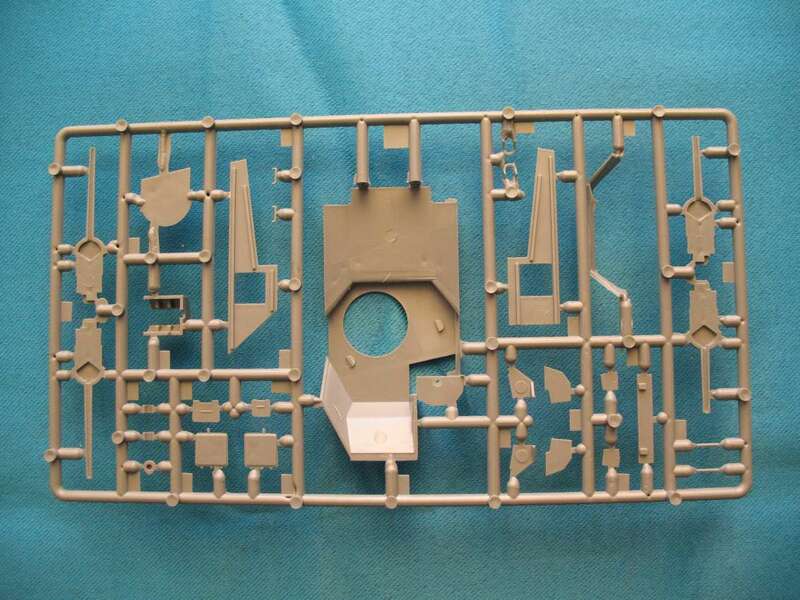 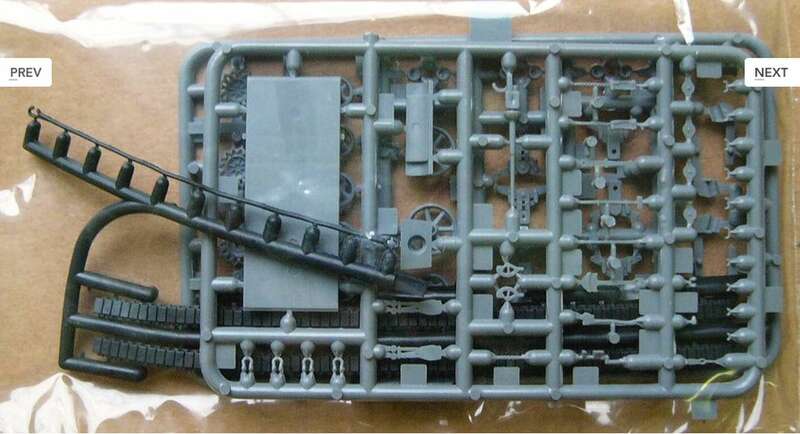 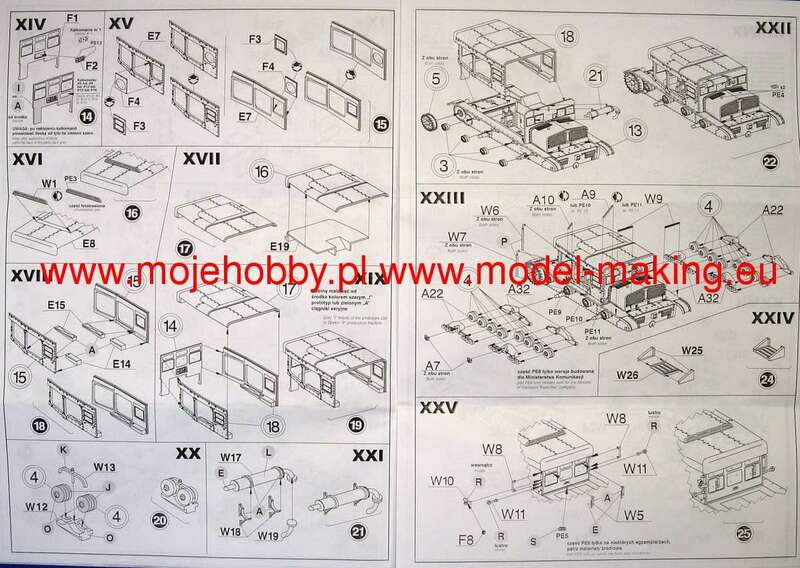 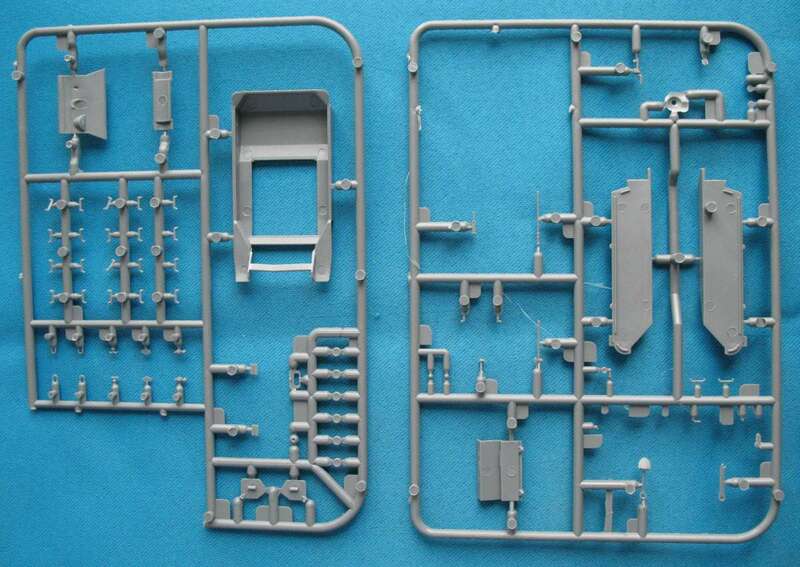 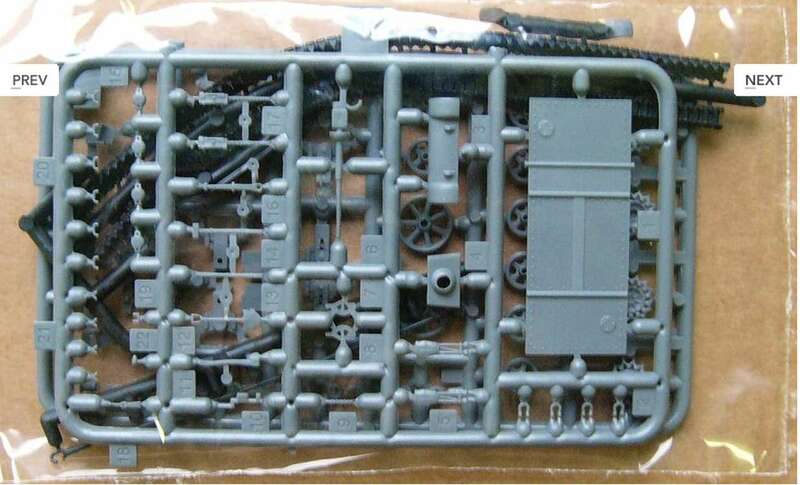 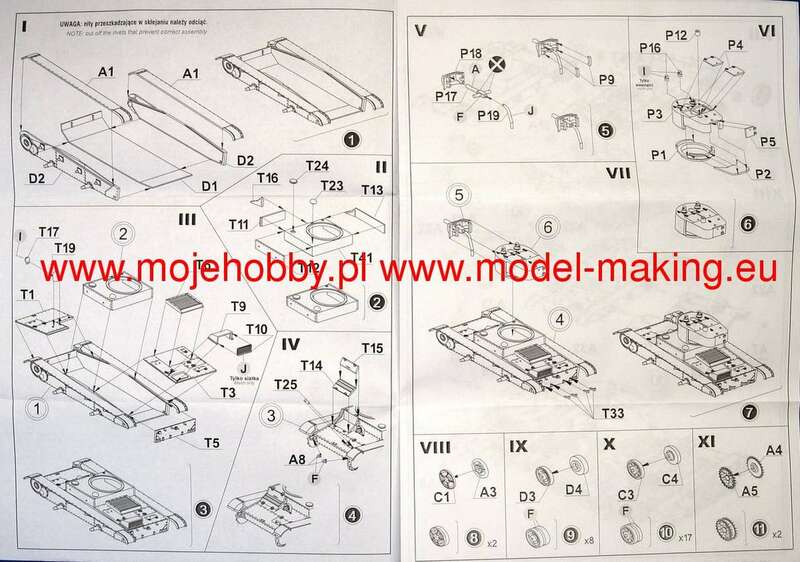 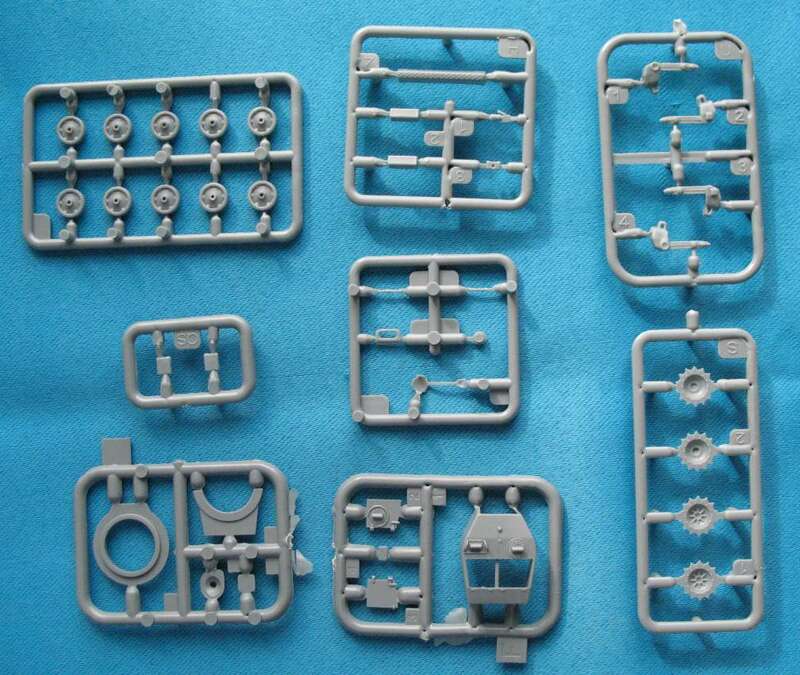 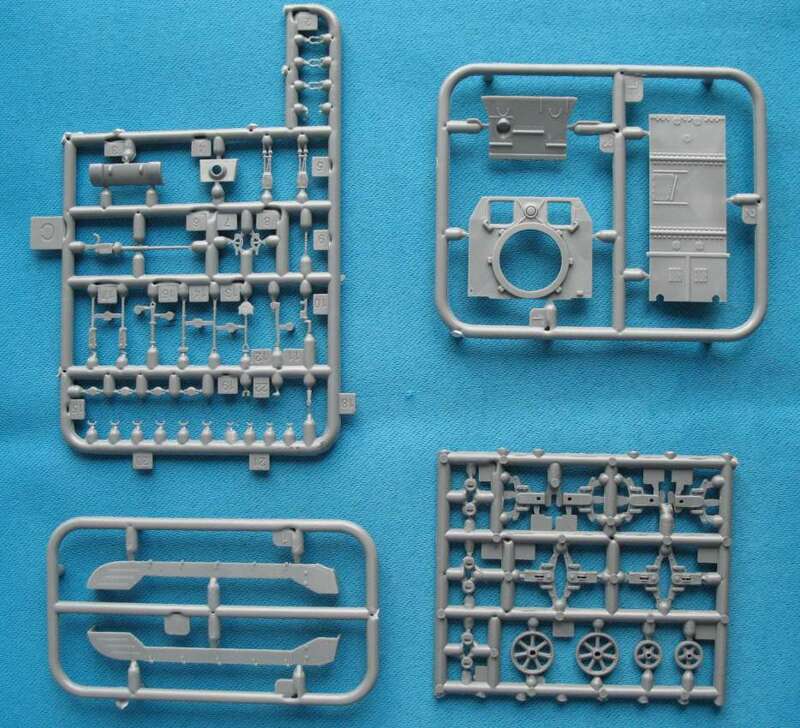 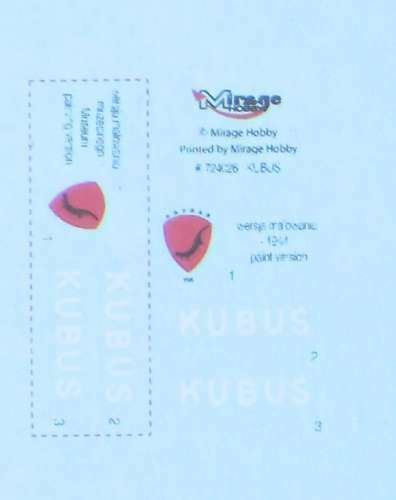 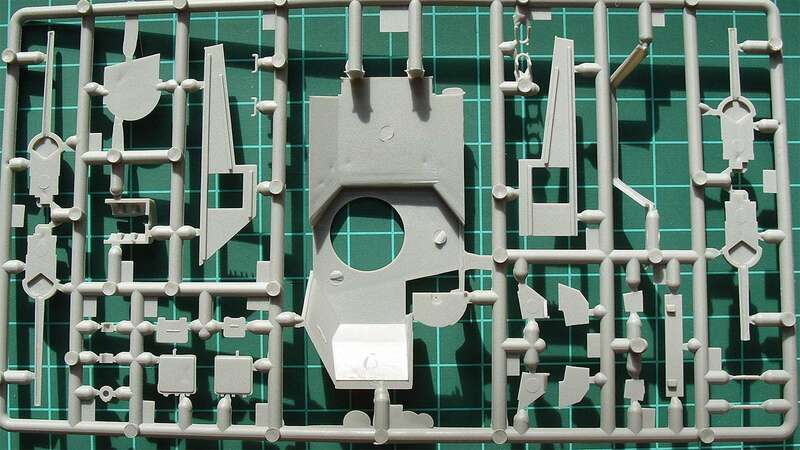 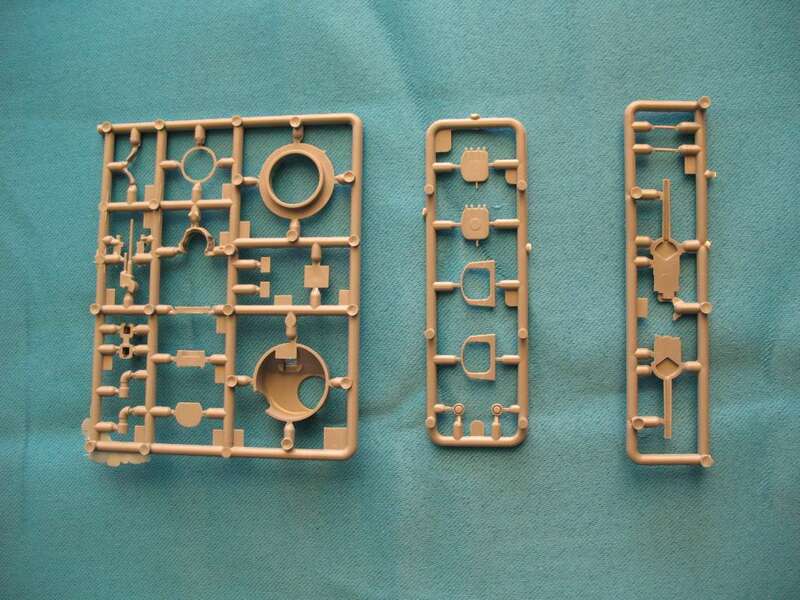 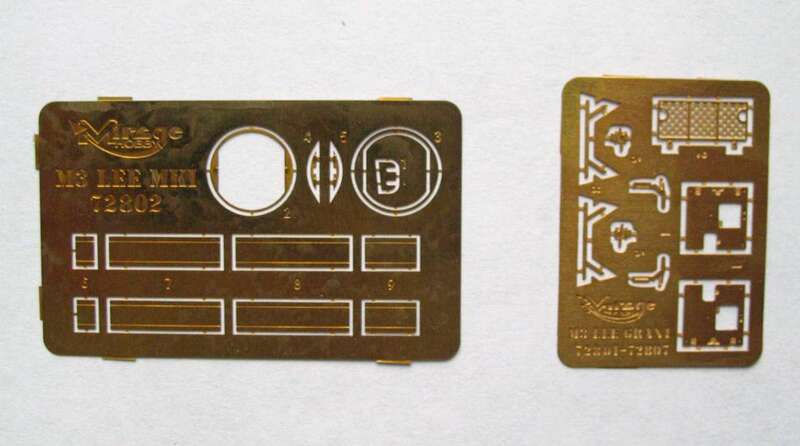 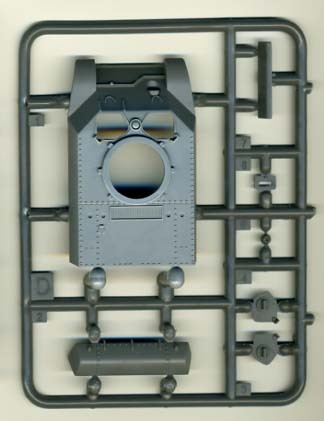 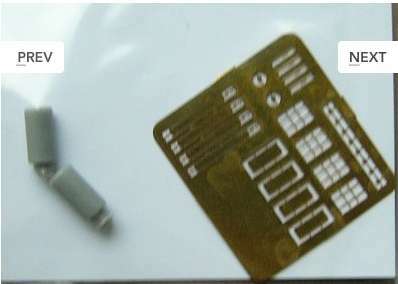 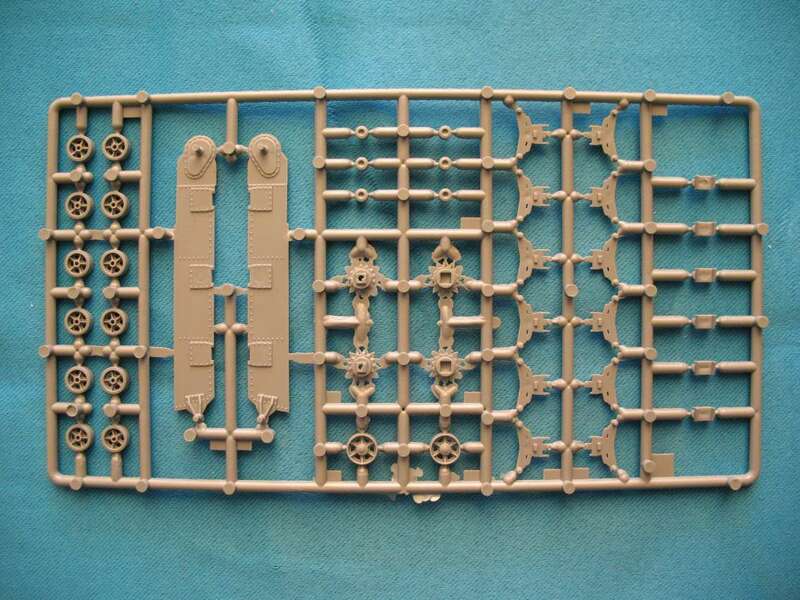 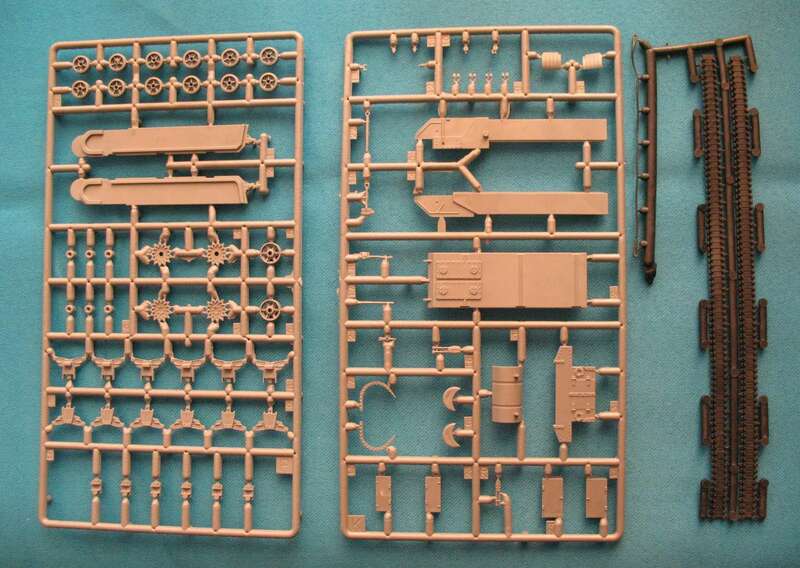 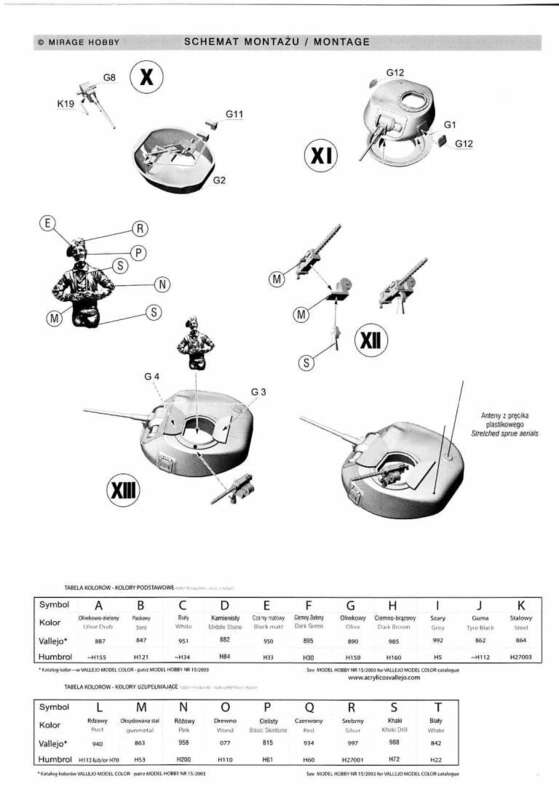 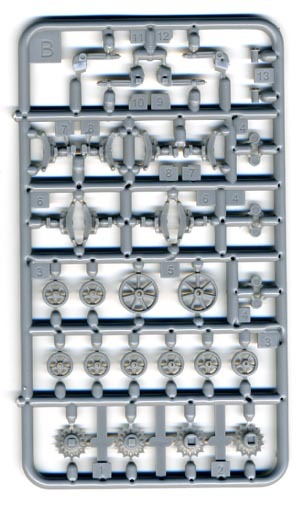 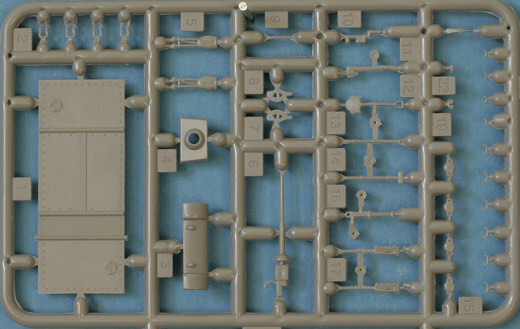 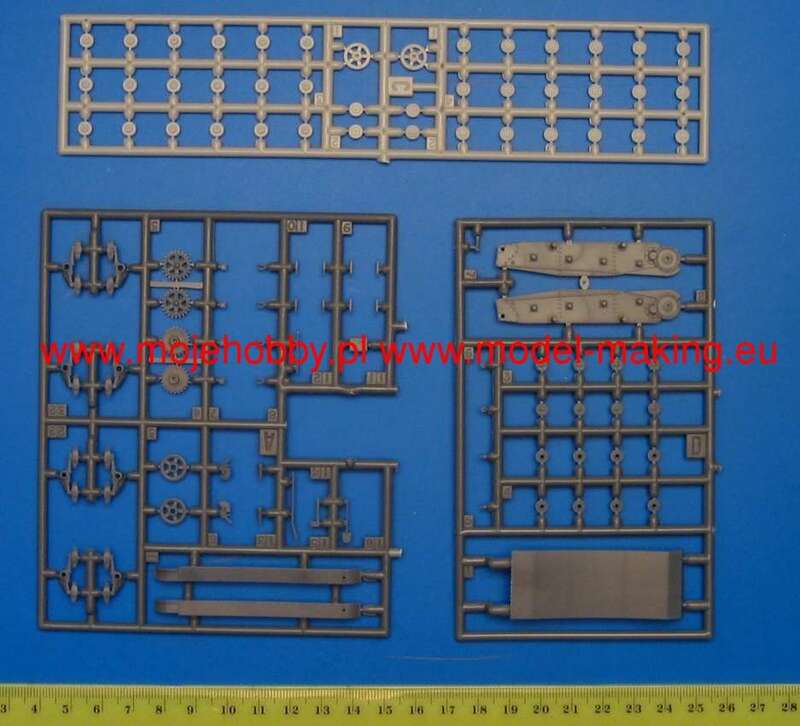 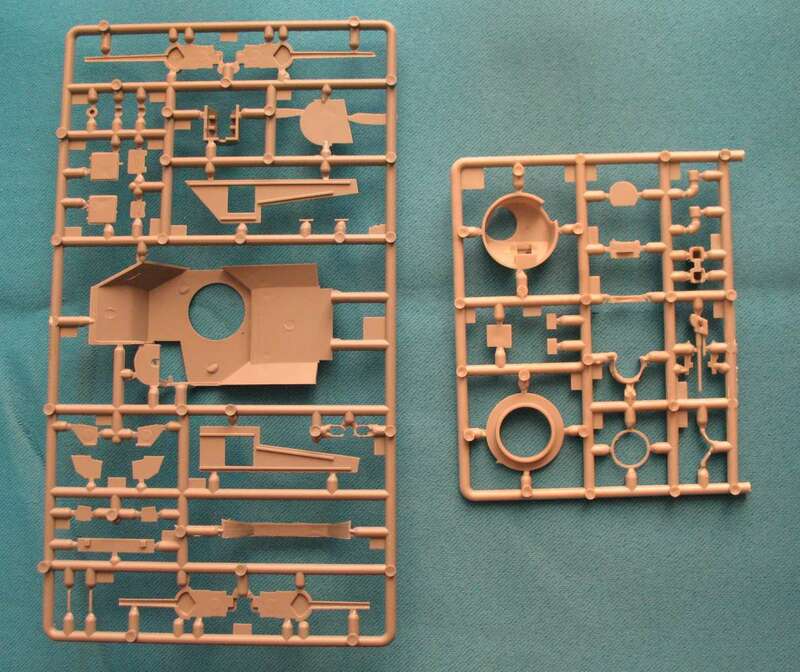 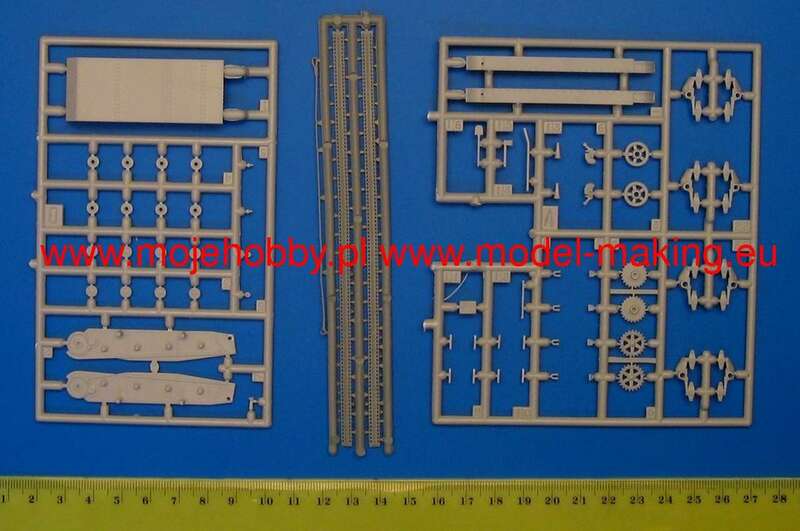 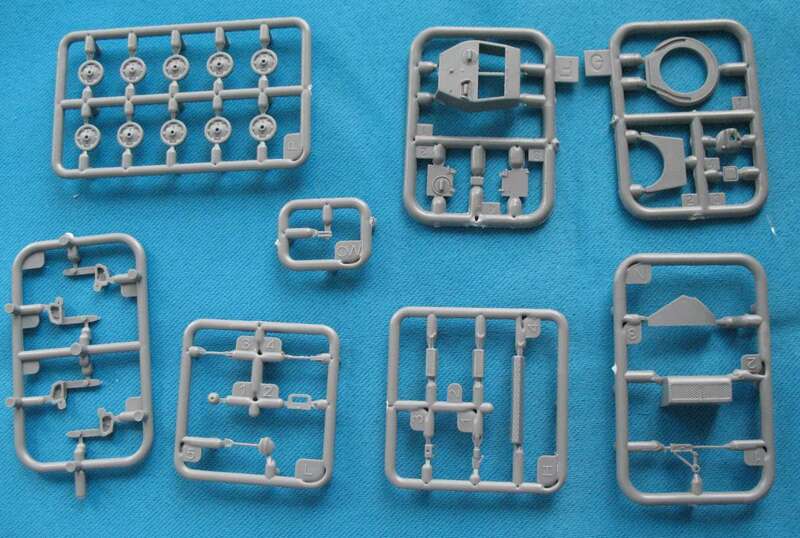 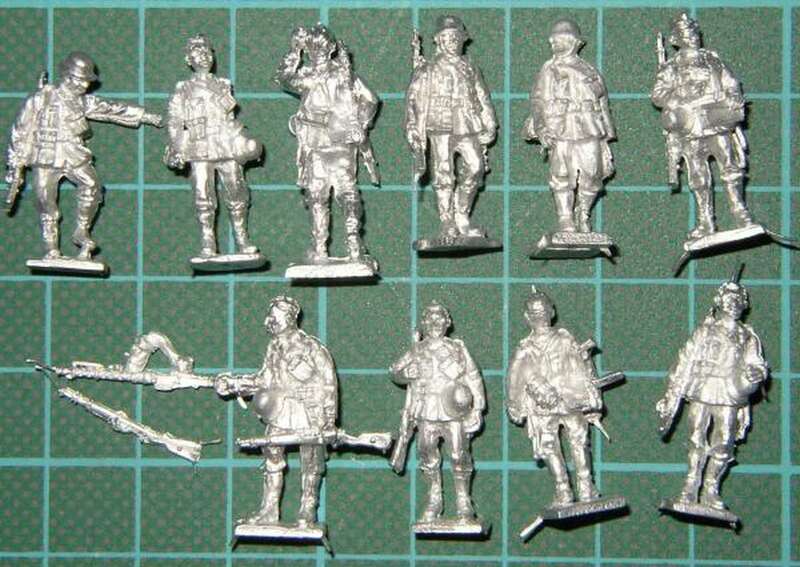 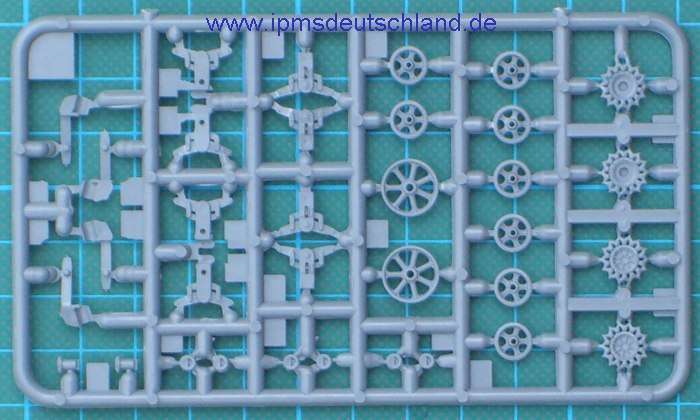 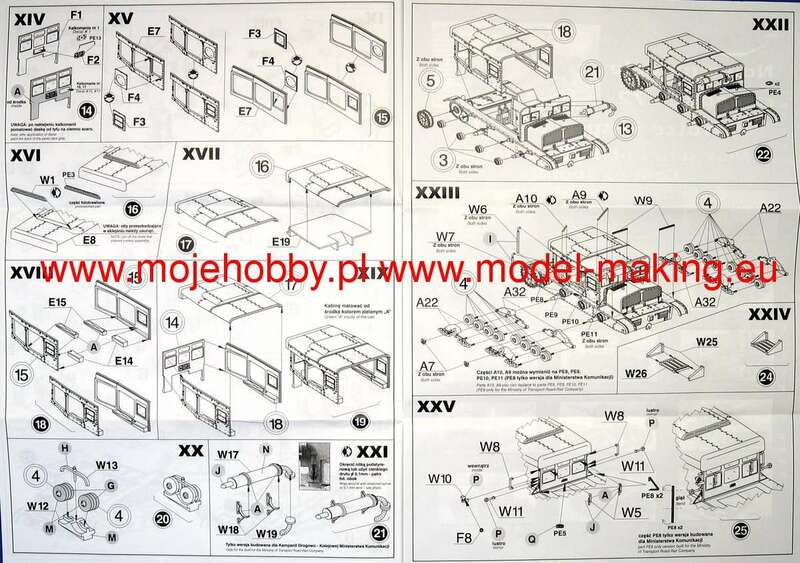 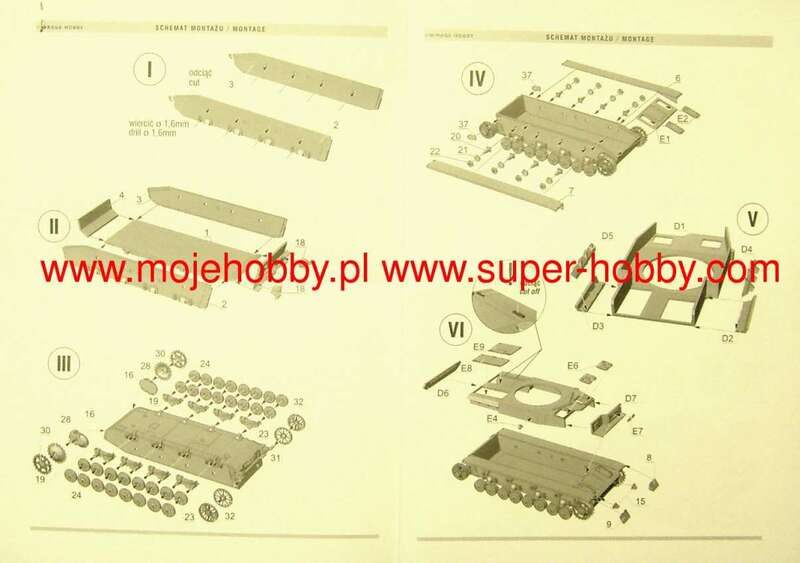 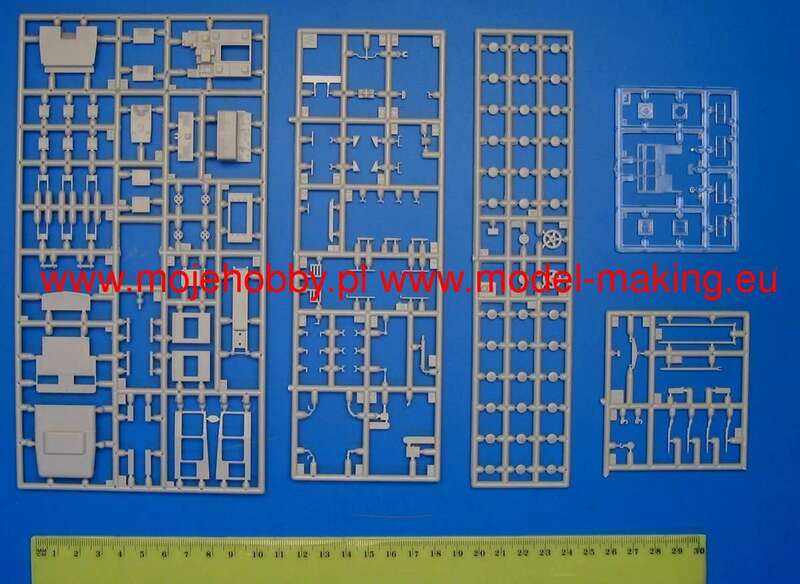 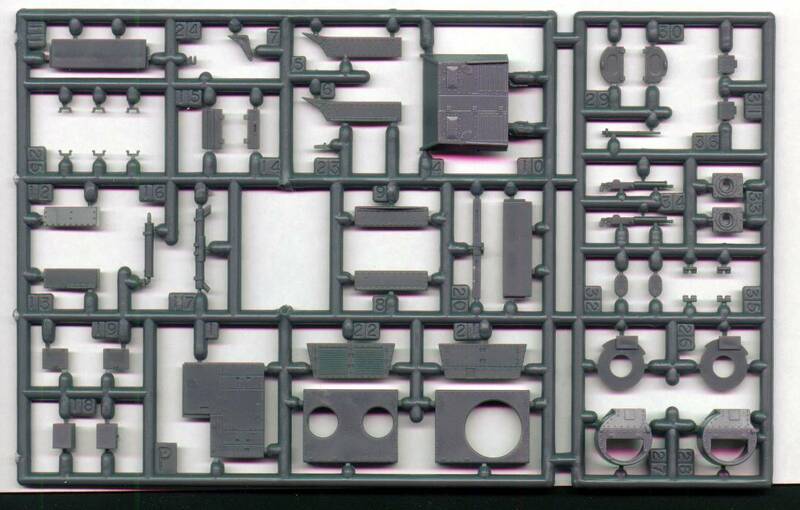 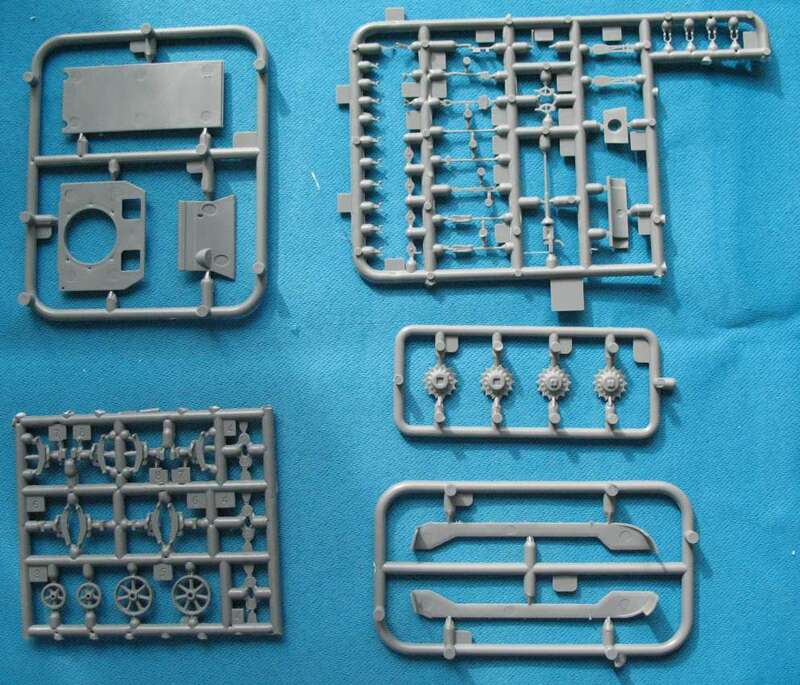 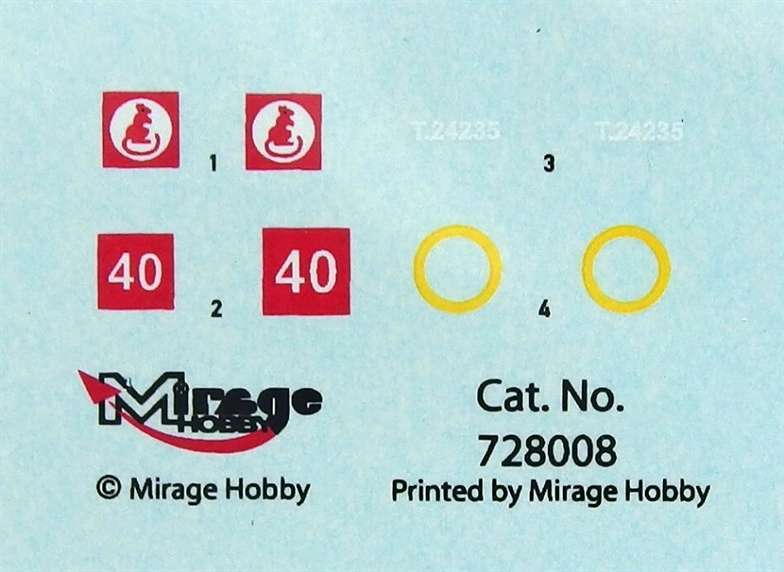 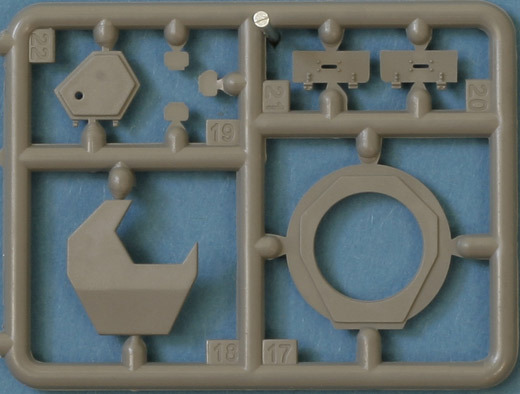 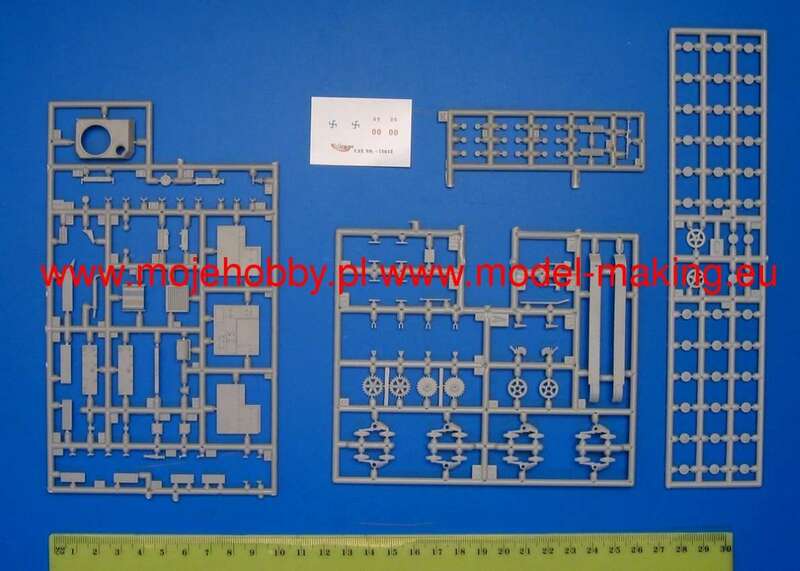 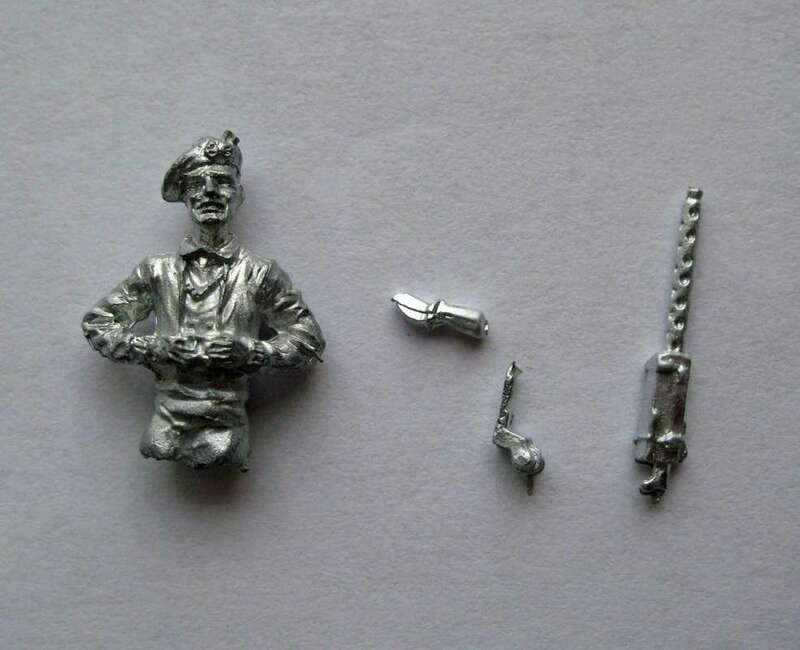 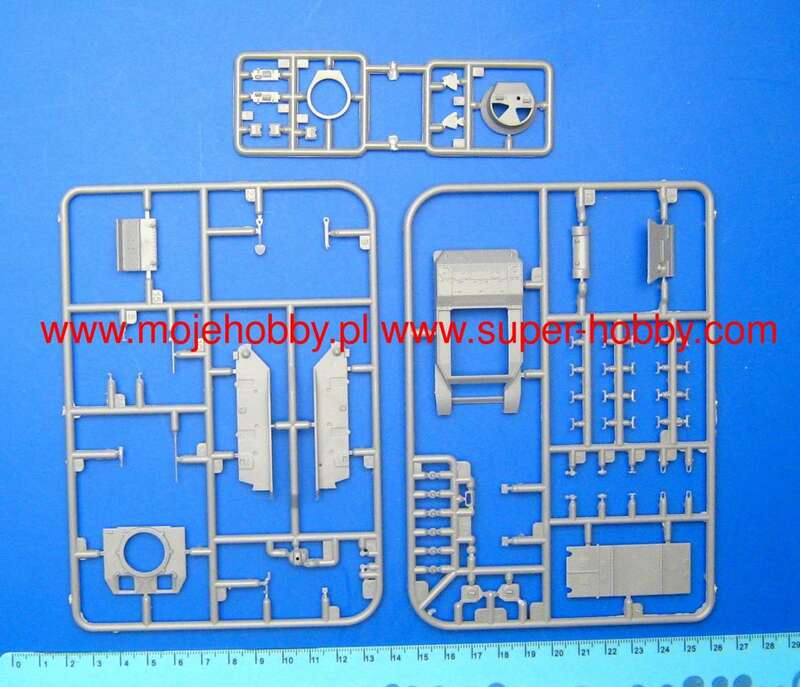 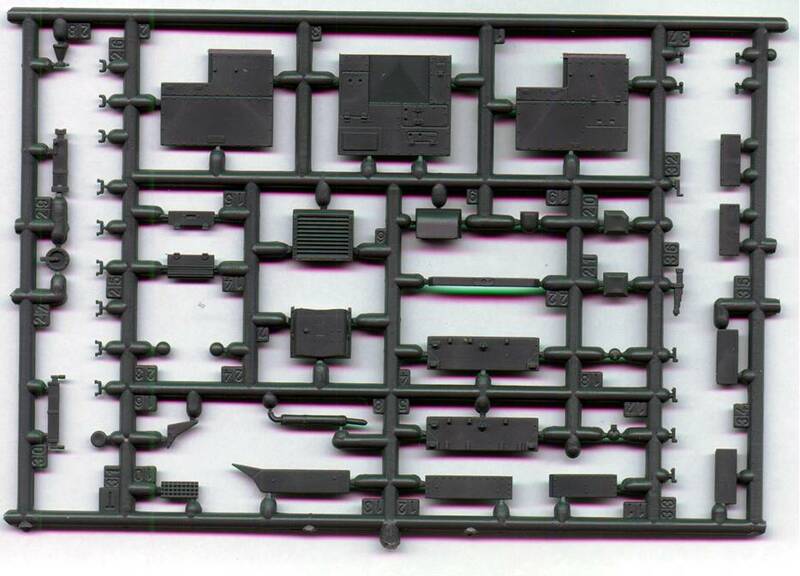 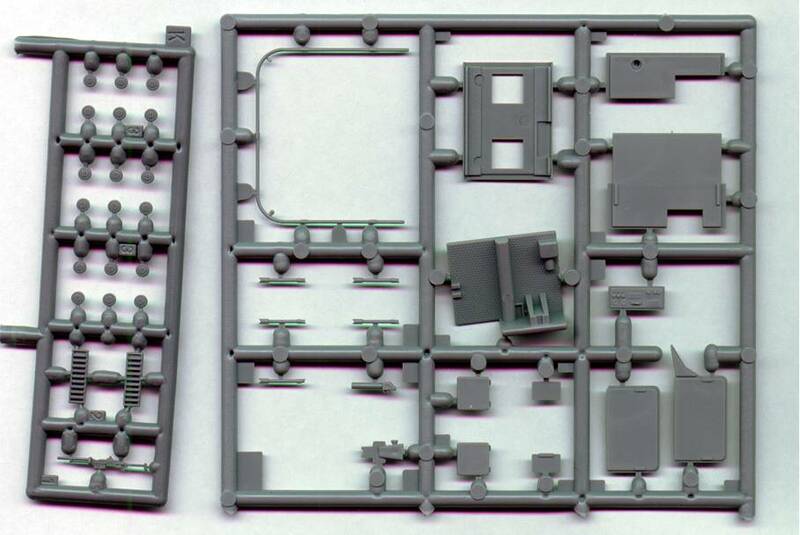 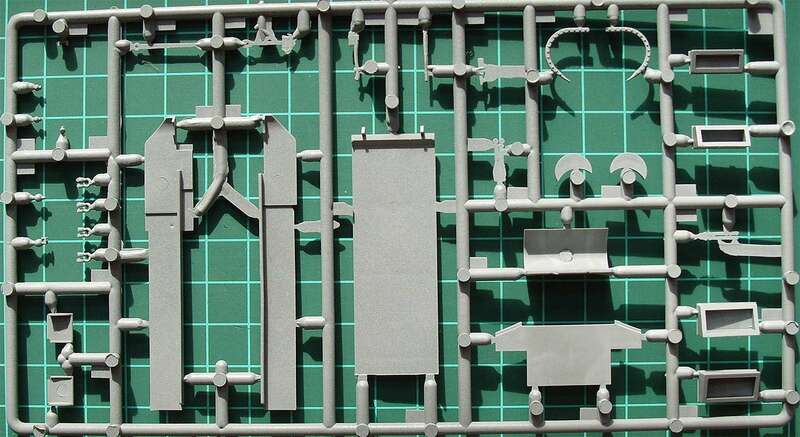 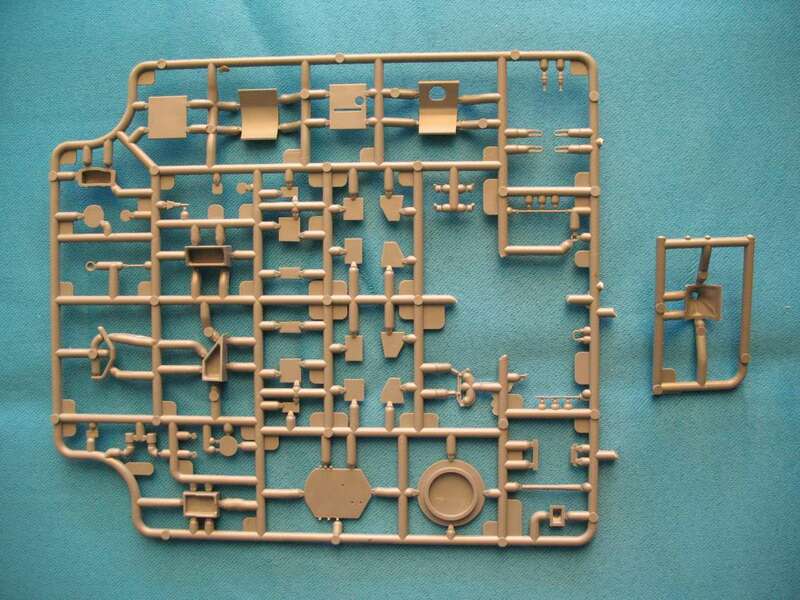 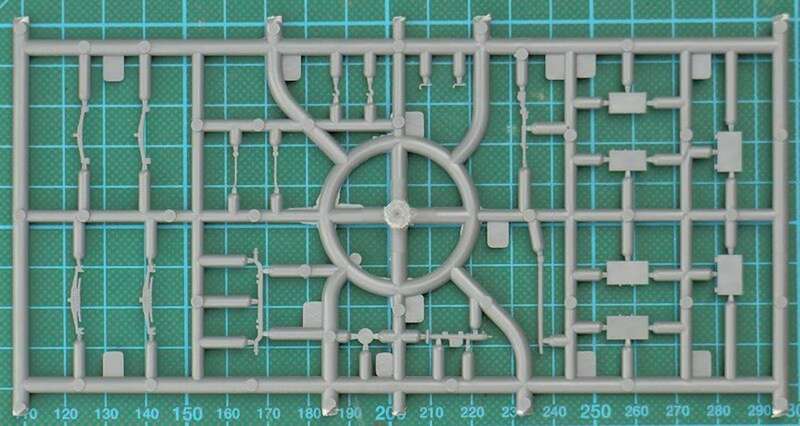 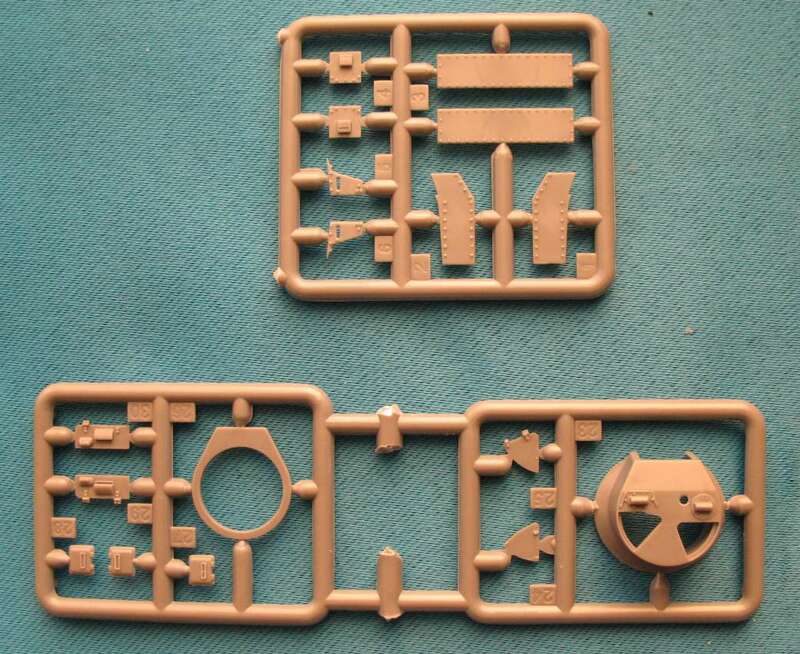 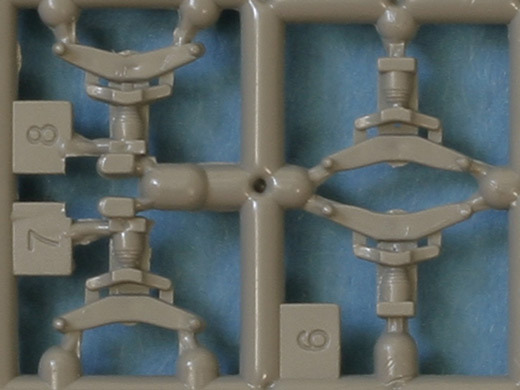 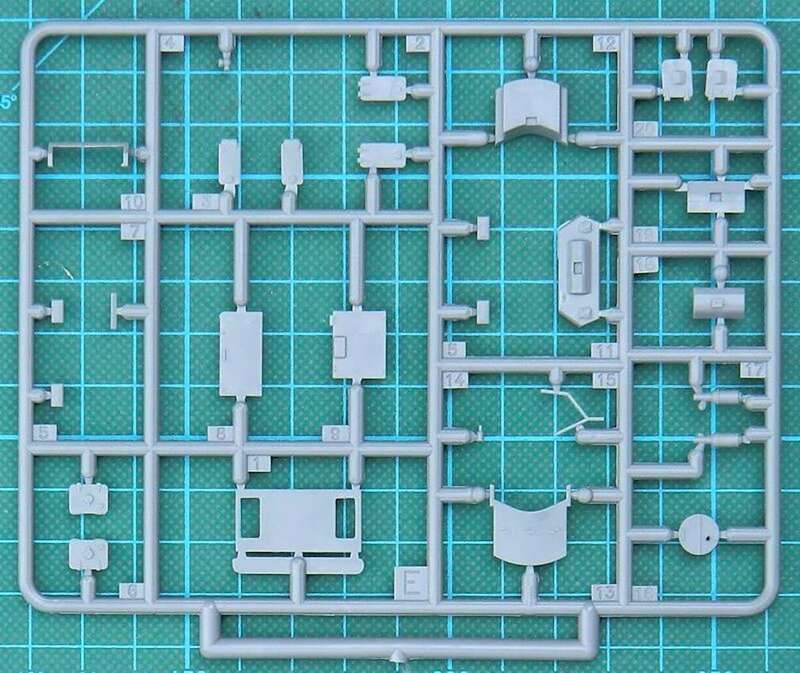 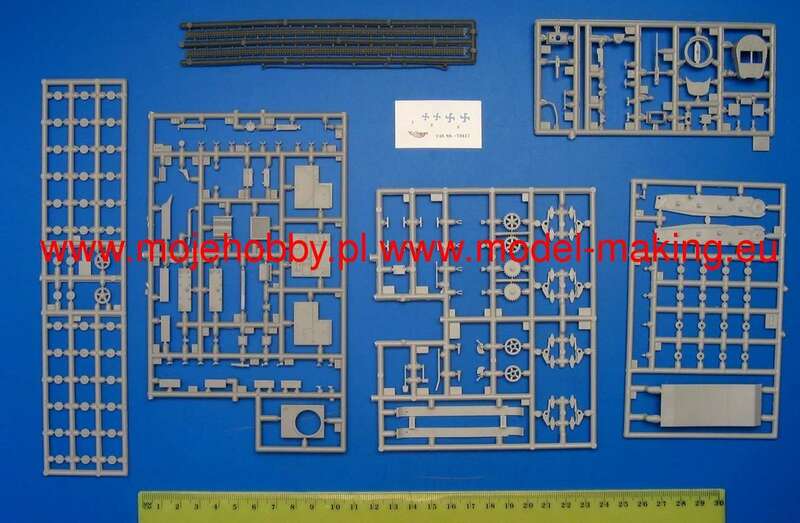 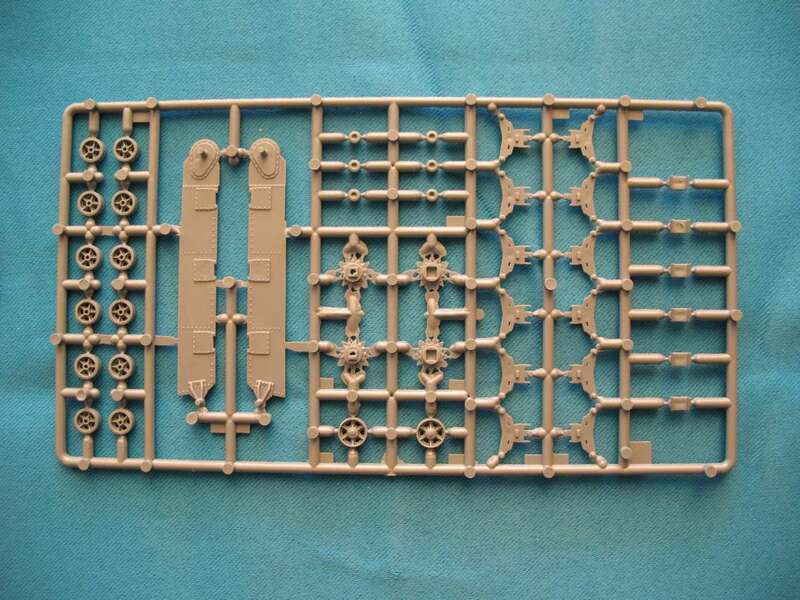 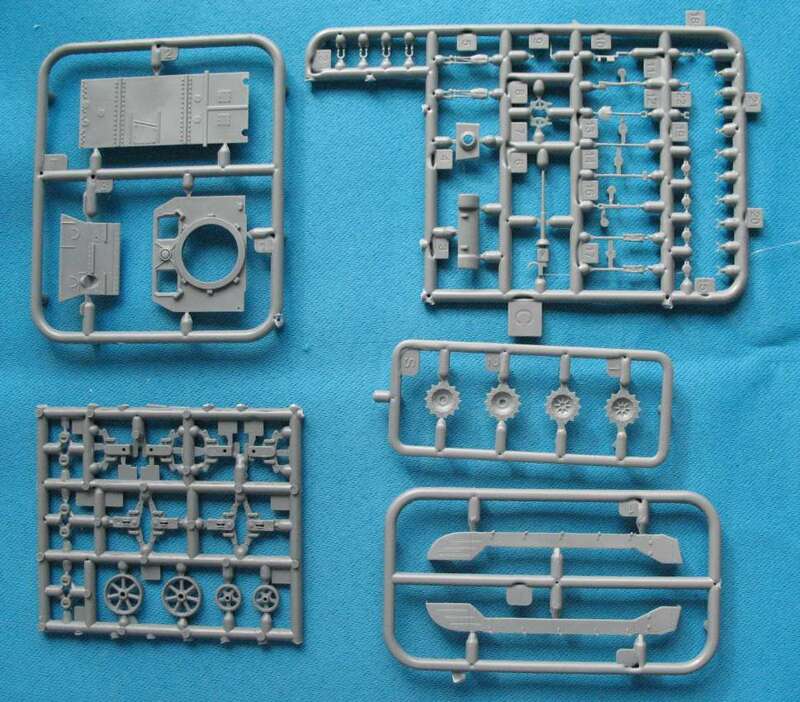 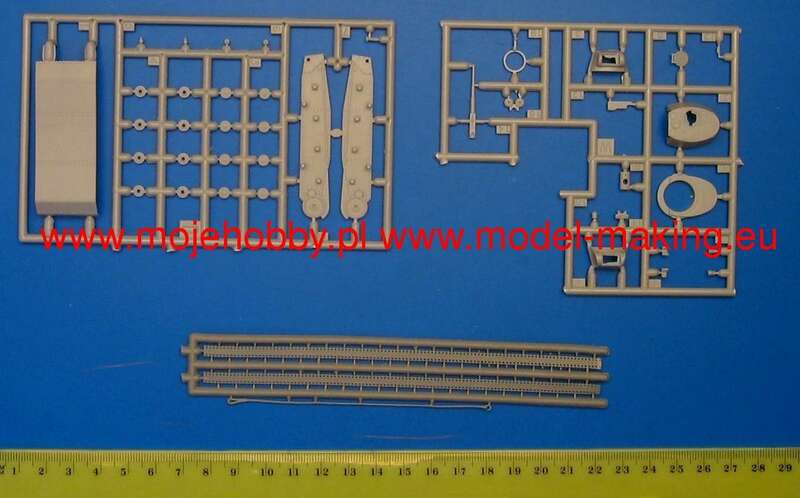 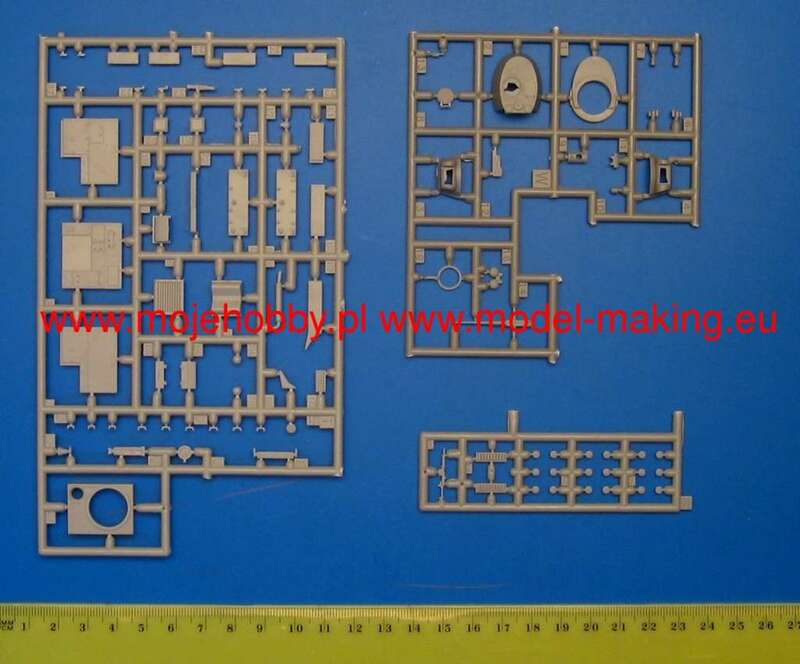 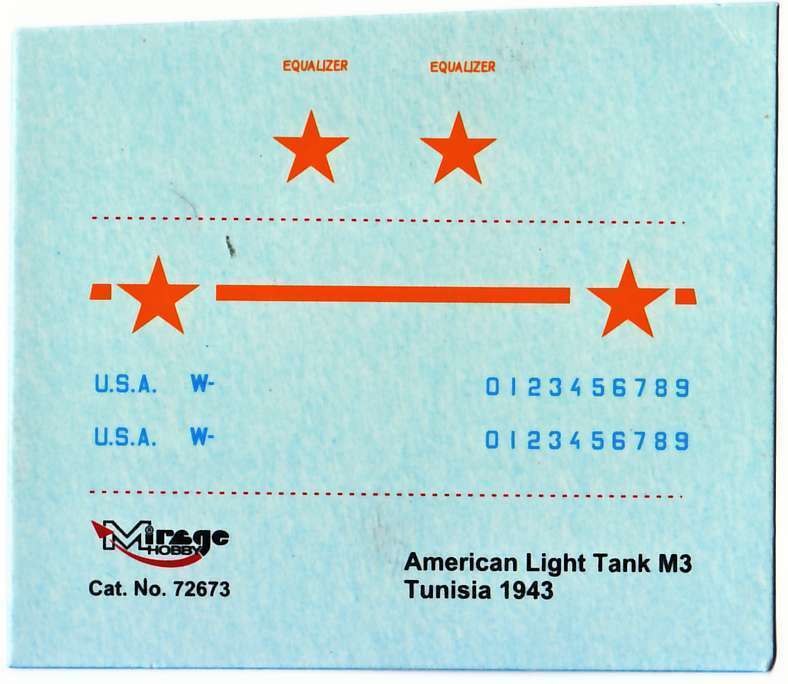 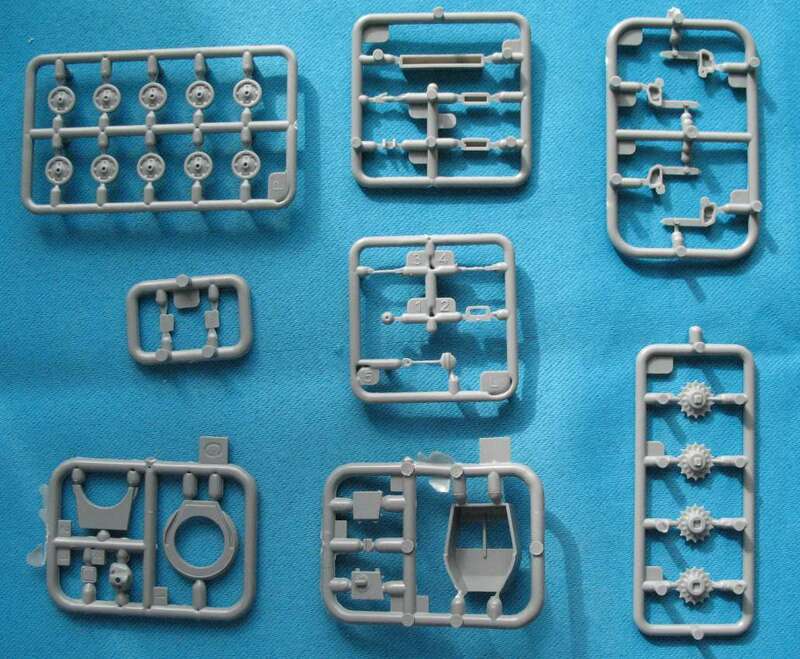 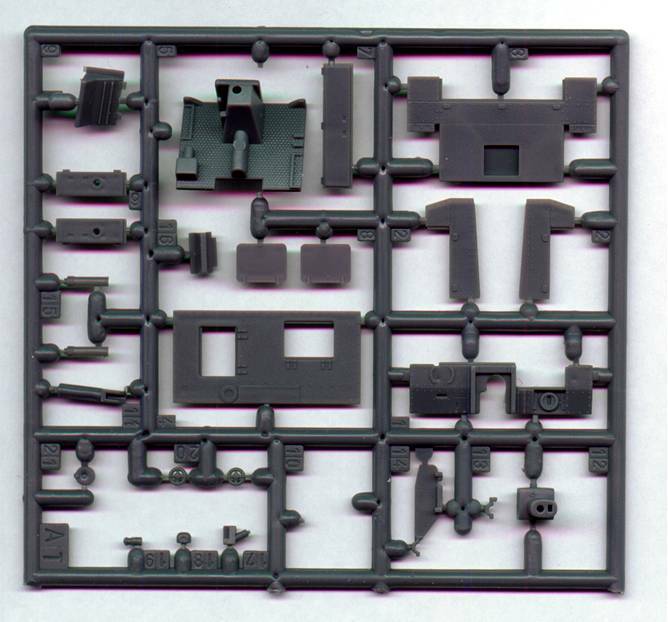 All M3 kits has the same basic sprue's. 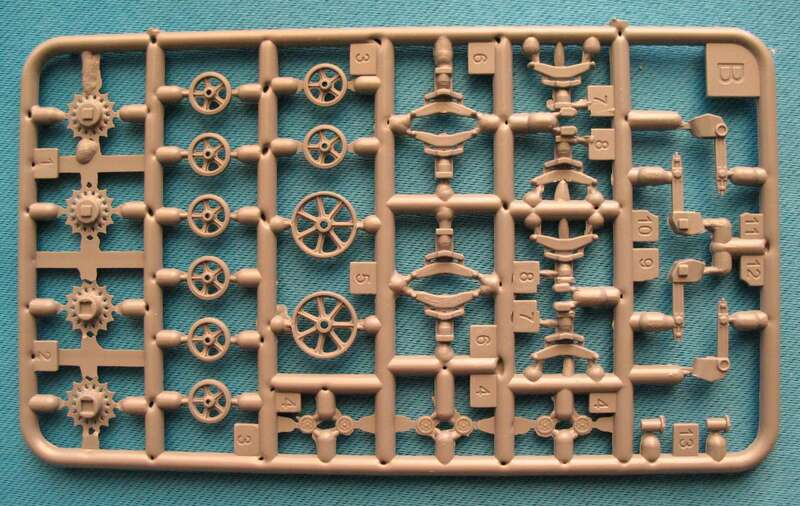 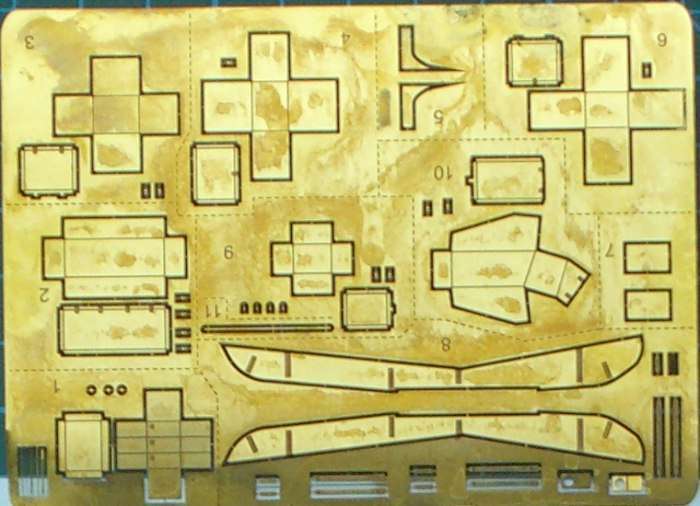 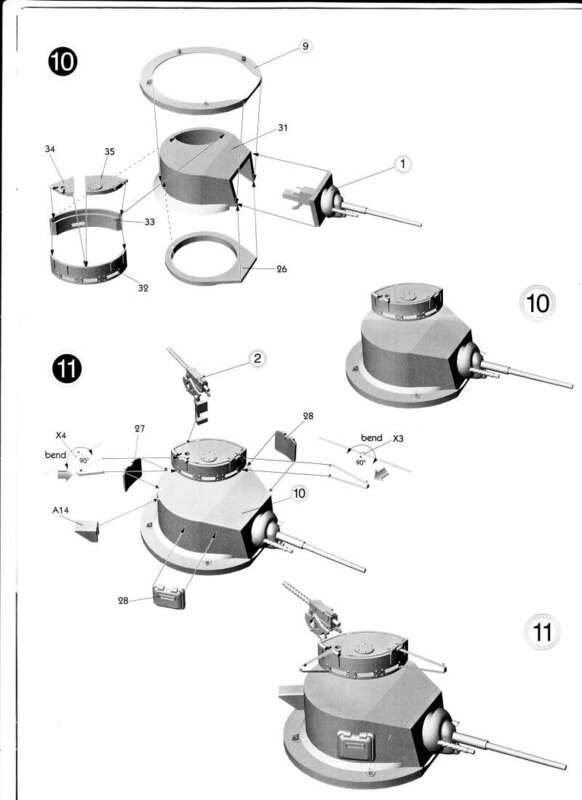 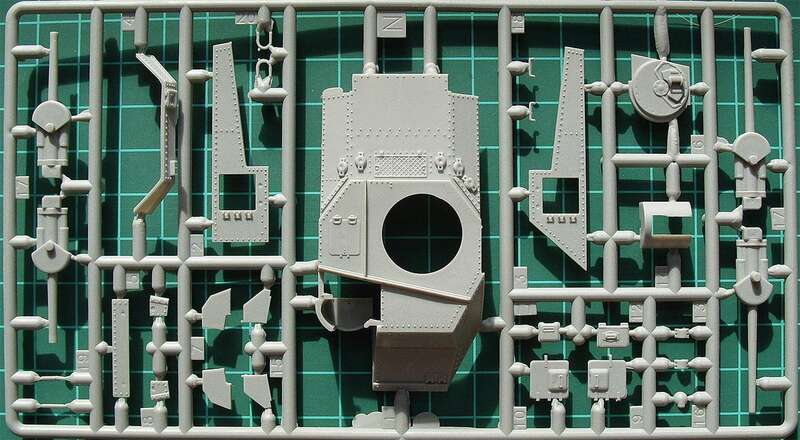 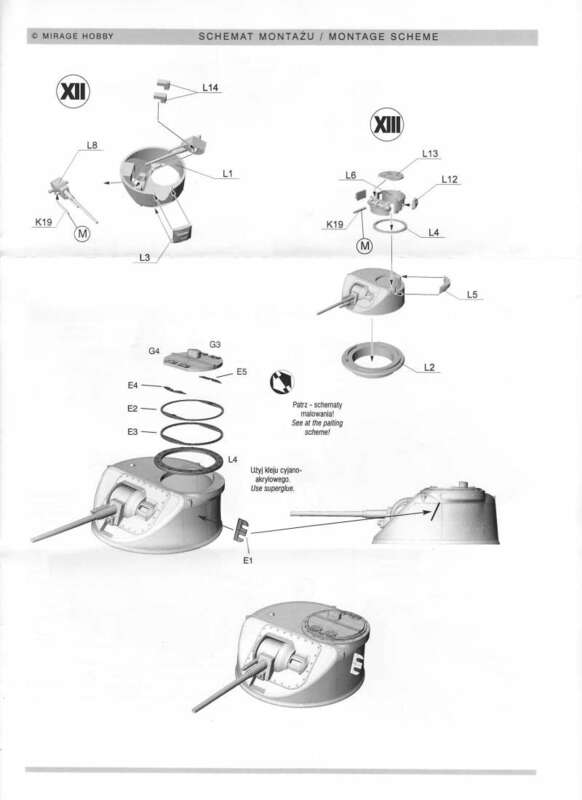 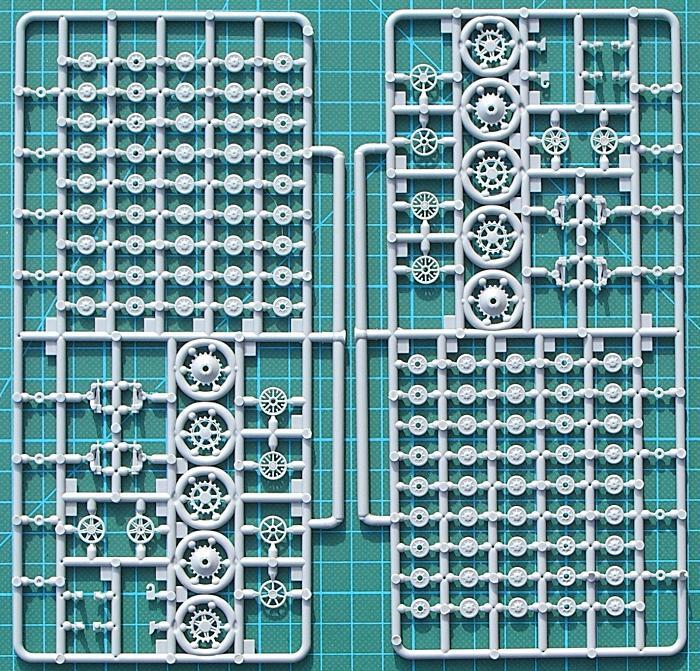 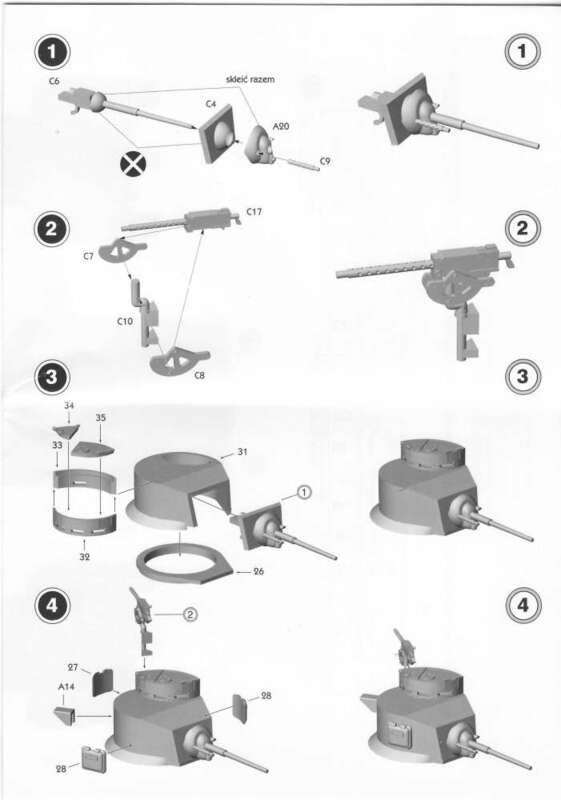 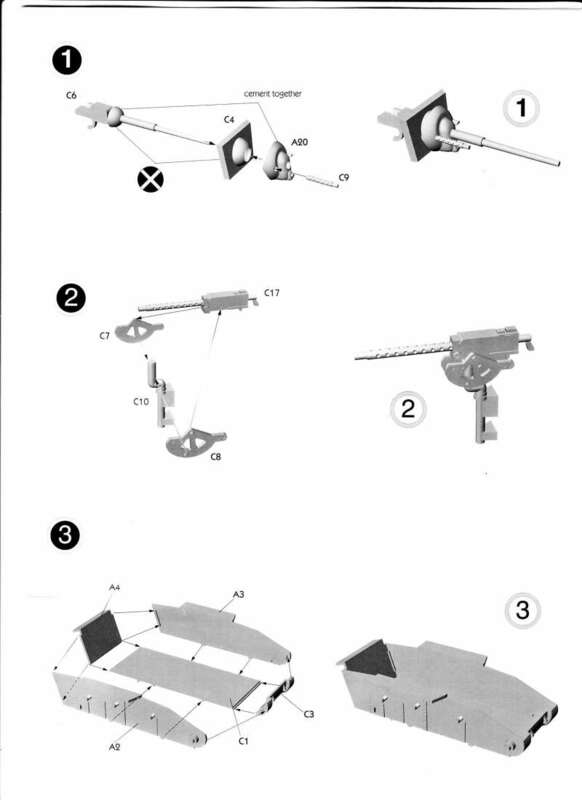 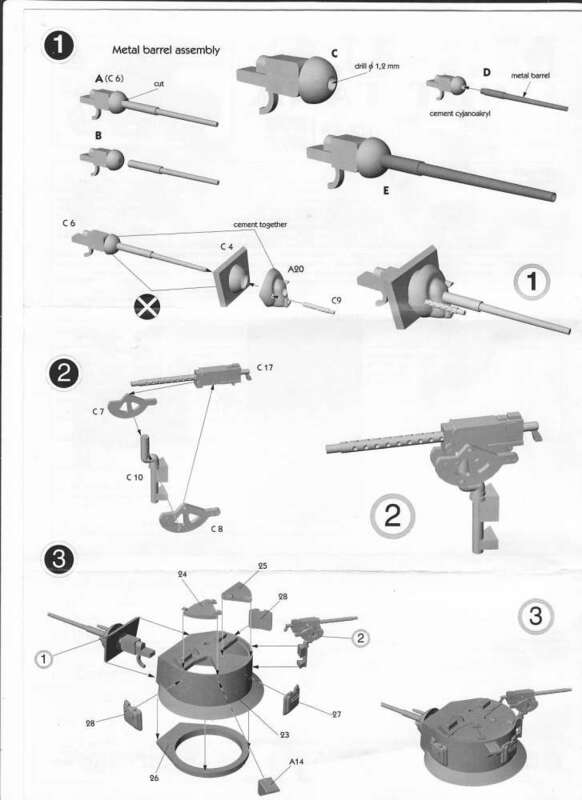 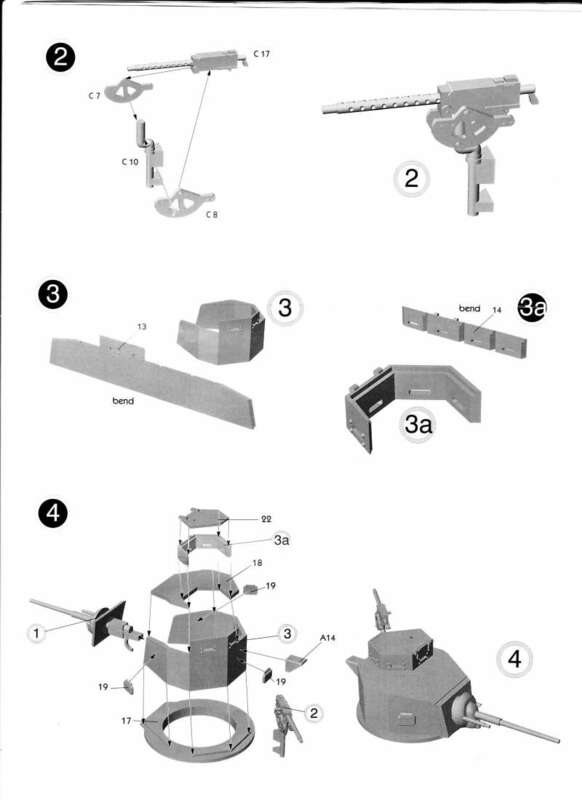 Only the turret sprue is different. 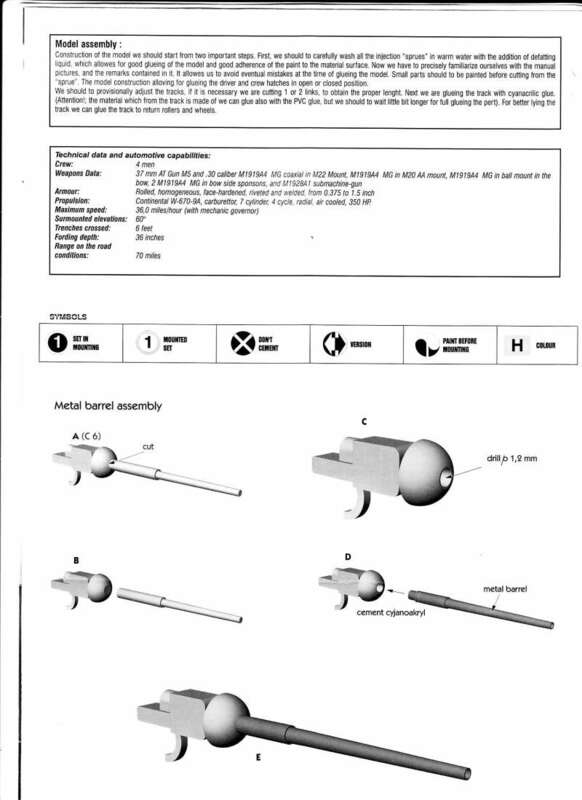 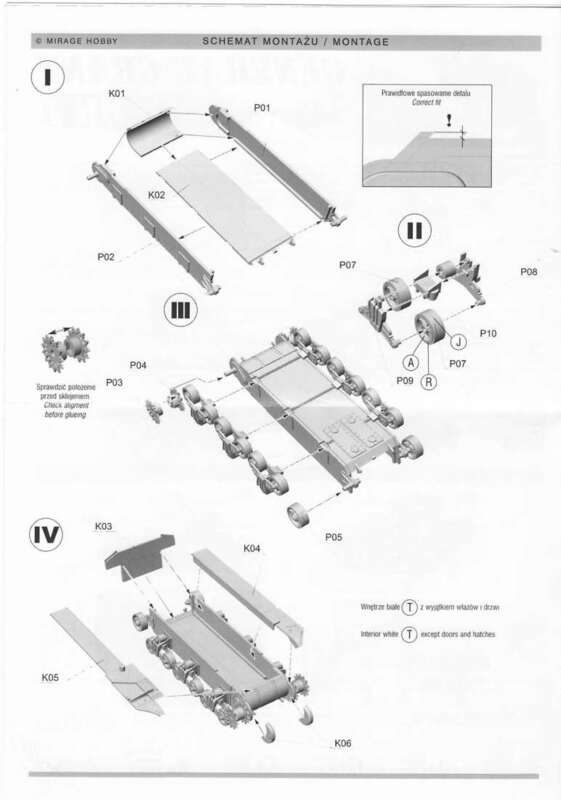 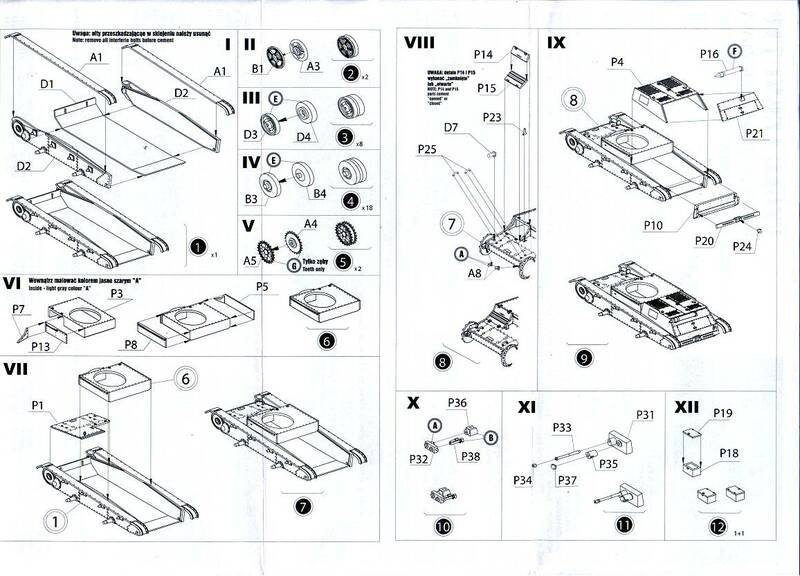 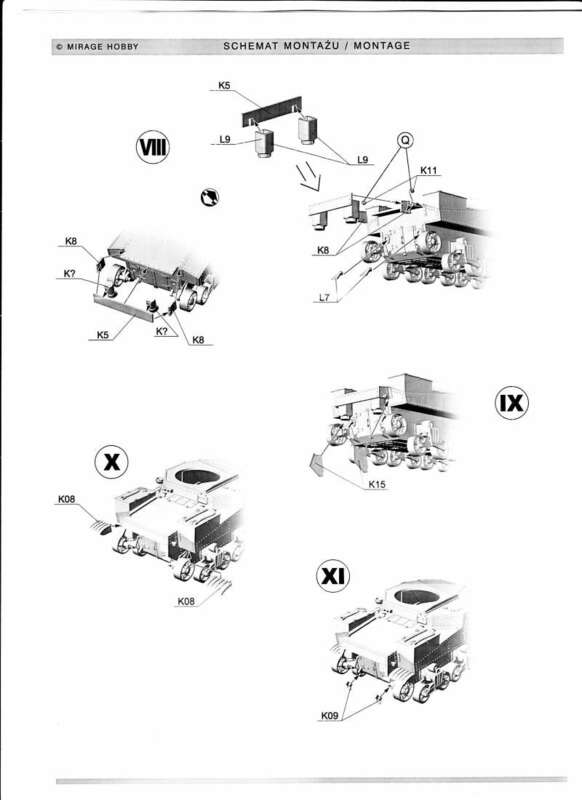 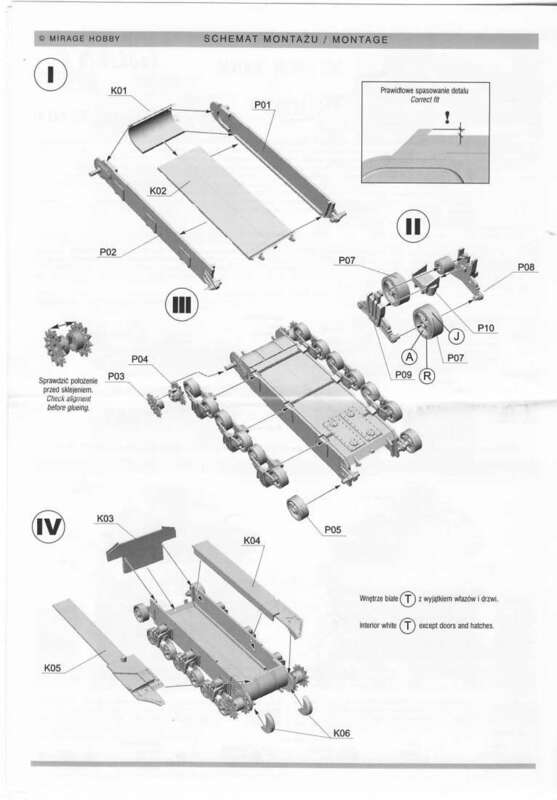 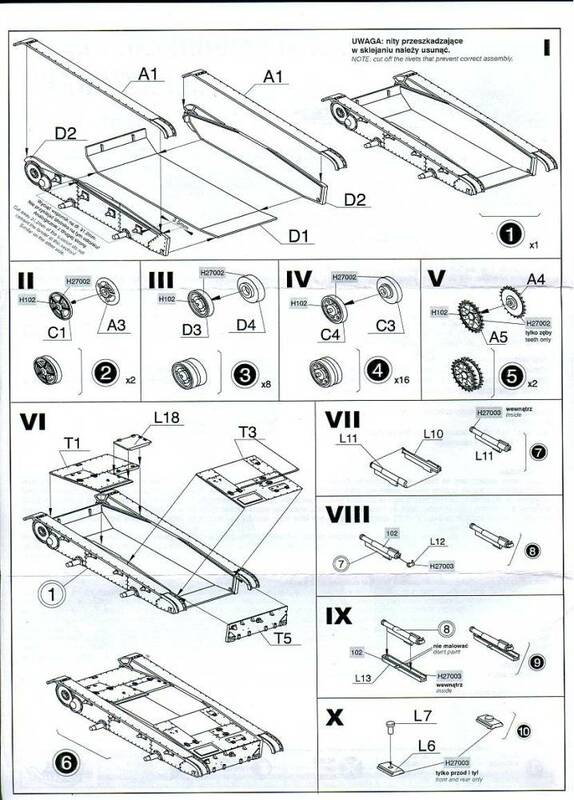 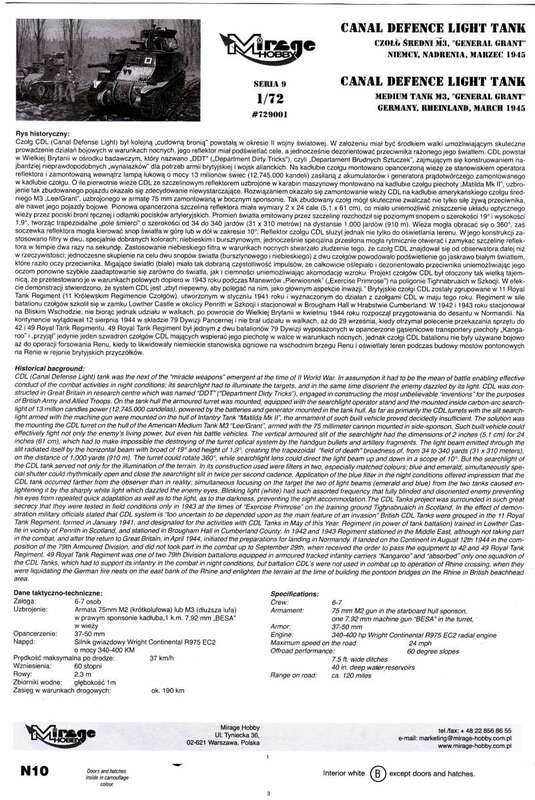 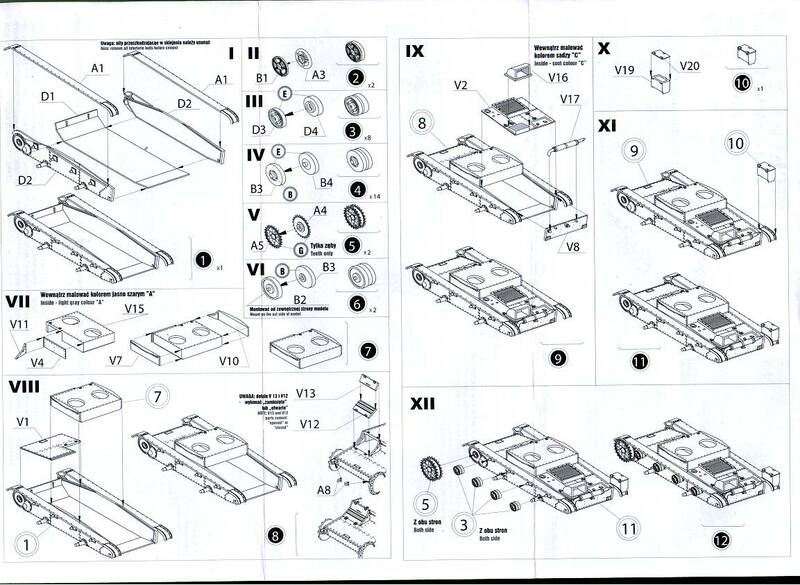 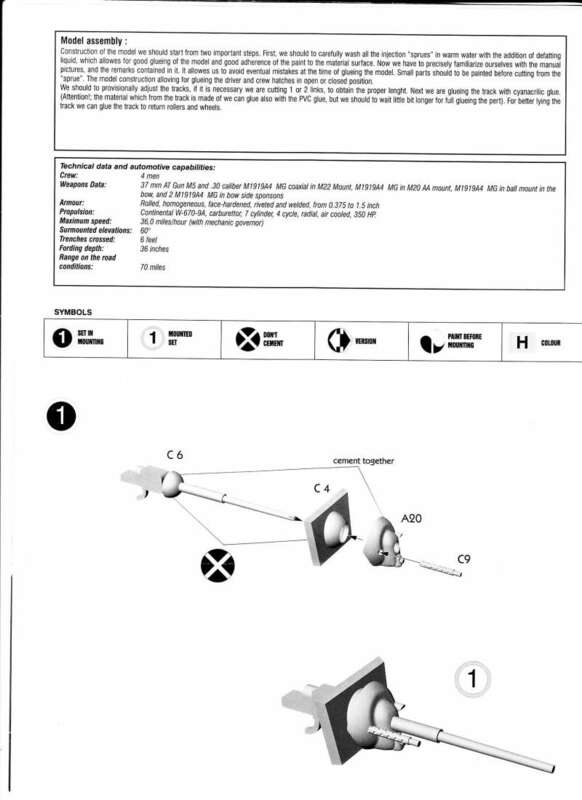 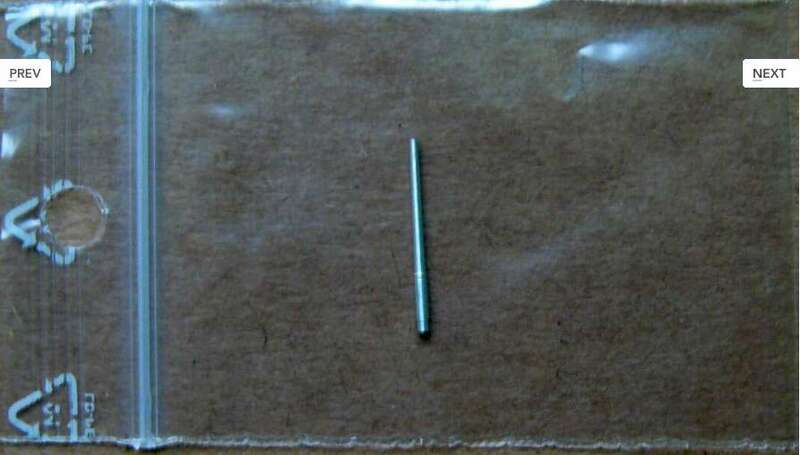 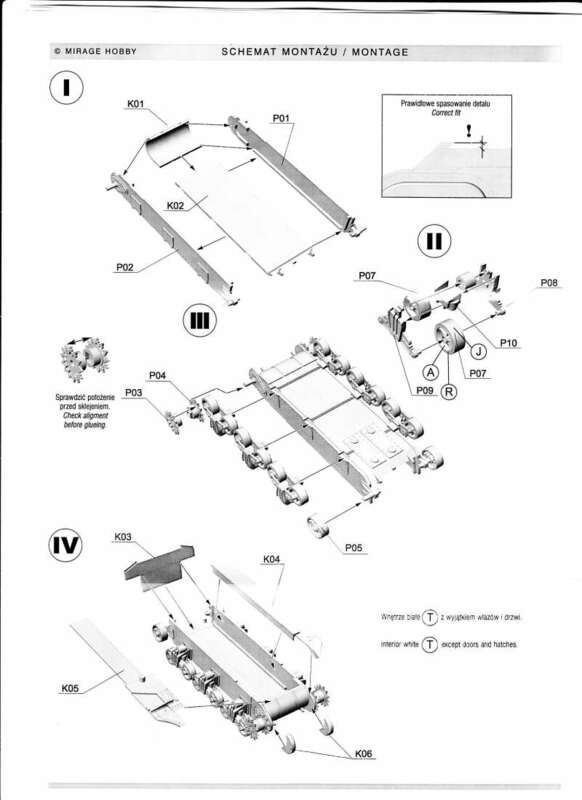 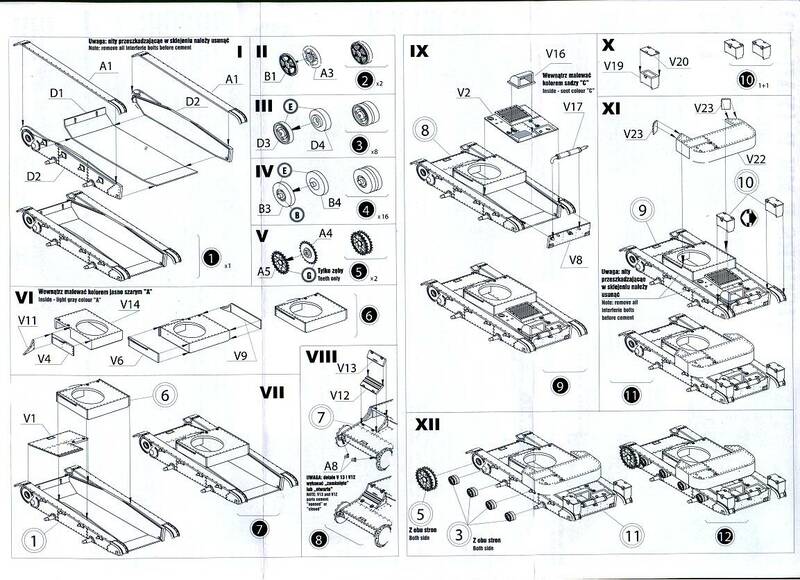 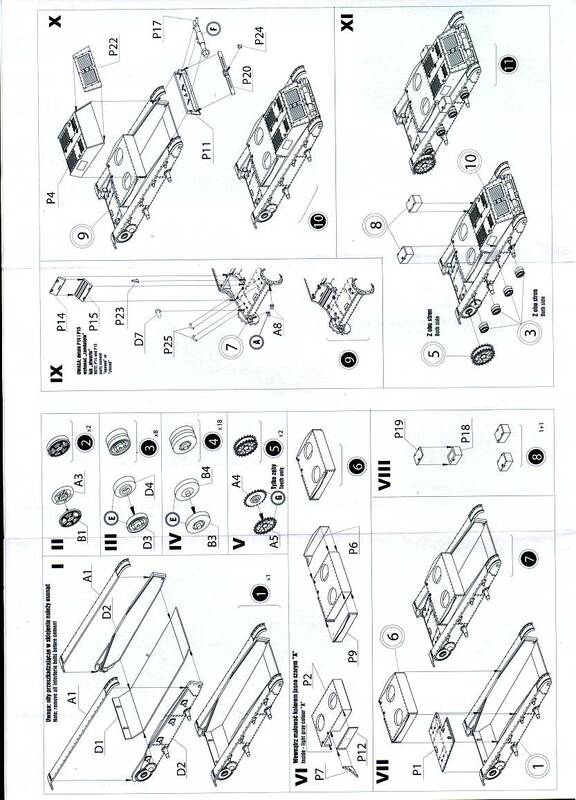 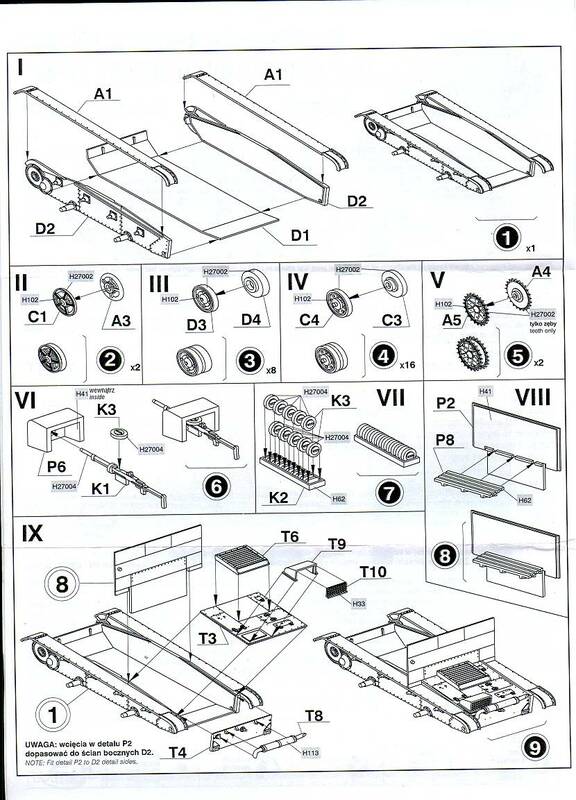 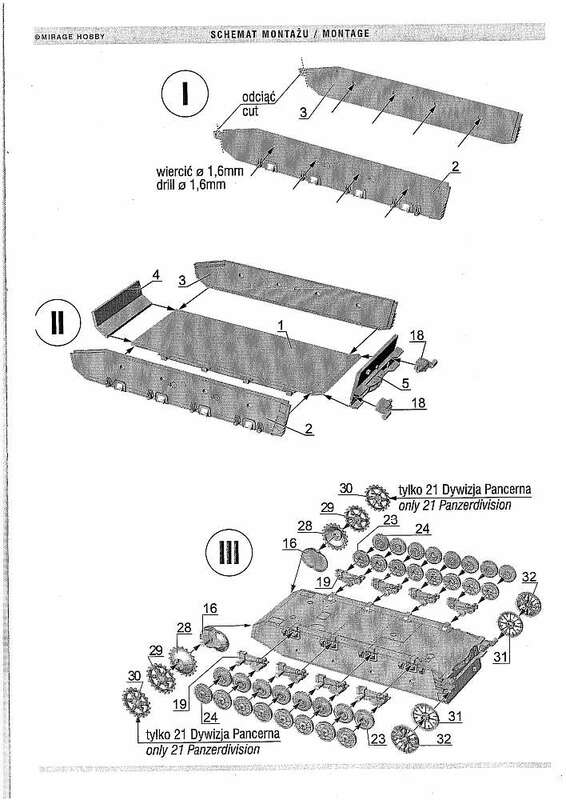 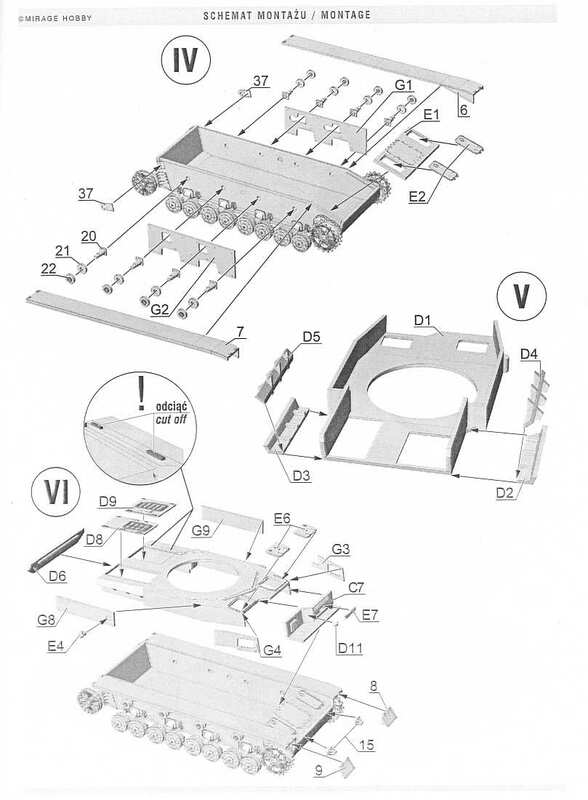 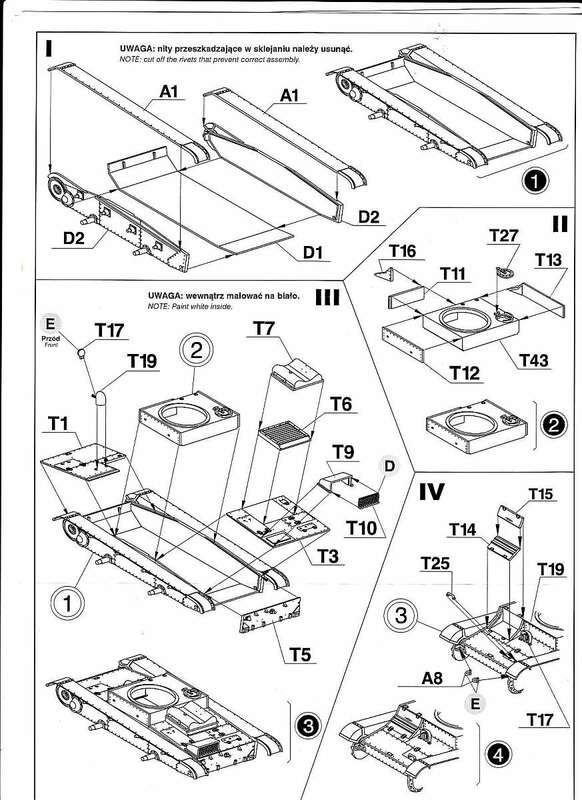 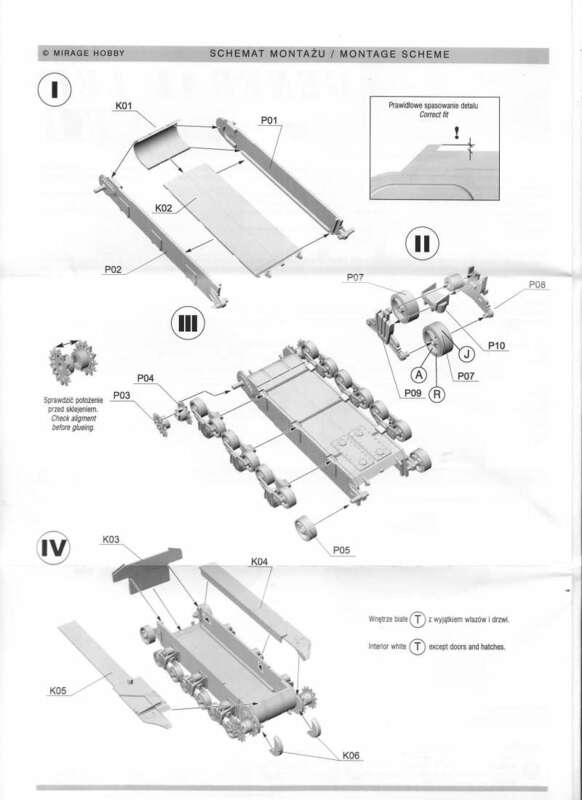 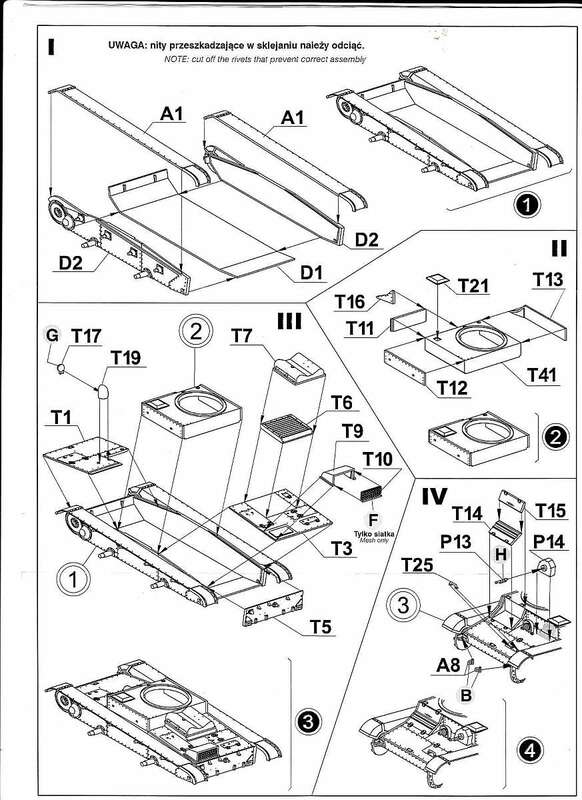 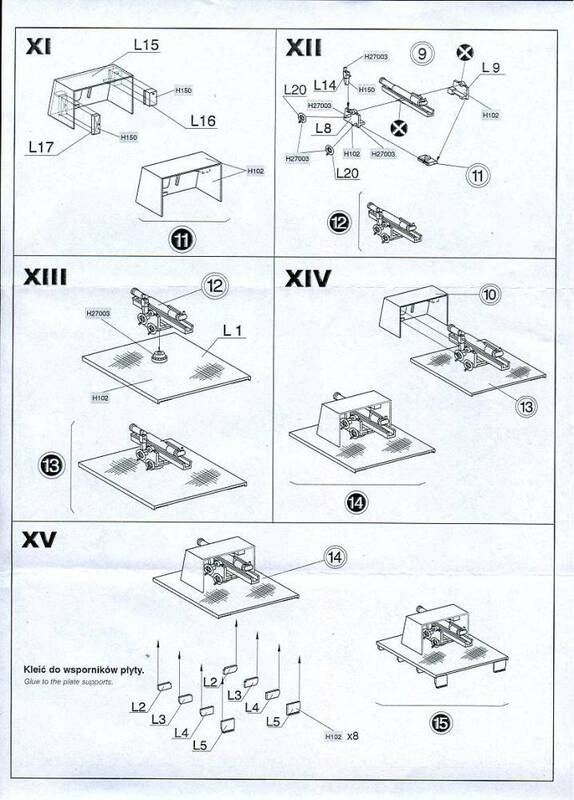 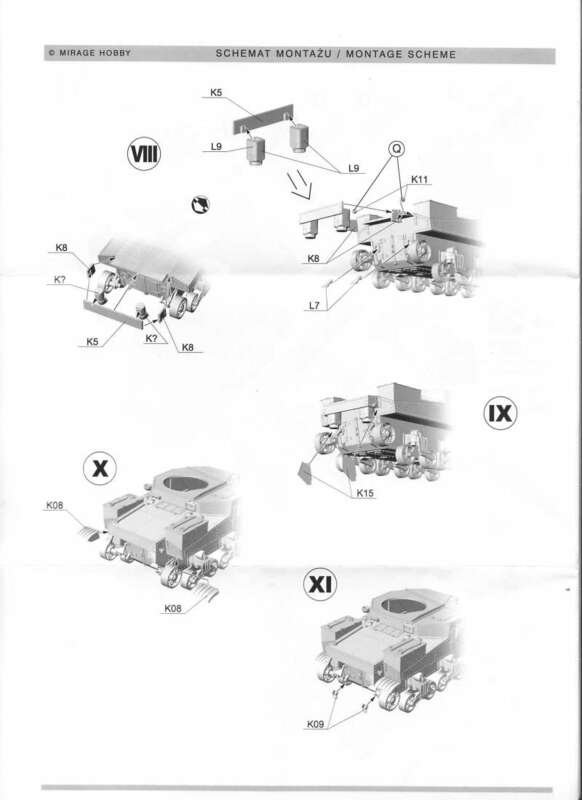 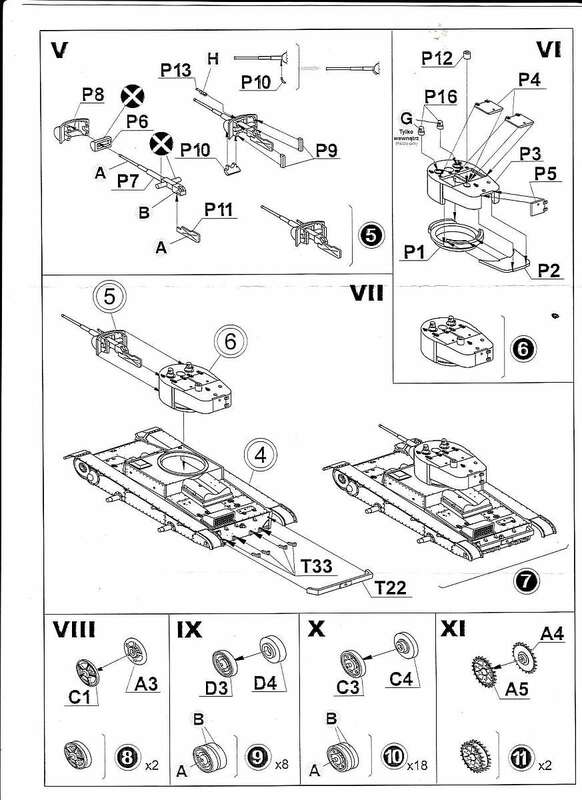 Also the PE parts are simular. 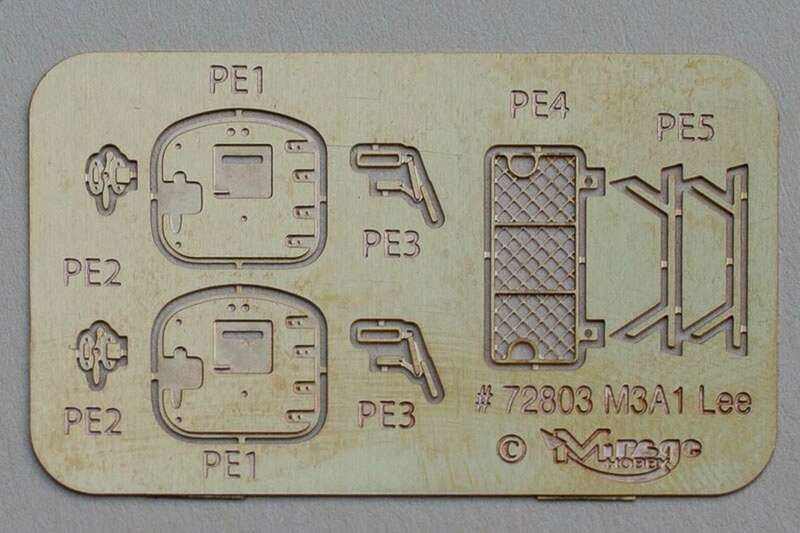 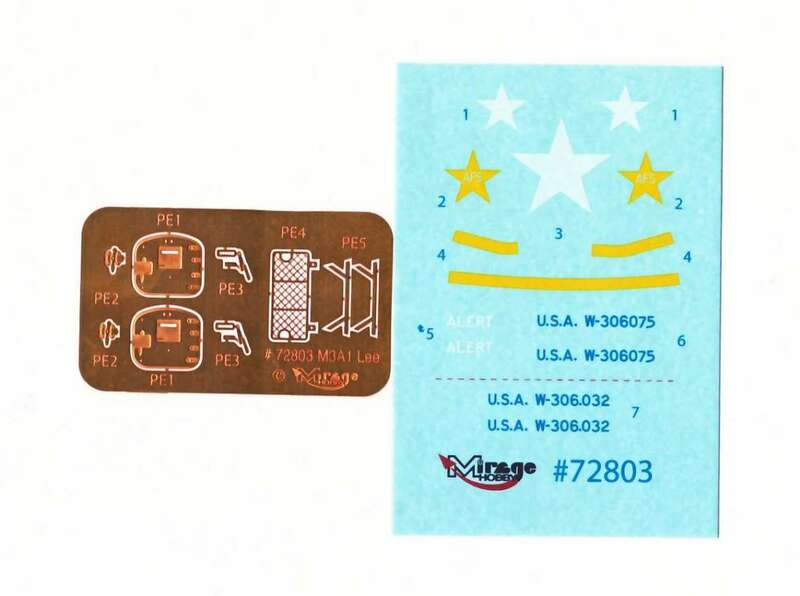 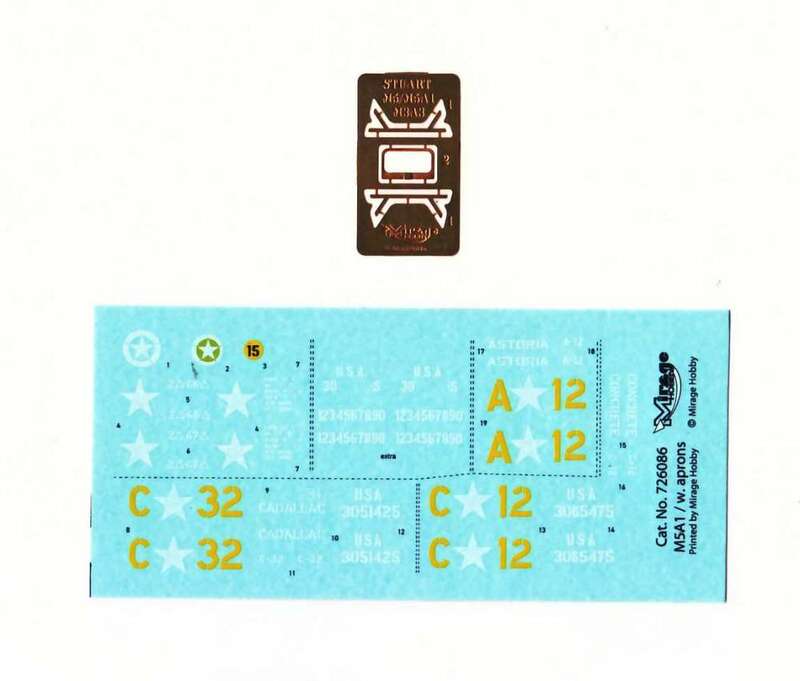 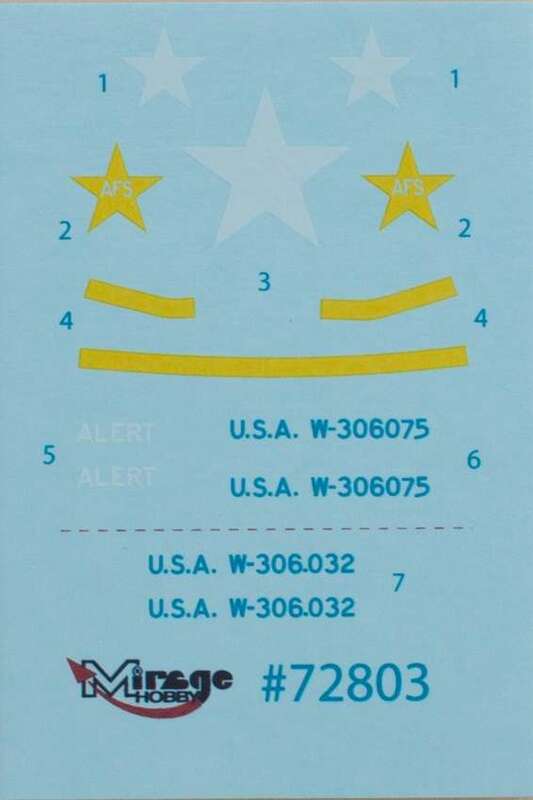 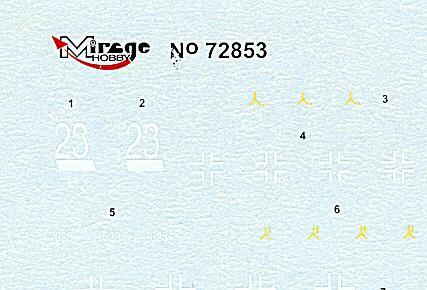 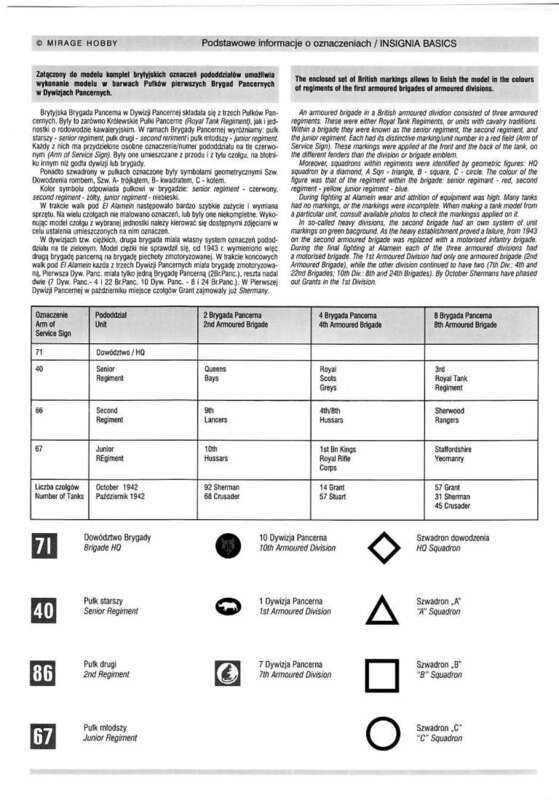 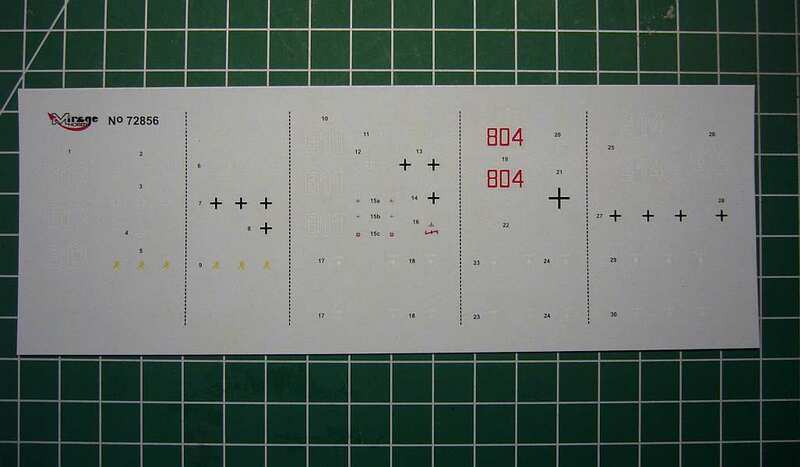 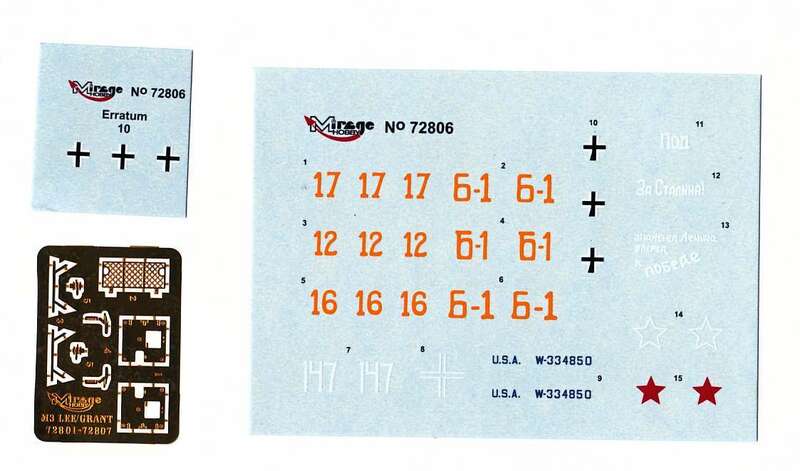 - Kit 72802 "Lee" has a extra PE part for another version. 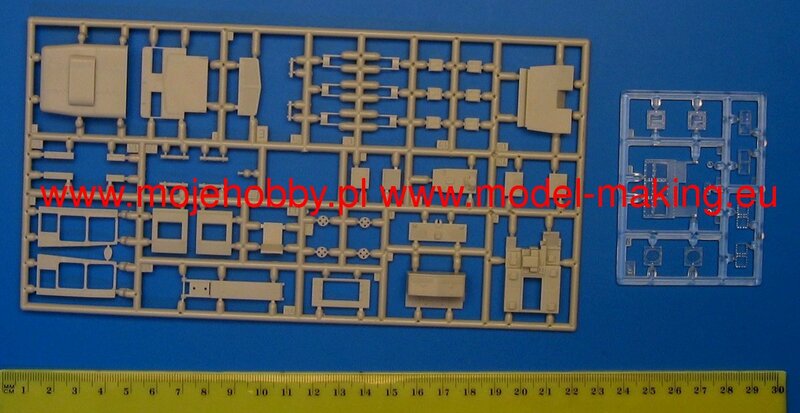 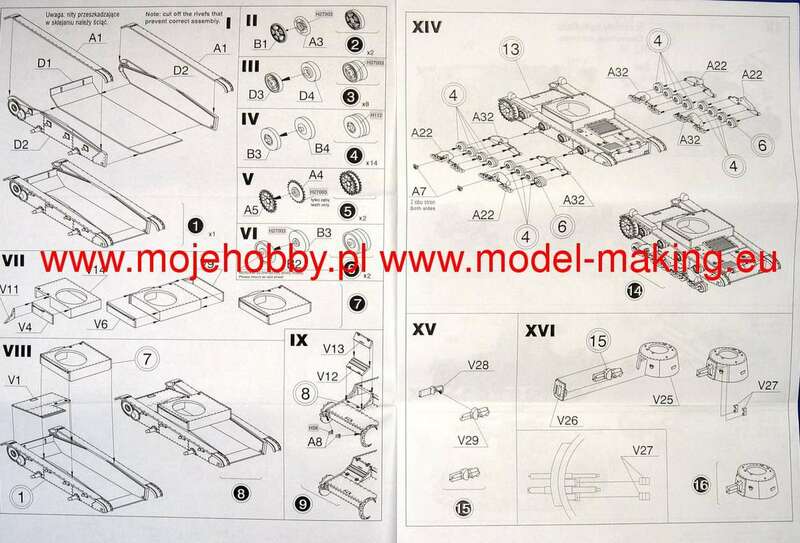 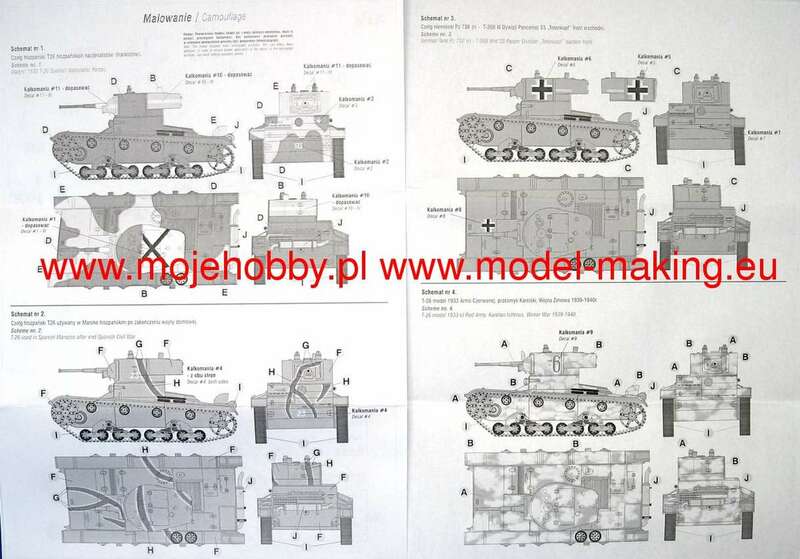 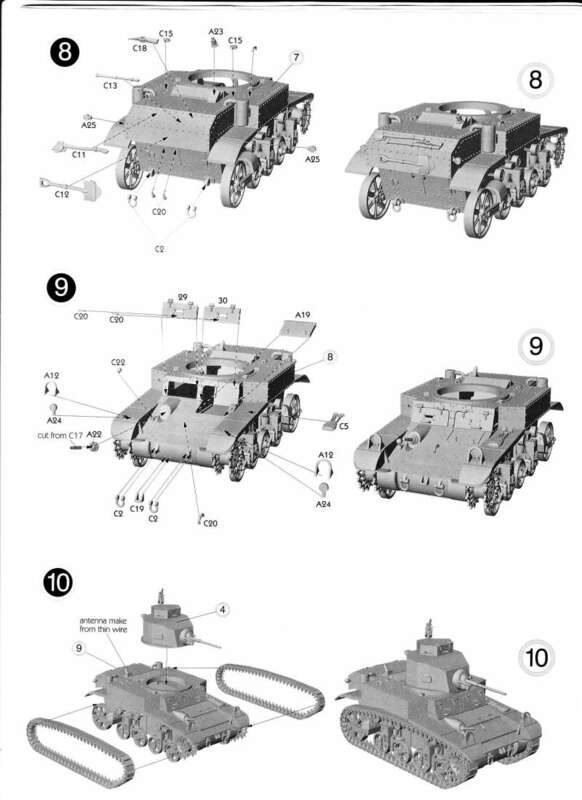 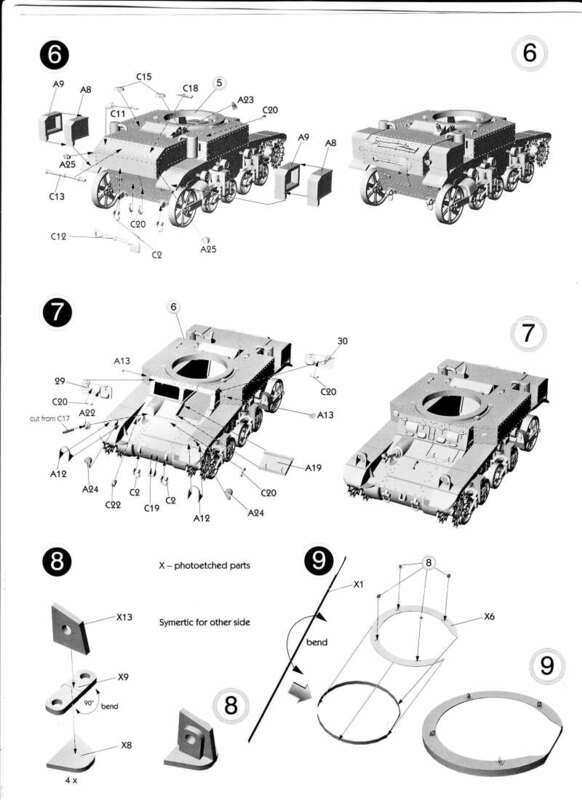 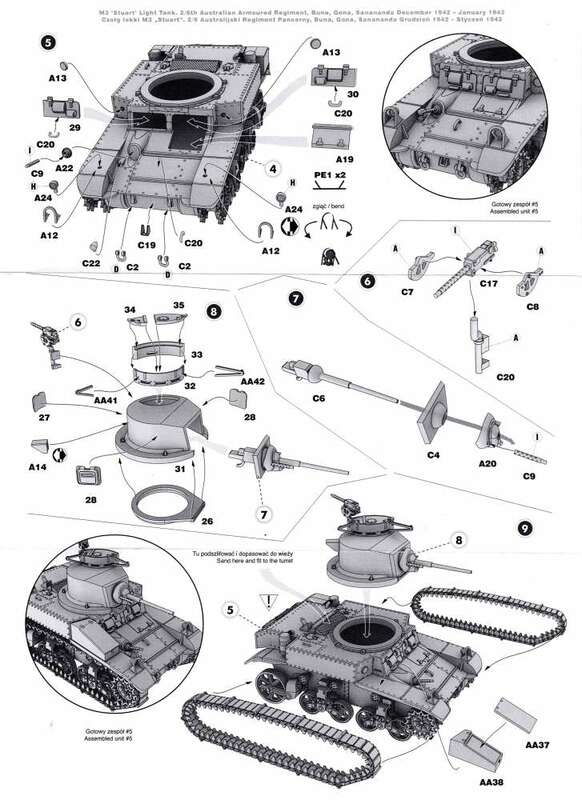 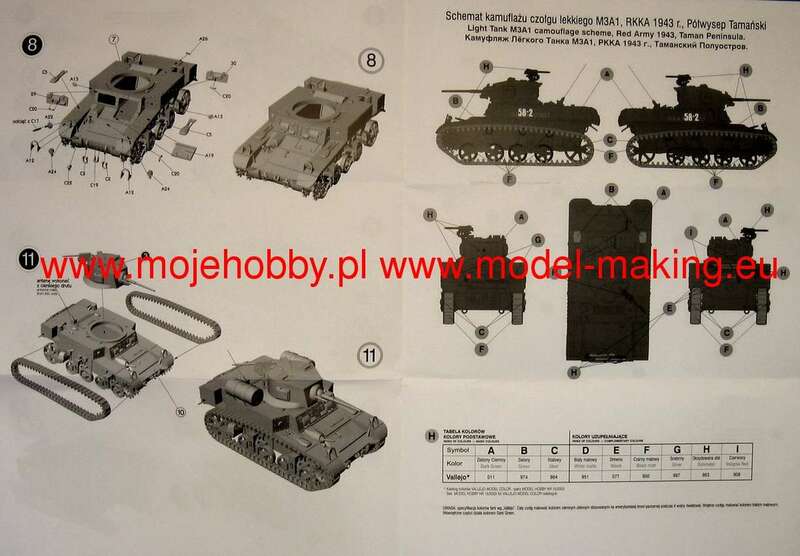 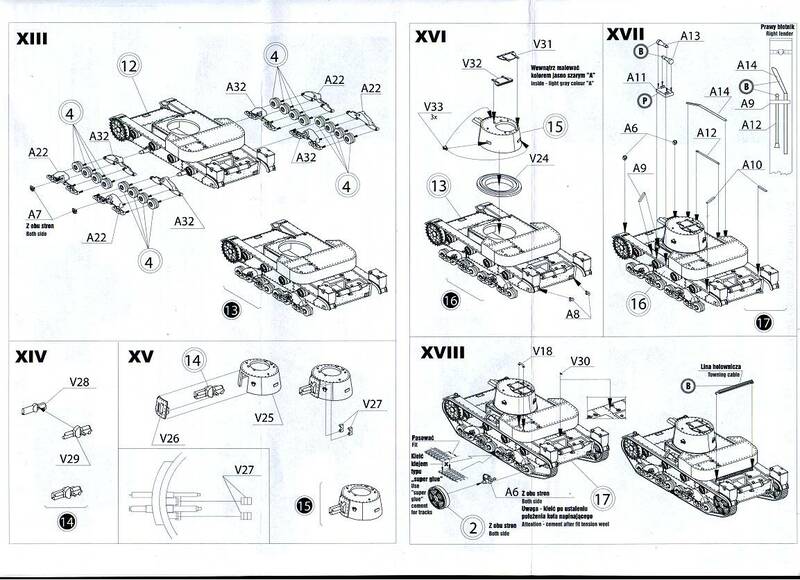 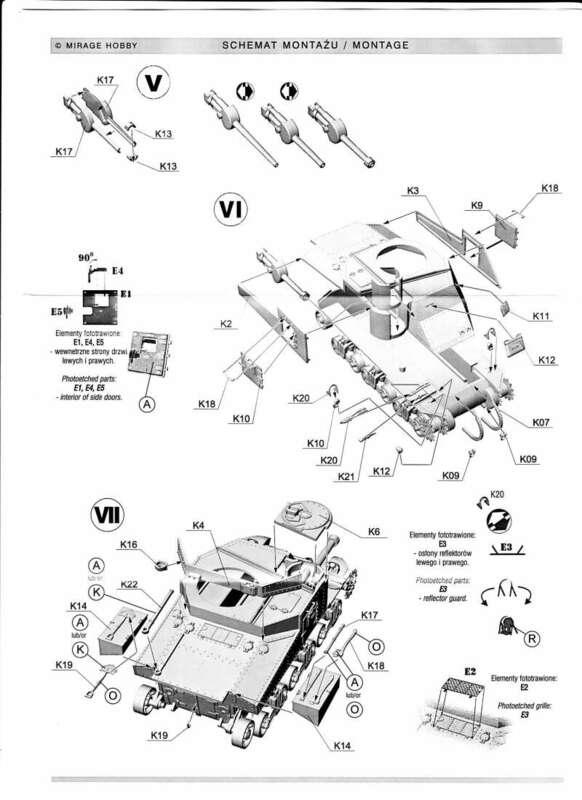 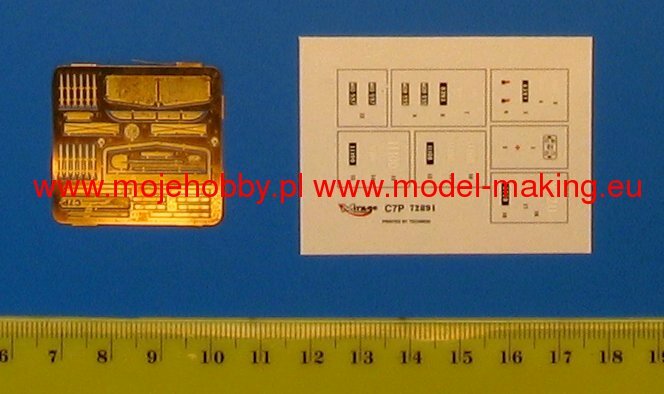 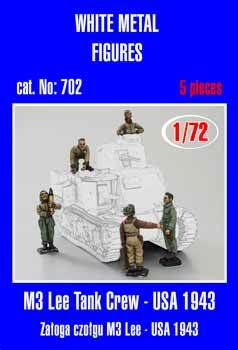 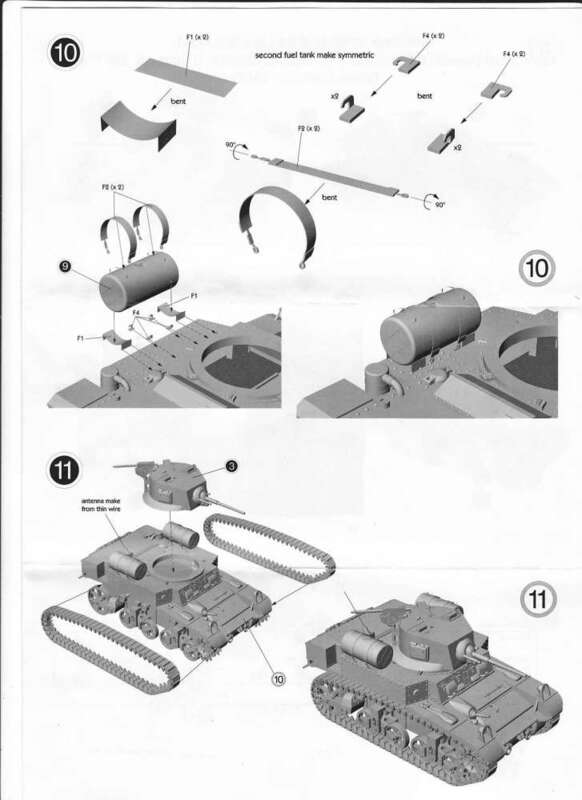 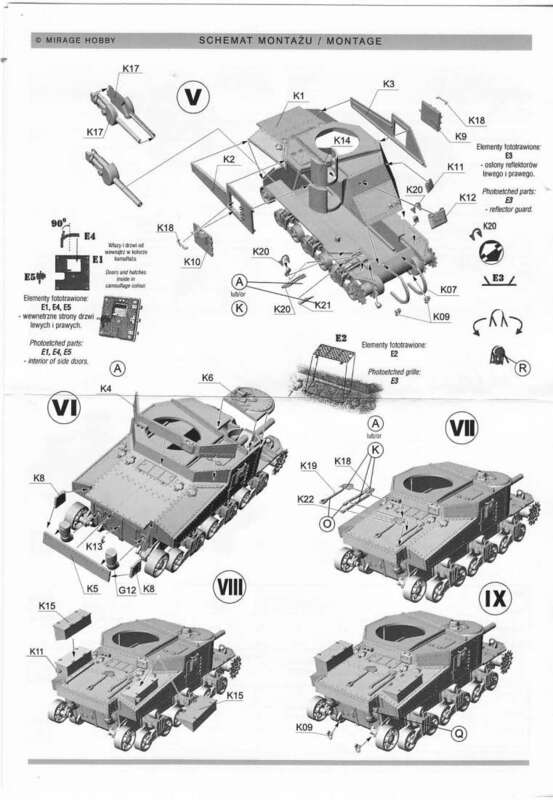 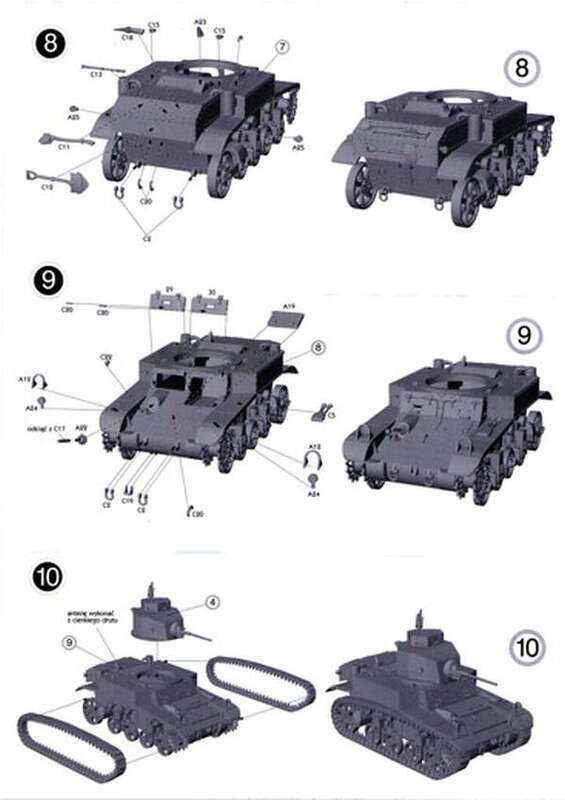 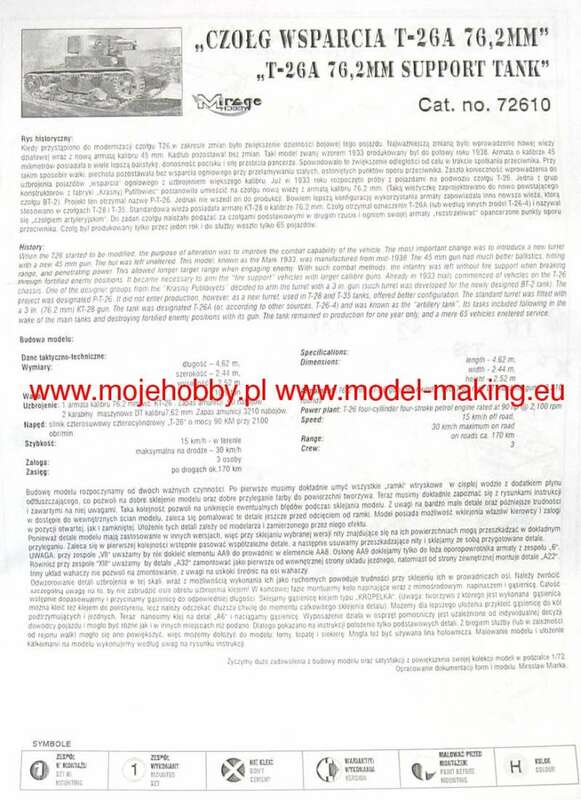 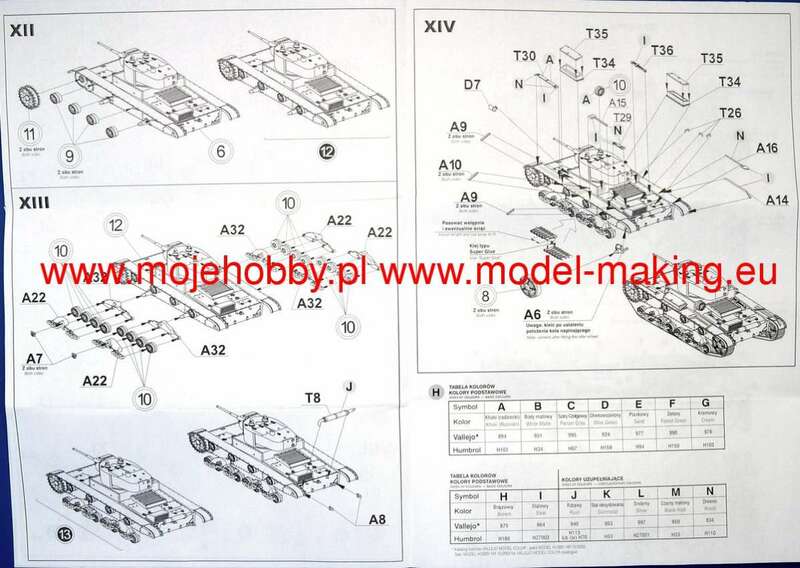 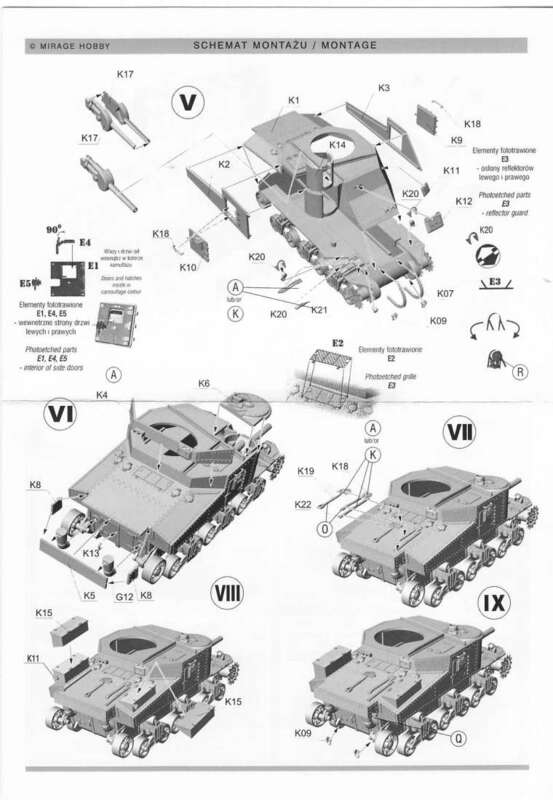 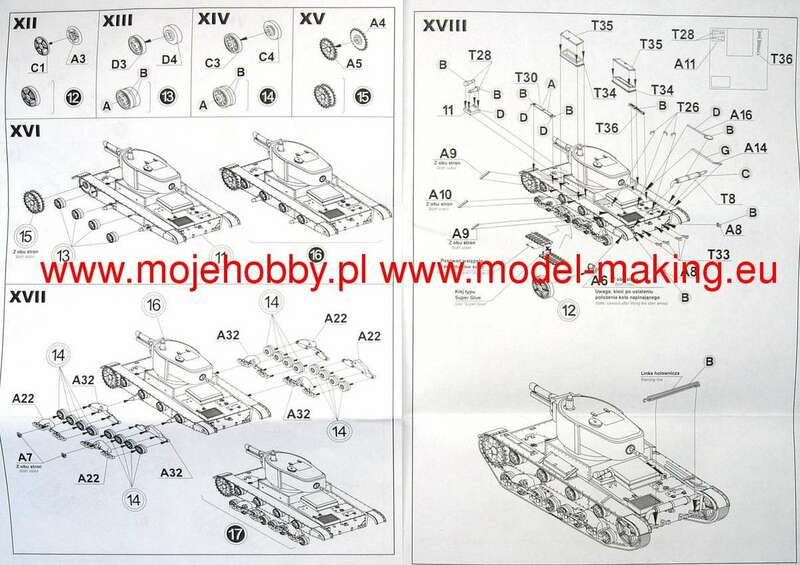 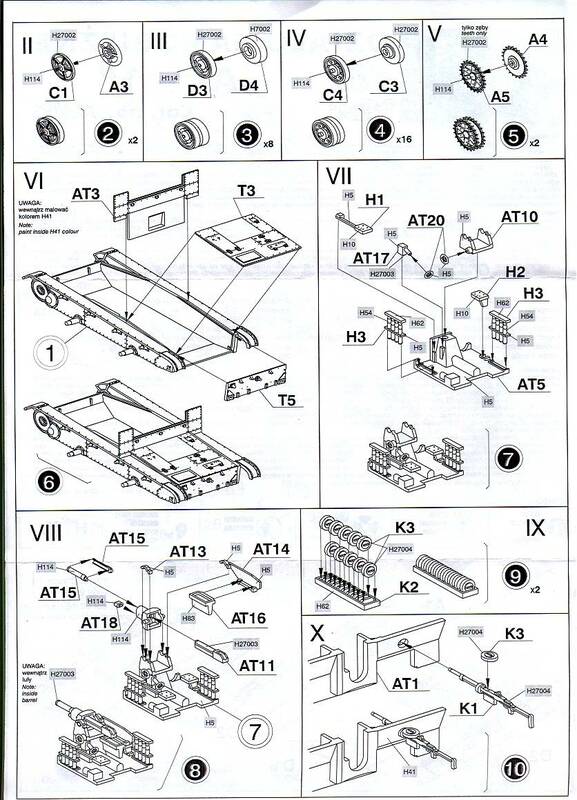 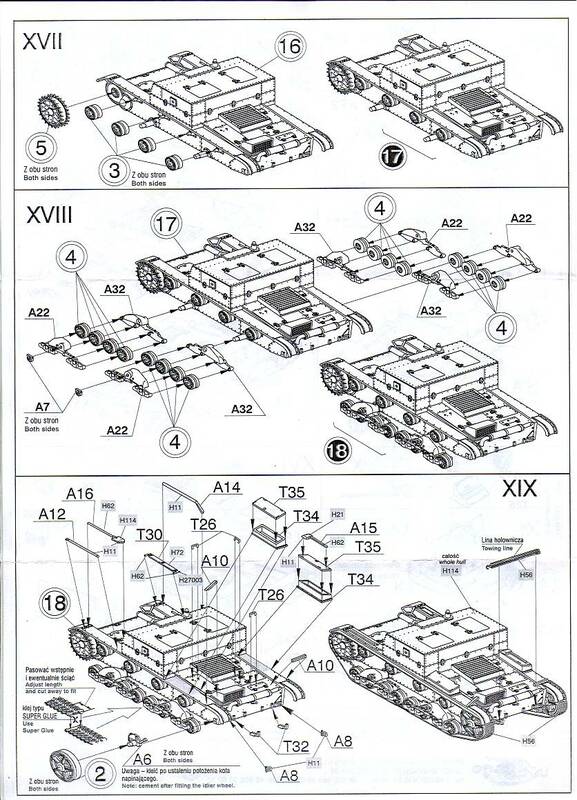 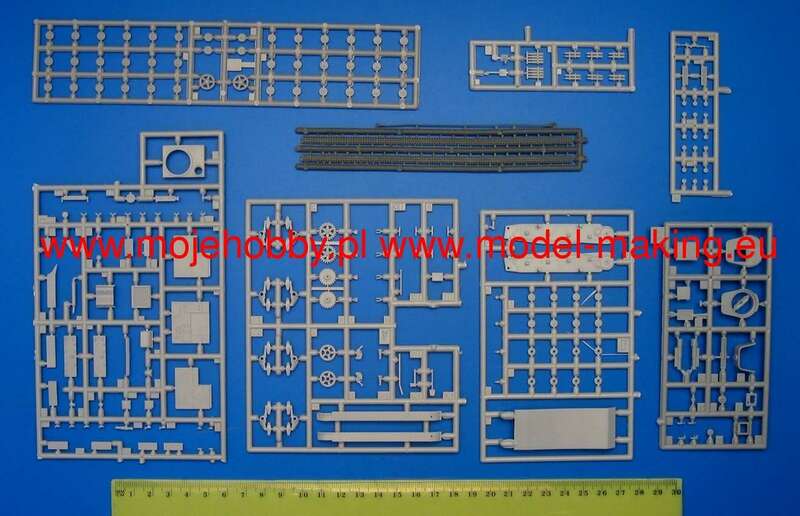 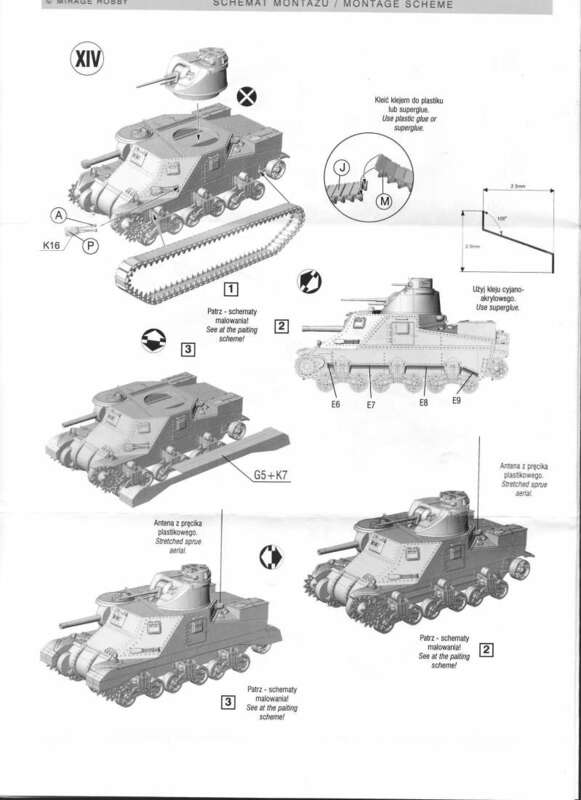 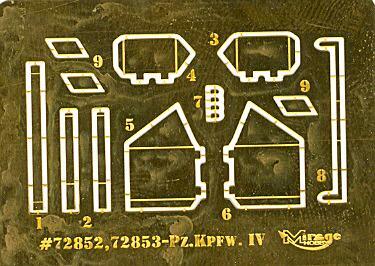 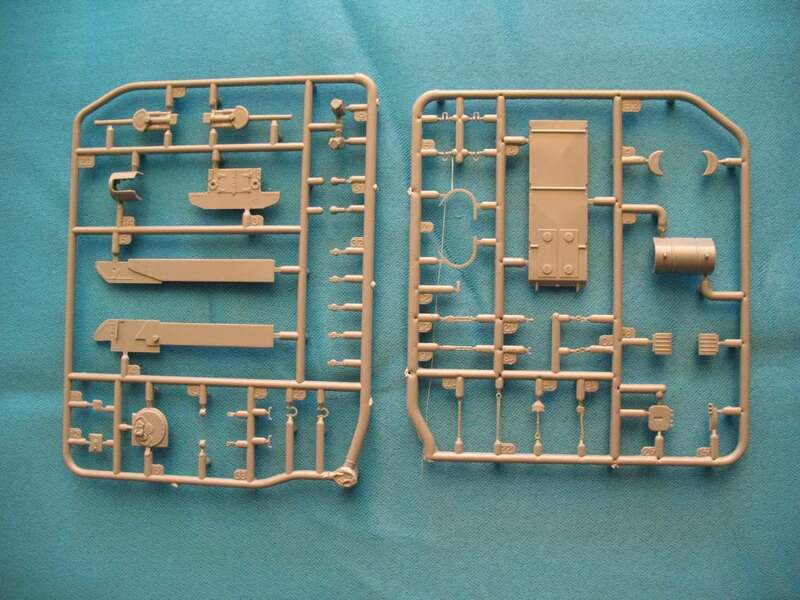 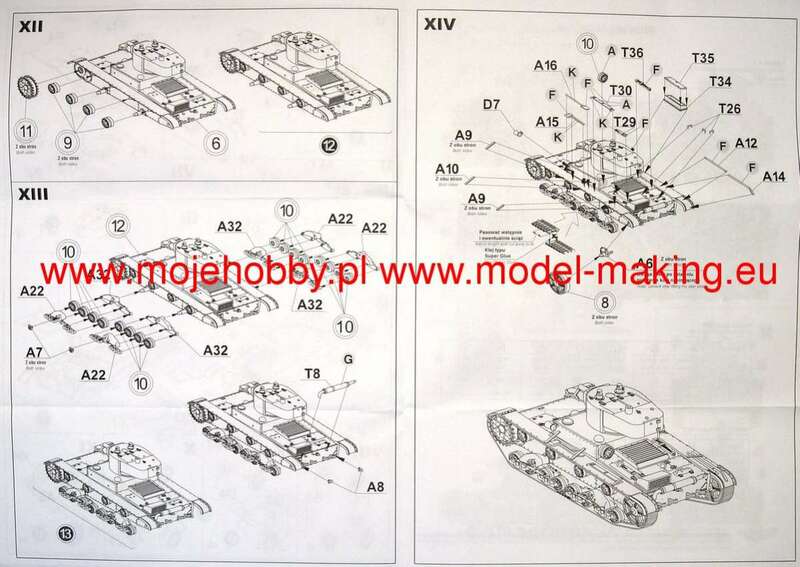 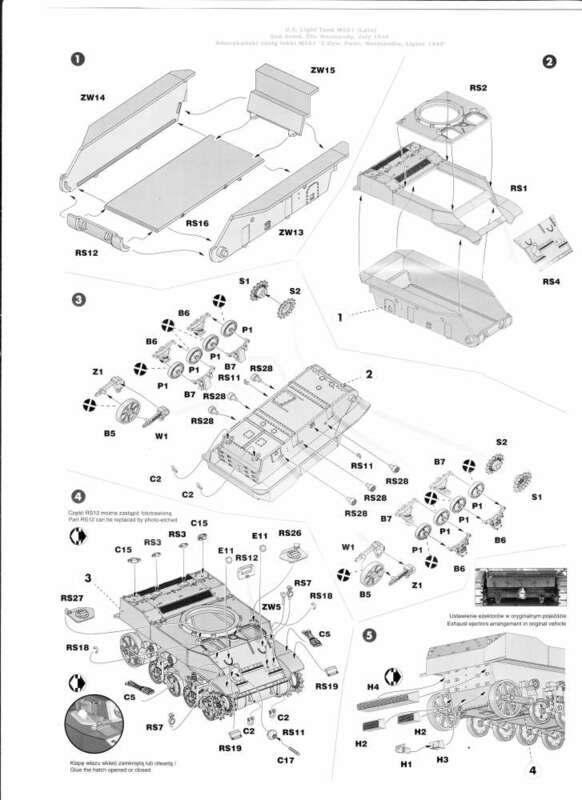 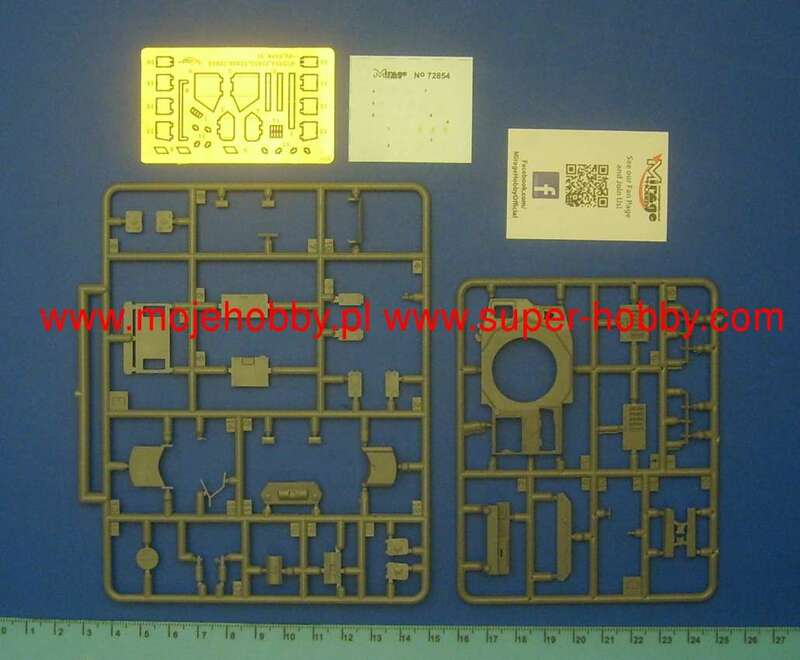 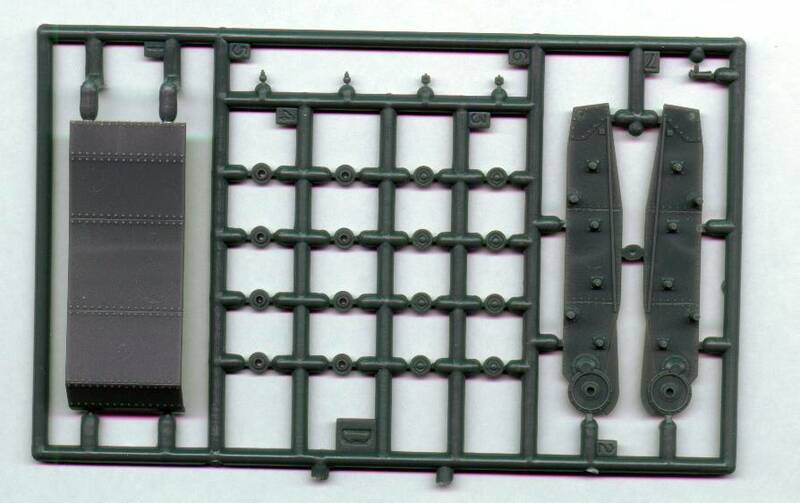 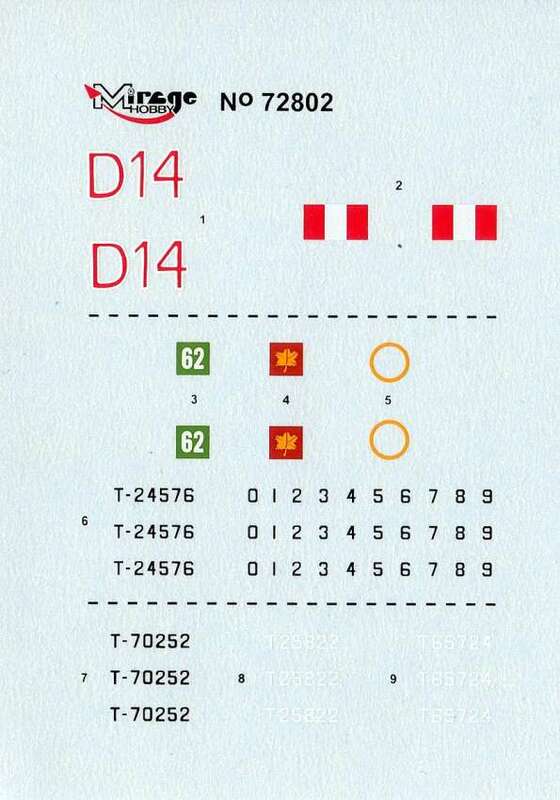 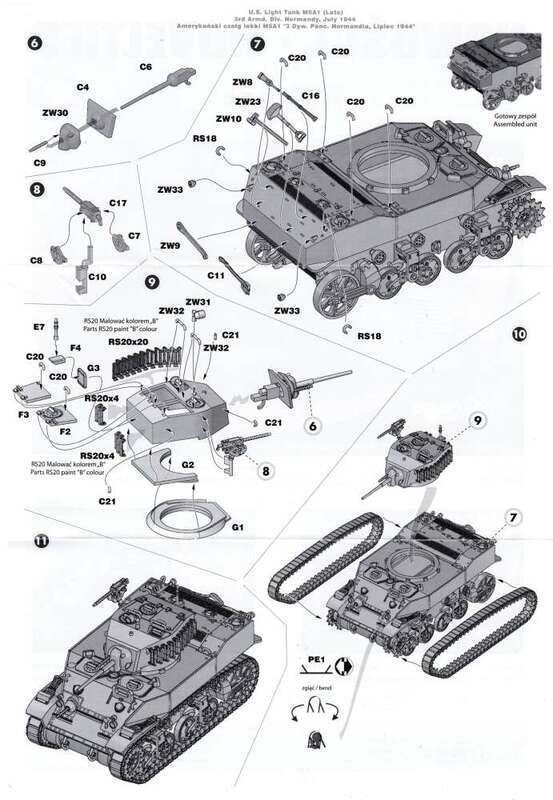 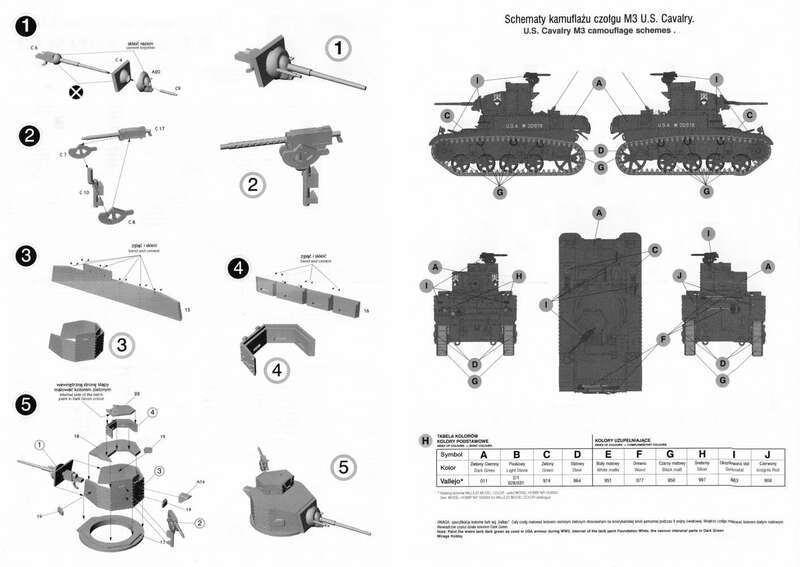 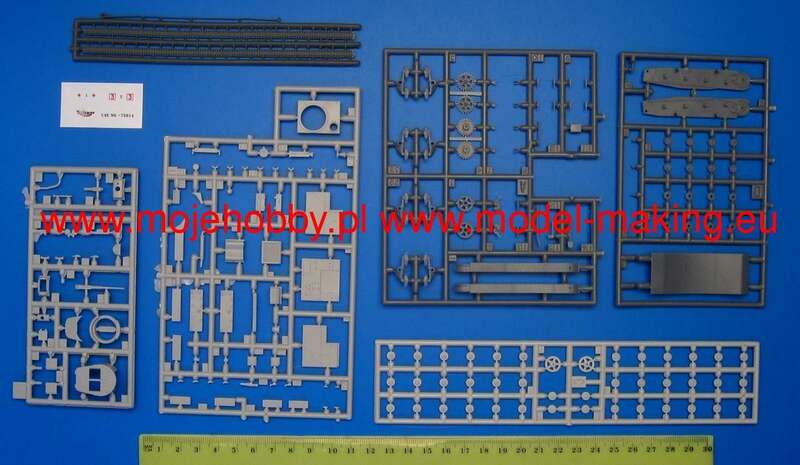 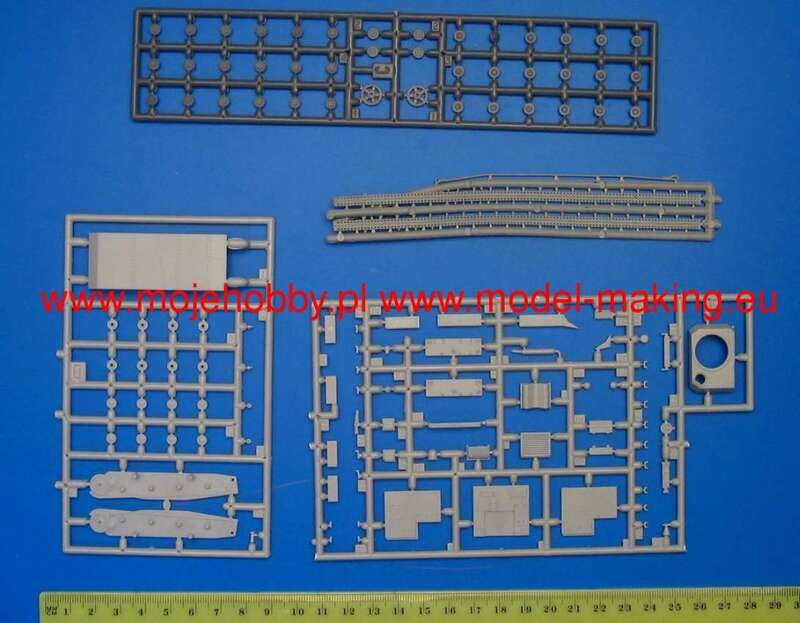 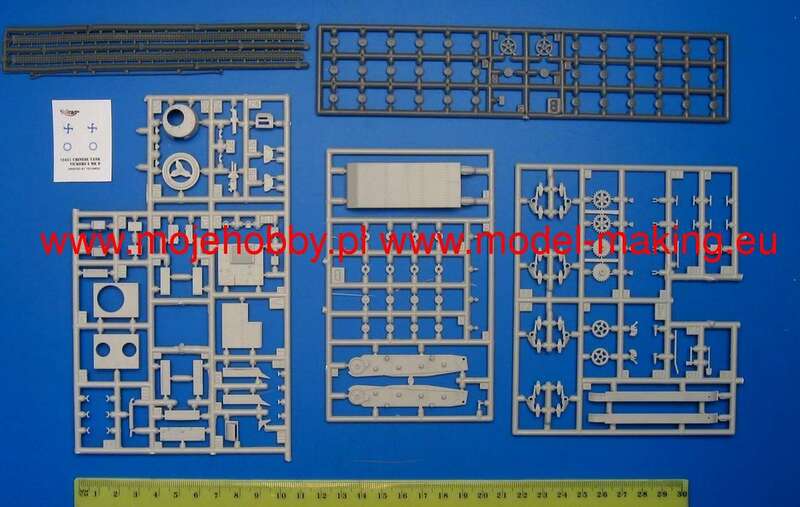 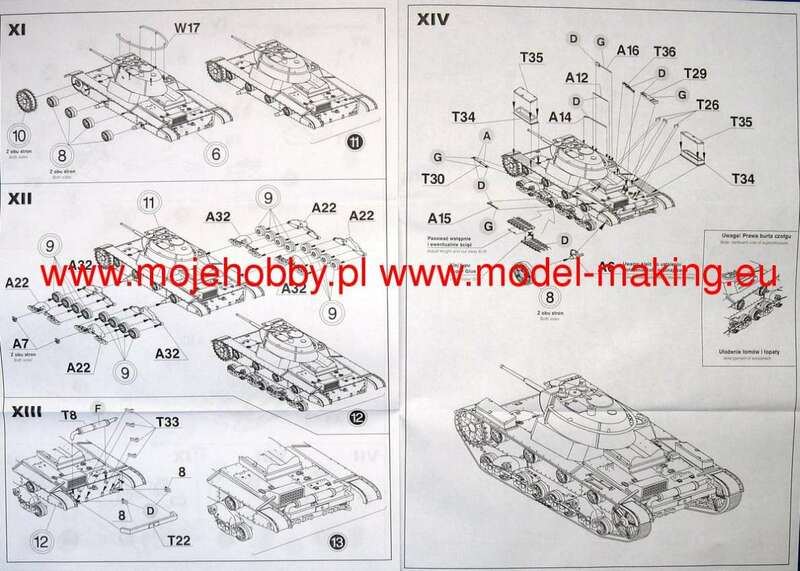 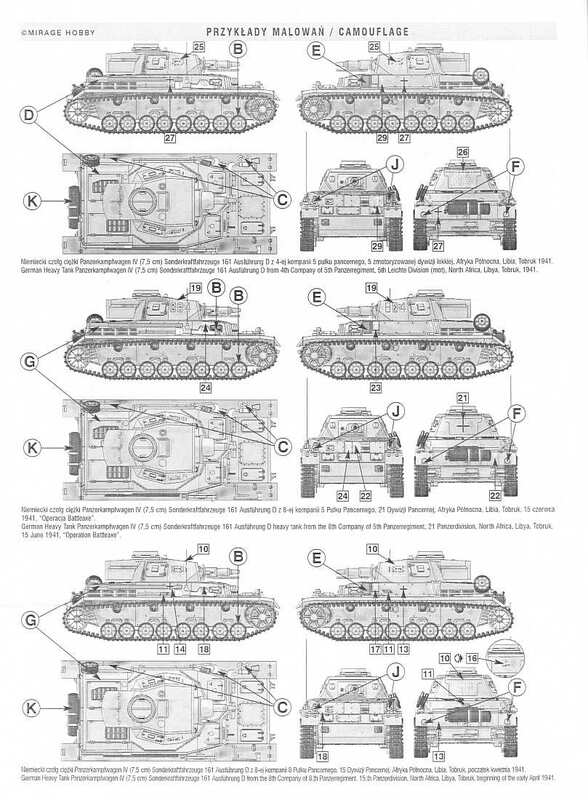 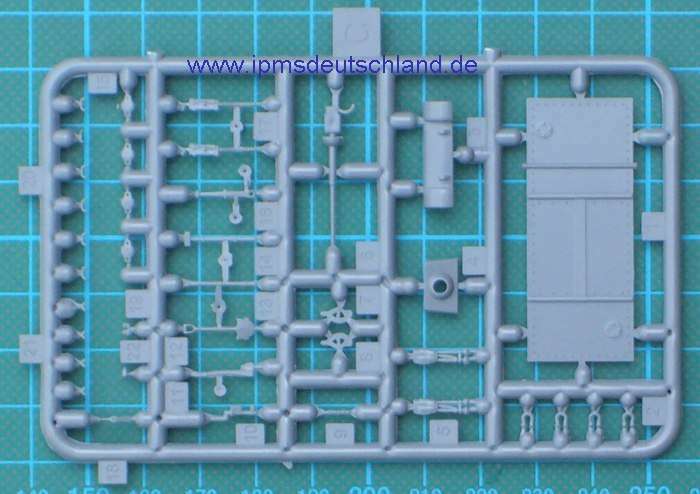 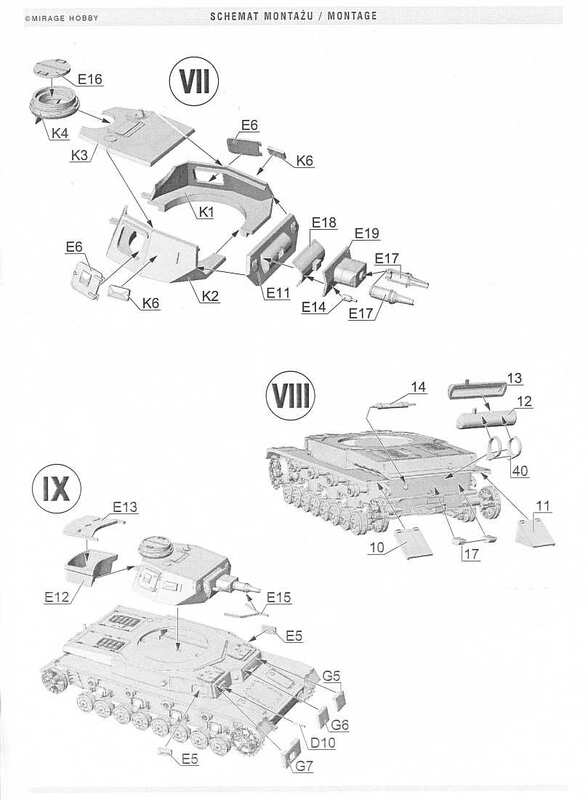 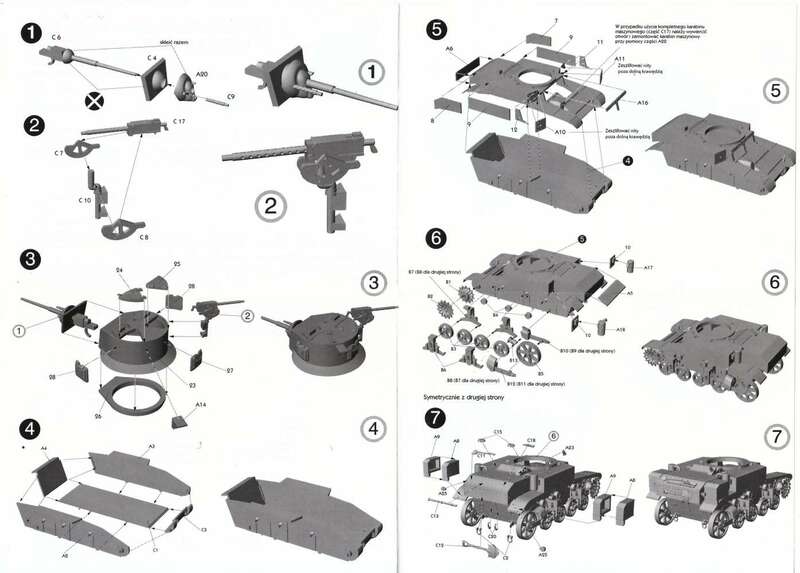 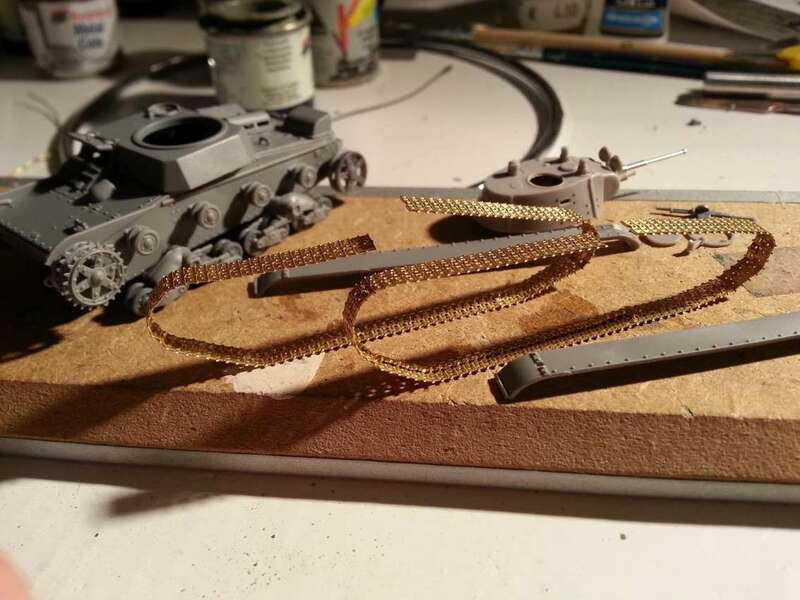 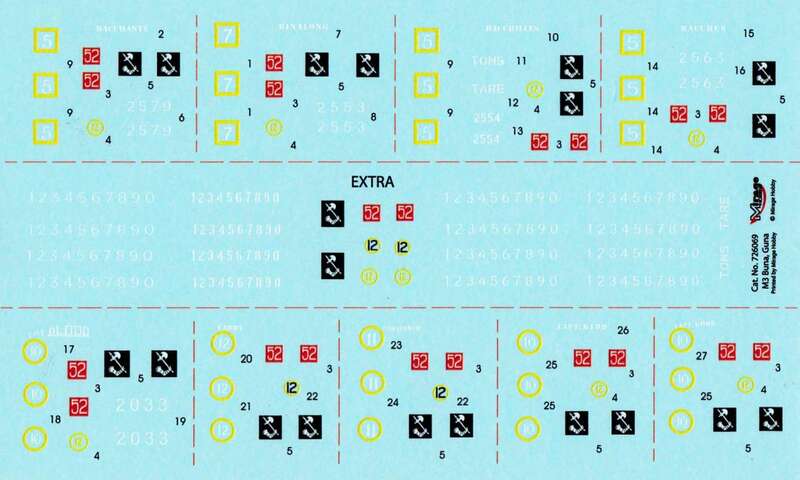 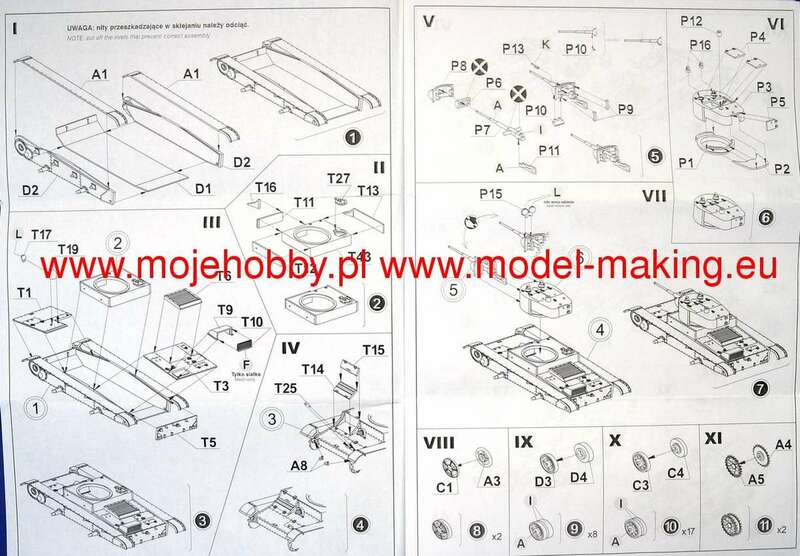 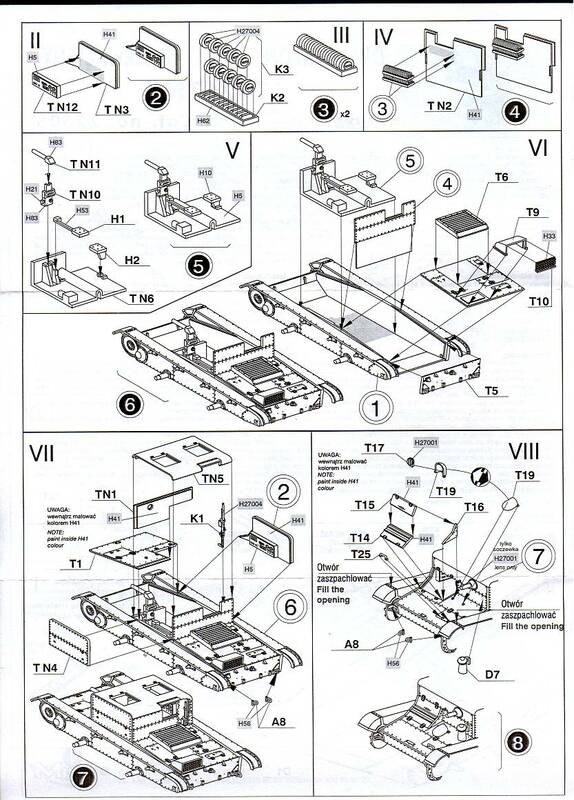 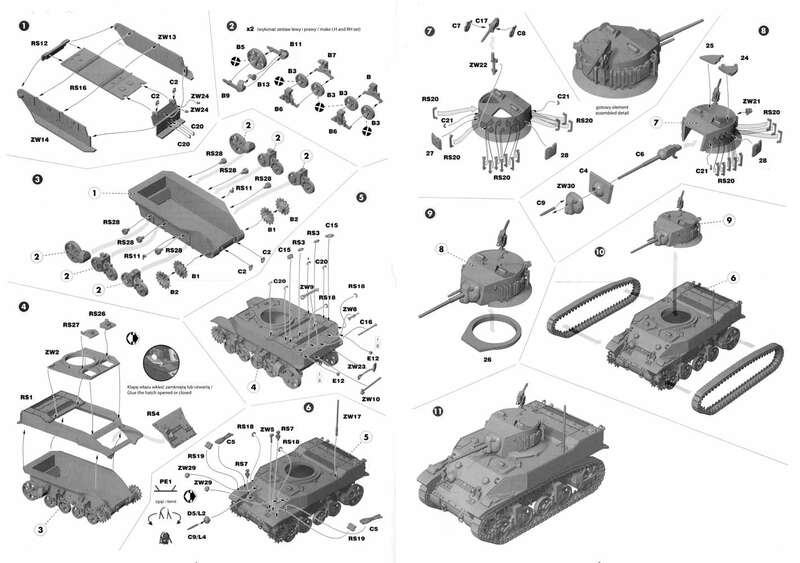 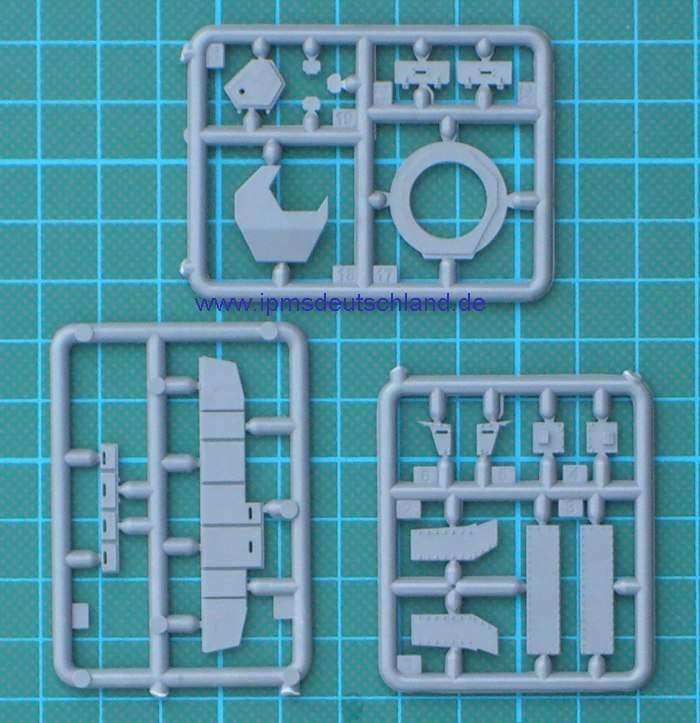 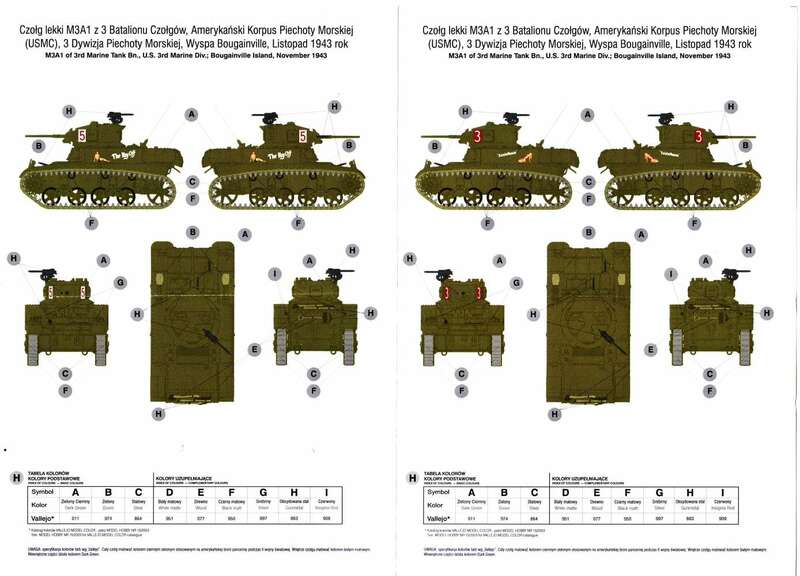 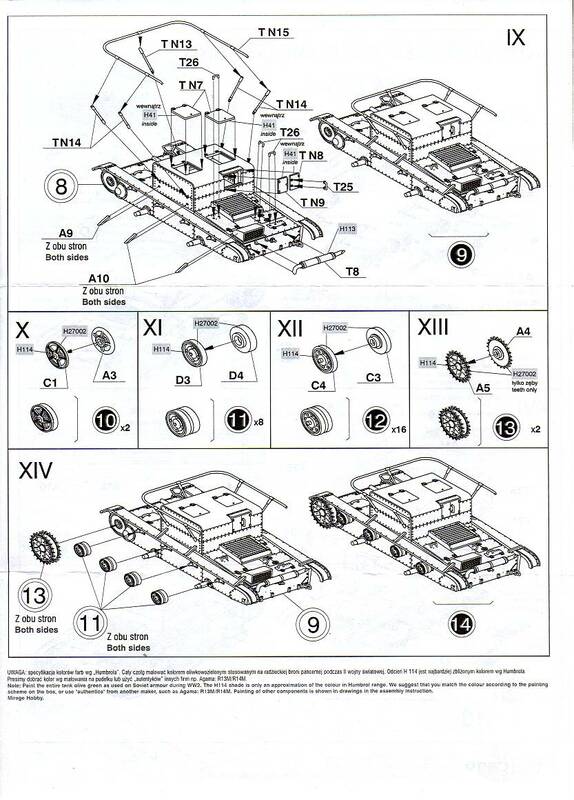 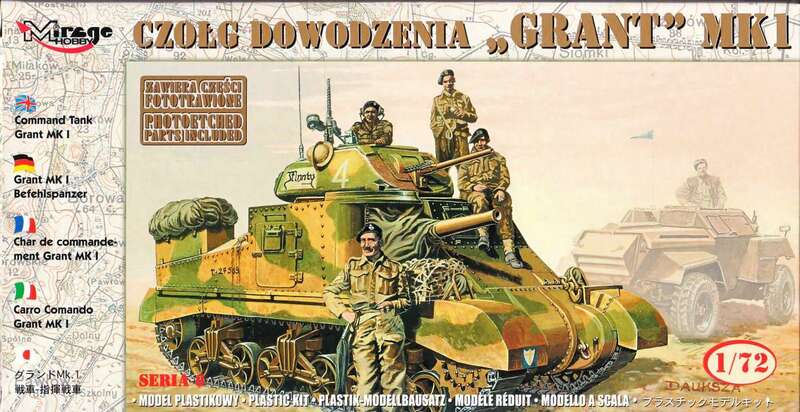 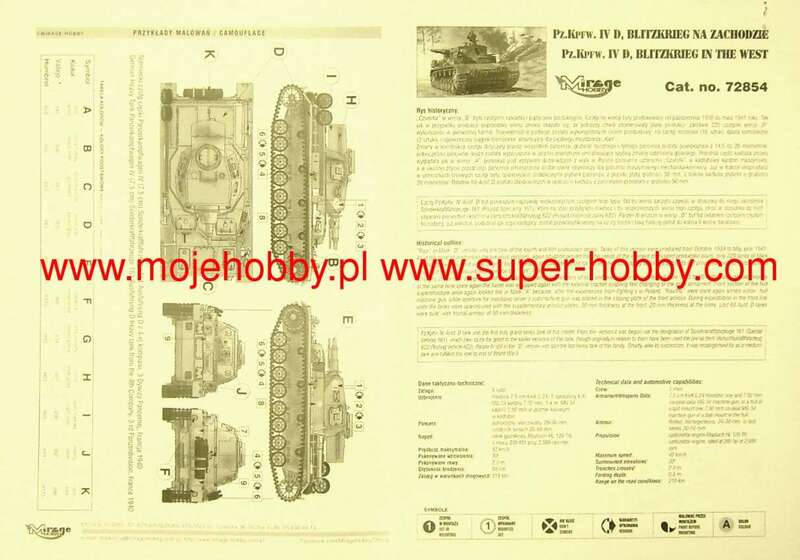 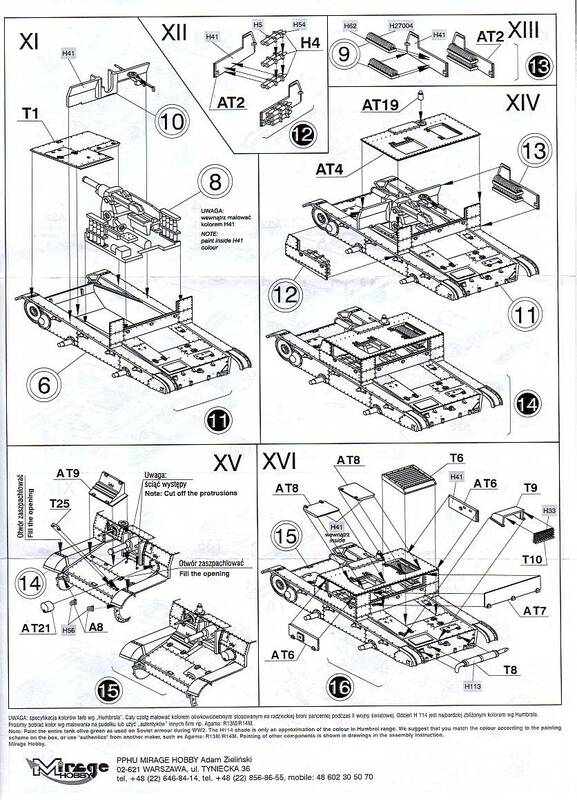 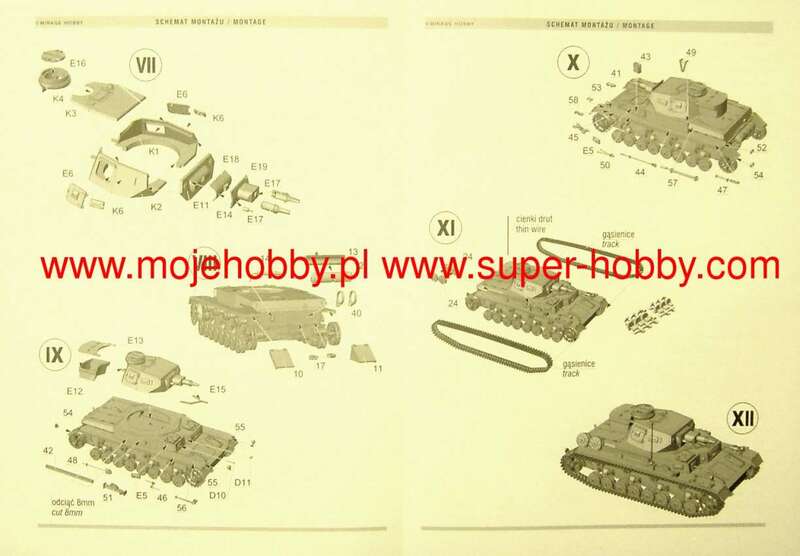 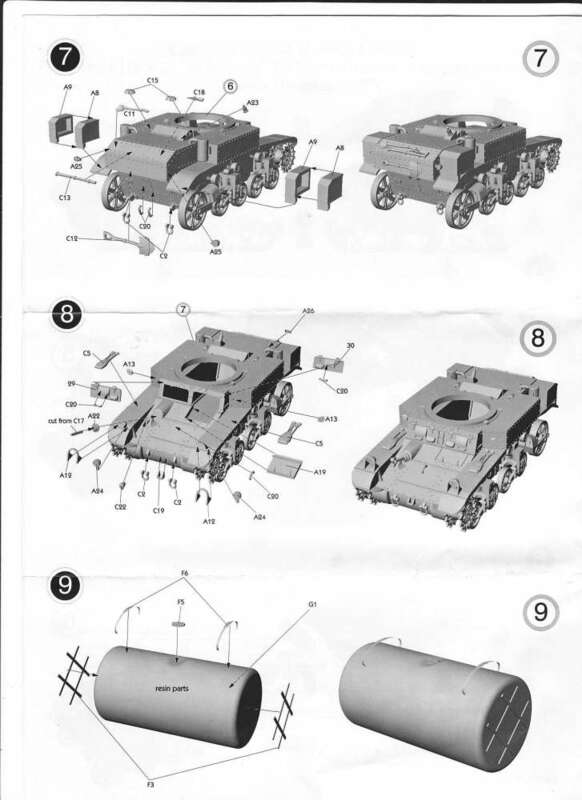 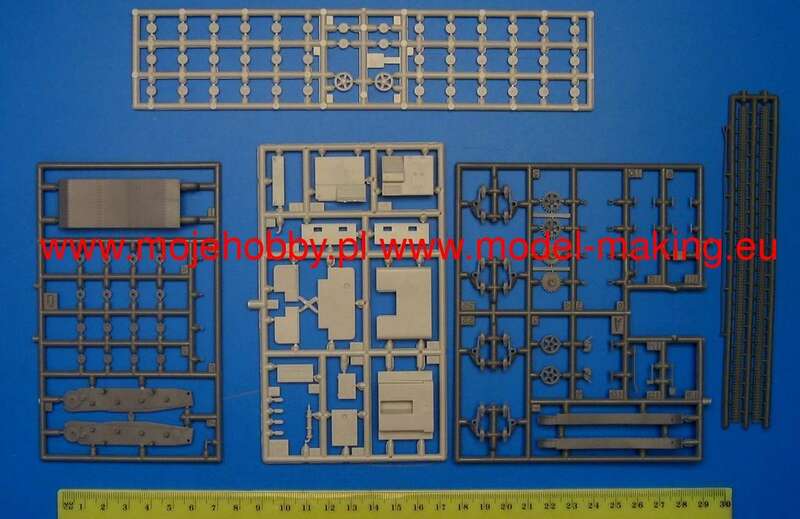 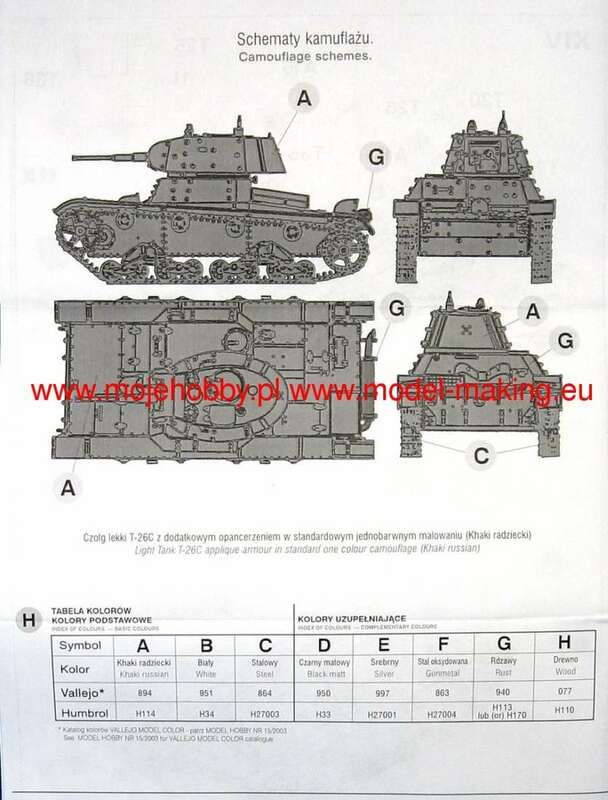 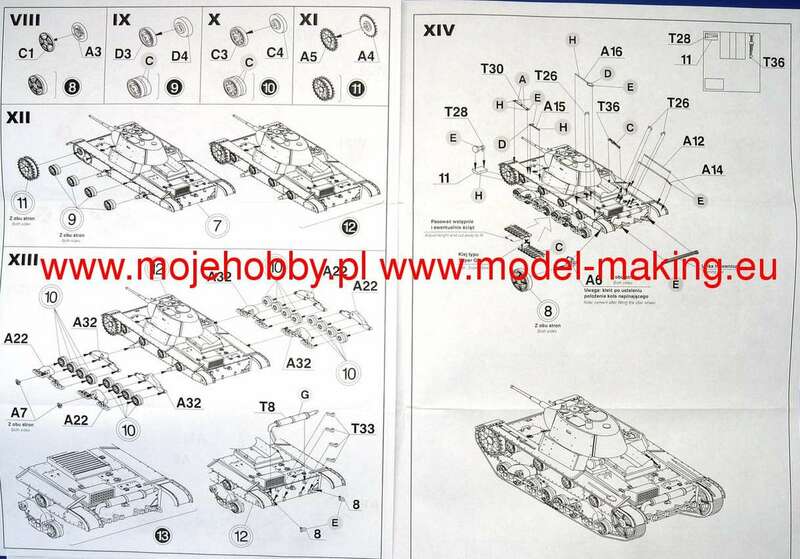 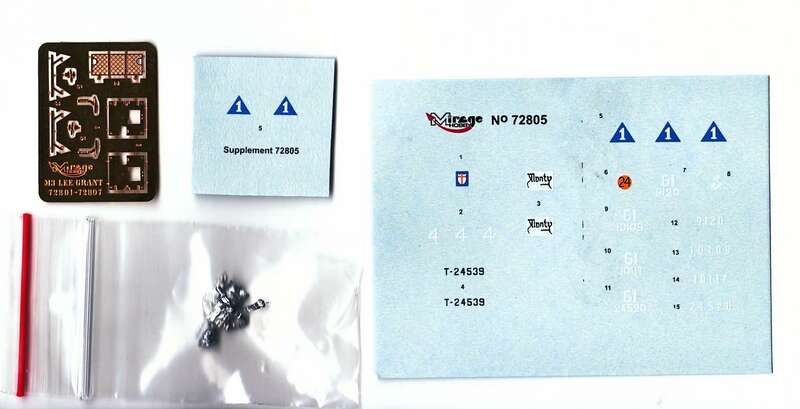 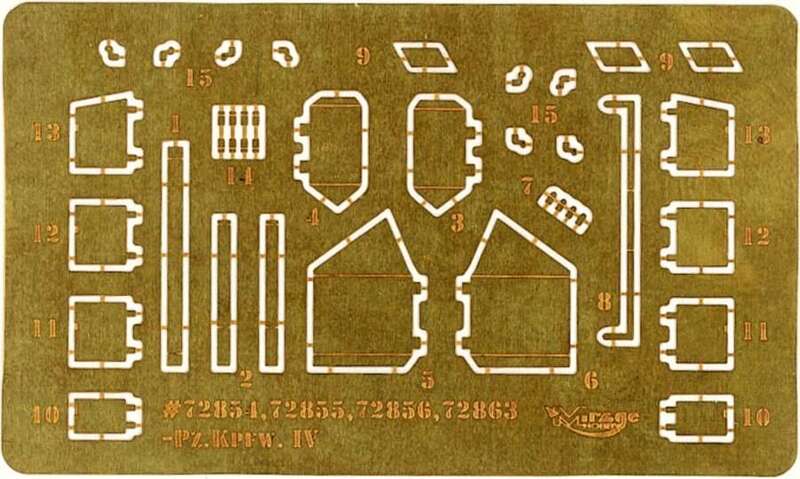 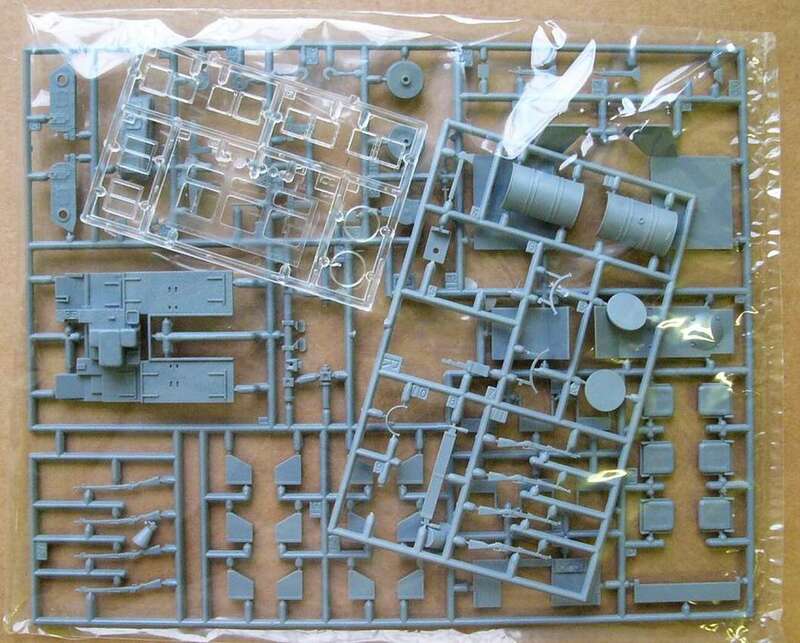 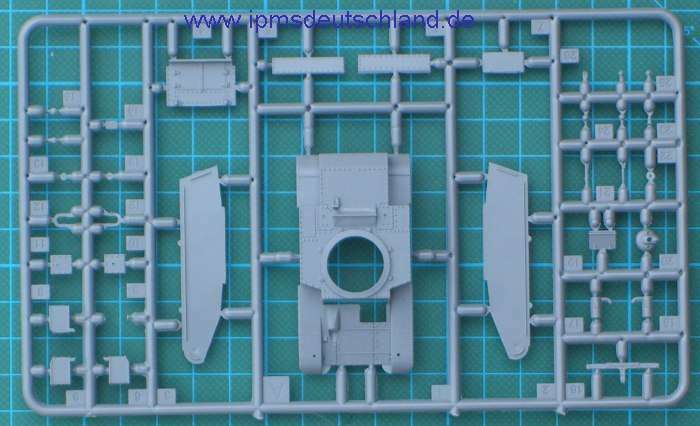 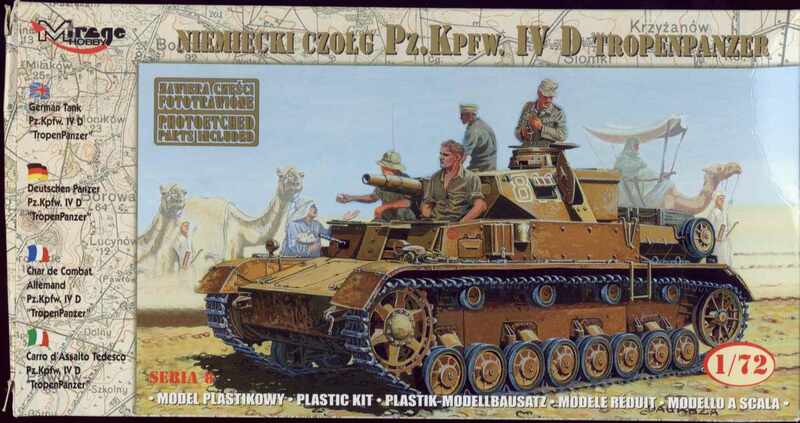 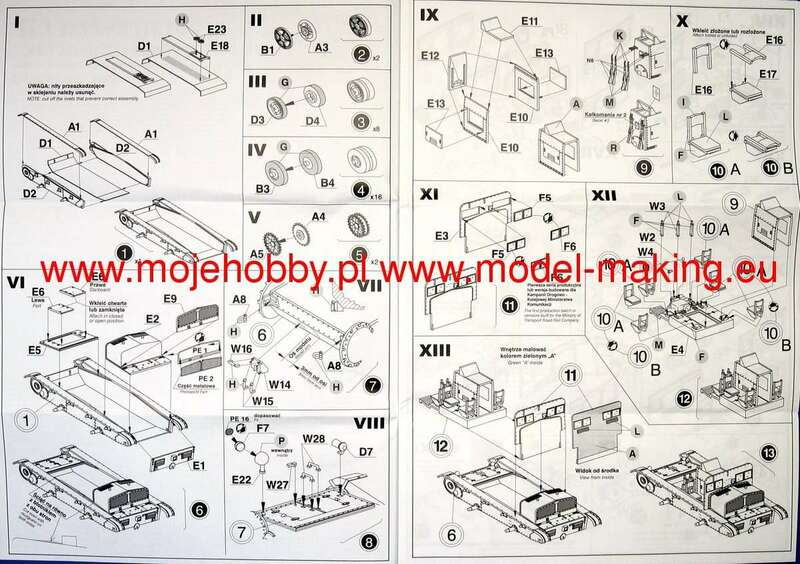 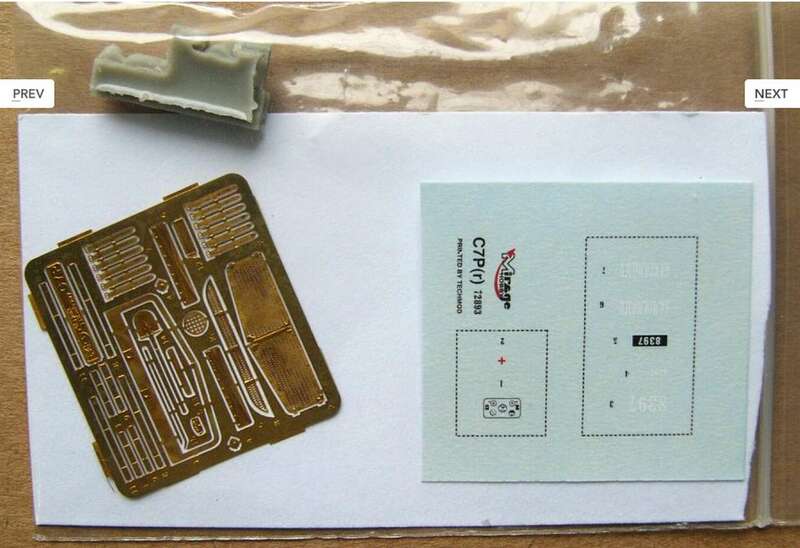 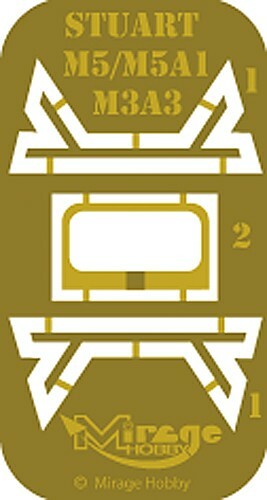 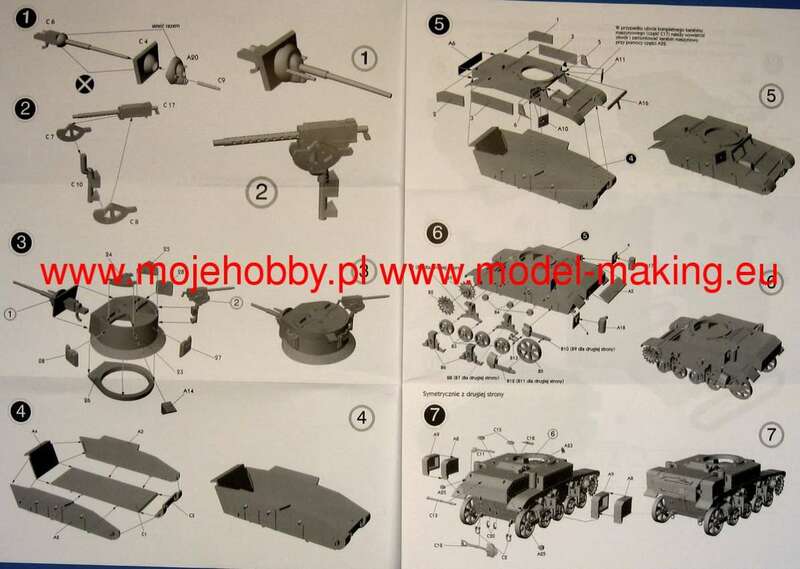 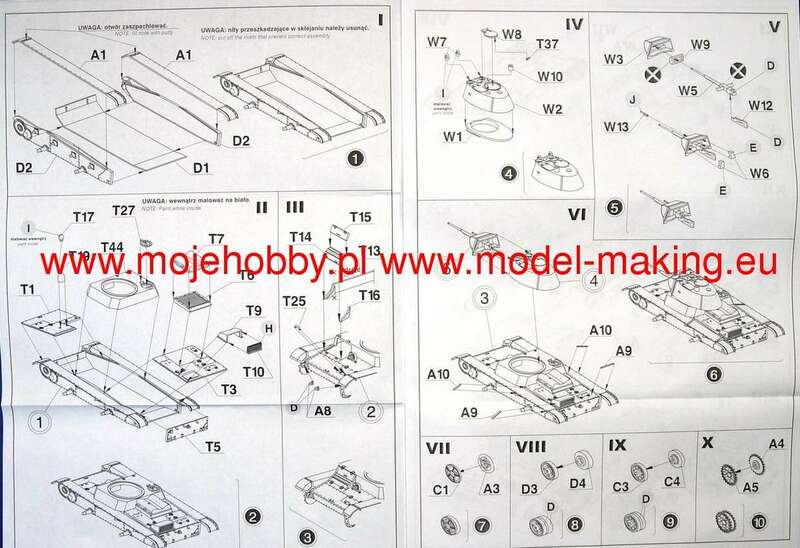 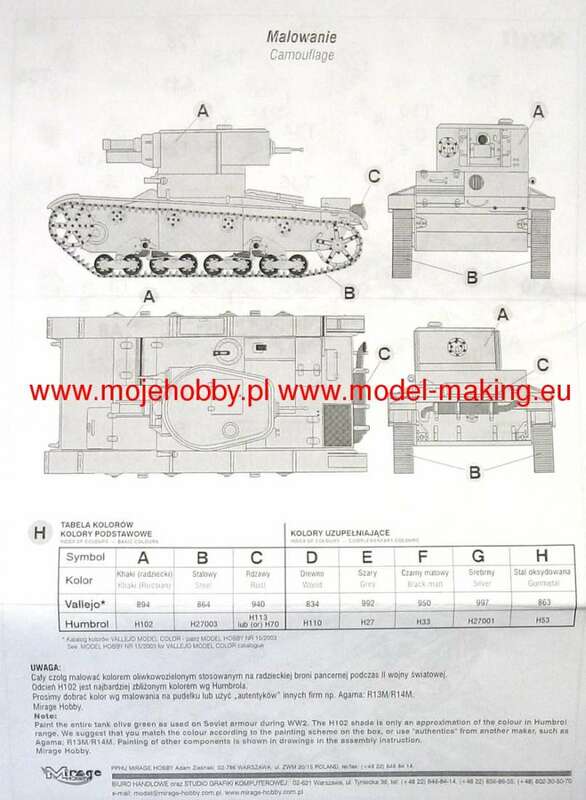 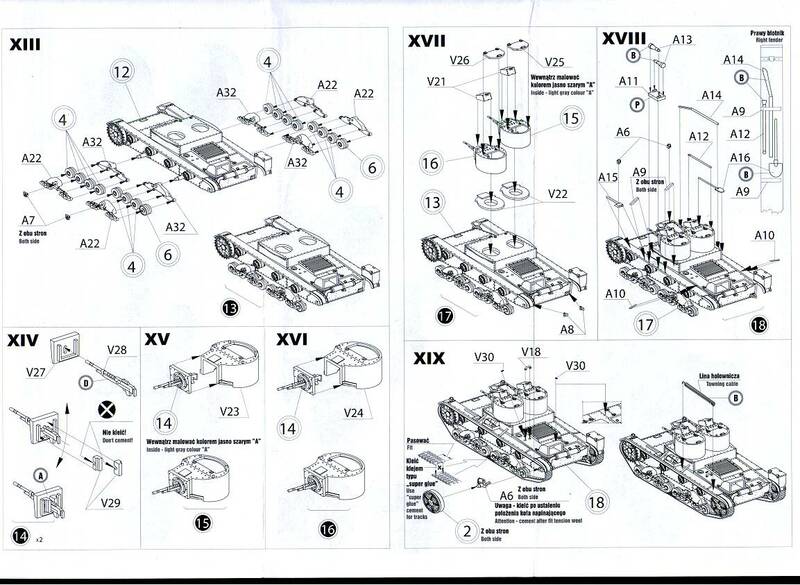 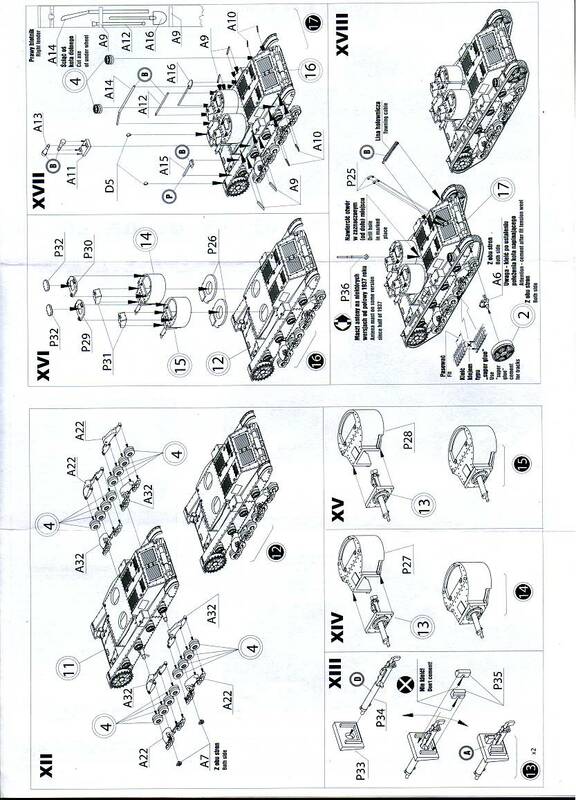 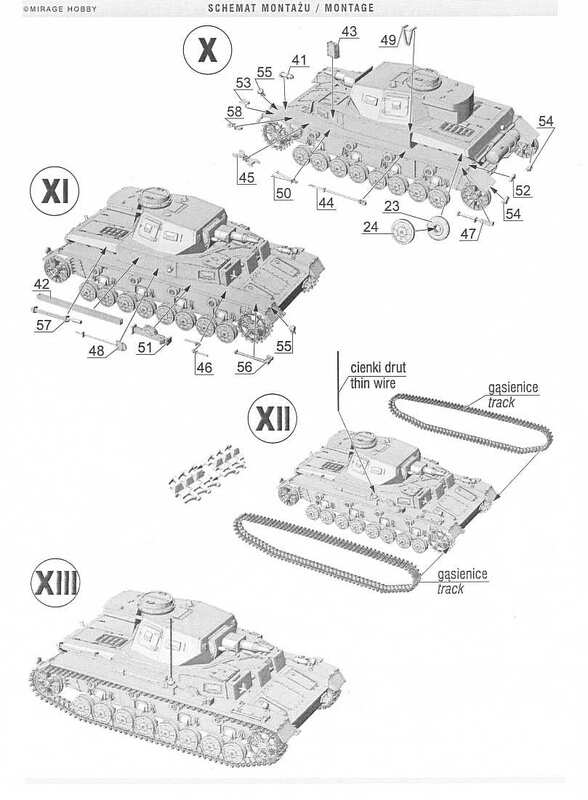 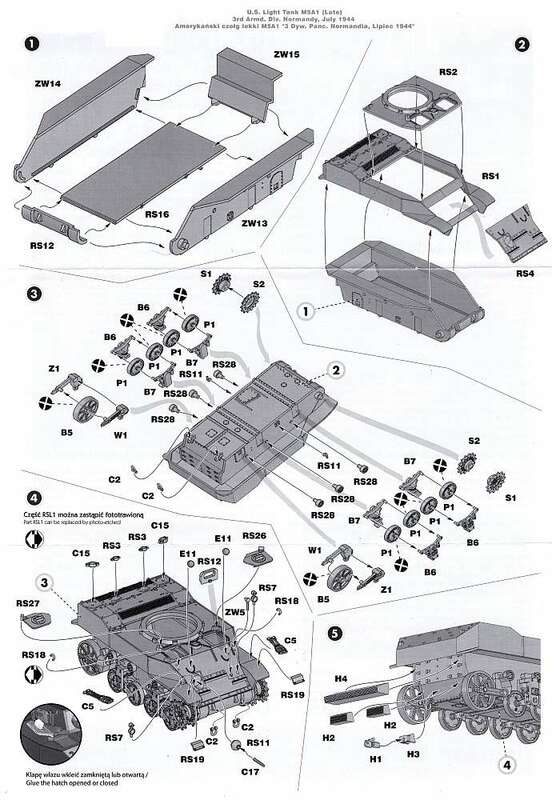 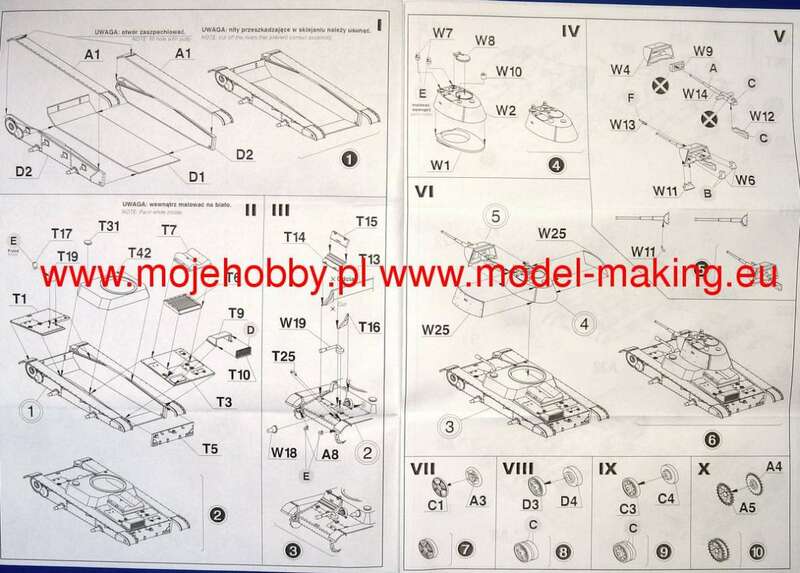 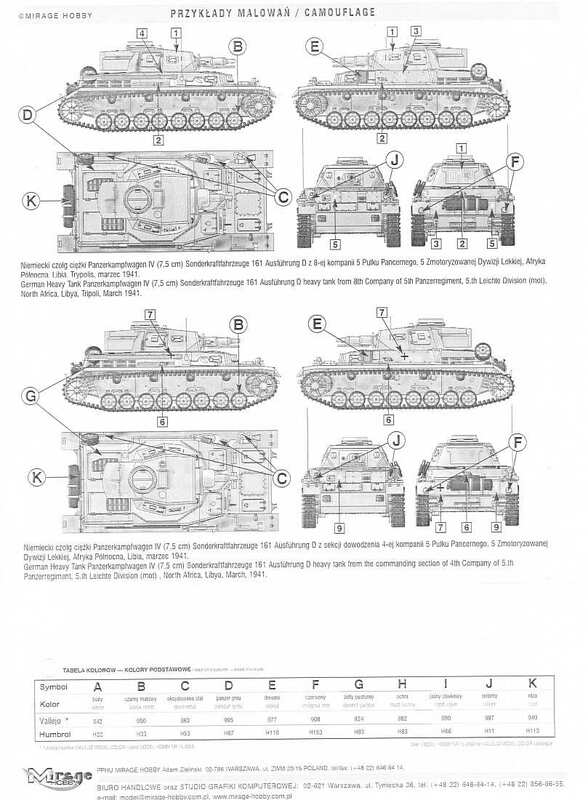 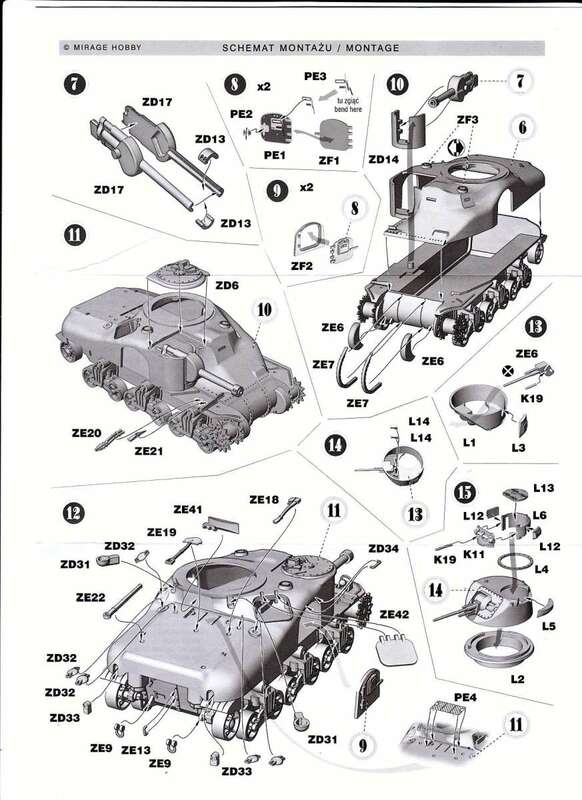 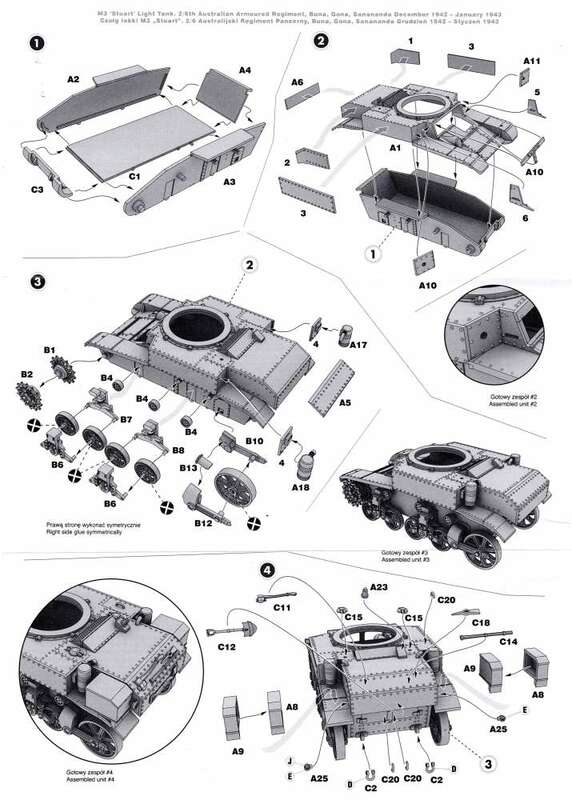 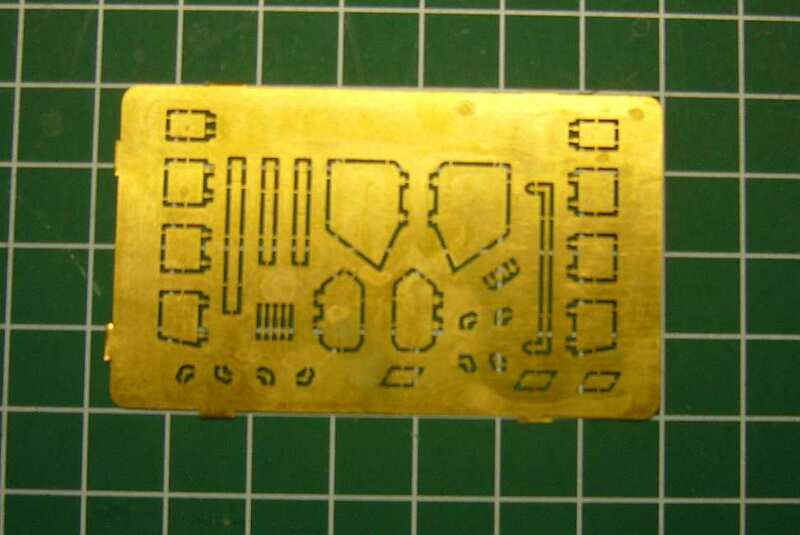 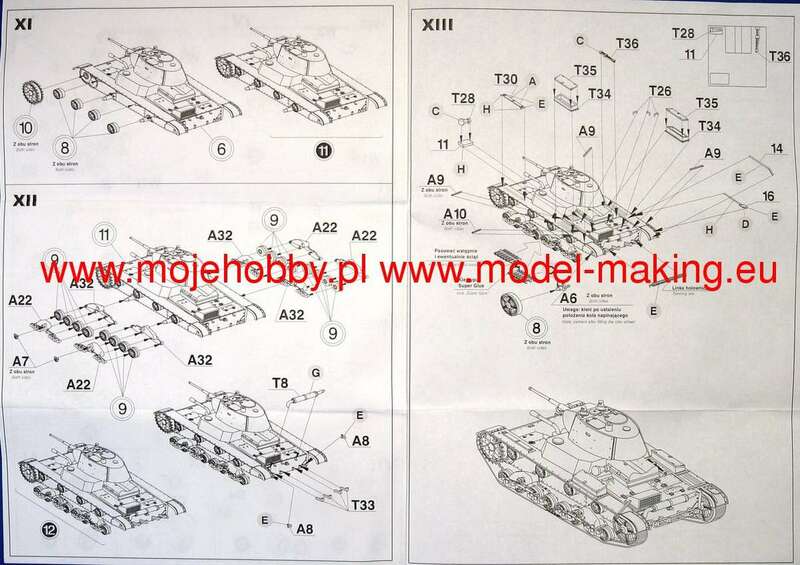 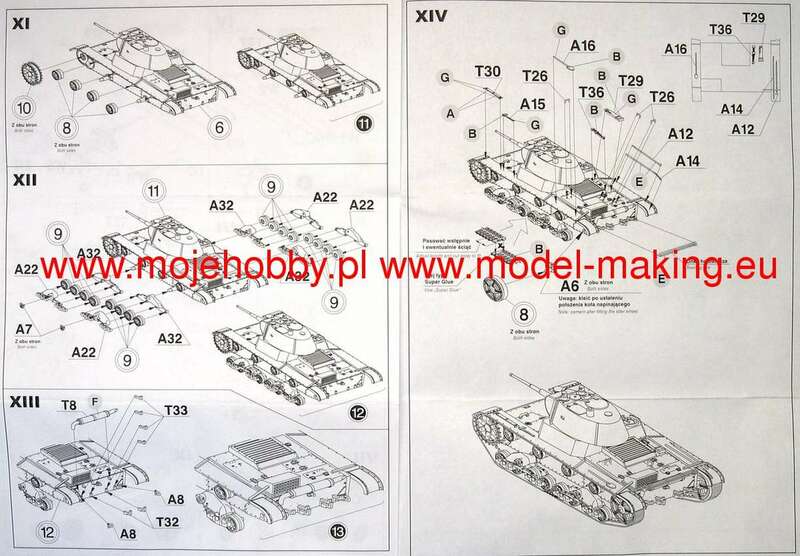 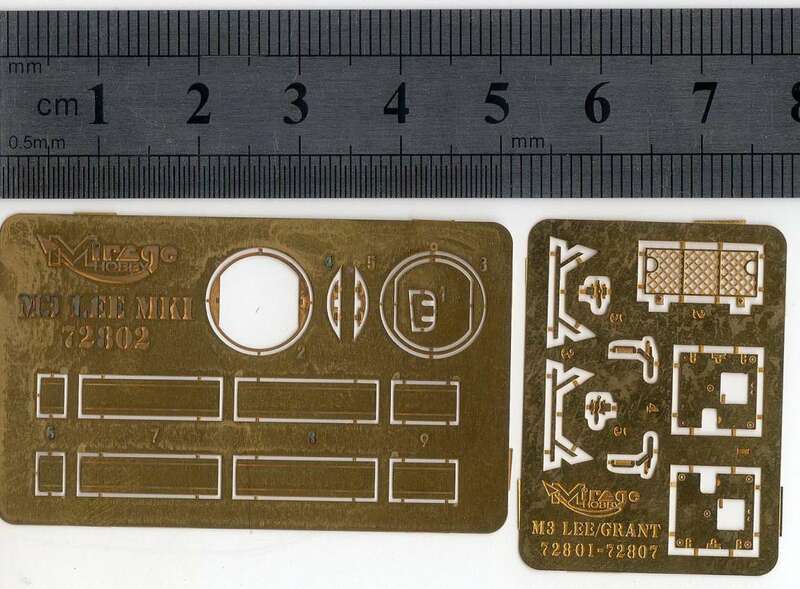 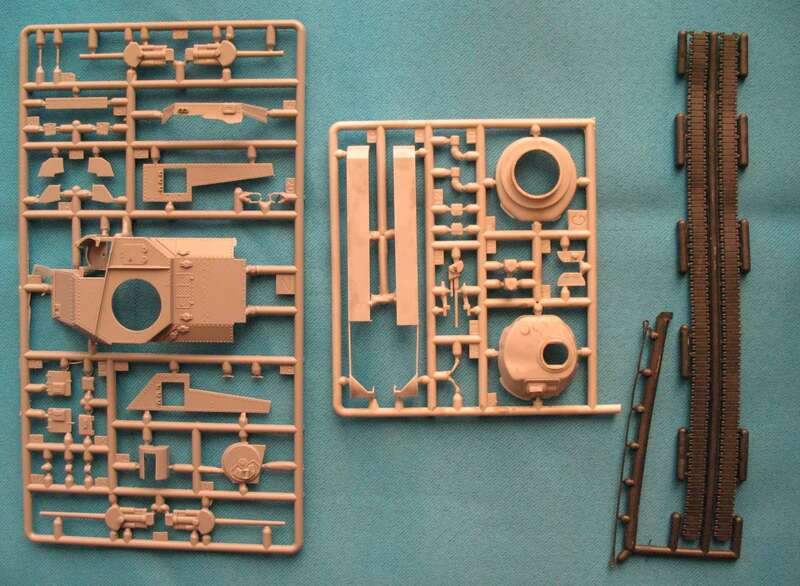 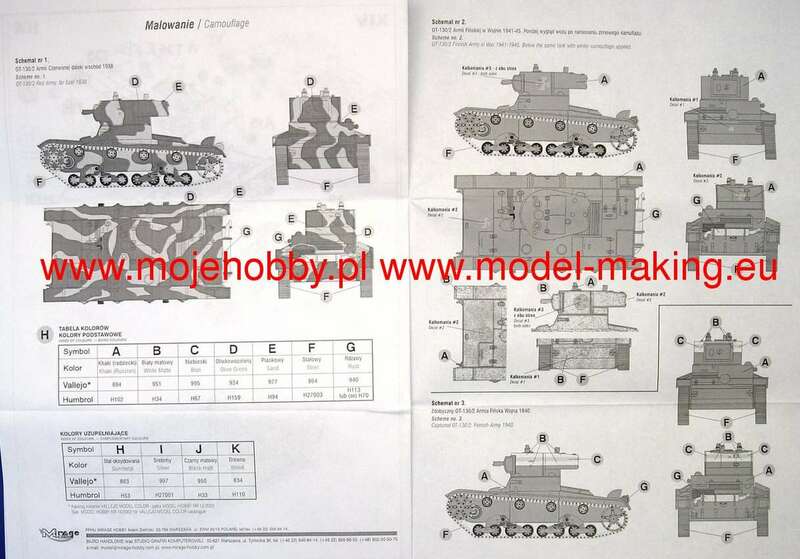 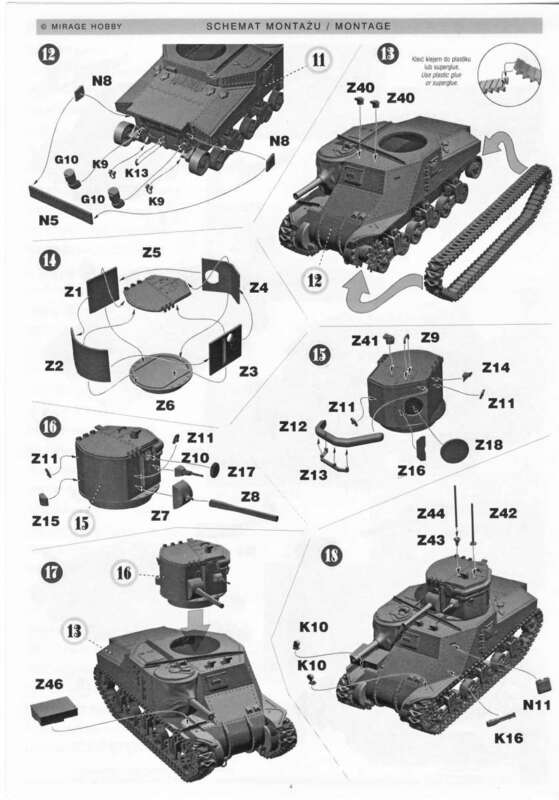 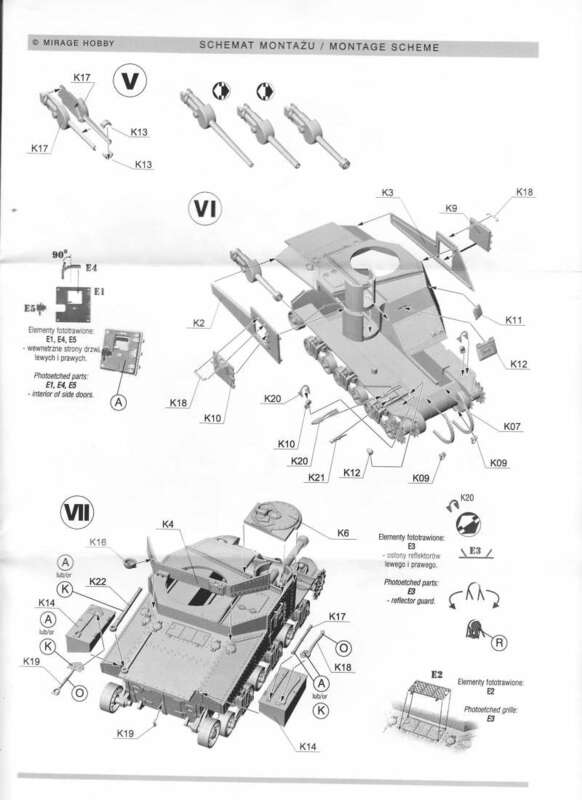 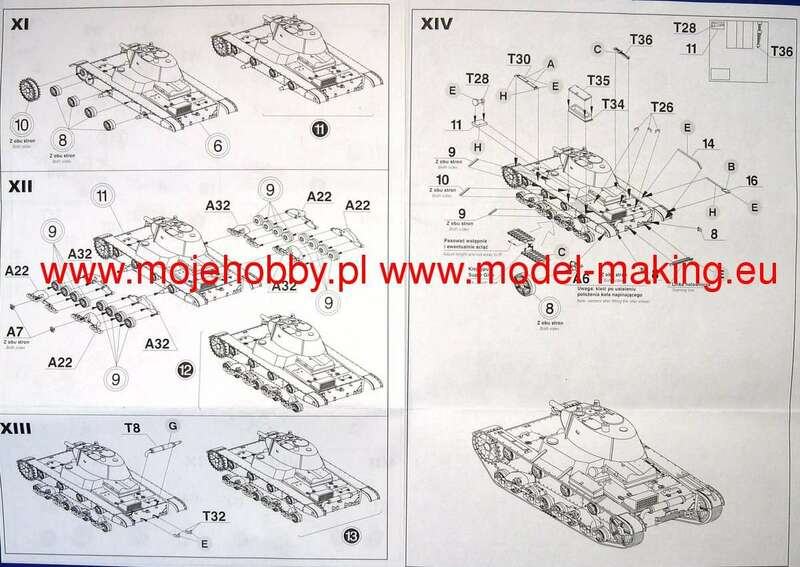 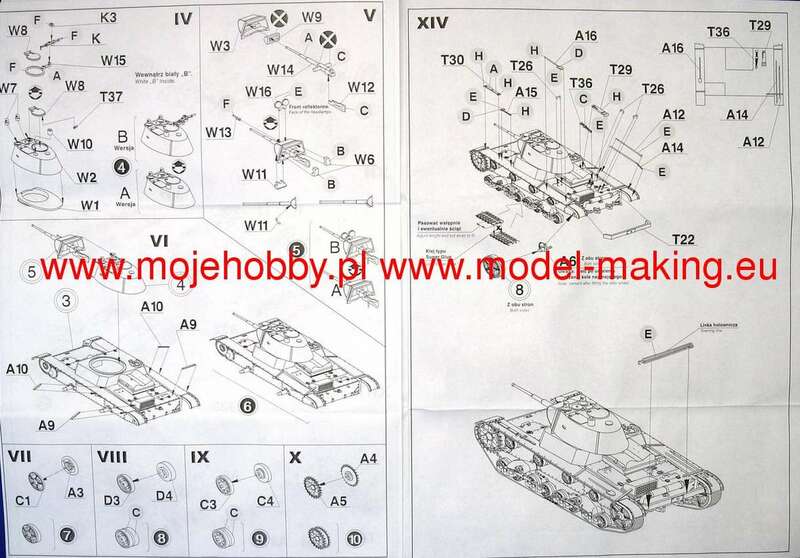 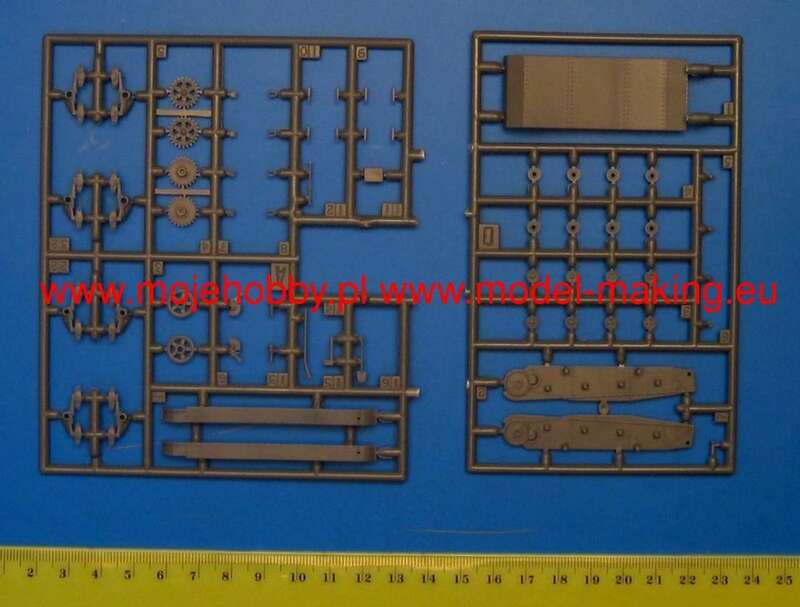 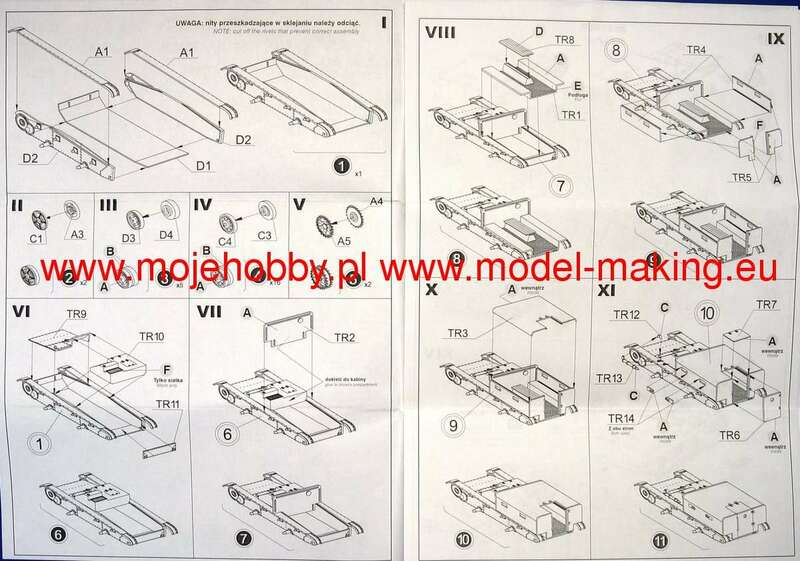 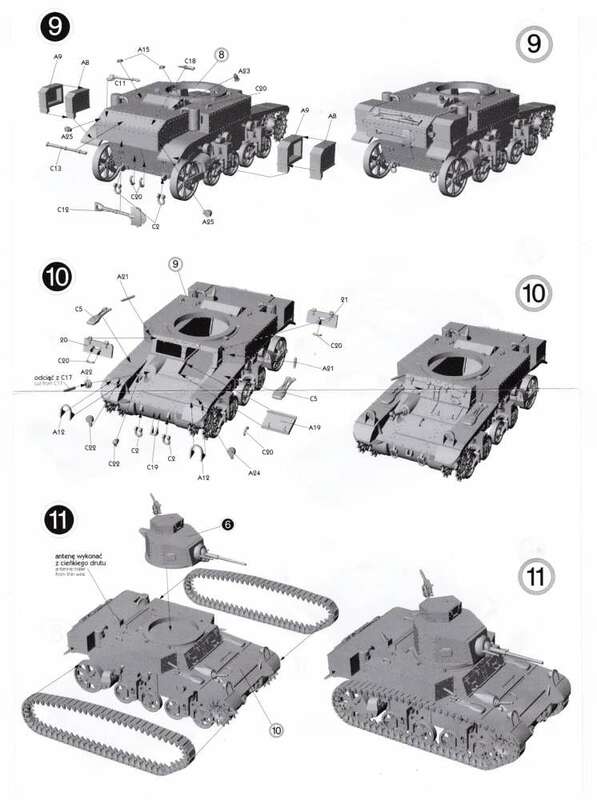 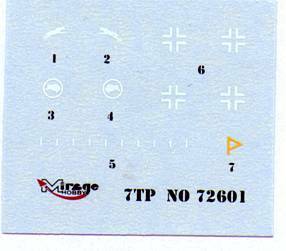 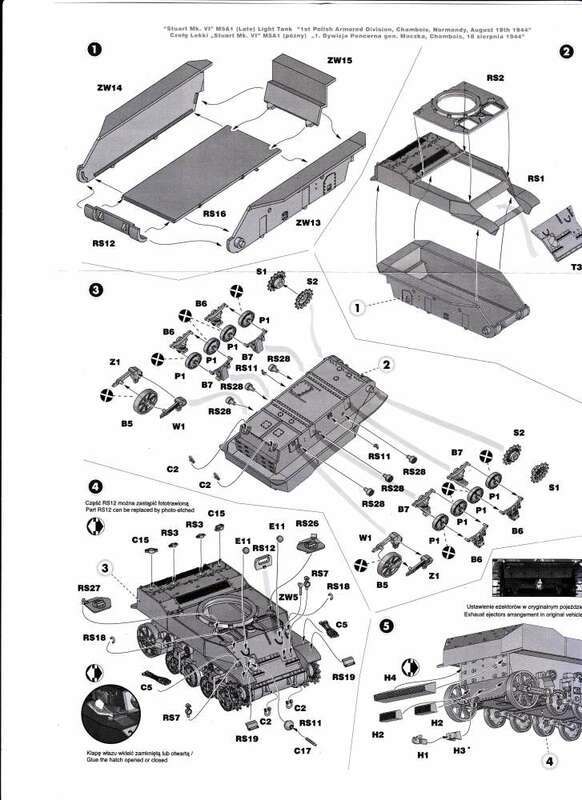 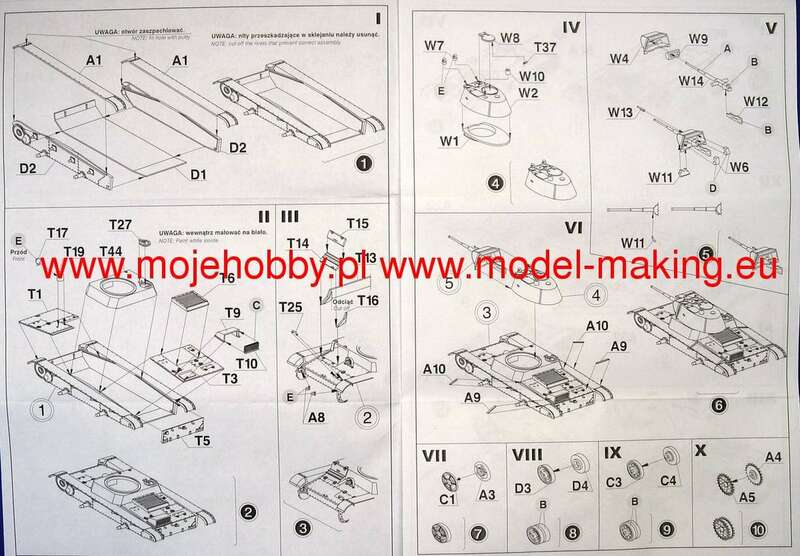 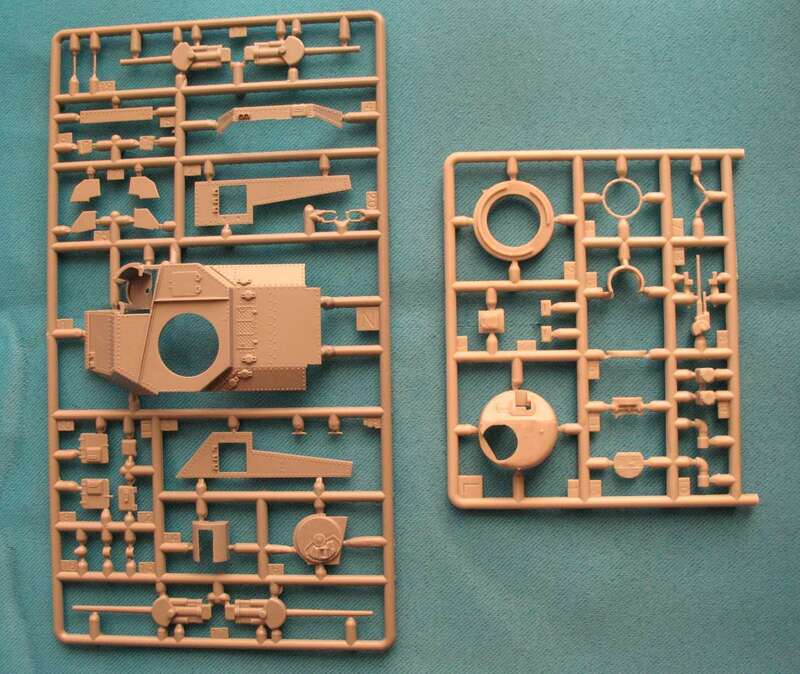 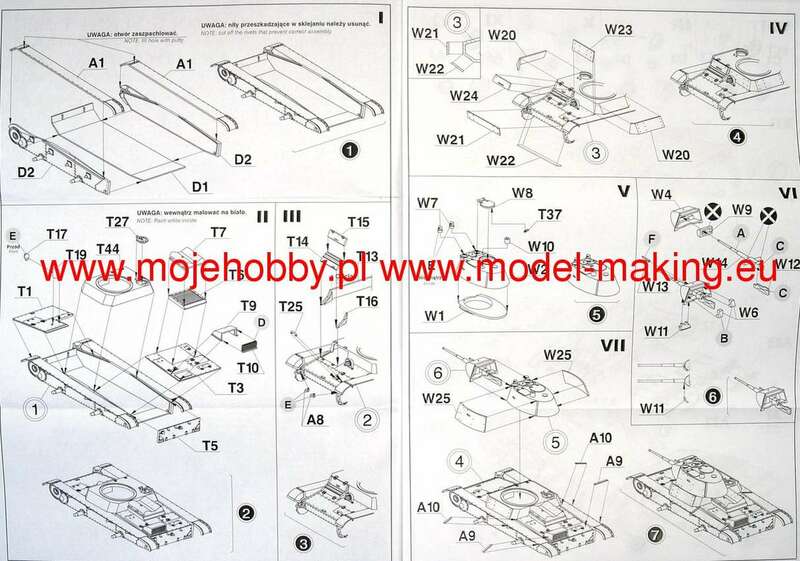 Extra PE parts kit 72802 - "Lee"
Kit 72808 - M3 Grant MK-1 "Battle of Gazala"
Kit 72854 - Panzer IV Ausf. 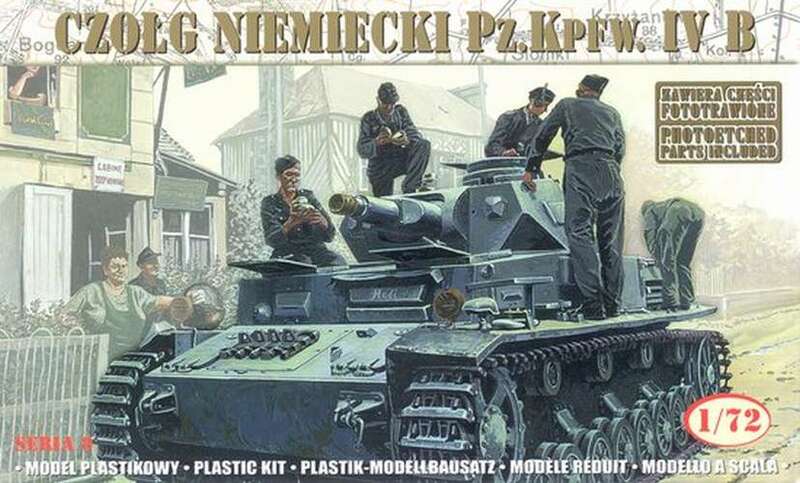 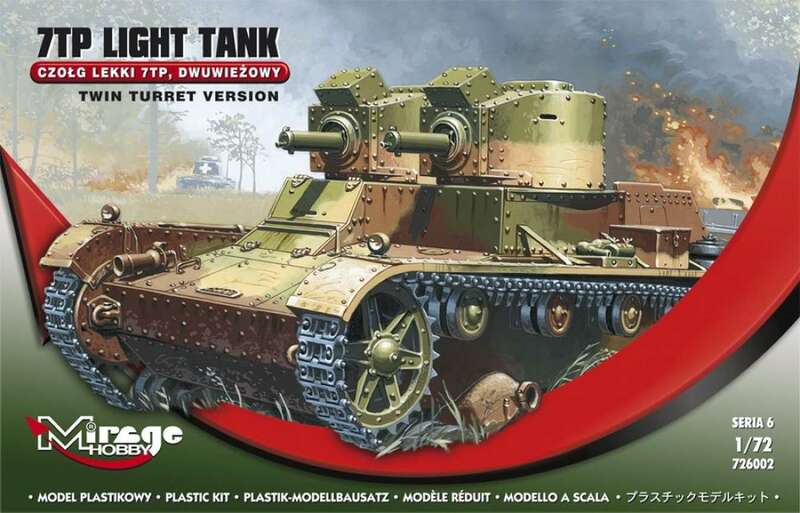 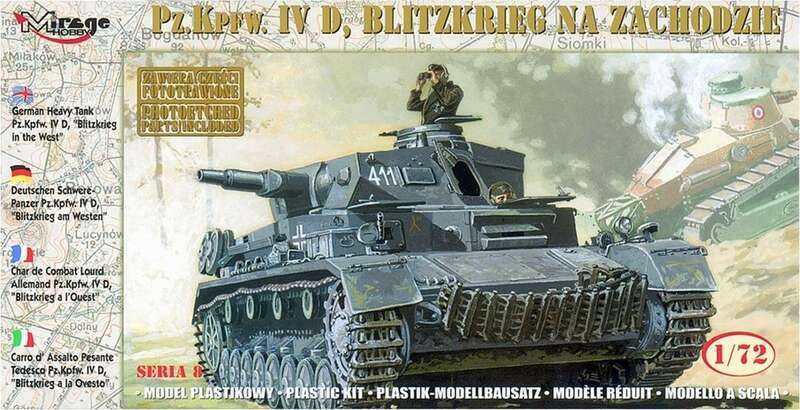 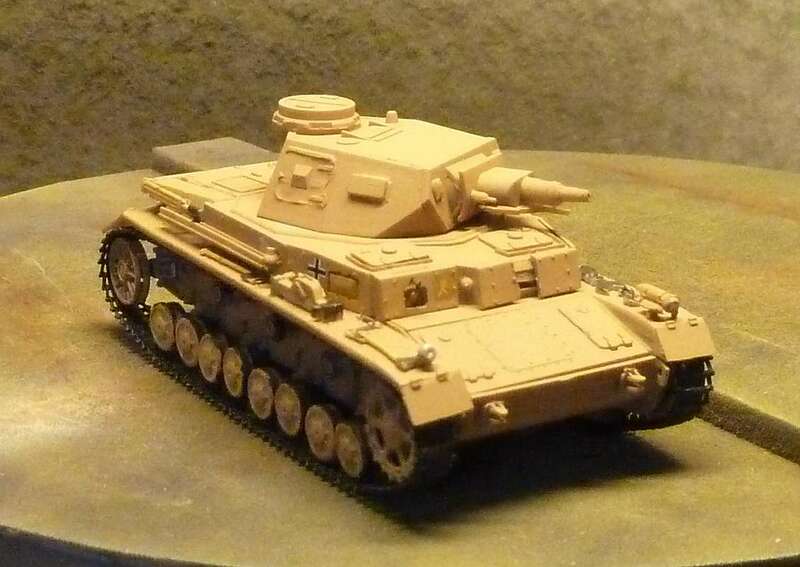 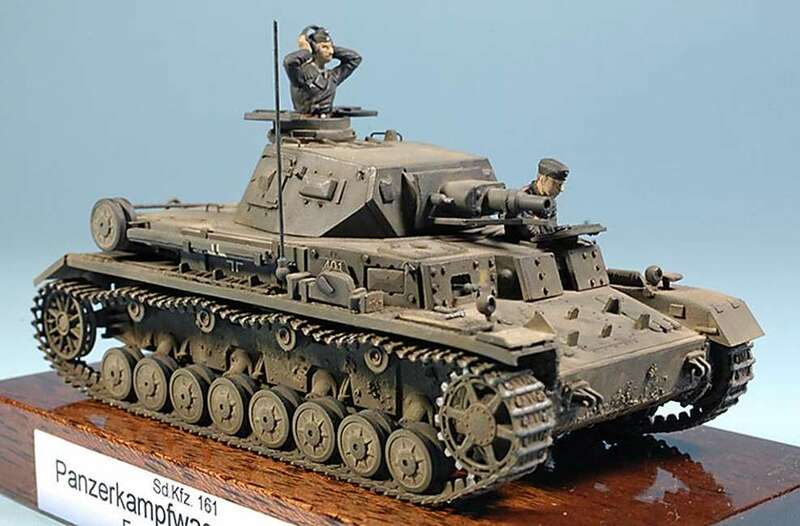 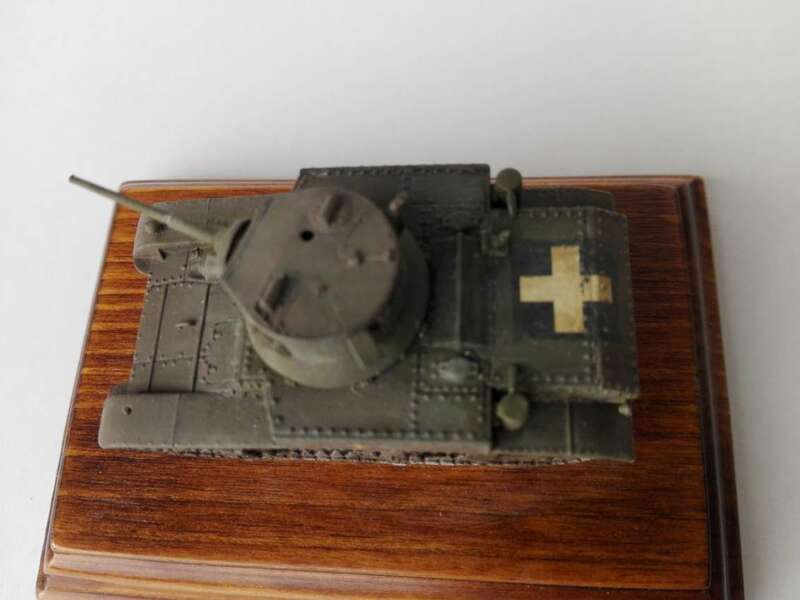 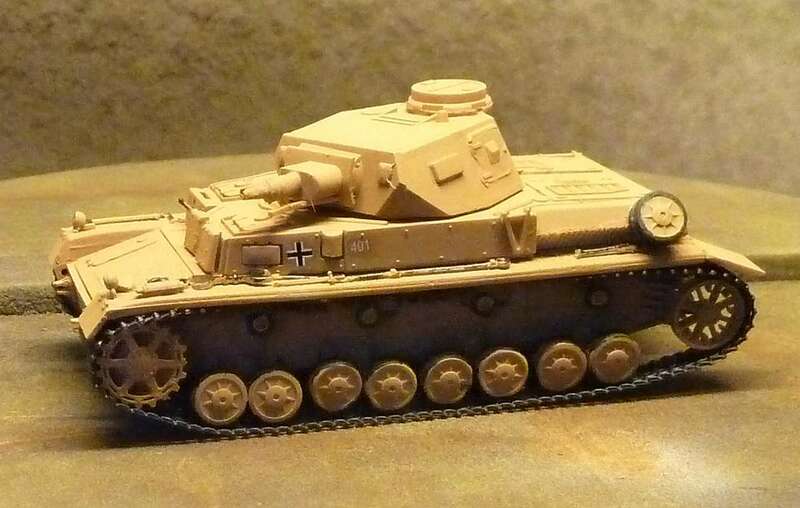 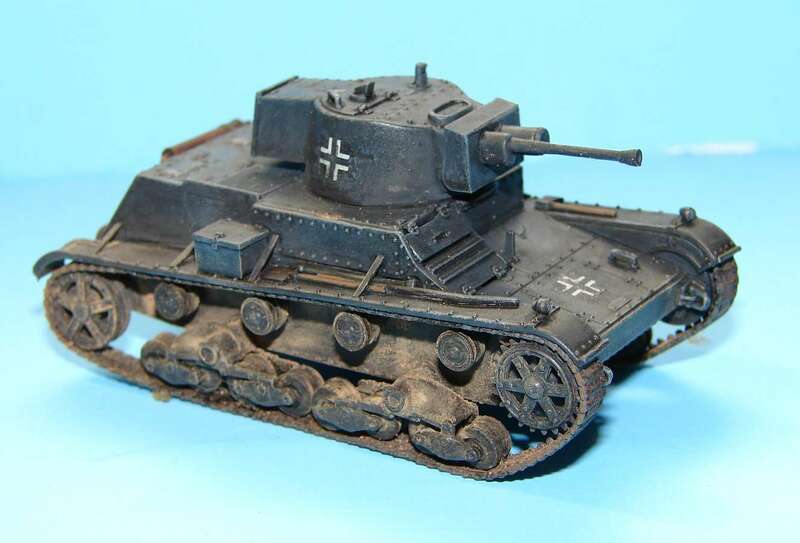 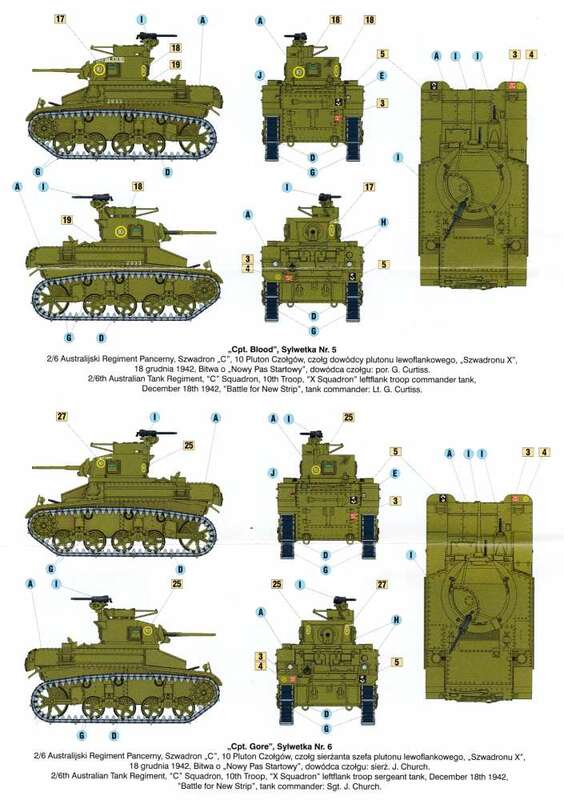 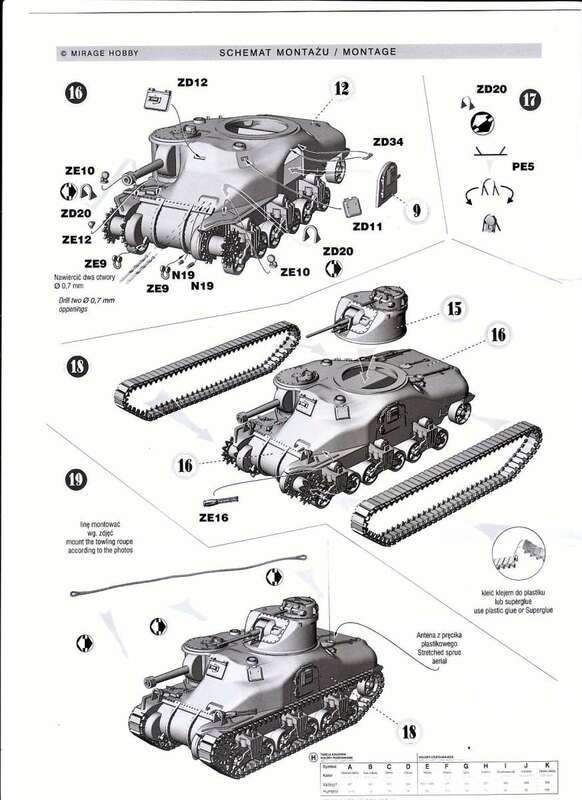 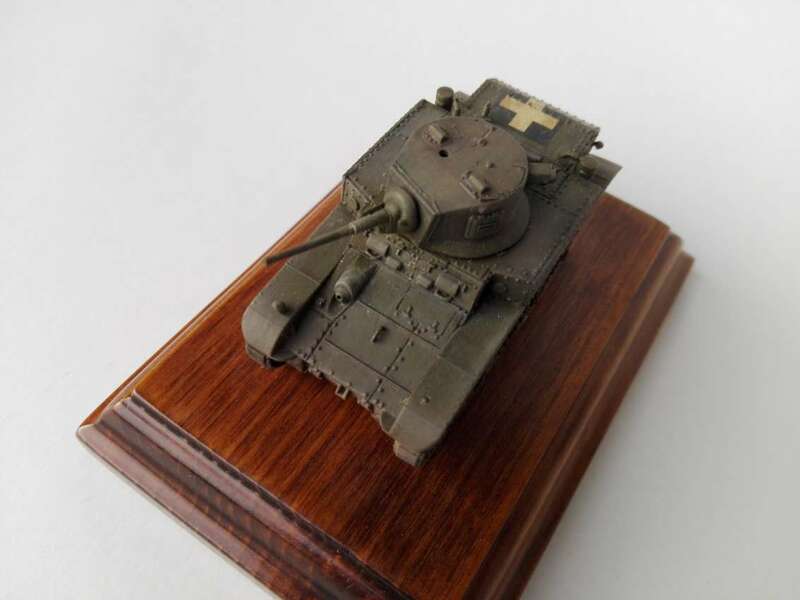 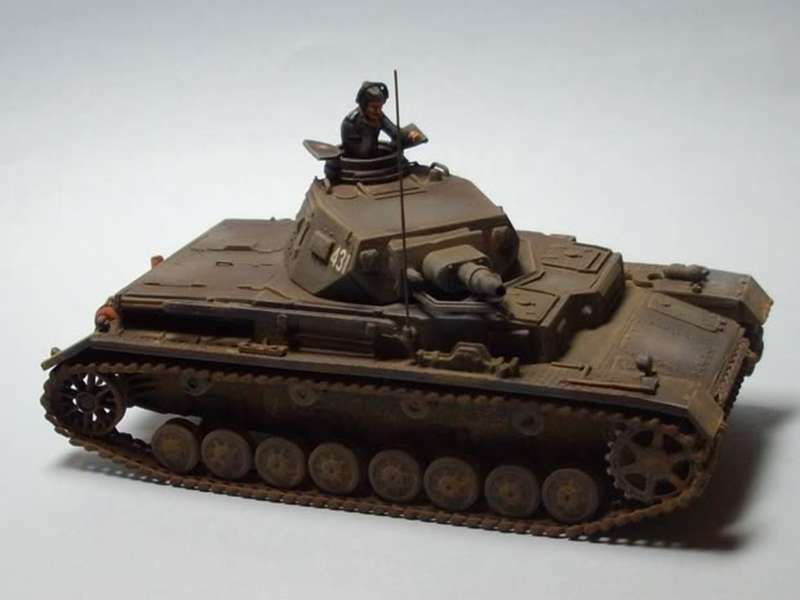 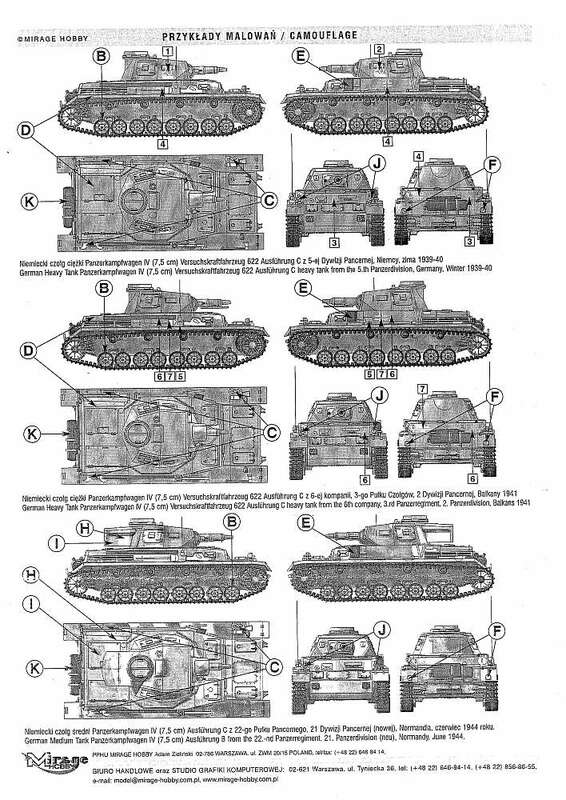 D "Blitzkrieg"
Kit 72855 - Panzer IV Ausf. 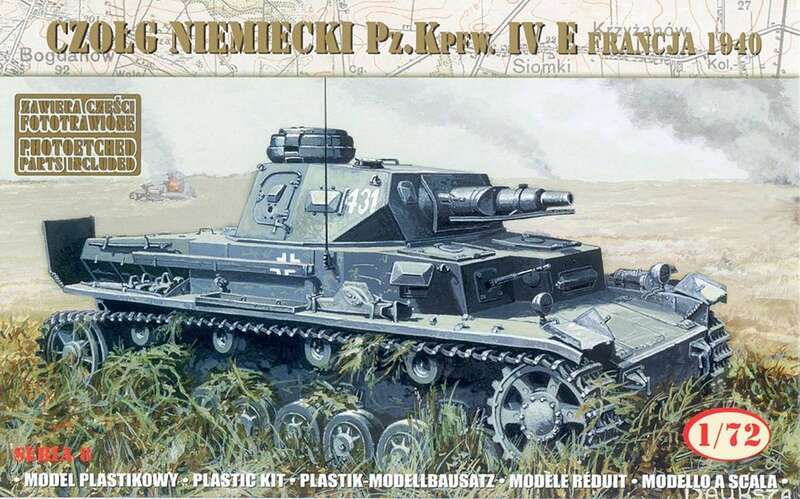 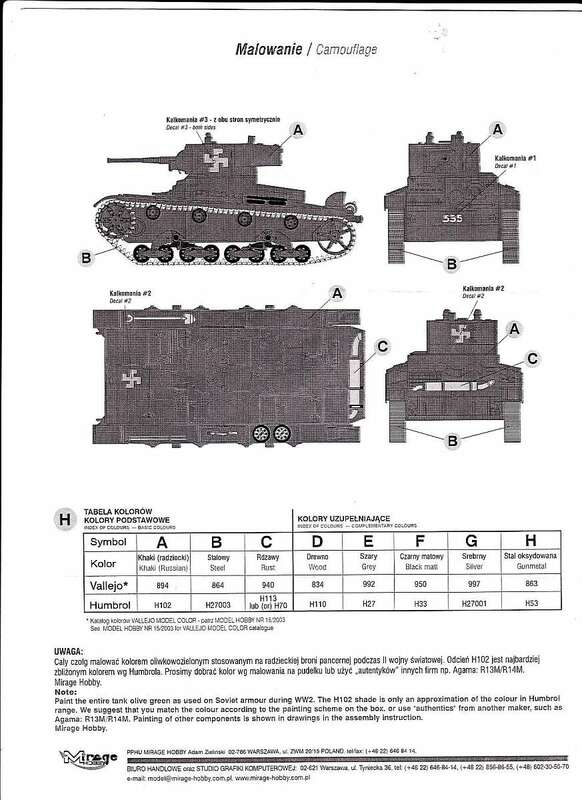 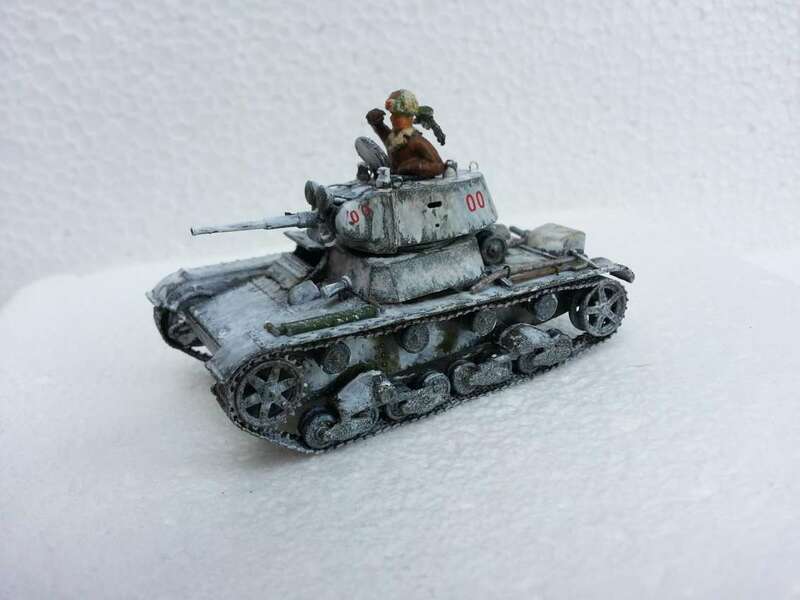 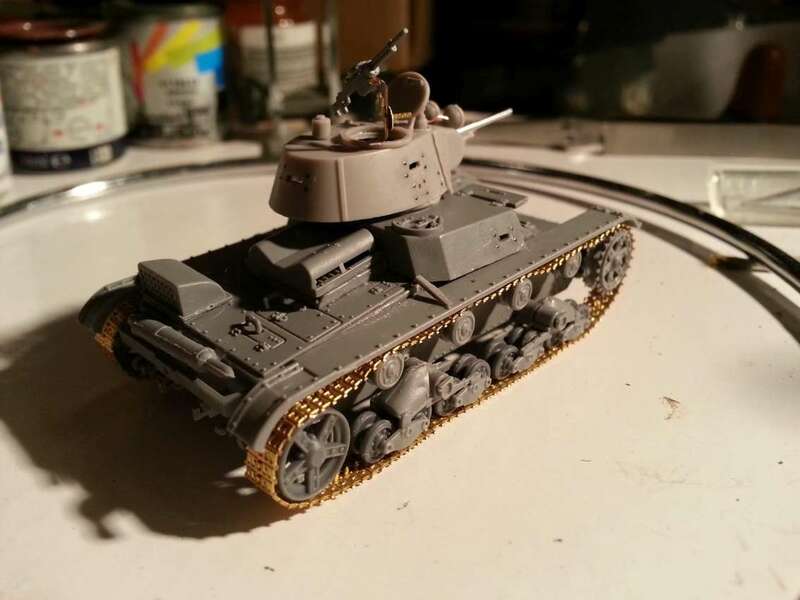 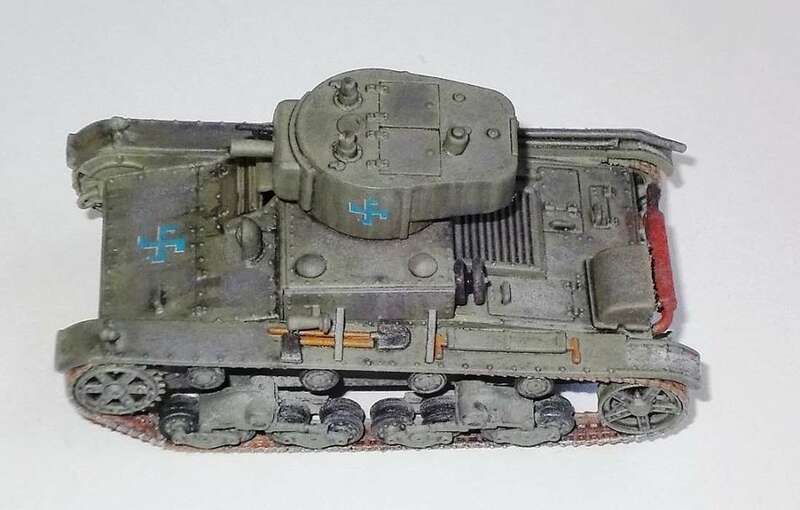 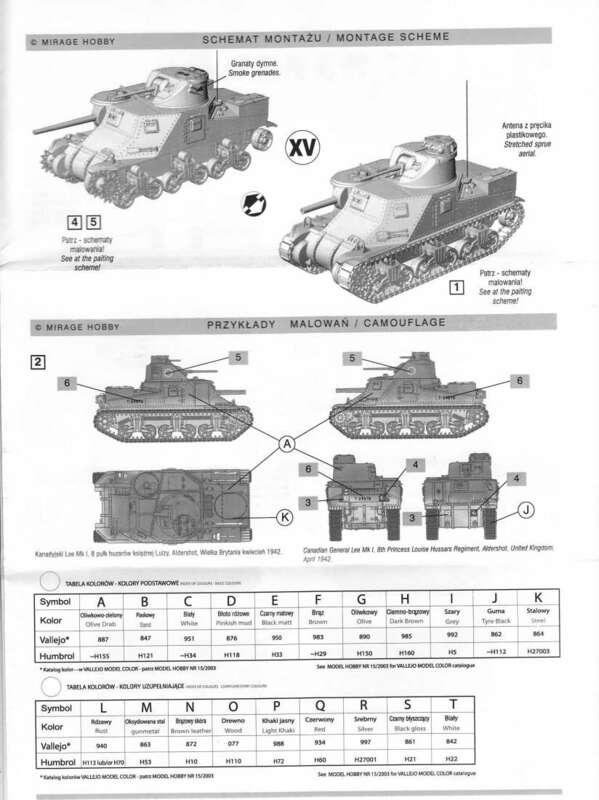 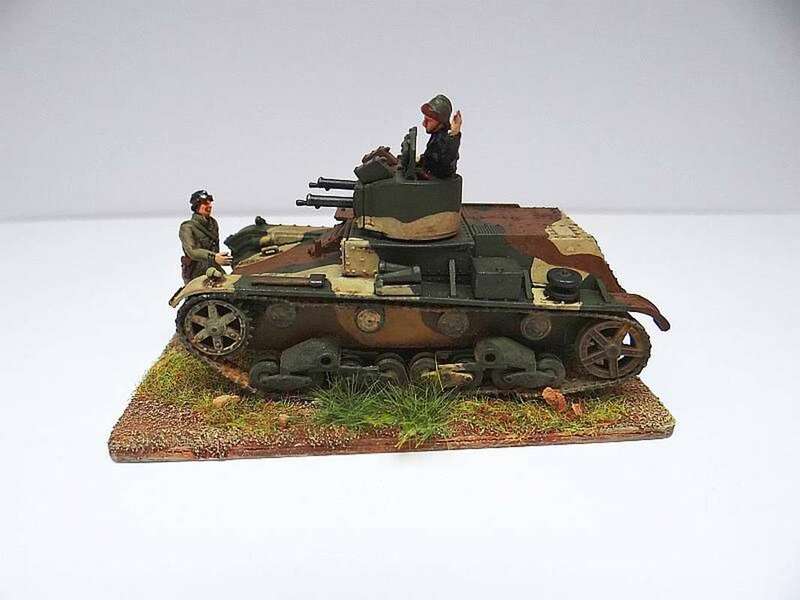 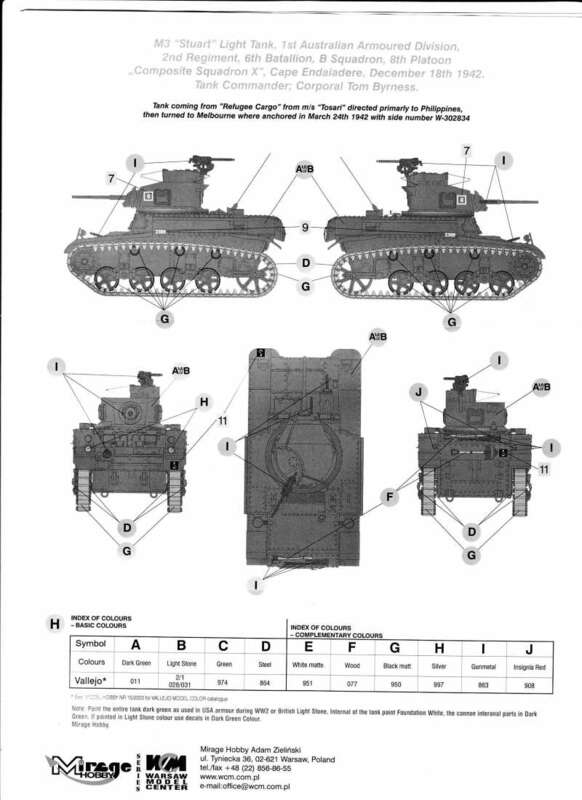 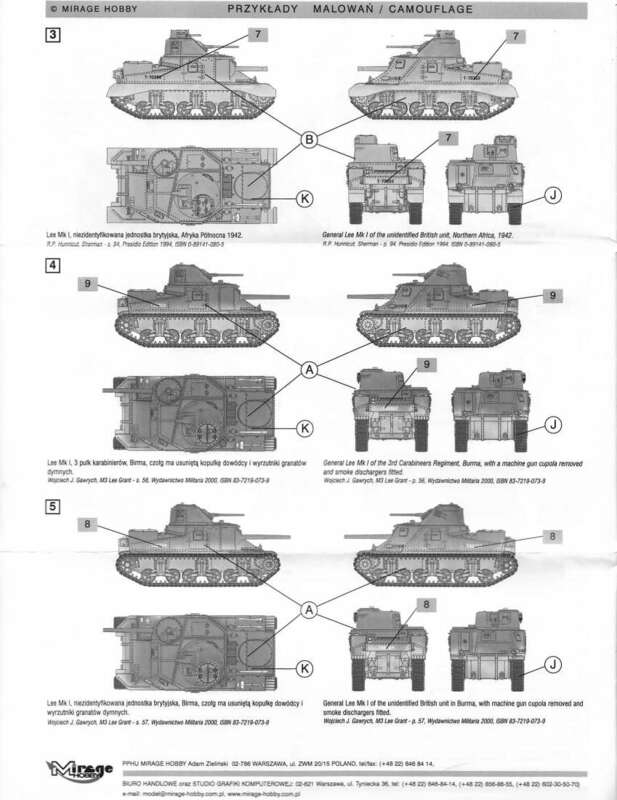 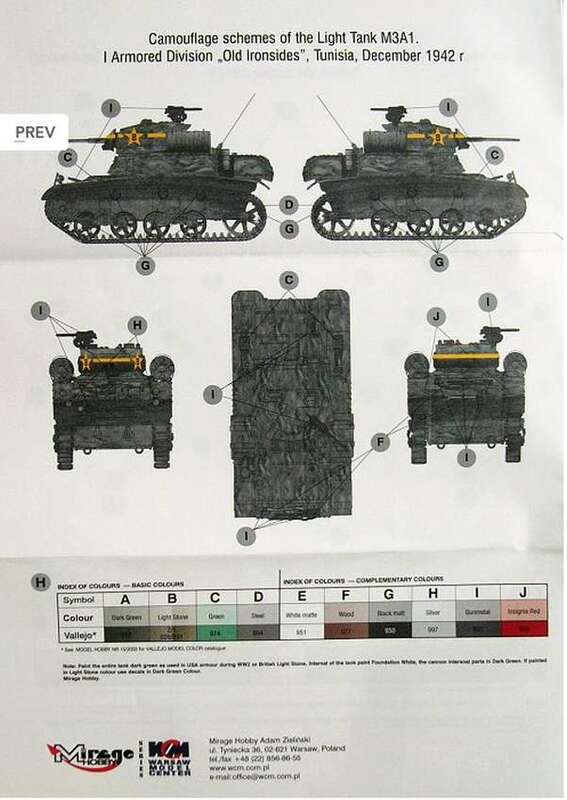 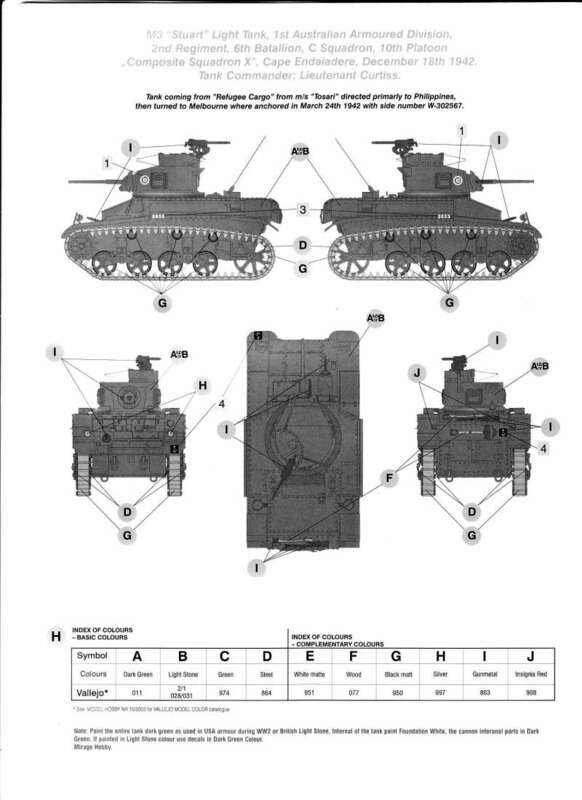 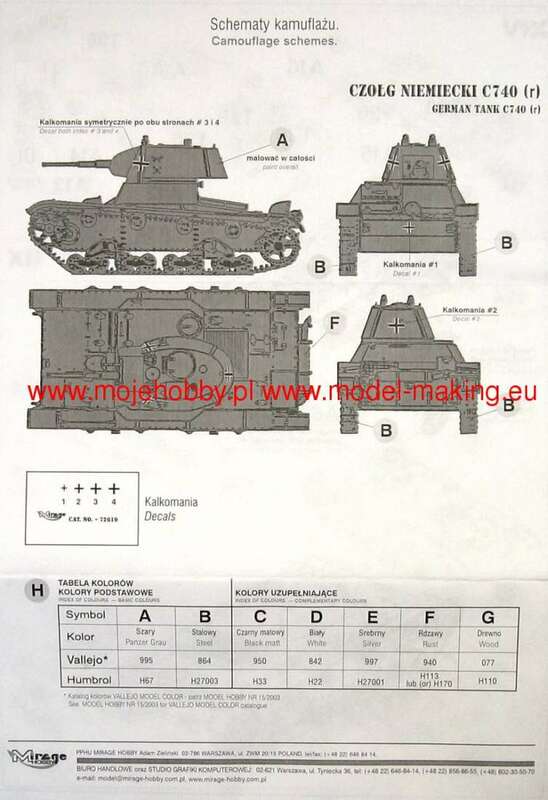 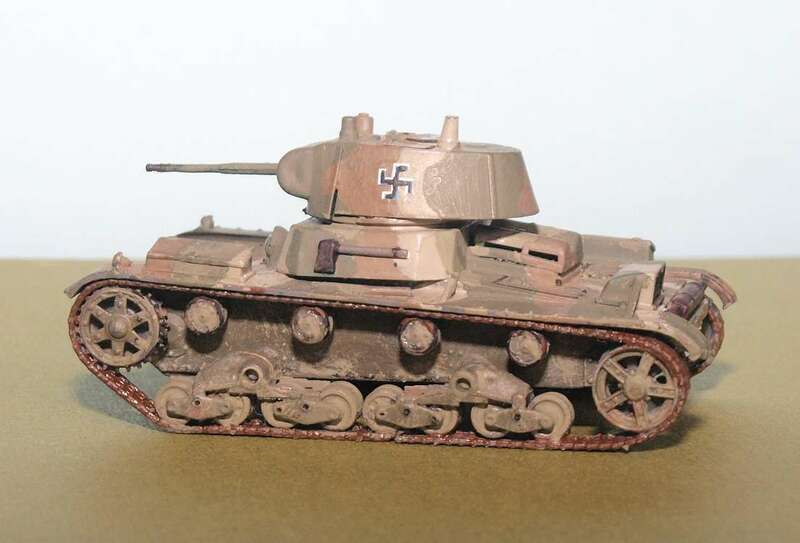 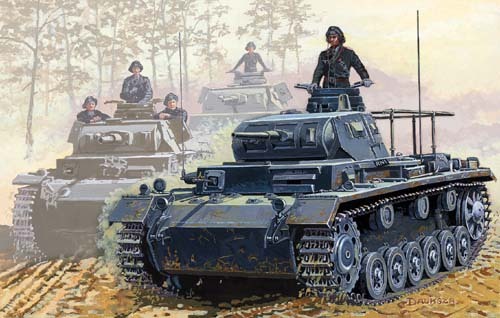 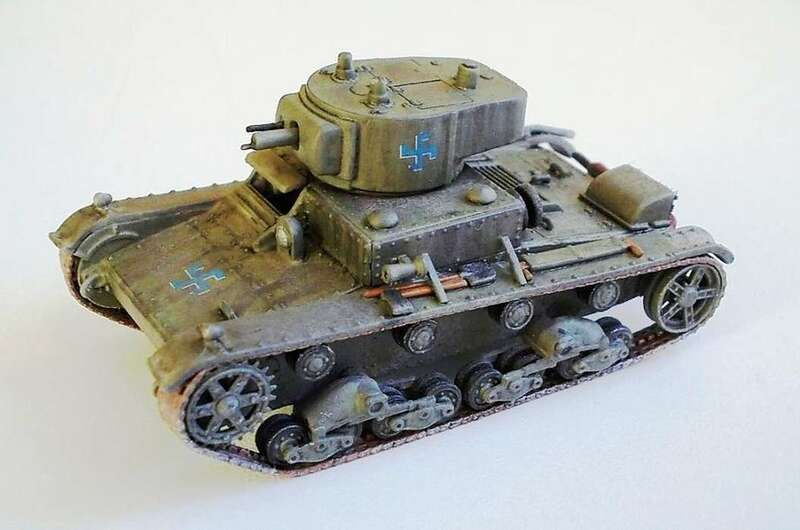 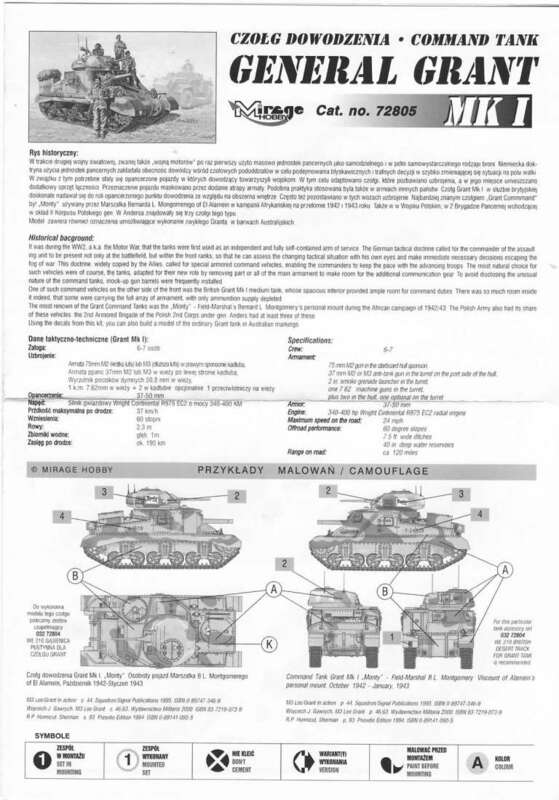 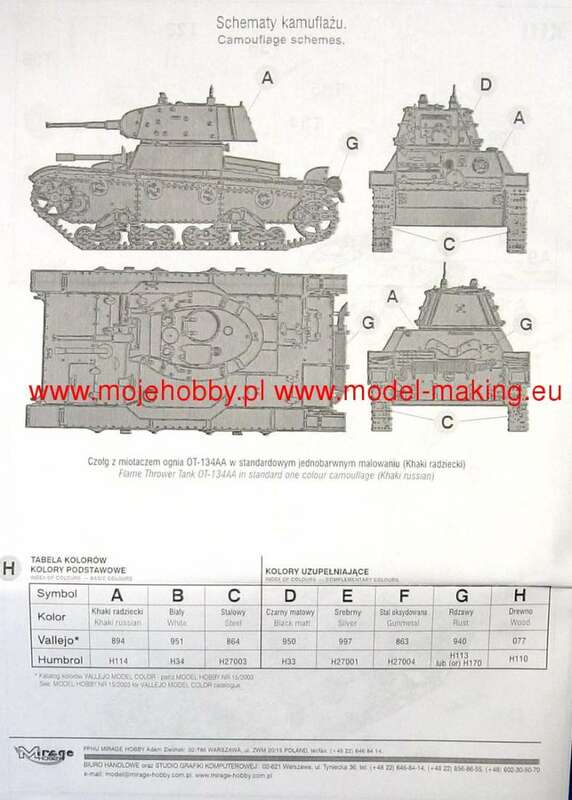 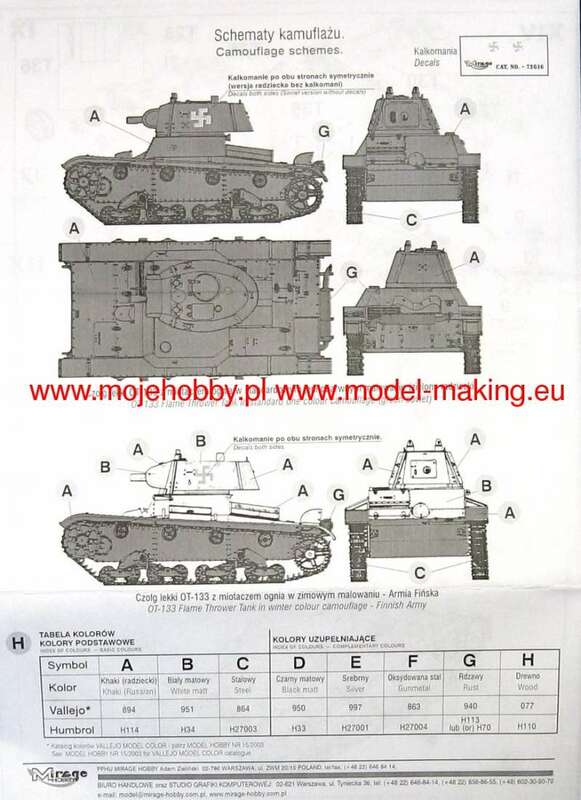 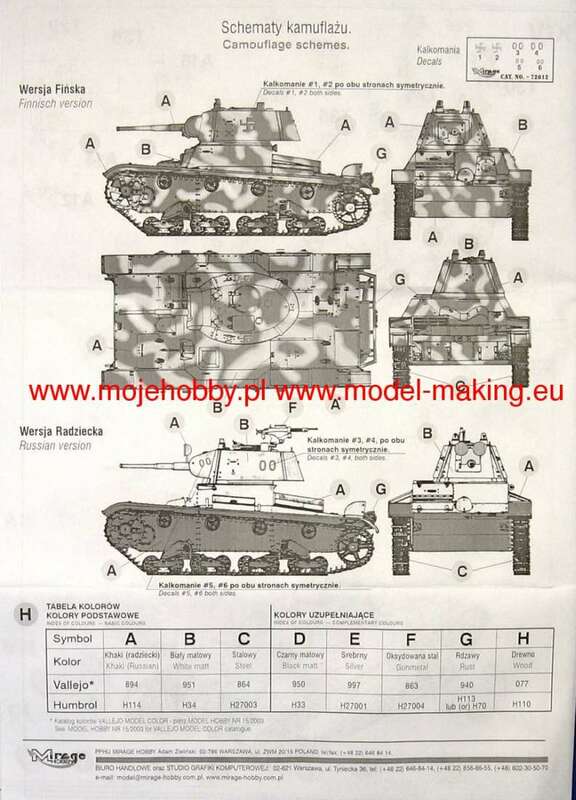 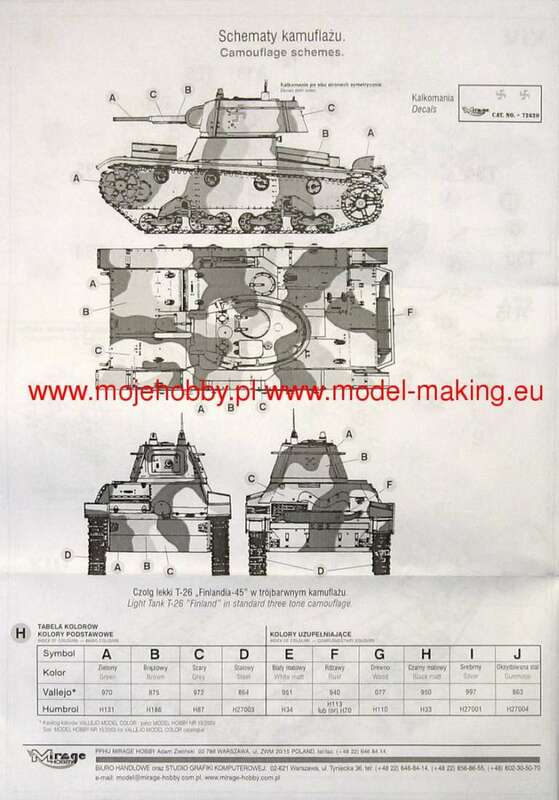 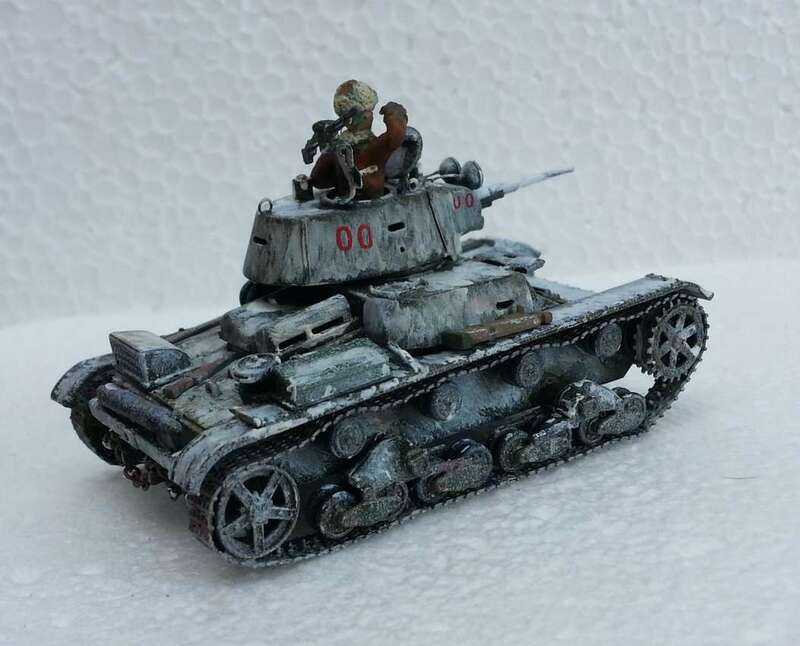 E "Fall Barbarossa 1941"
Kit 72856 - Panzer IV Ausf. 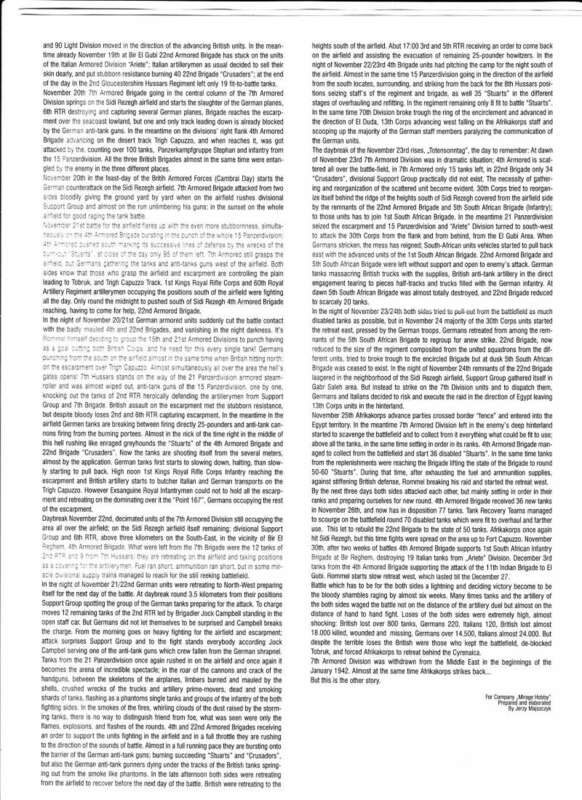 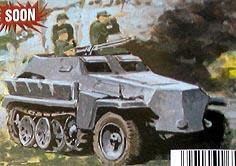 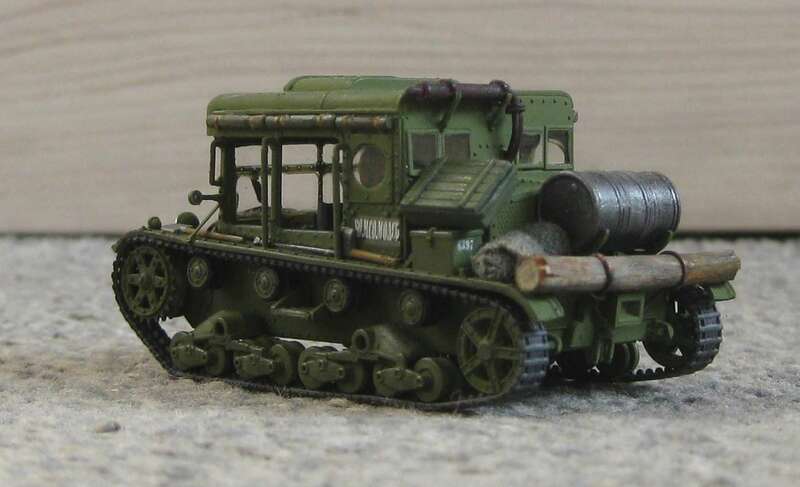 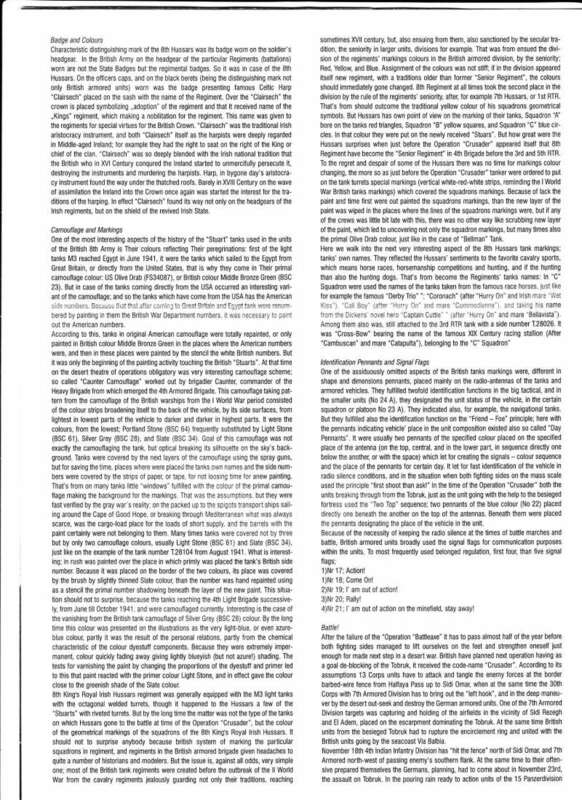 D "Tropenpanzer"